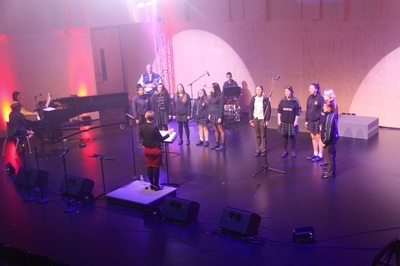 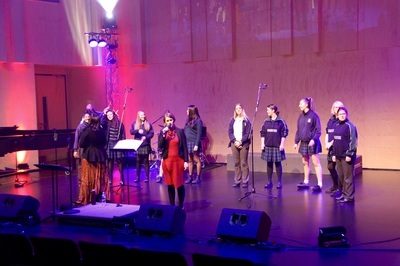 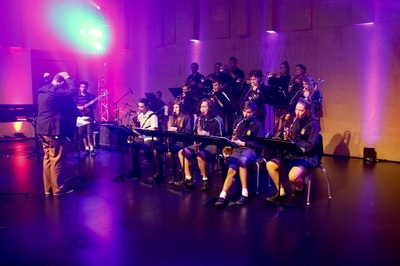 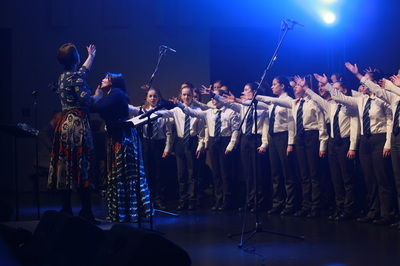 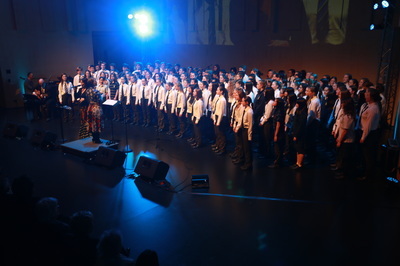 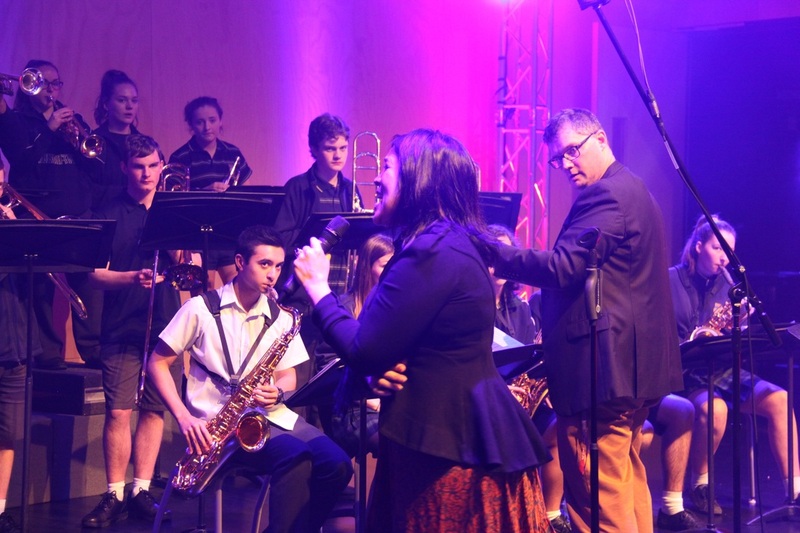 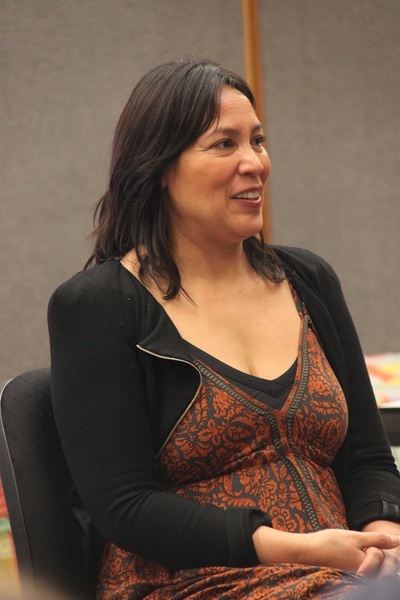 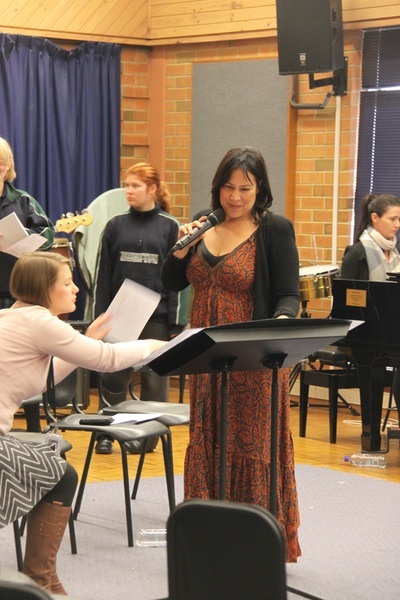 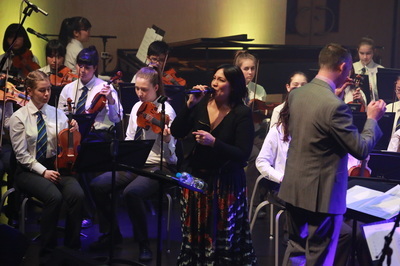 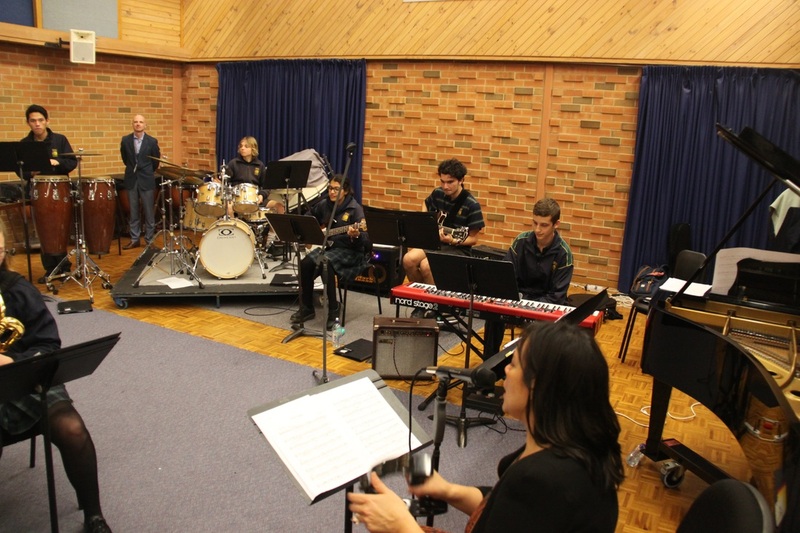 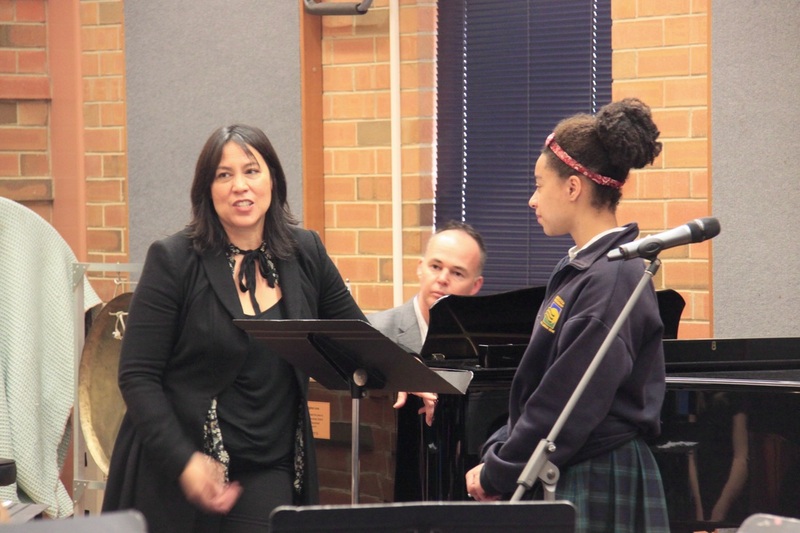 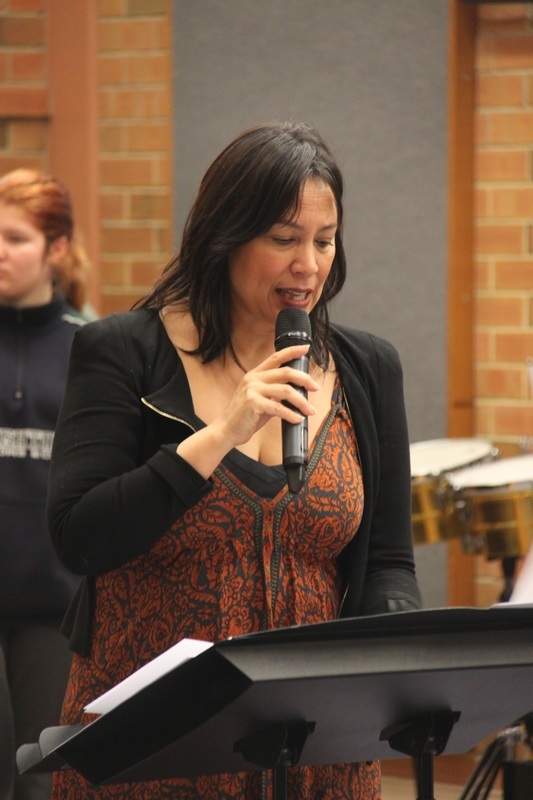 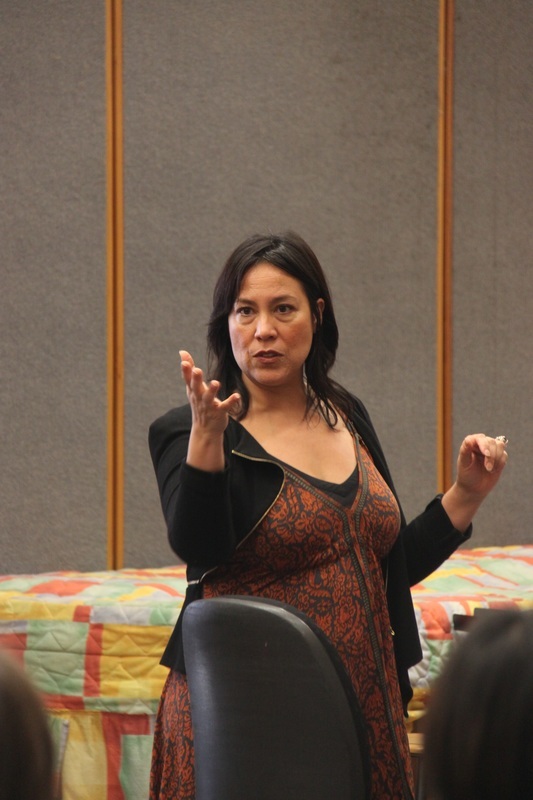 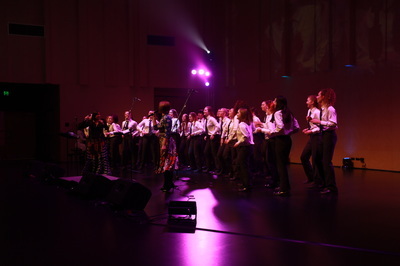 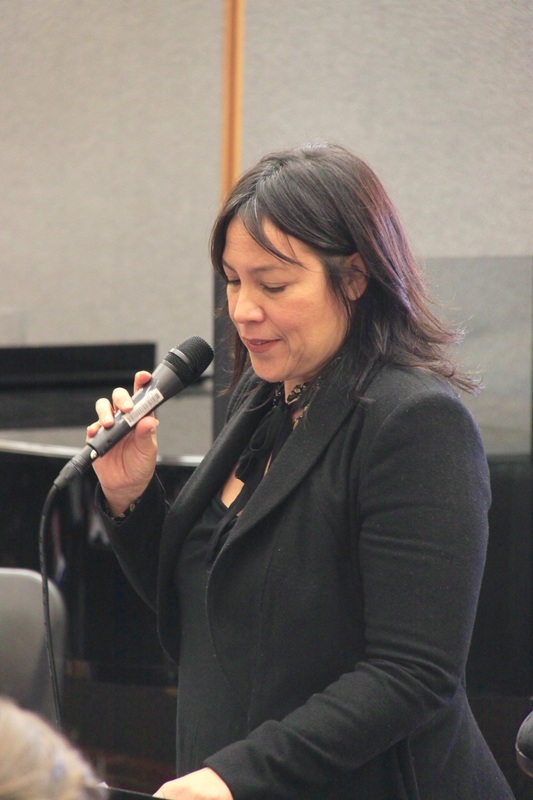 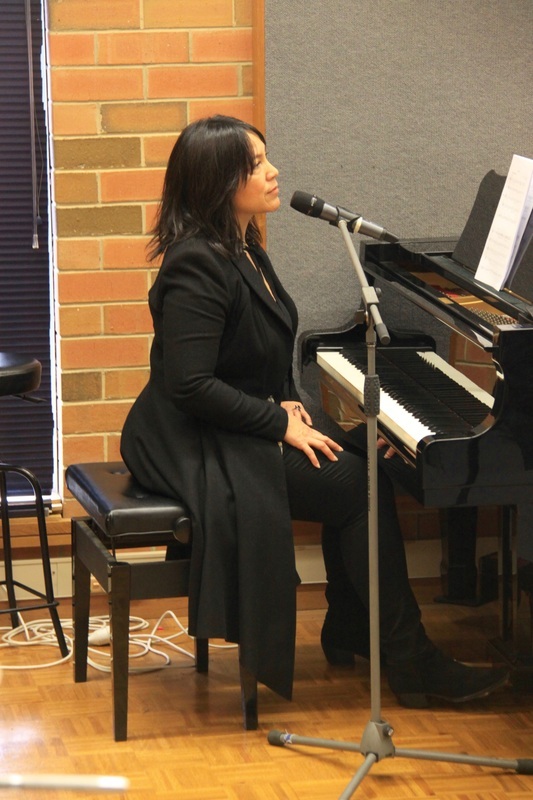 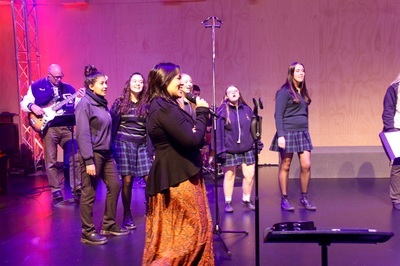 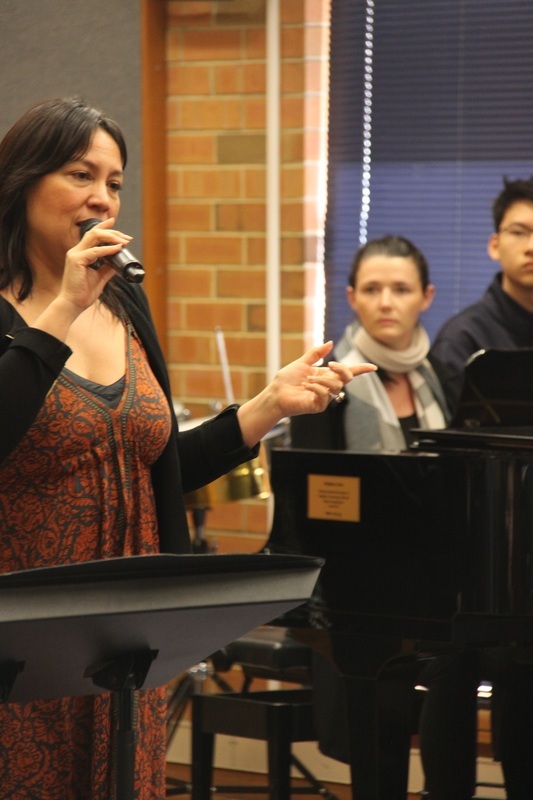 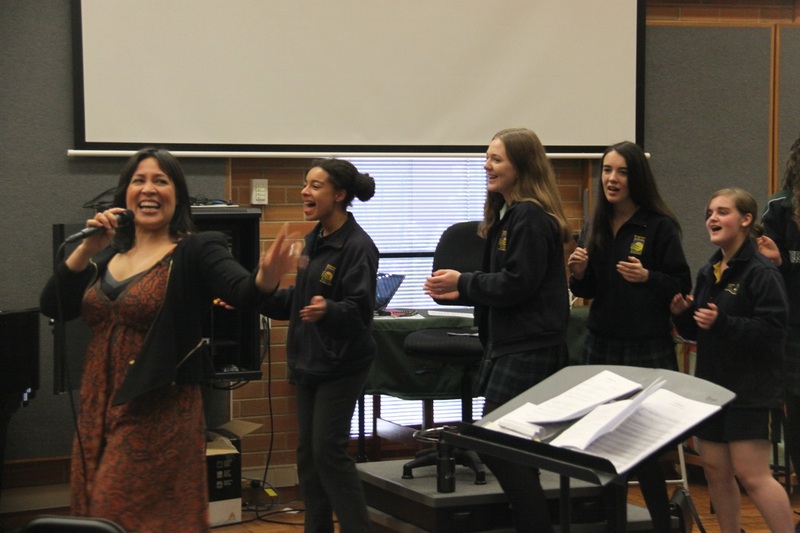 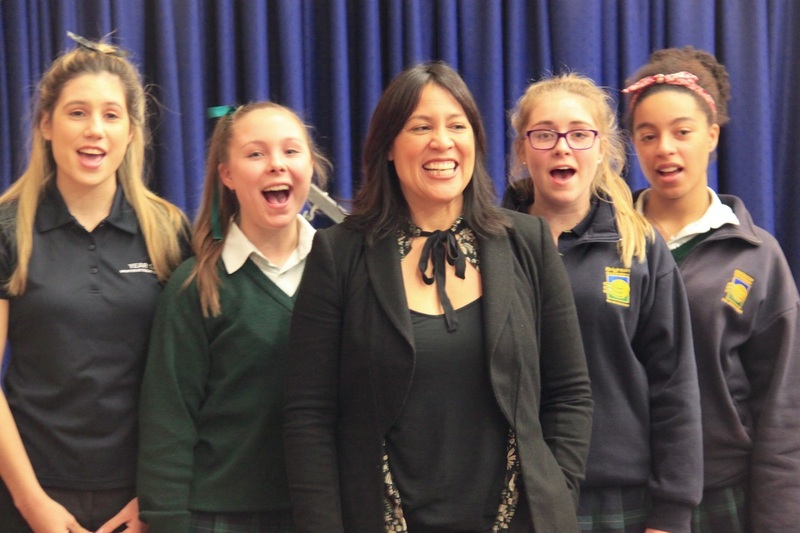 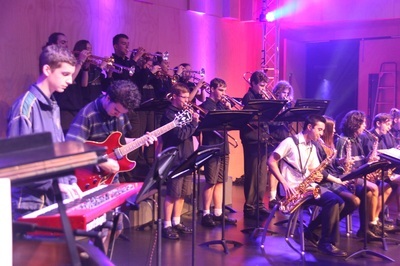 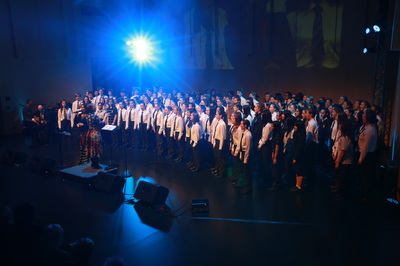 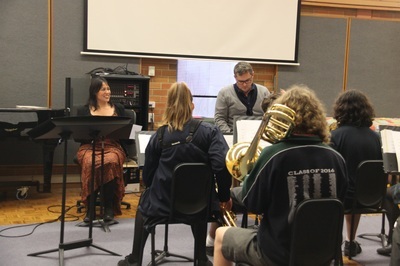 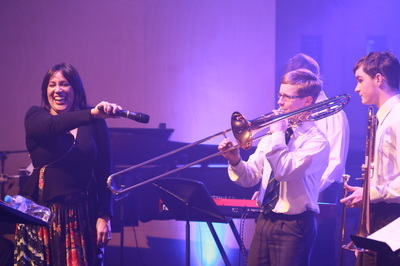 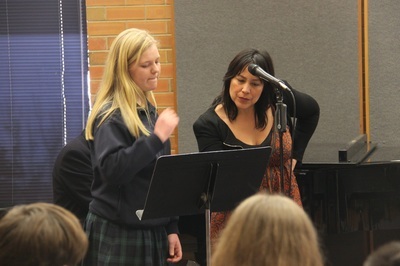 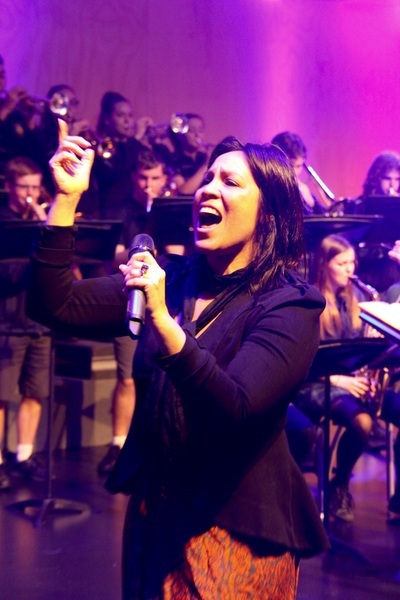 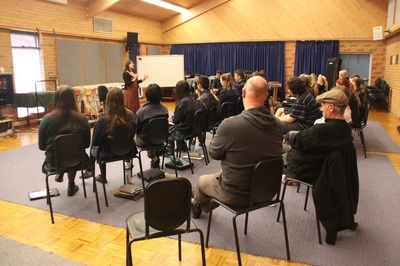 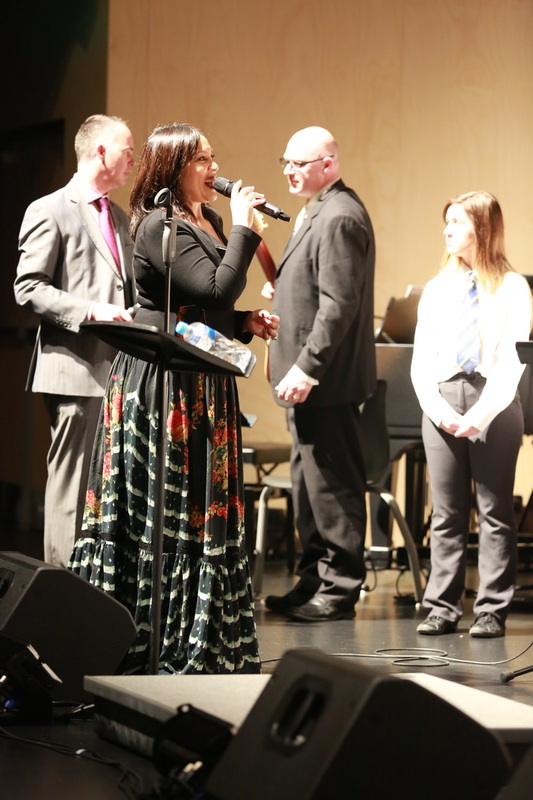 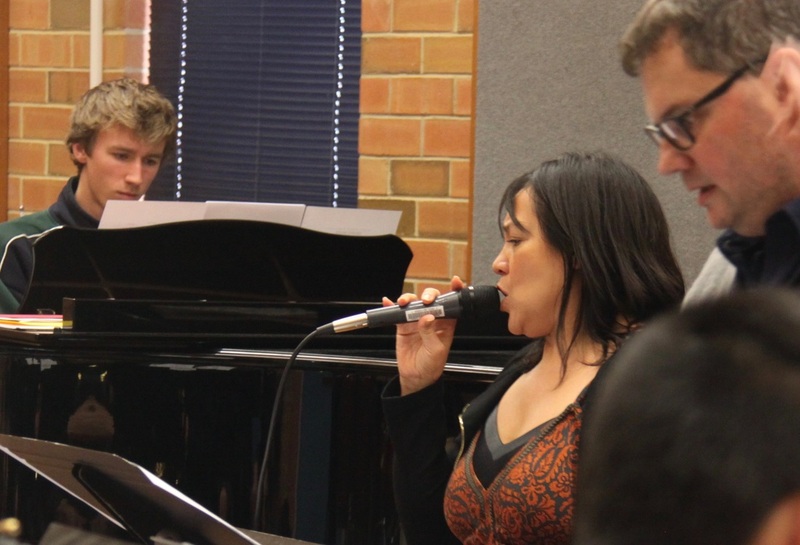 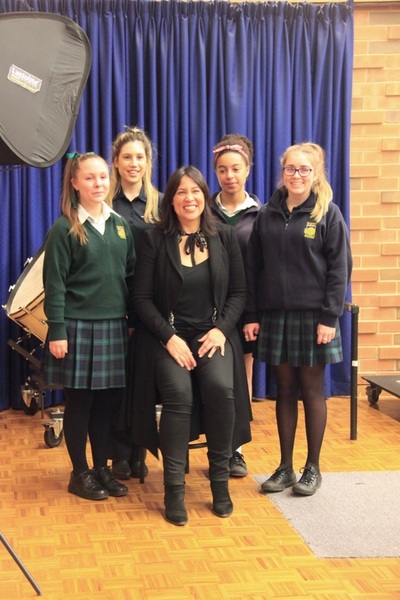 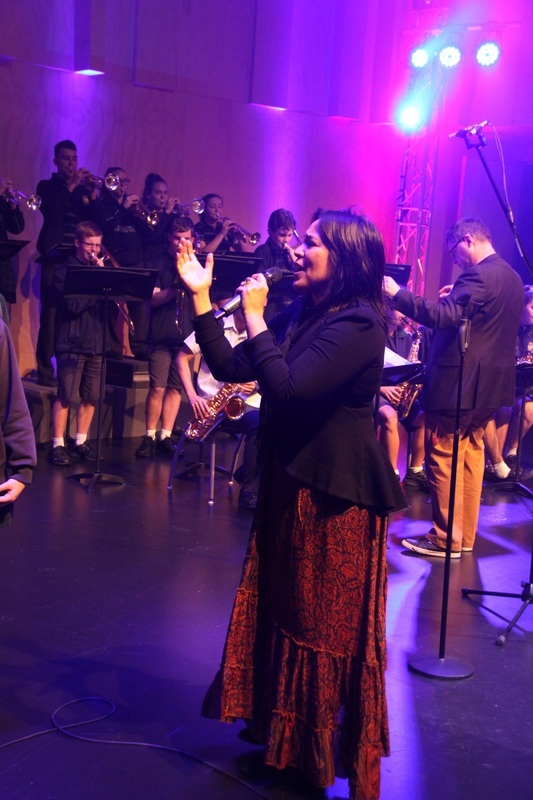 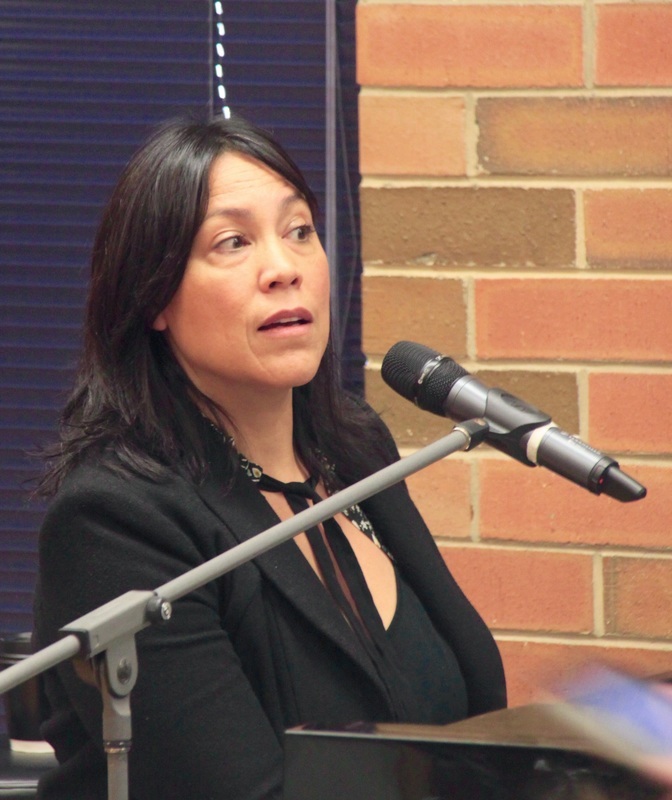 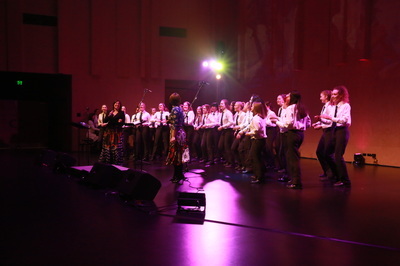 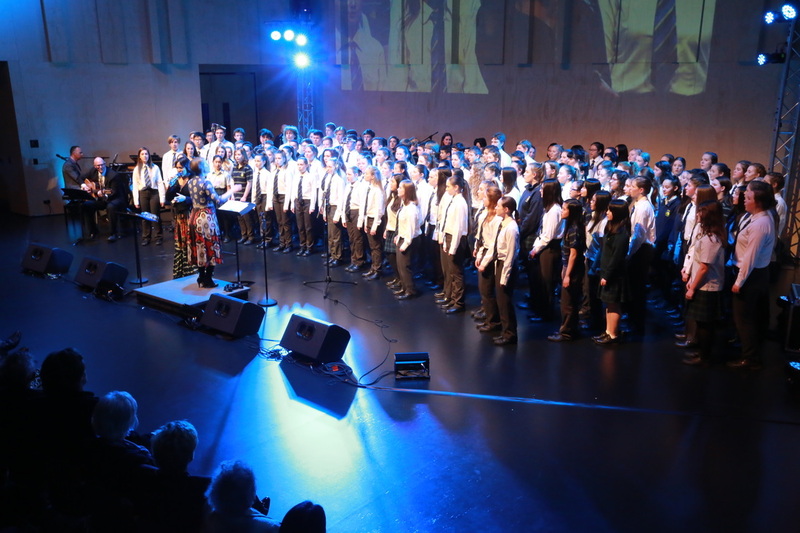 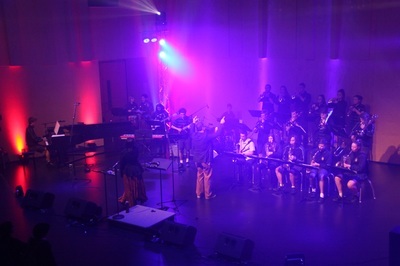 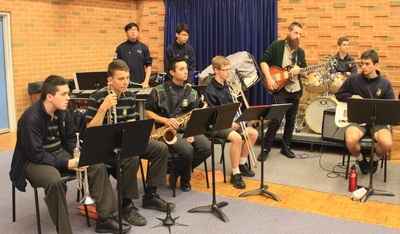 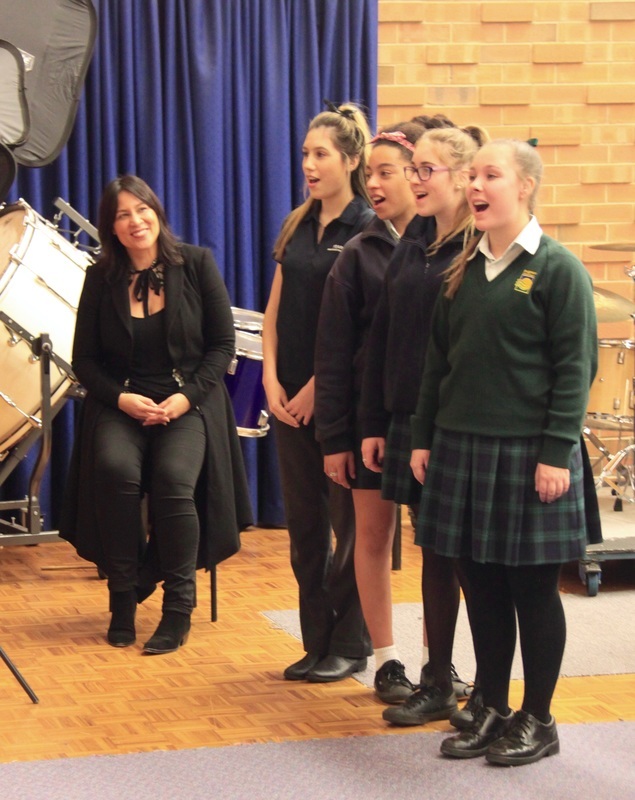 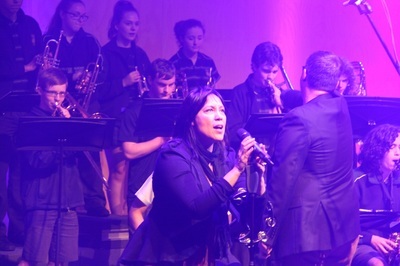 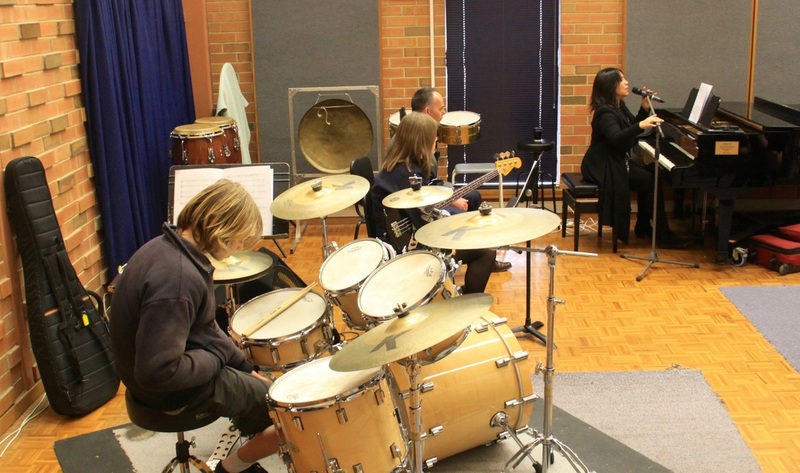 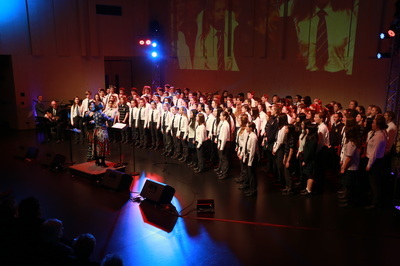 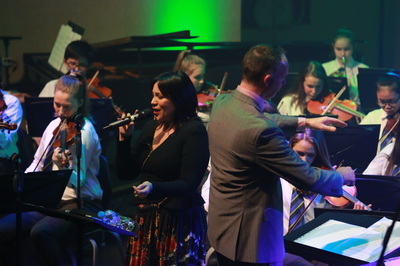 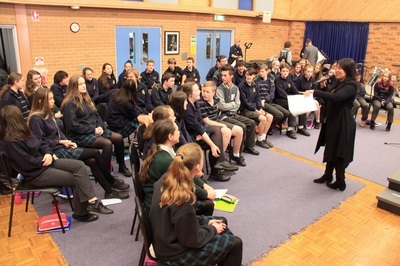 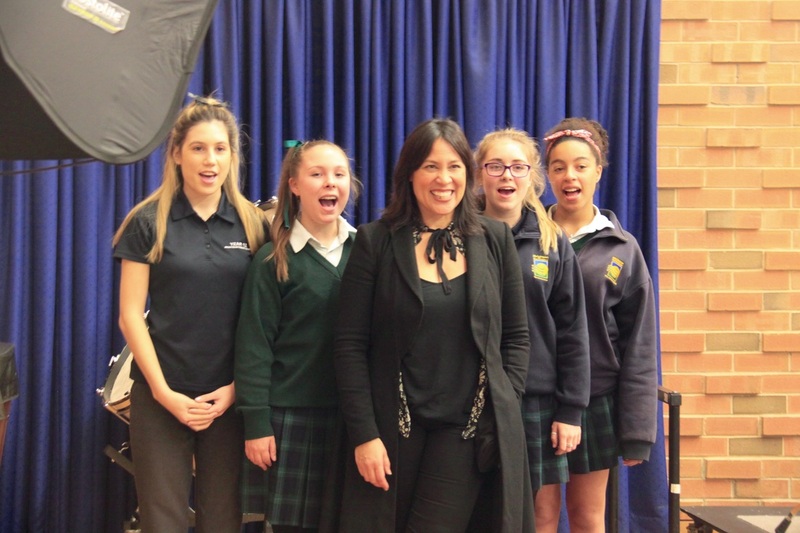 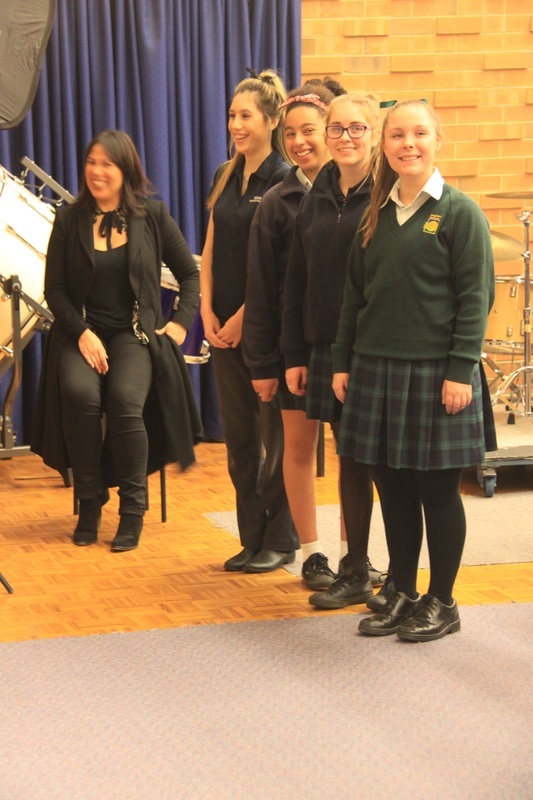 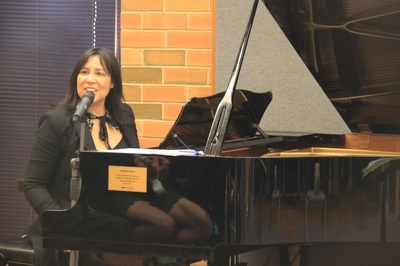 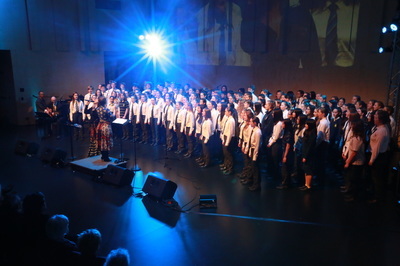 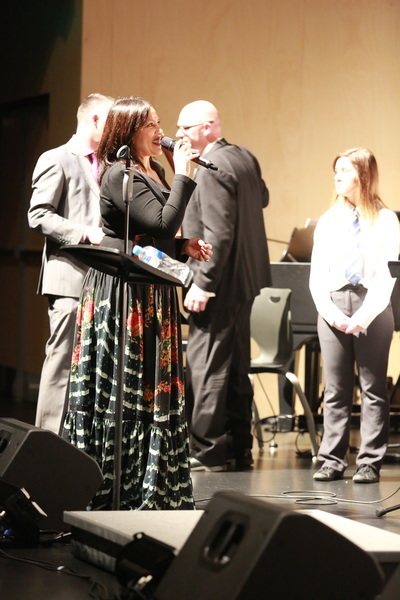 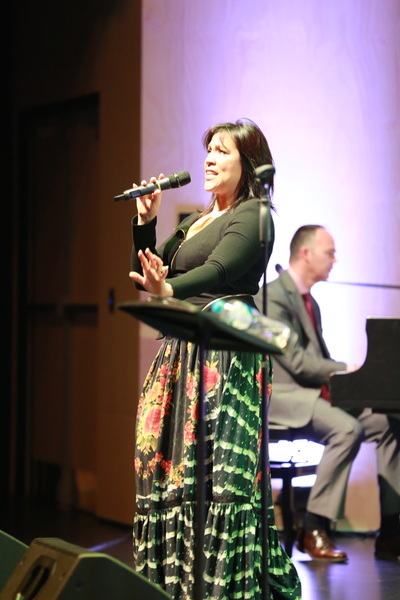 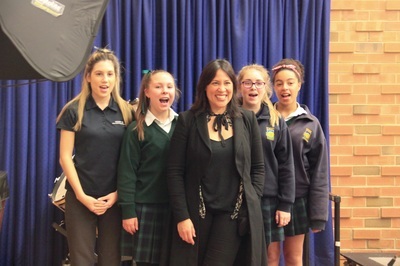 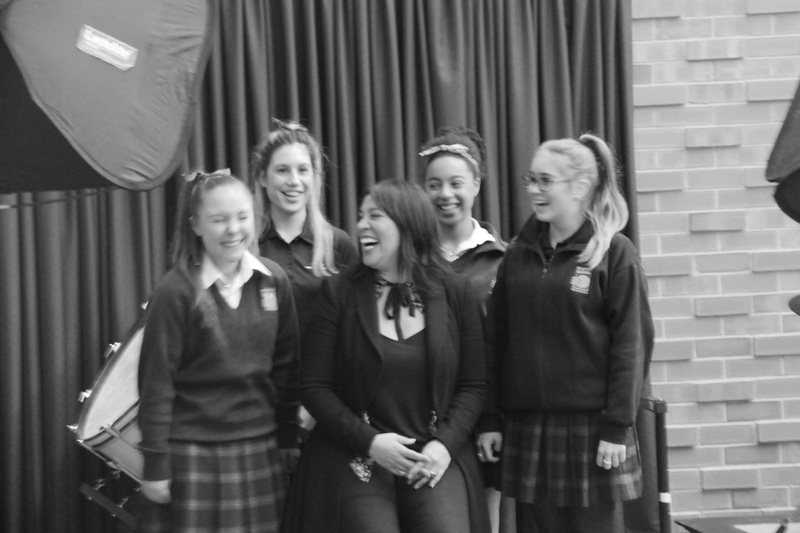 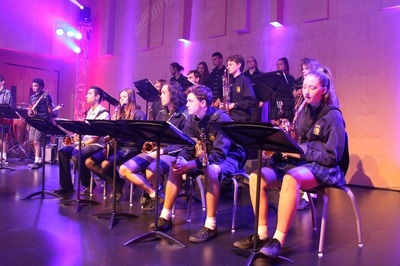 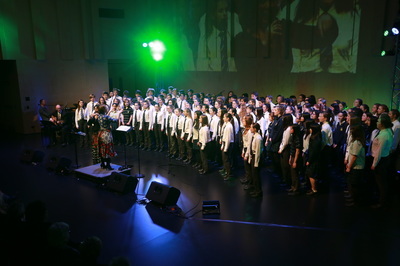 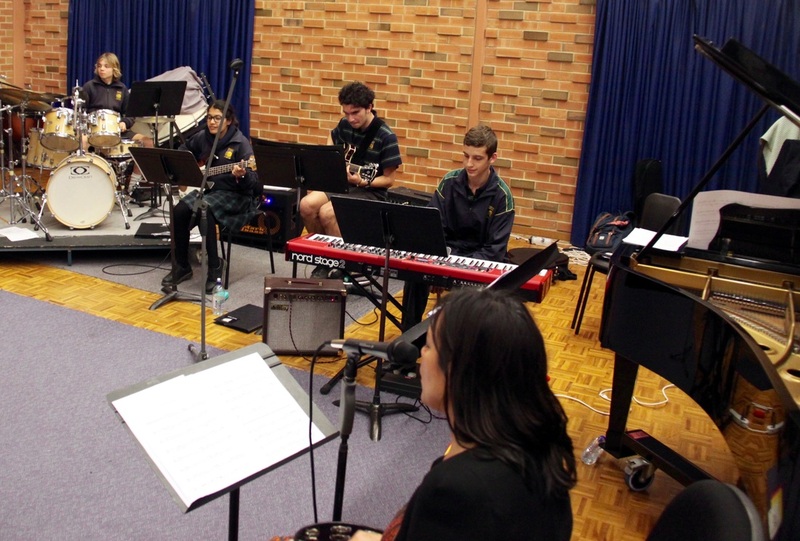 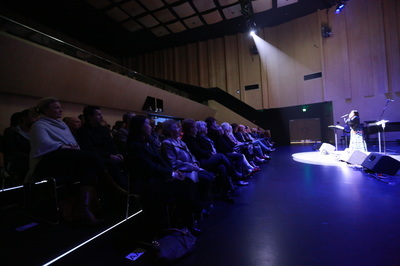 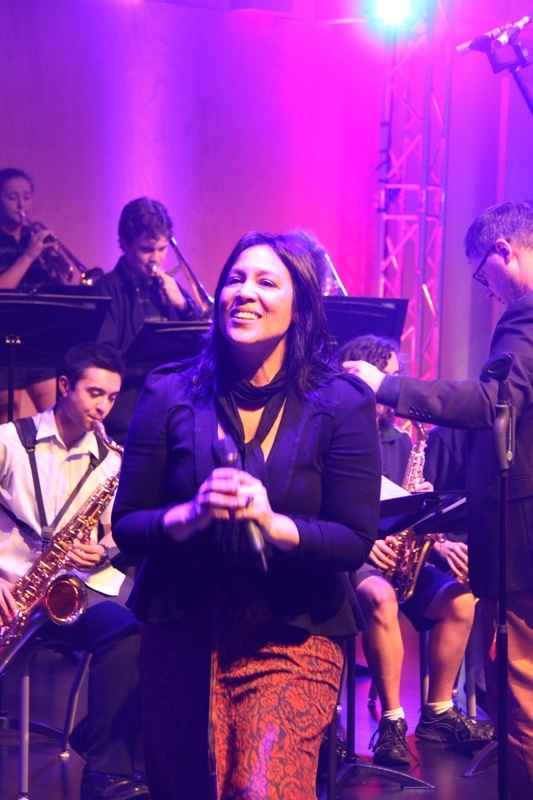 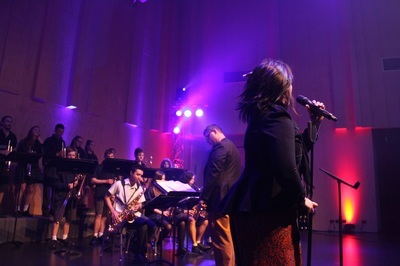 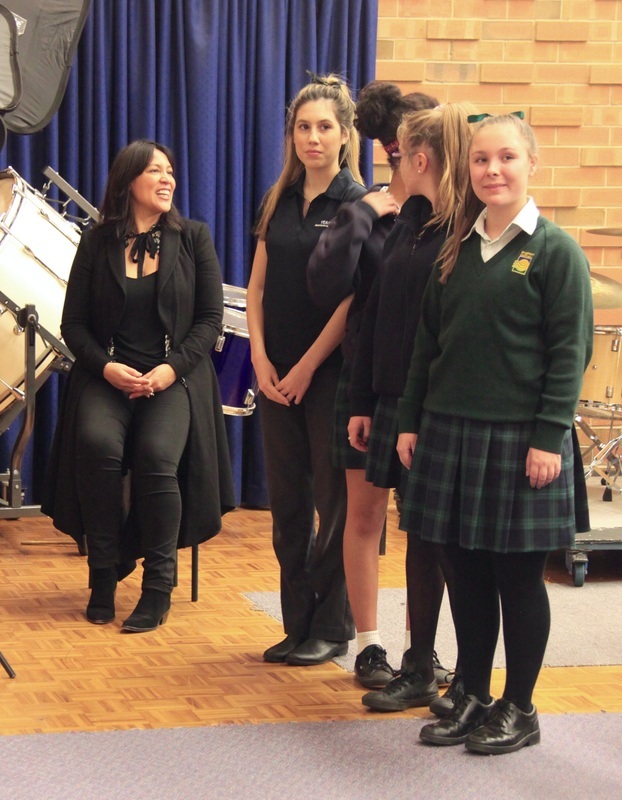 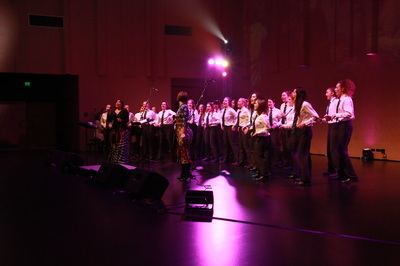 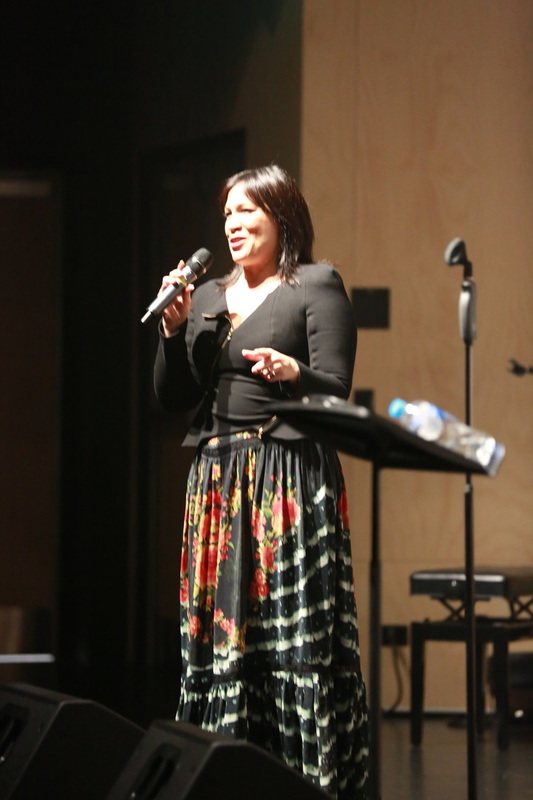 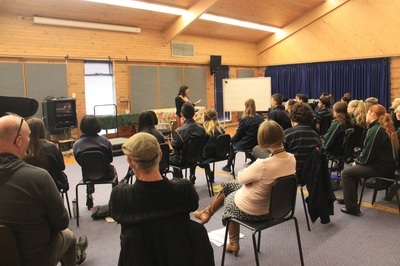 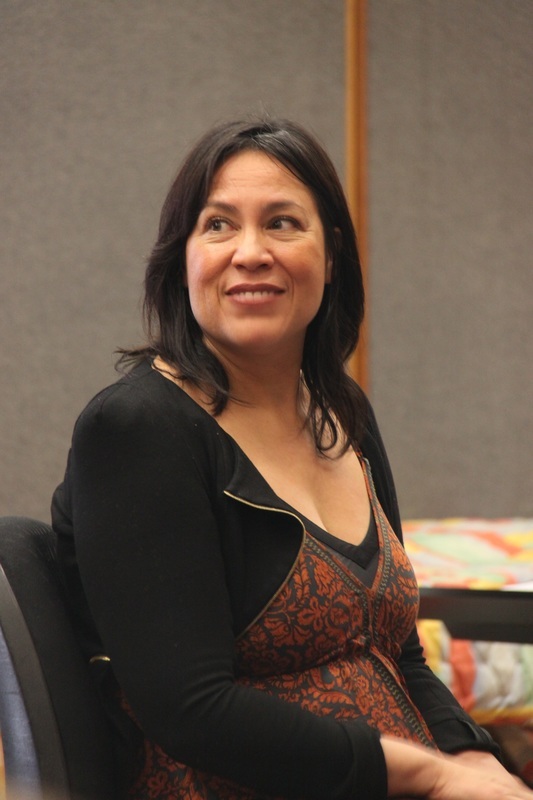 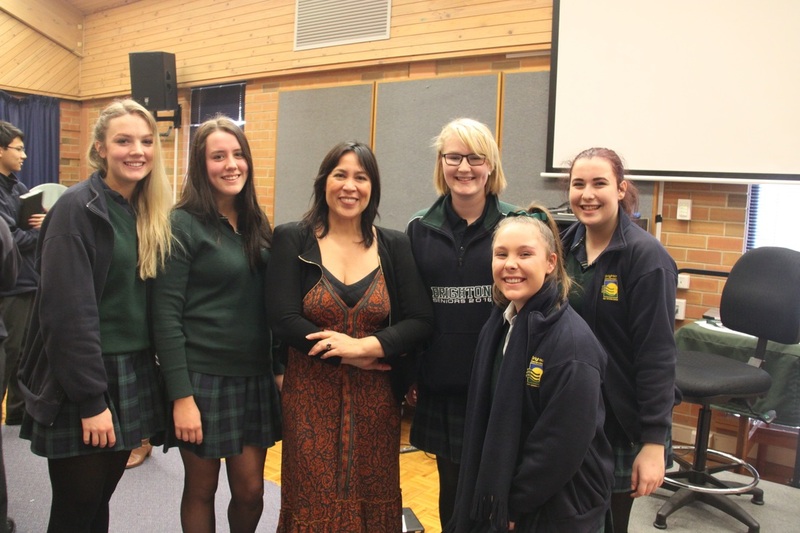 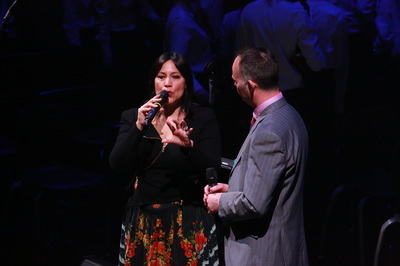 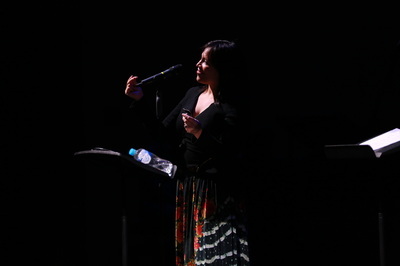 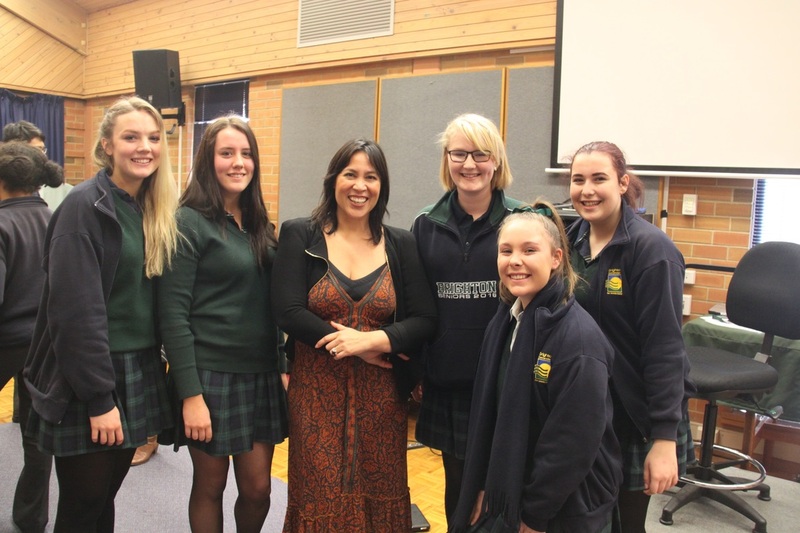 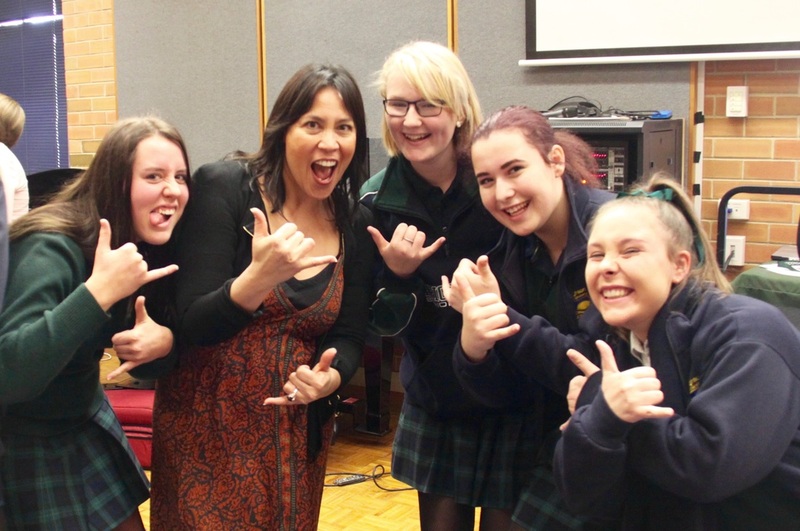 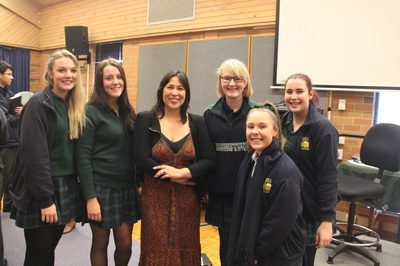 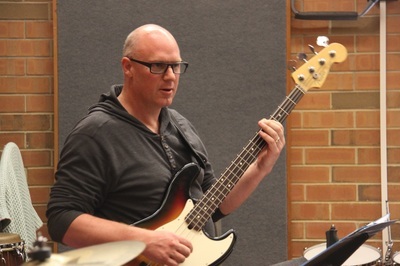 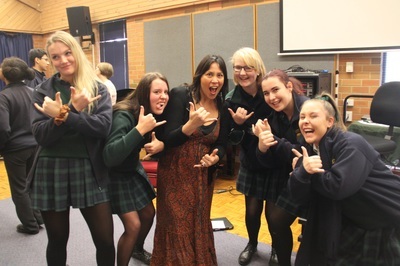 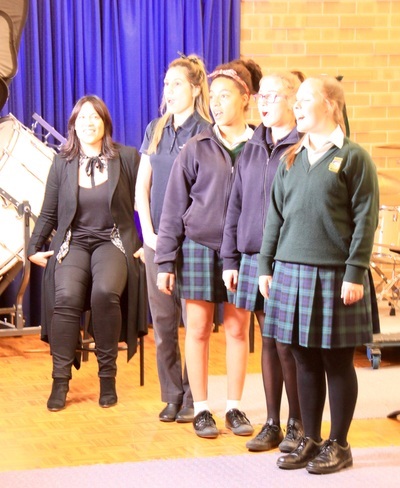 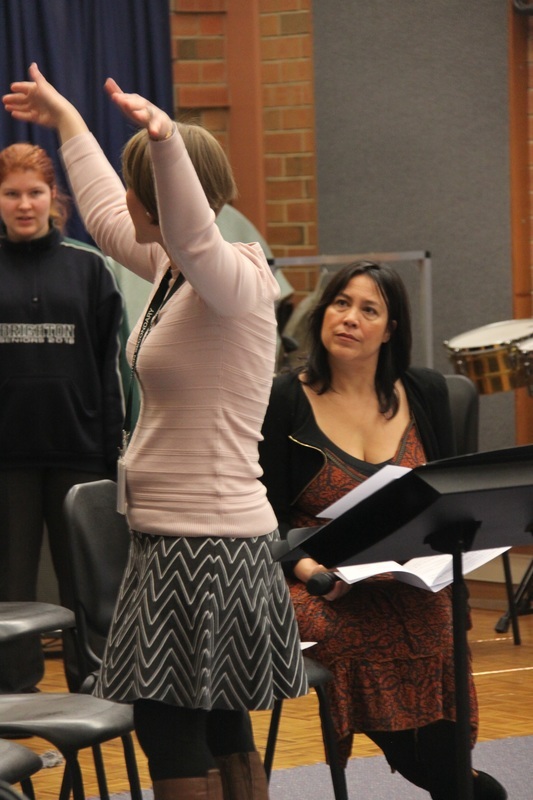 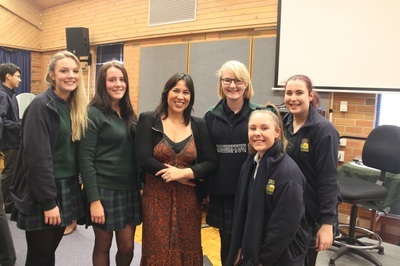 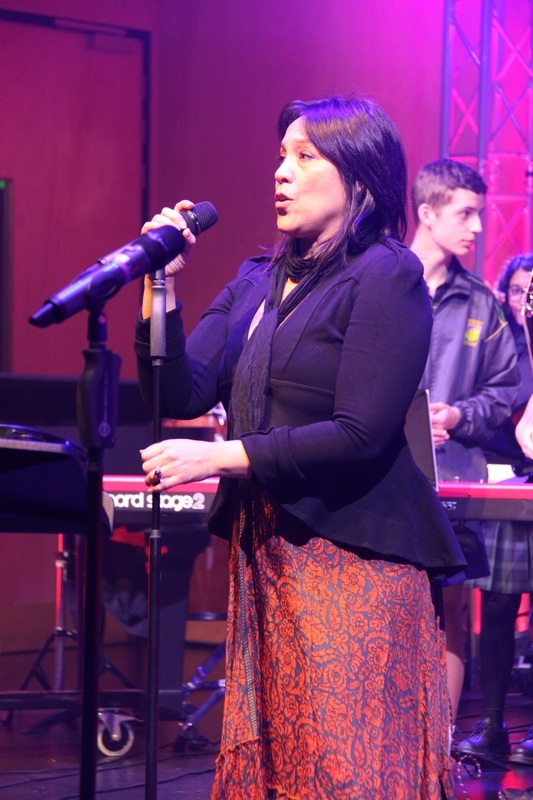 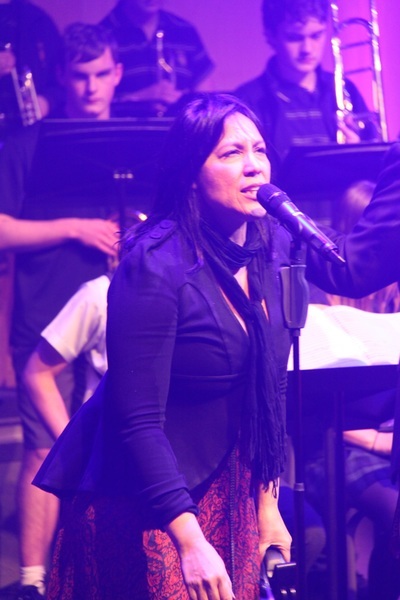 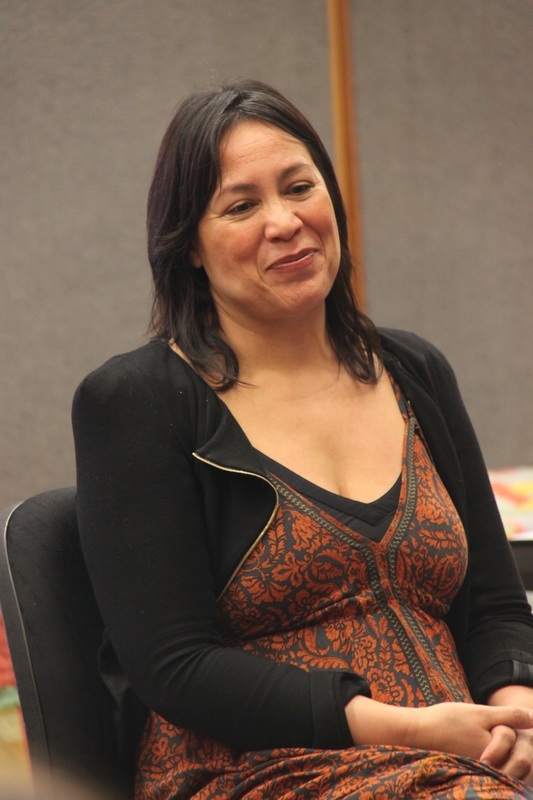 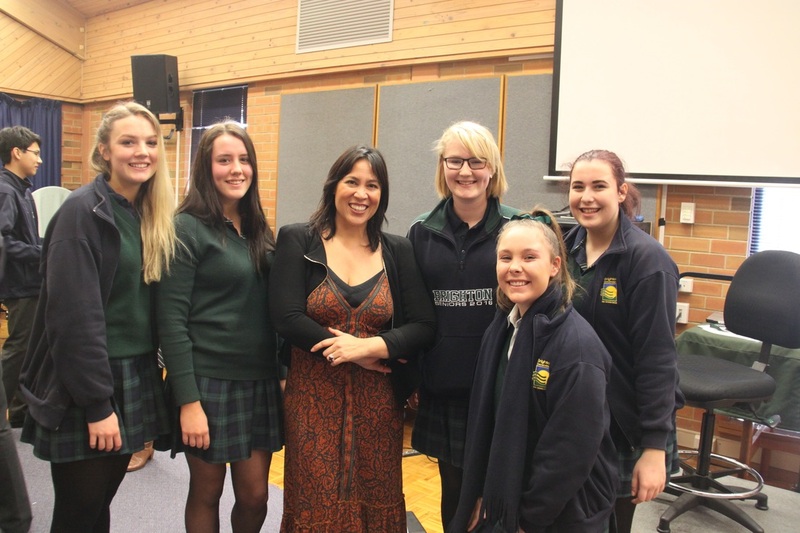 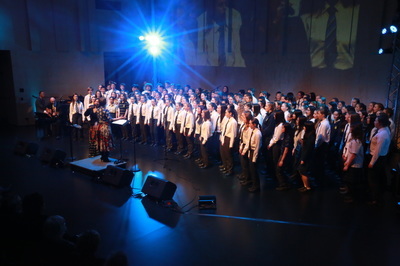 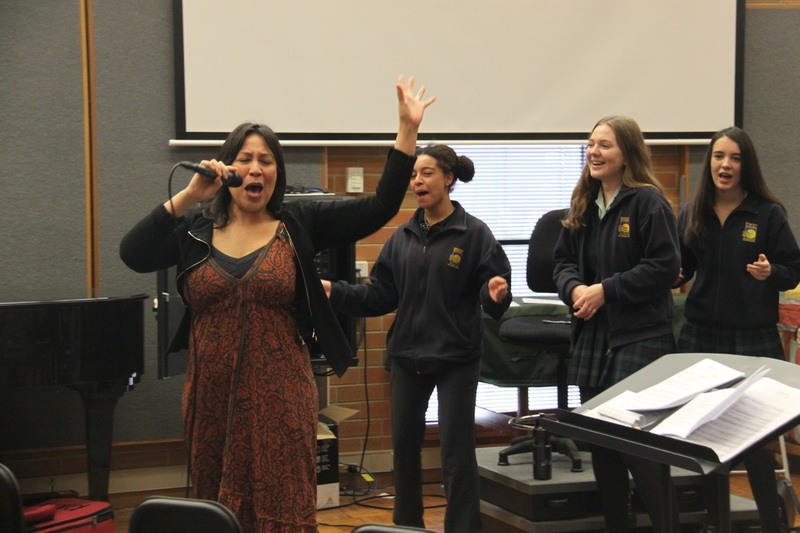 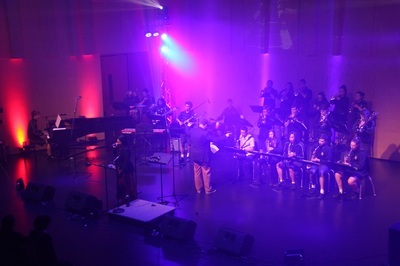 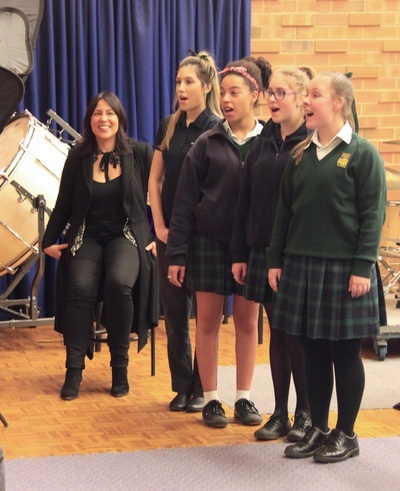 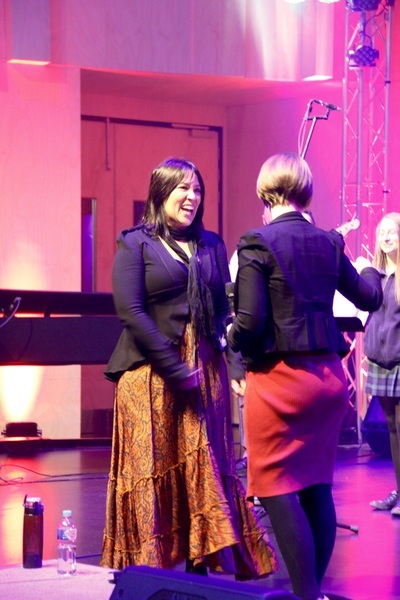 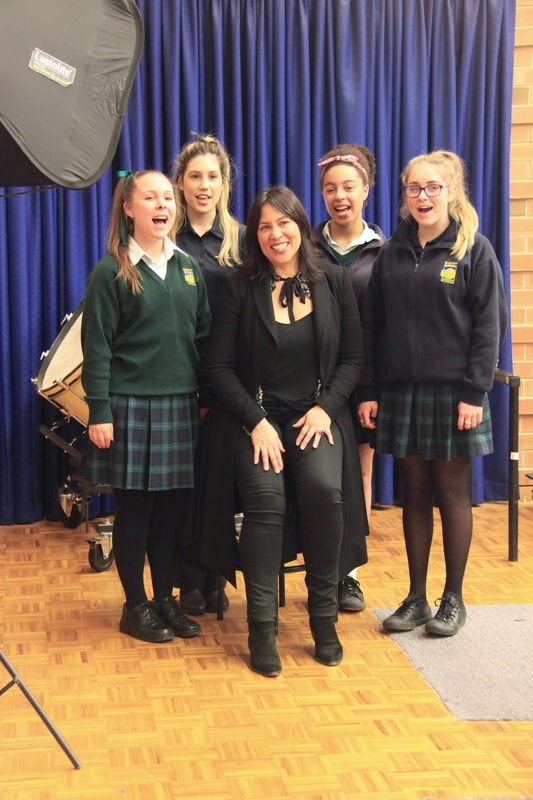 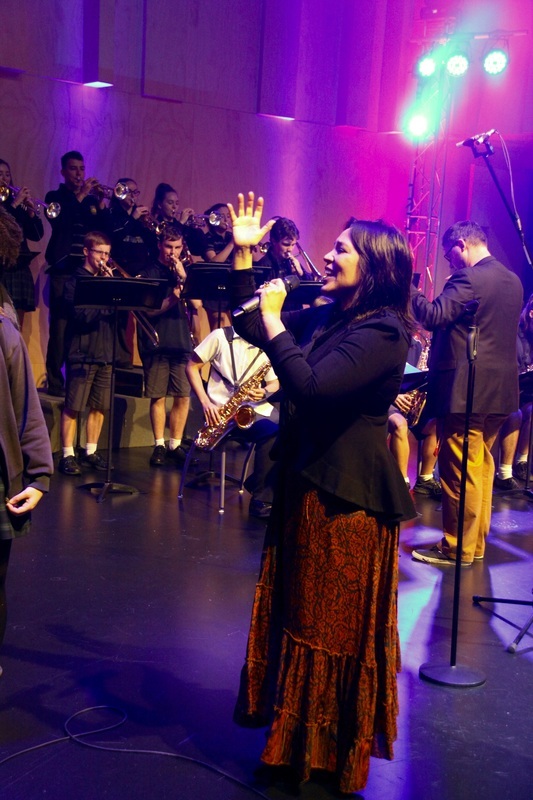 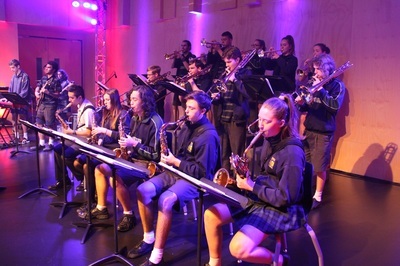 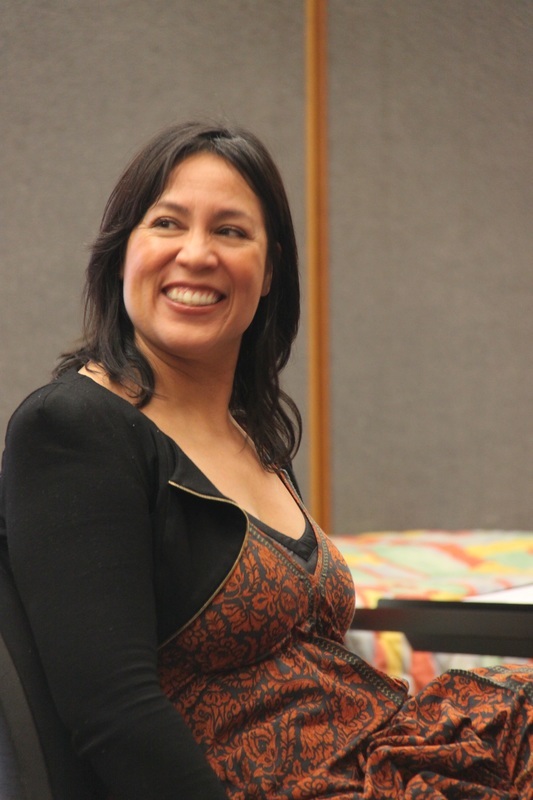 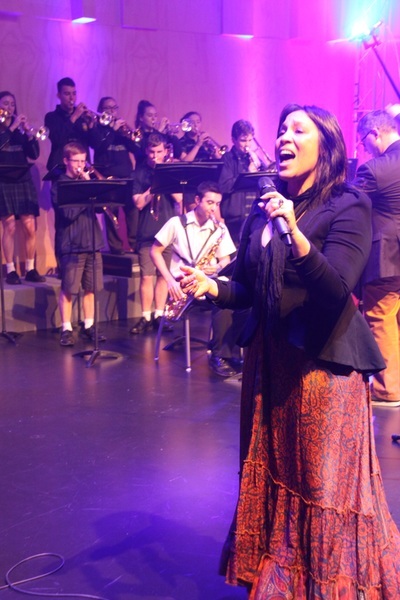 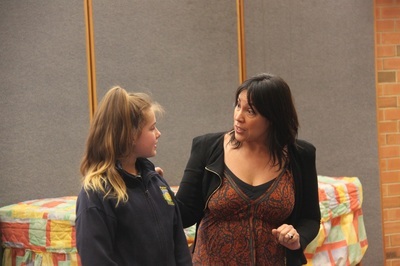 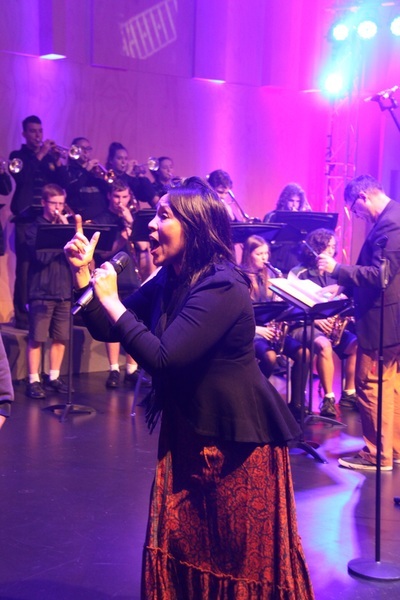 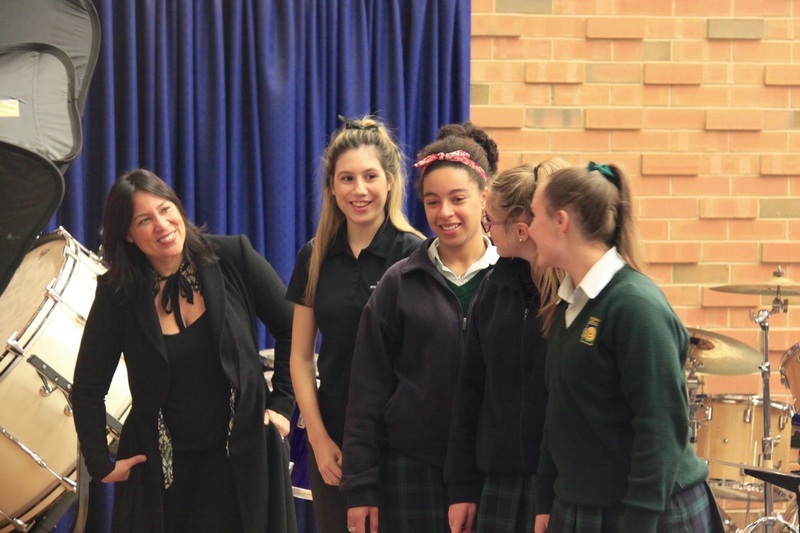 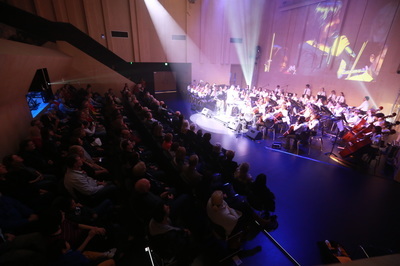 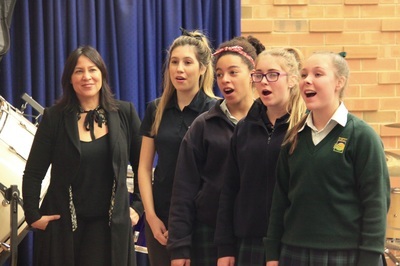 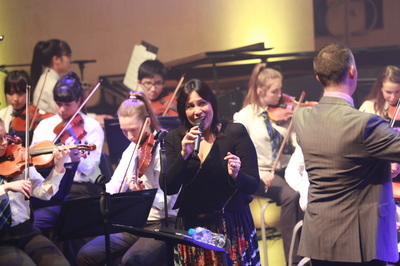 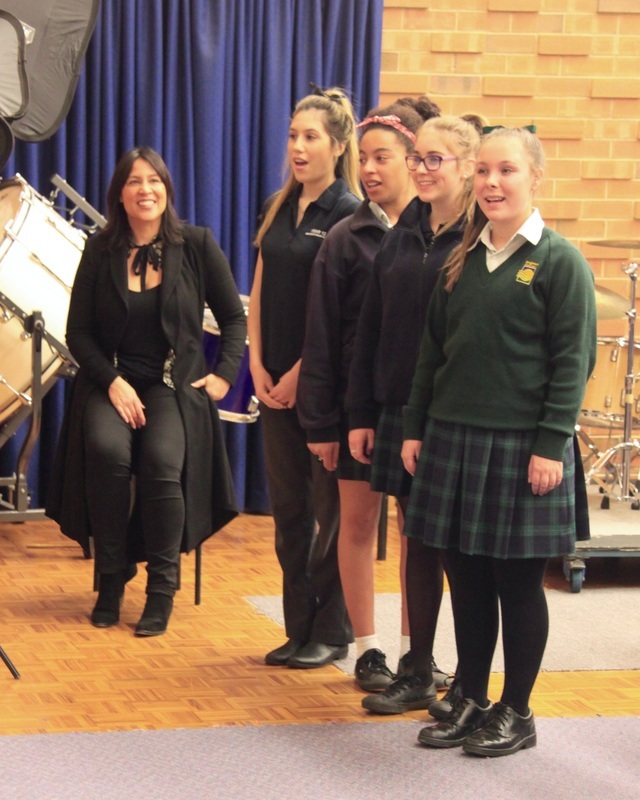 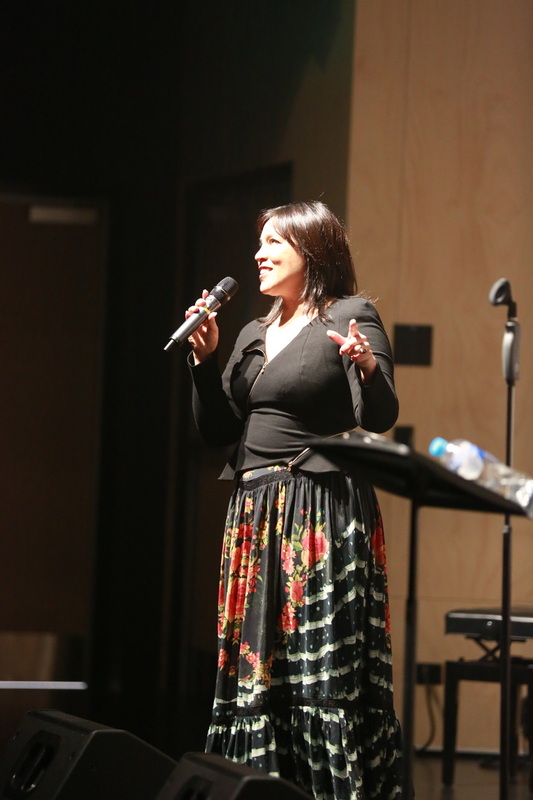 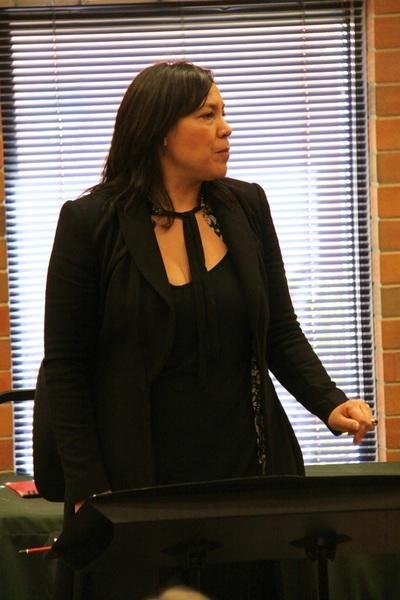 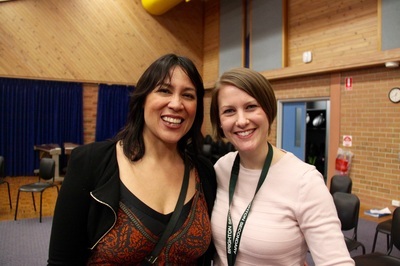 In a new initiative for Brighton Secondary School, brought about by a fortuitous chat over a cup of coffee by Music Coordinator Craig Bentley at the Generations in Jazz Festival in Mt Gambier, we were able to secure the services of Australian music legend, Kate Ceberano as an Artist in Residence from Tuesday the 2nd to Thursday the 4th of August 2016. 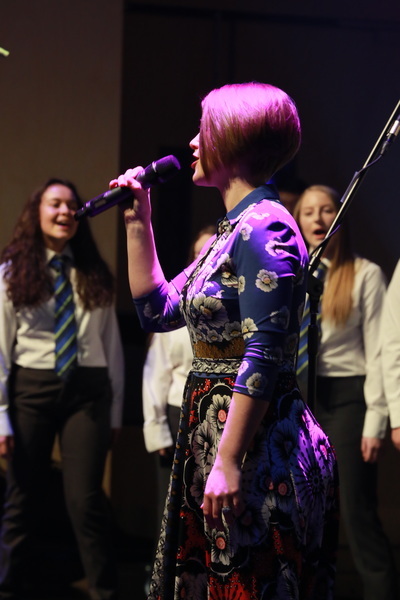 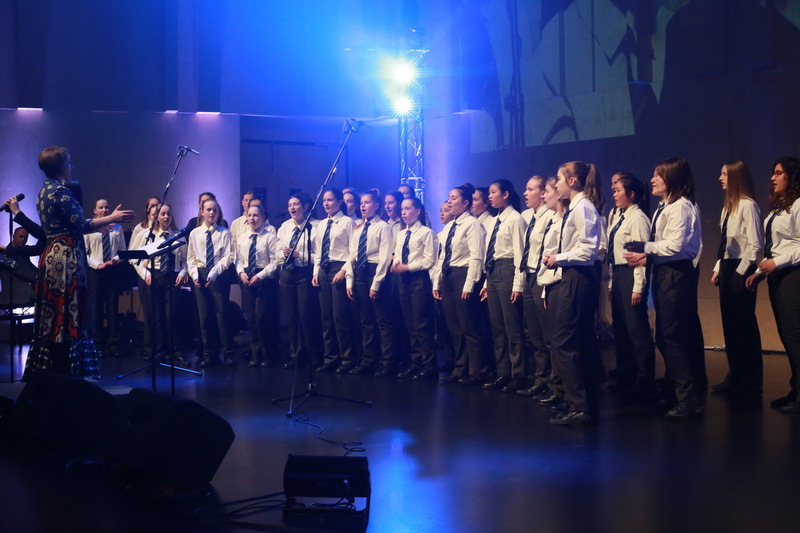 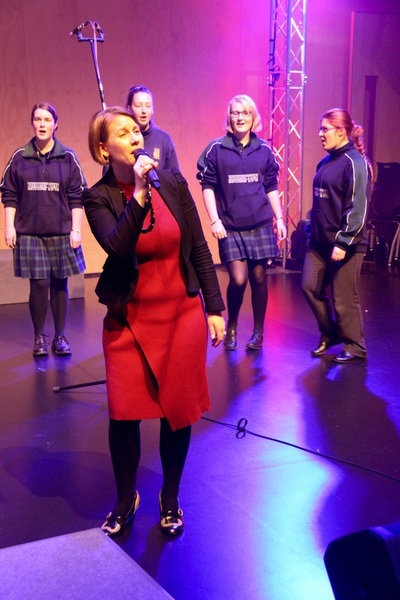 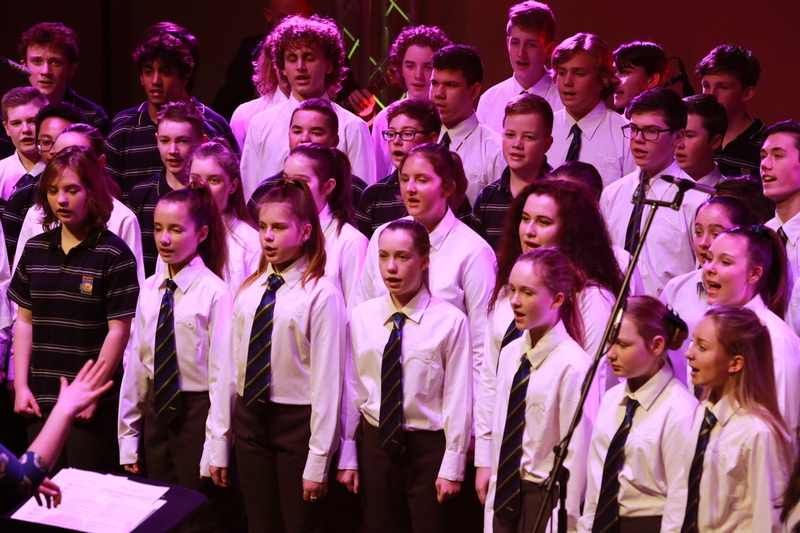 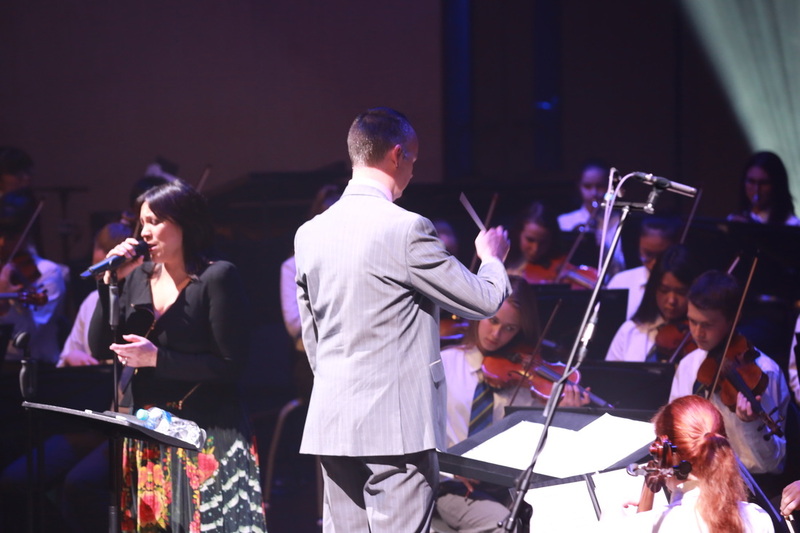 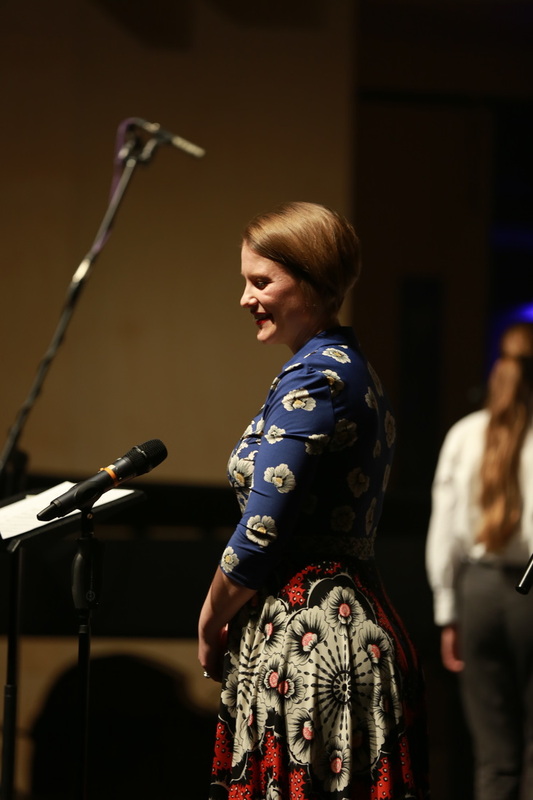 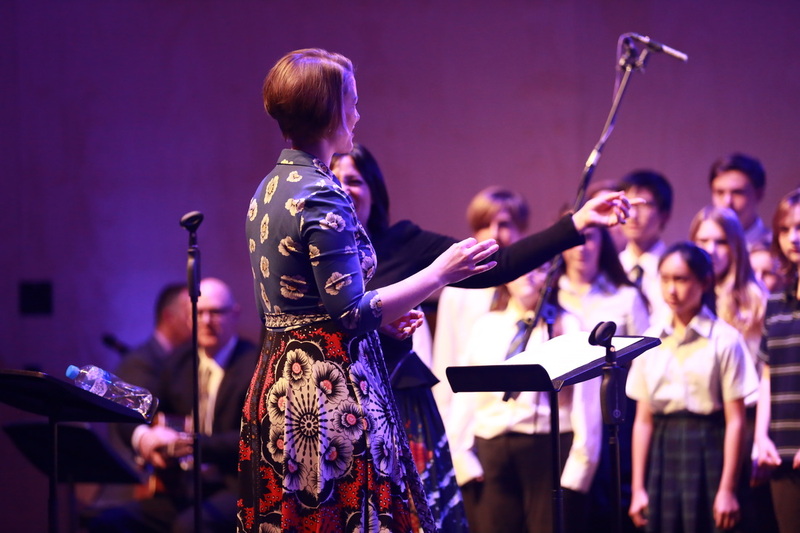 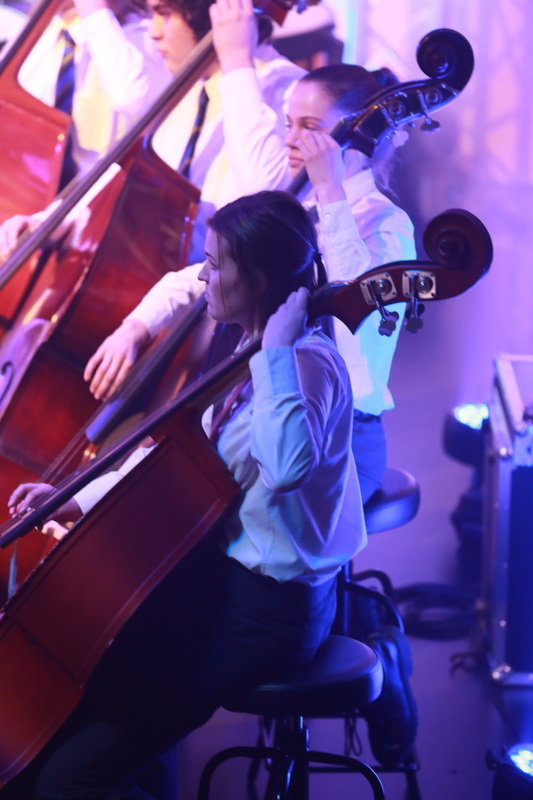 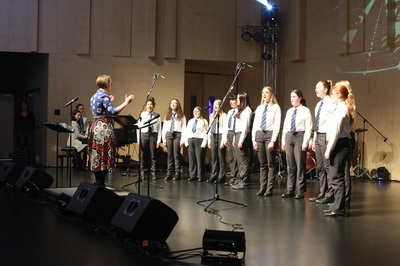 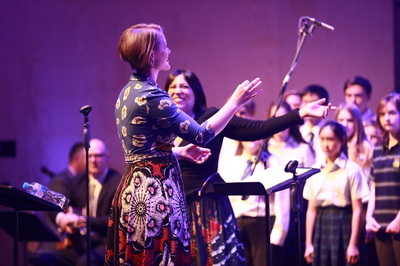 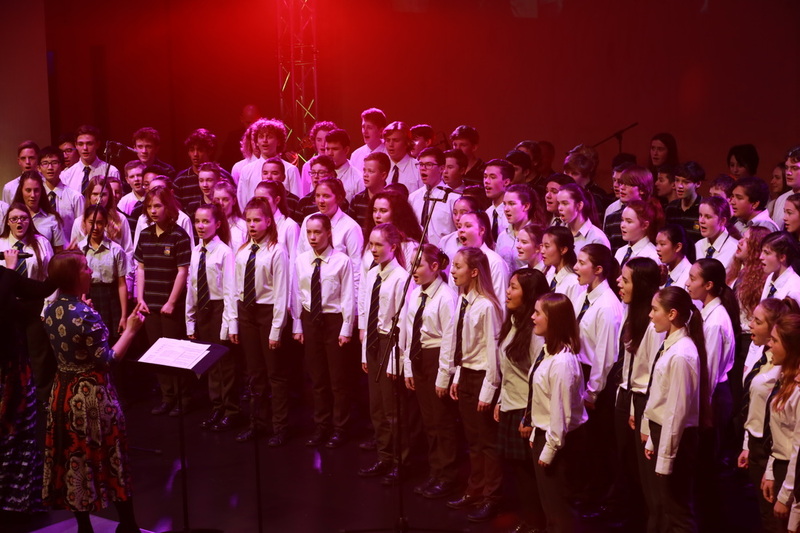 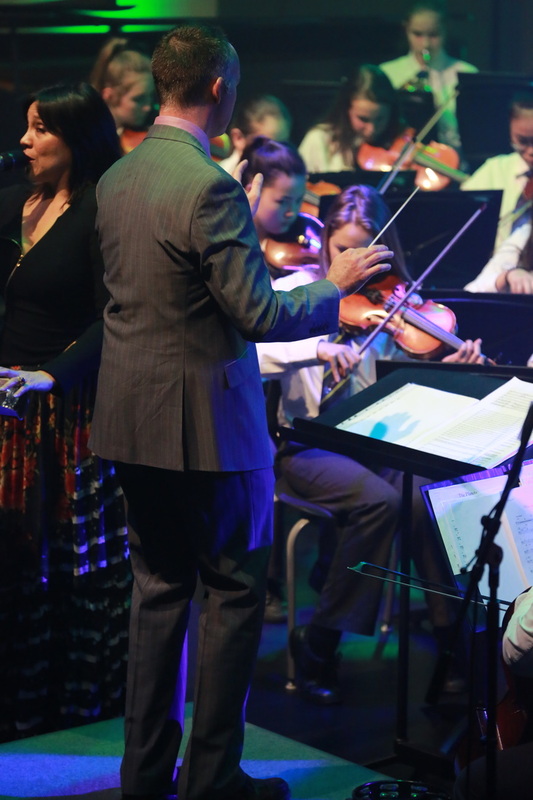 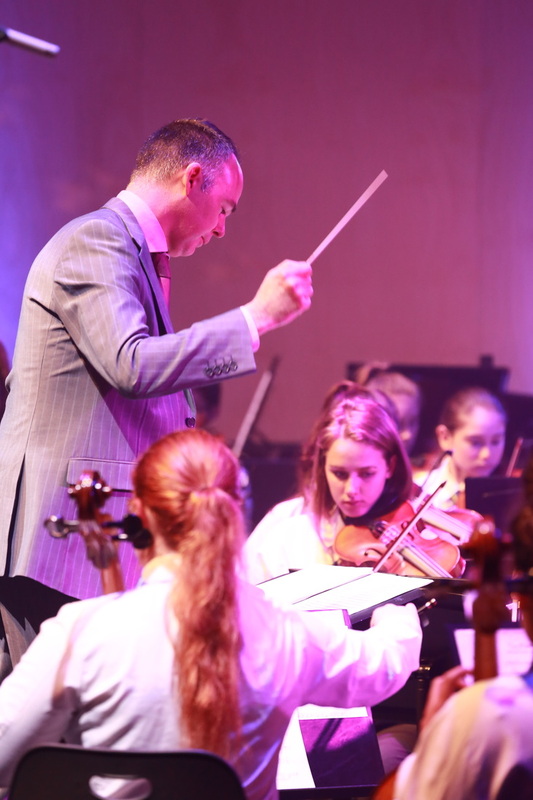 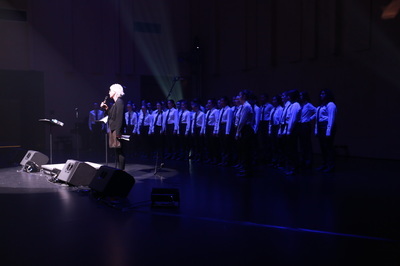 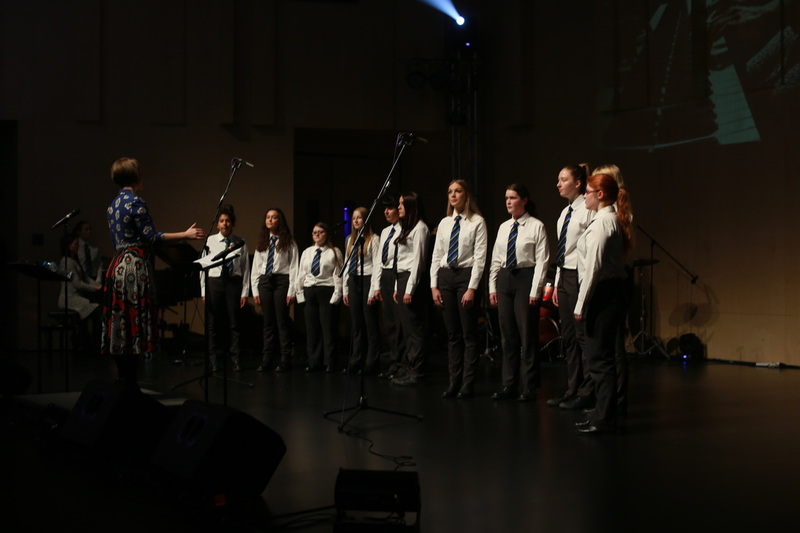 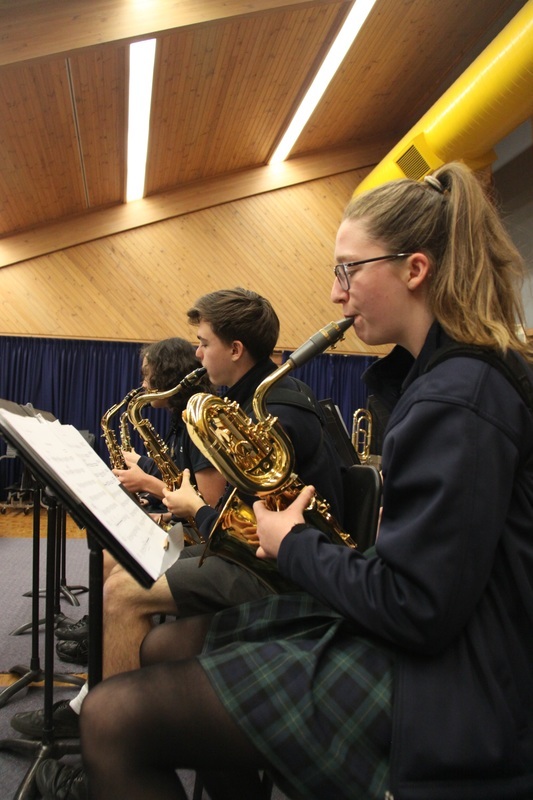 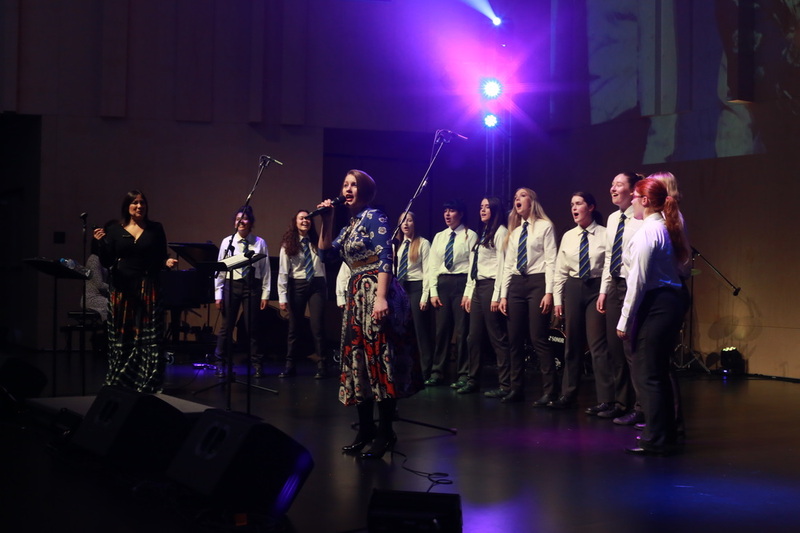 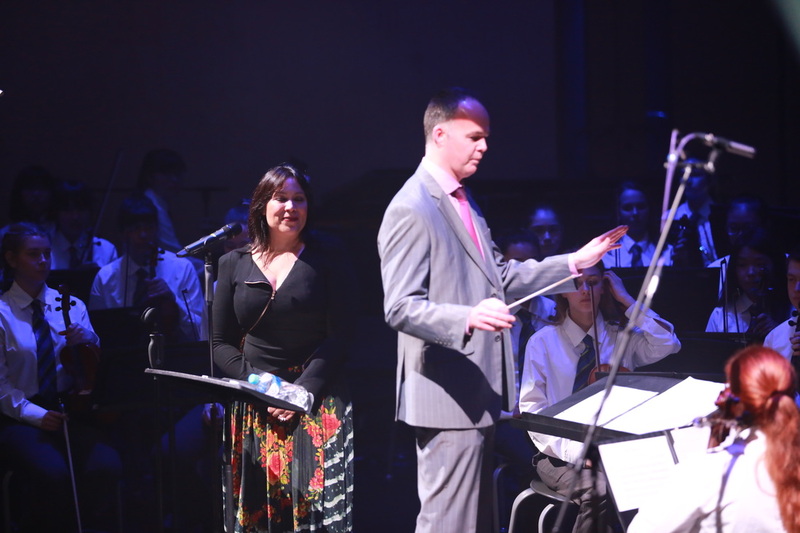 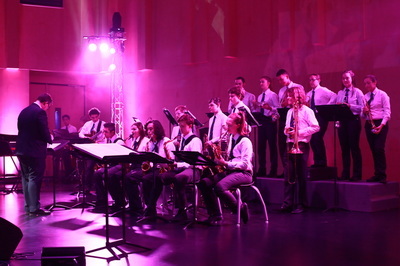 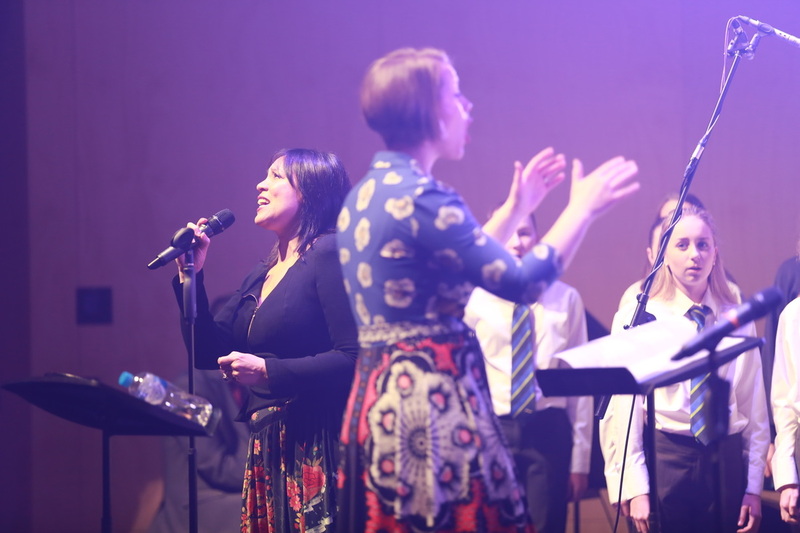 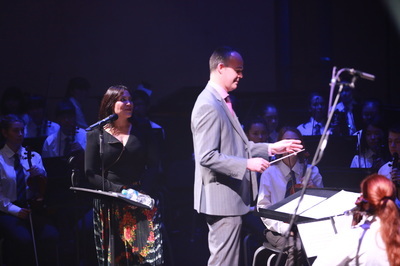 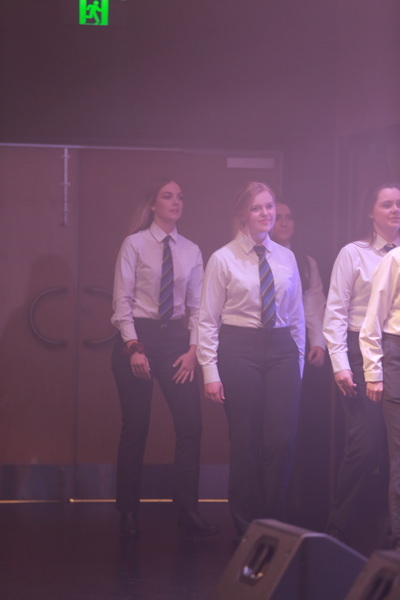 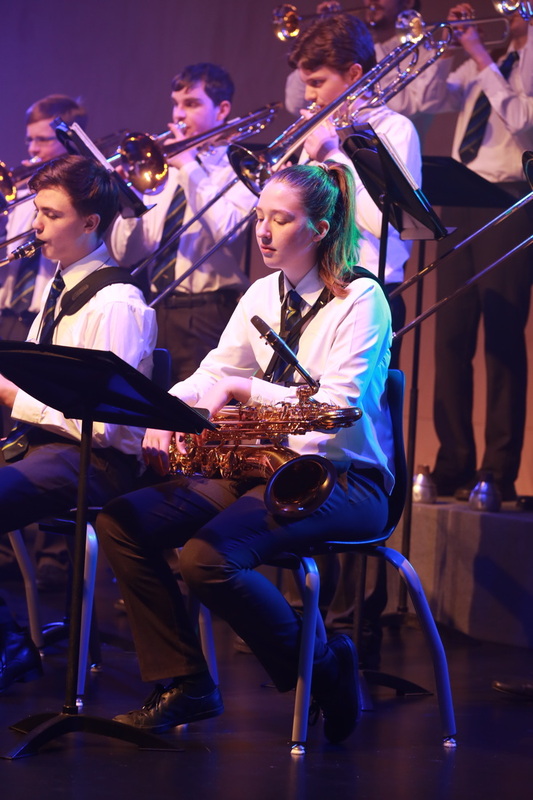 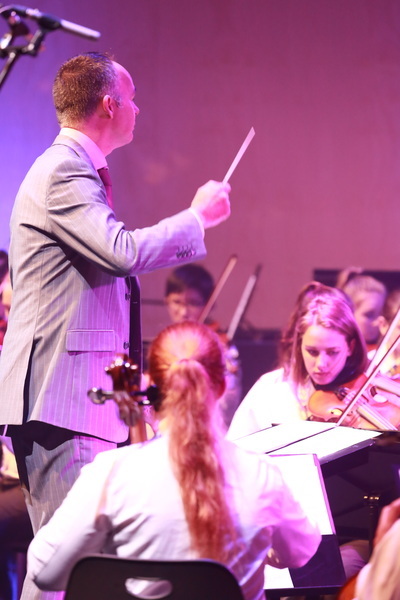 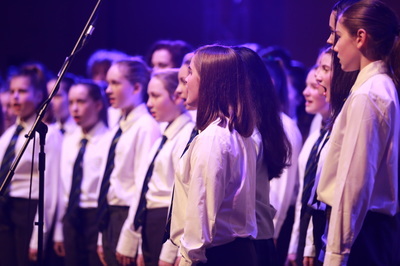 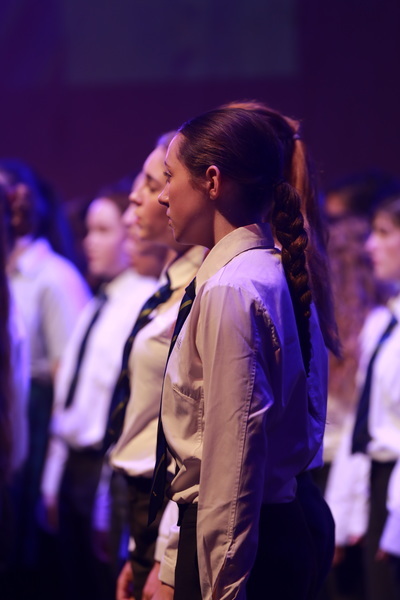 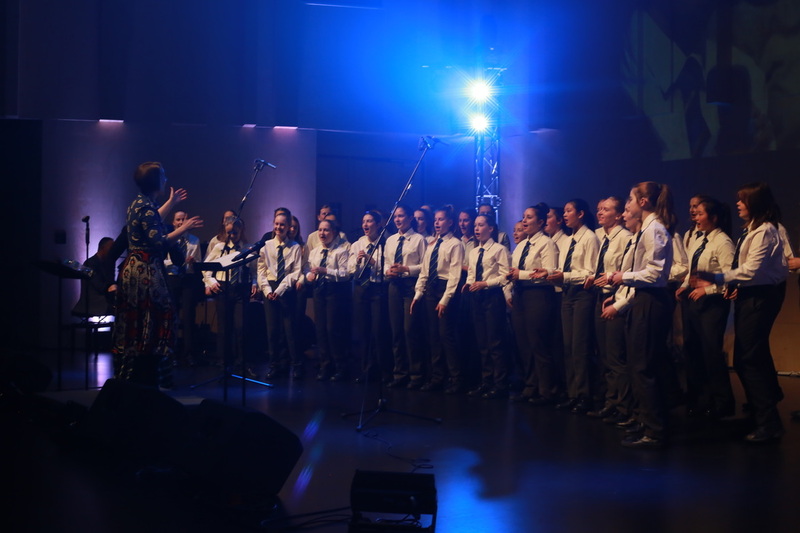 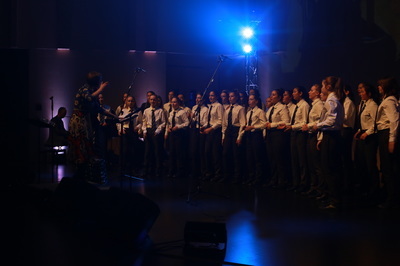 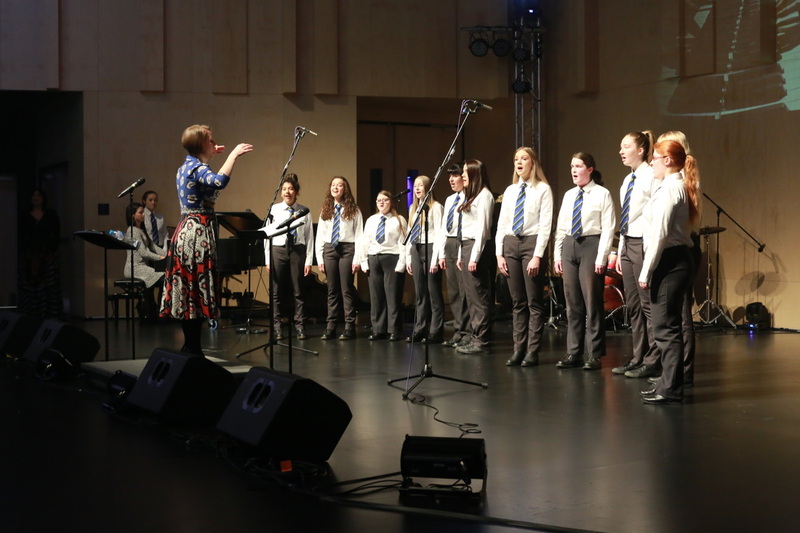 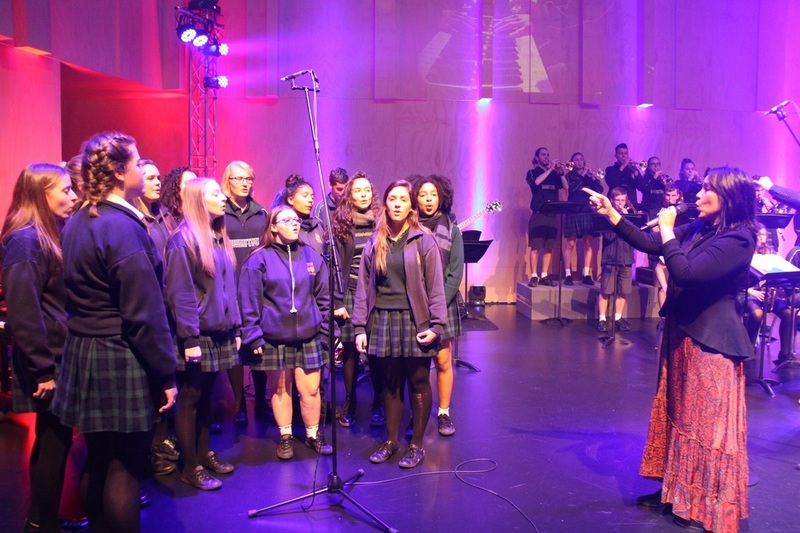 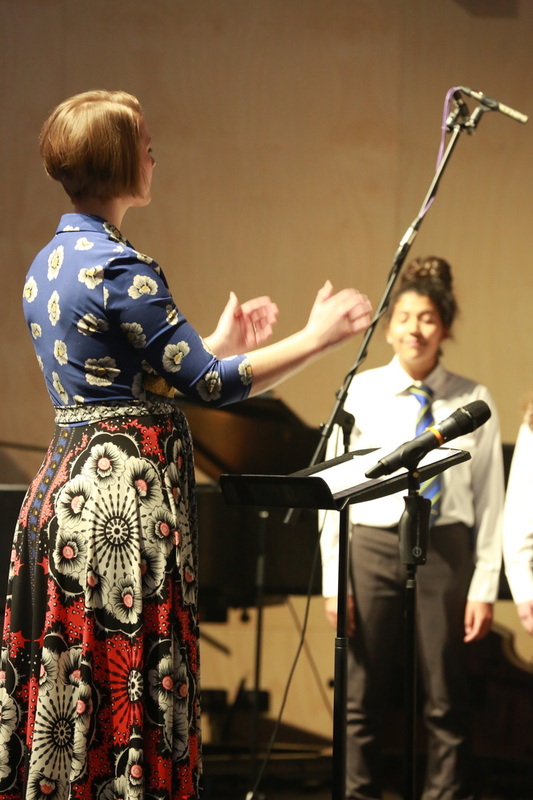 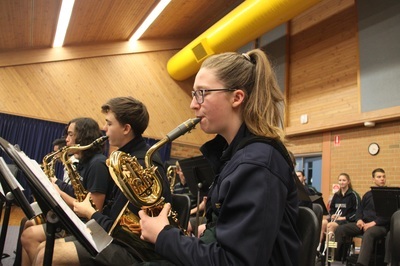 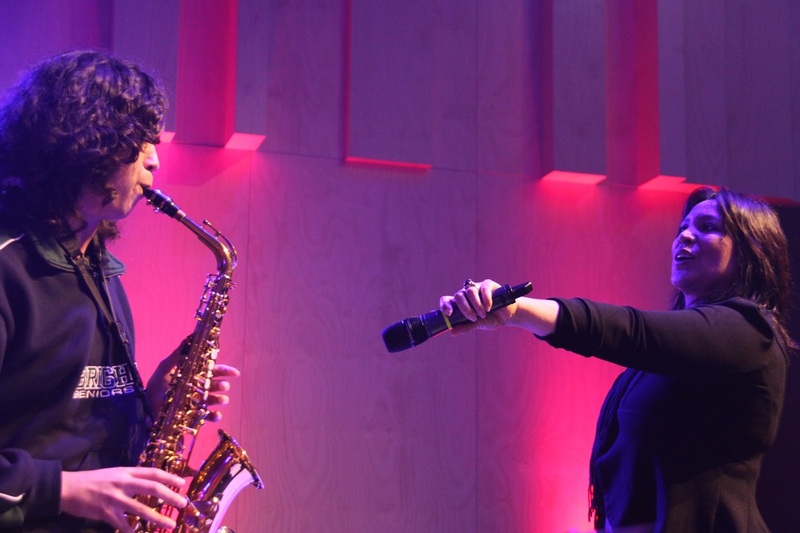 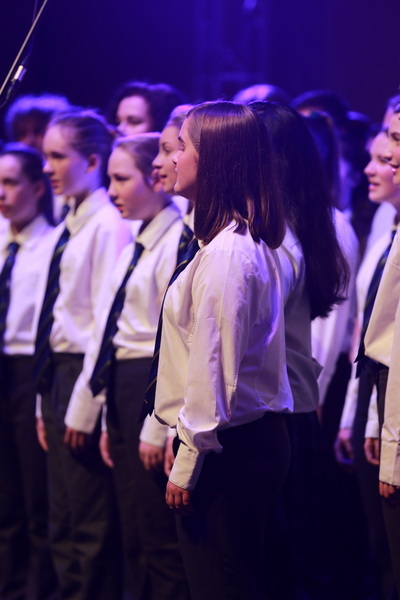 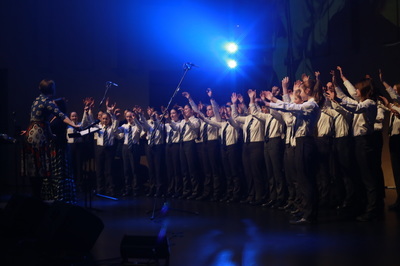 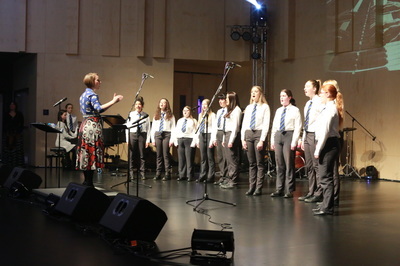 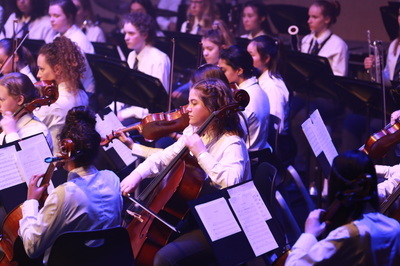 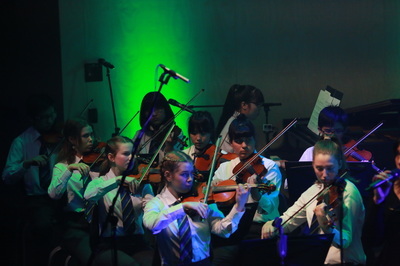 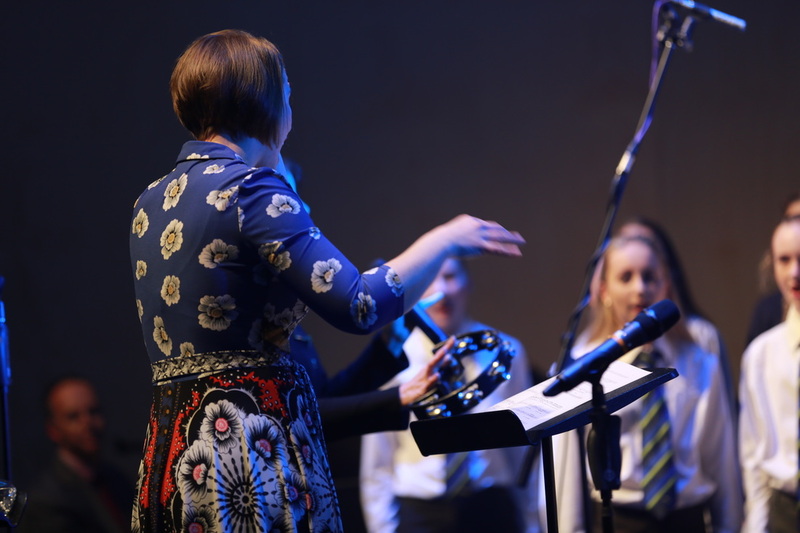 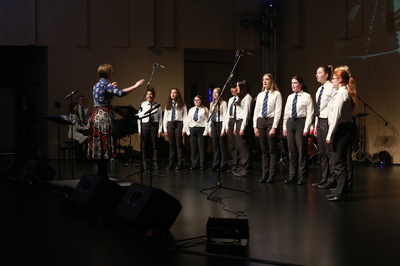 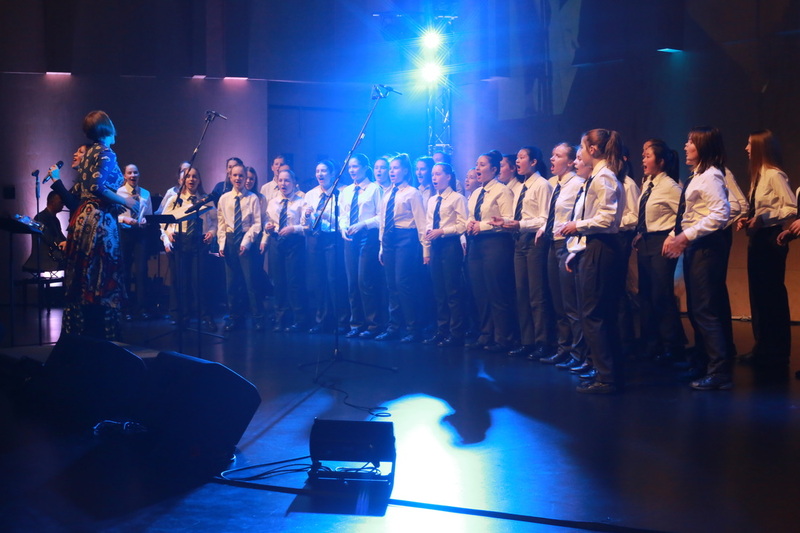 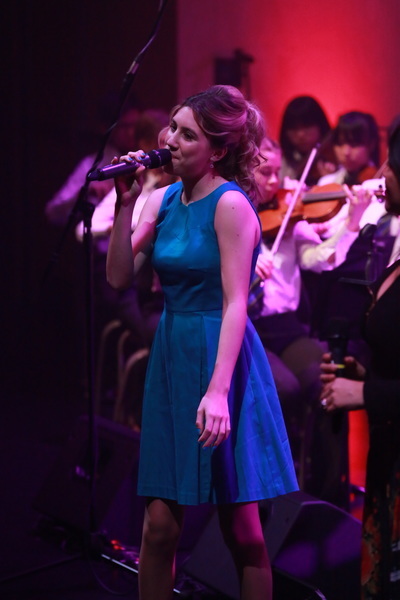 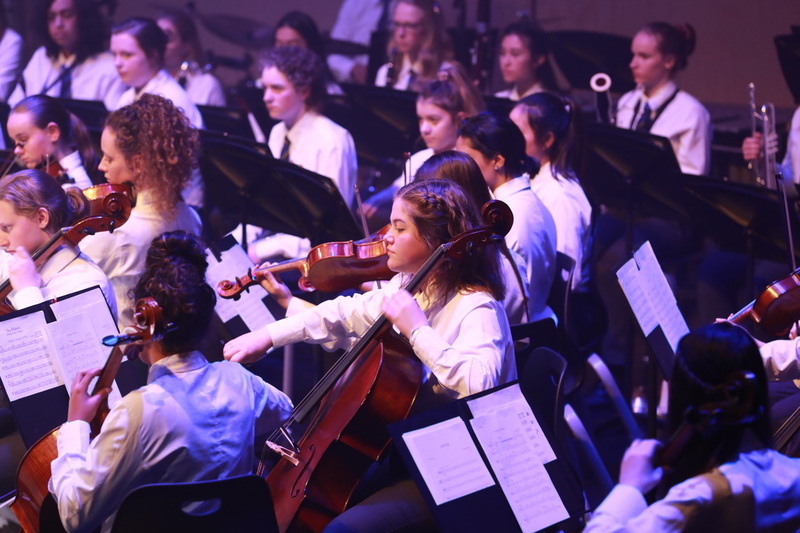 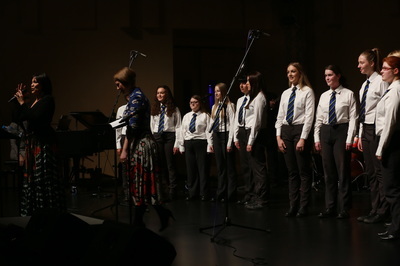 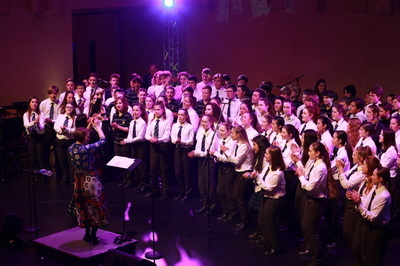 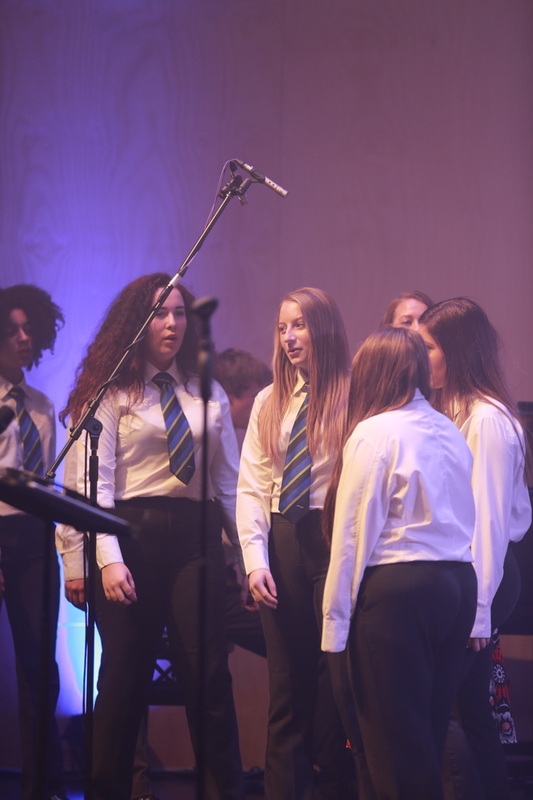 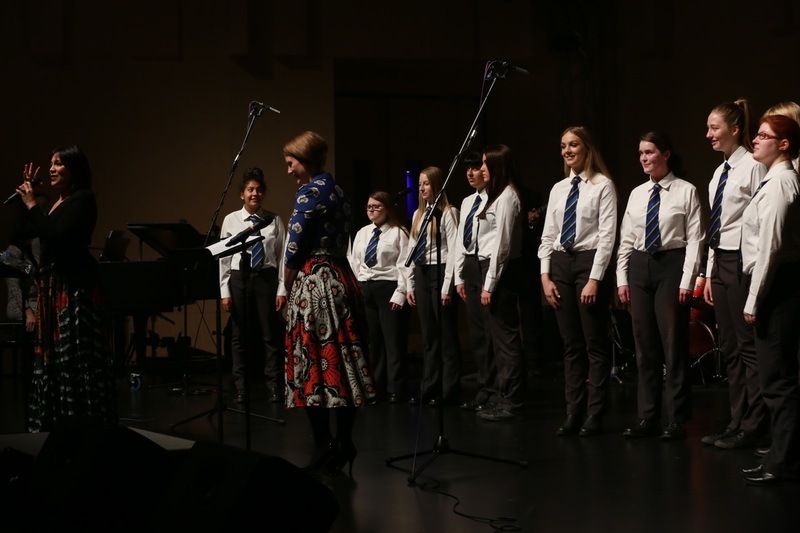 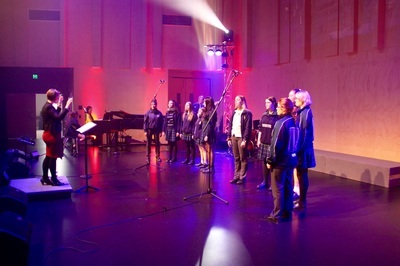 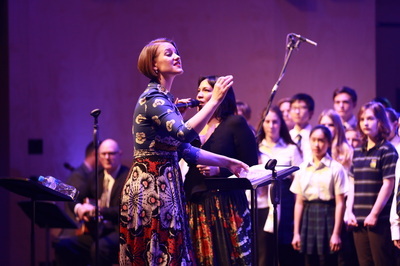 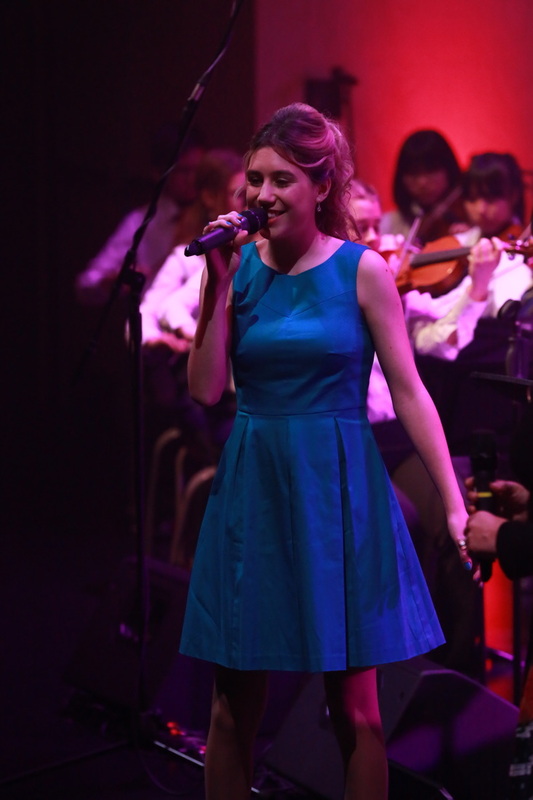 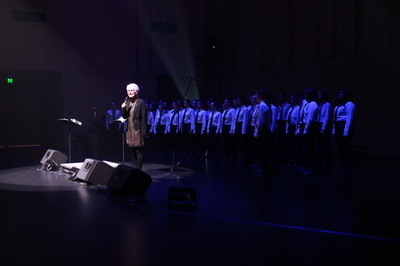 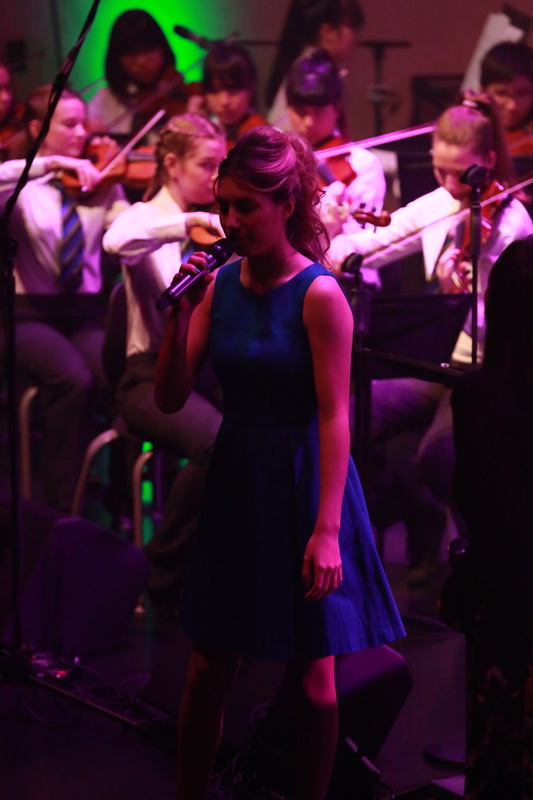 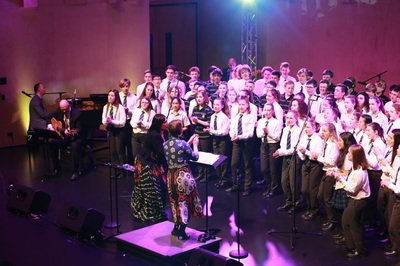 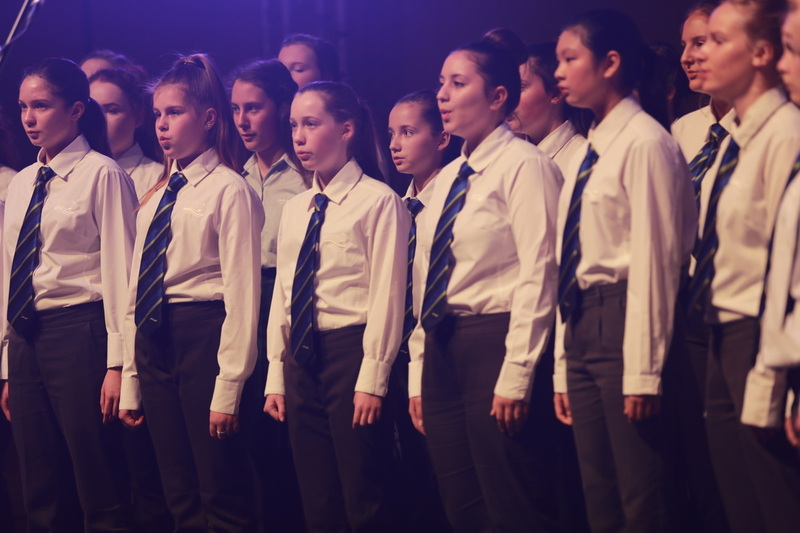 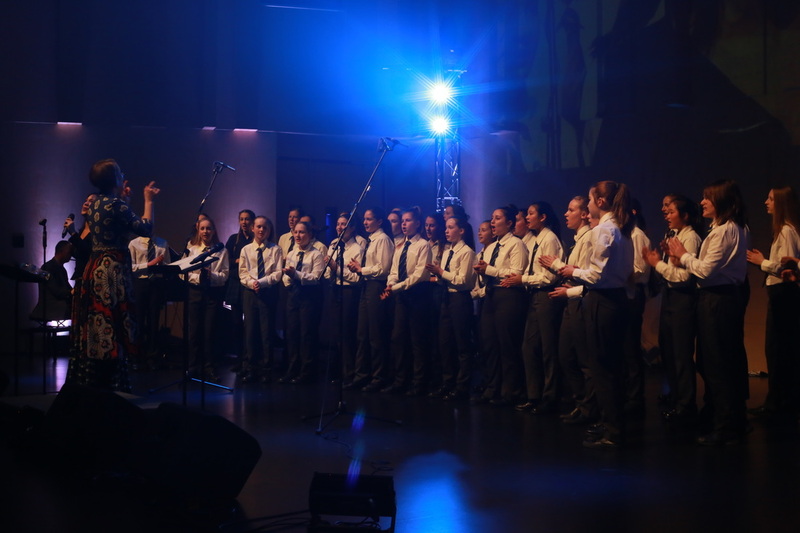 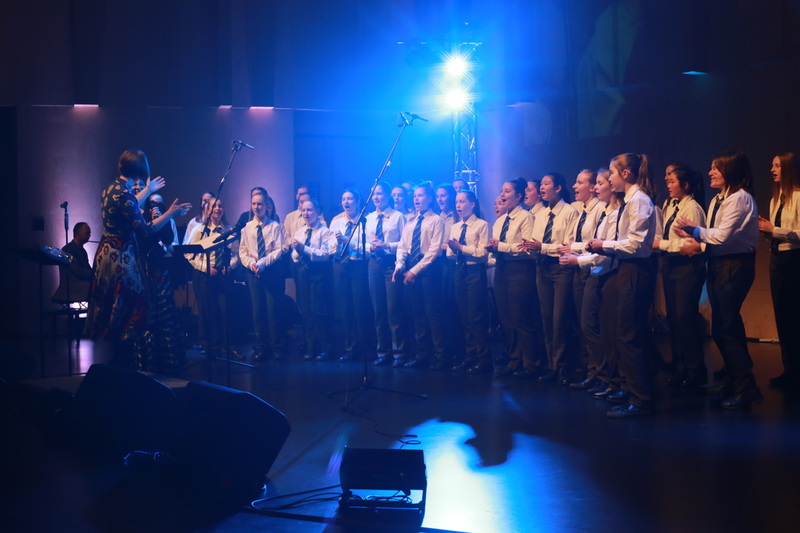 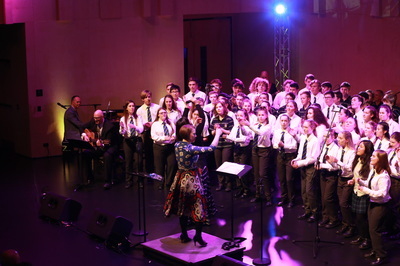 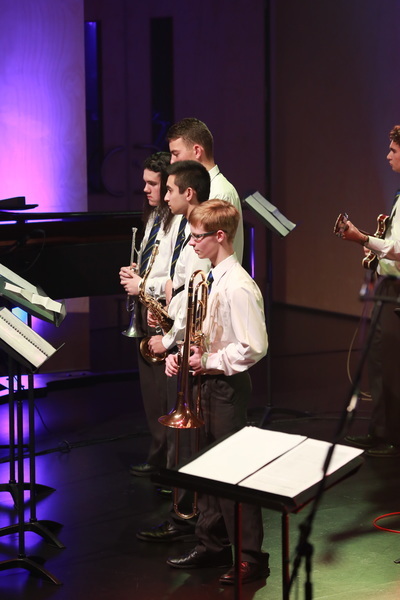 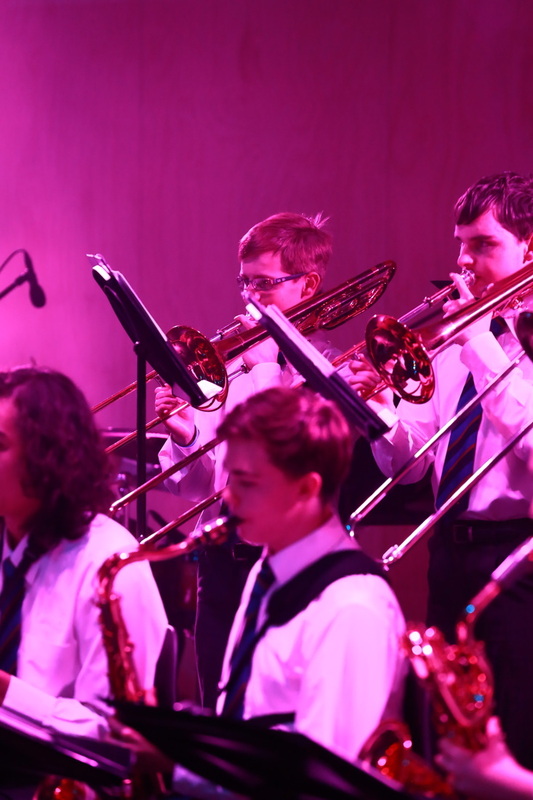 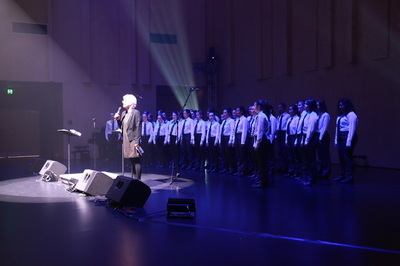 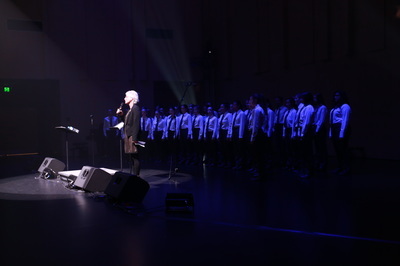 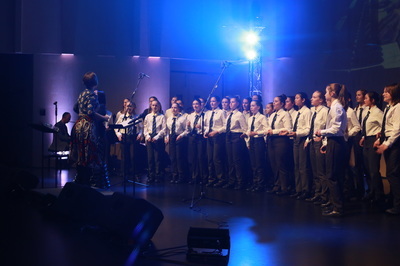 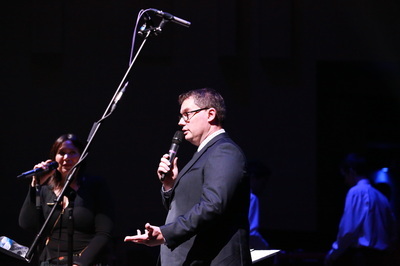 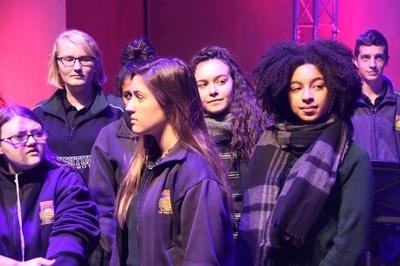 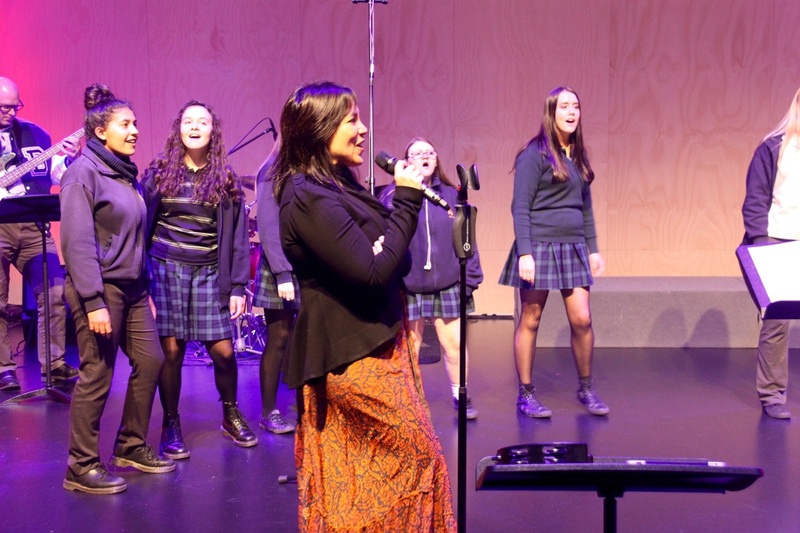 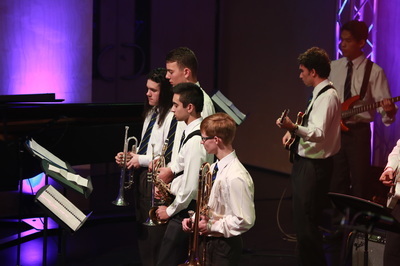 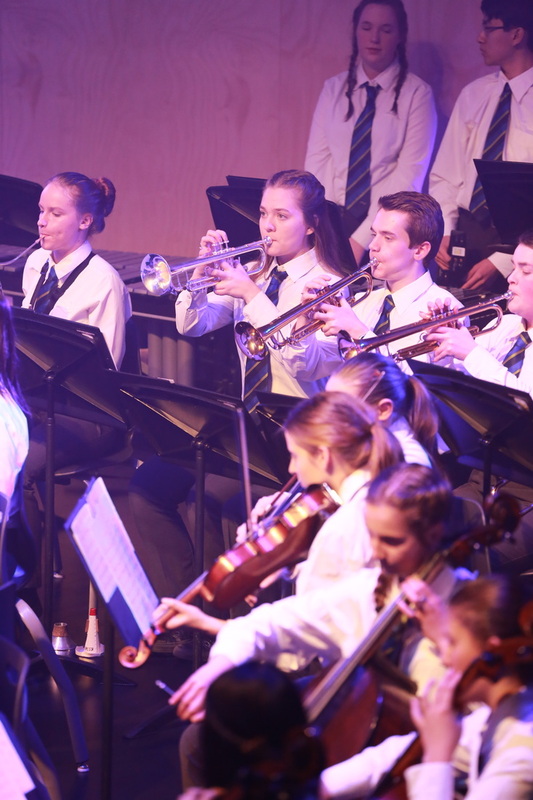 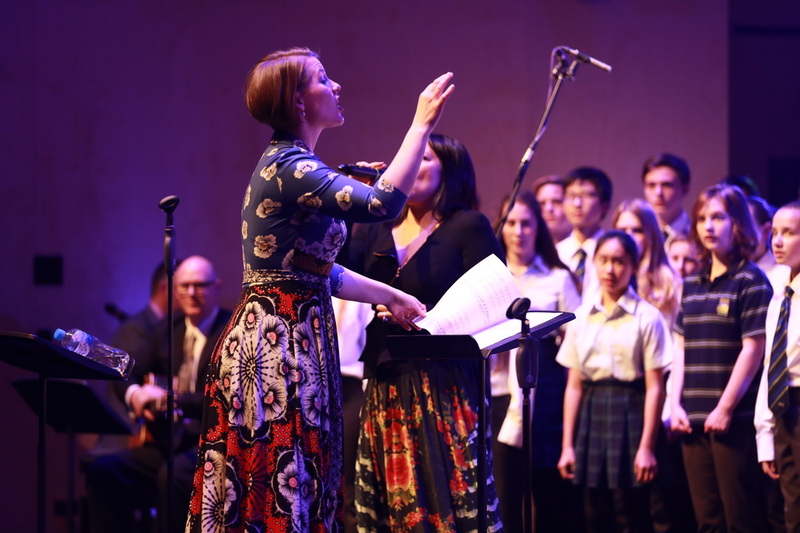 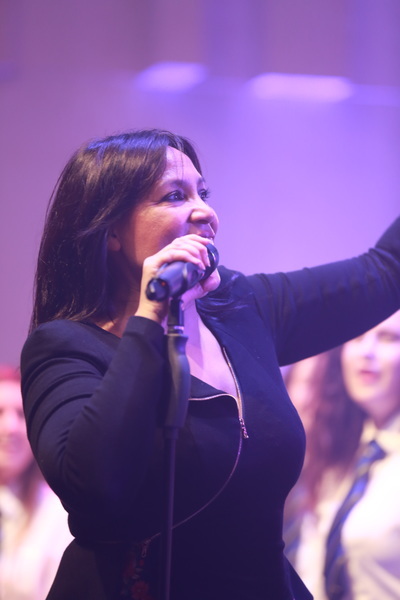 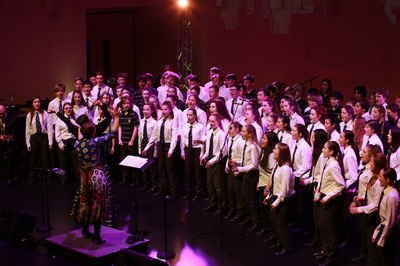 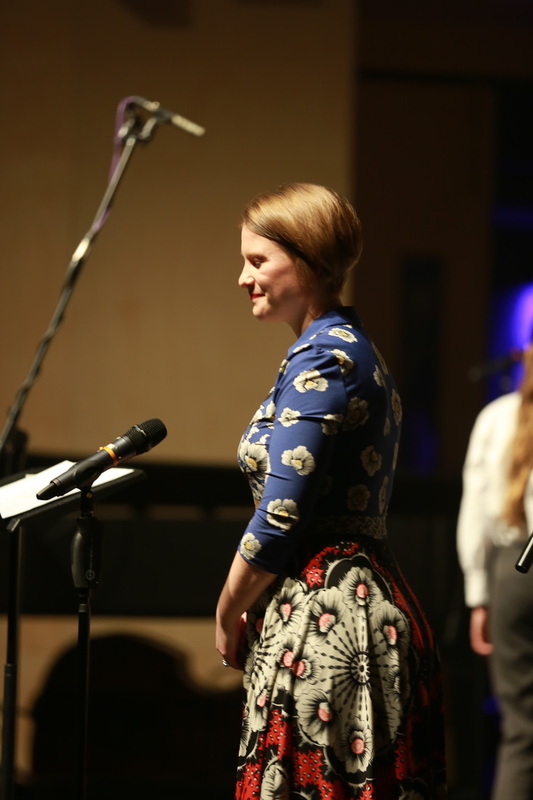 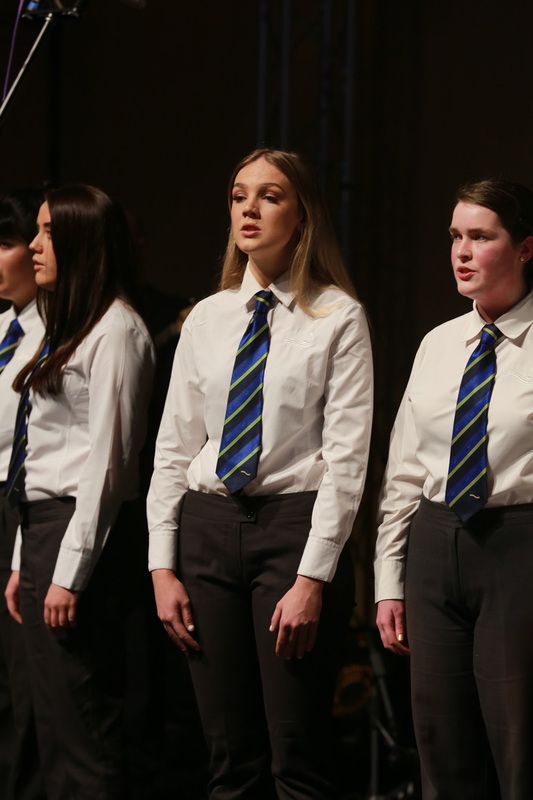 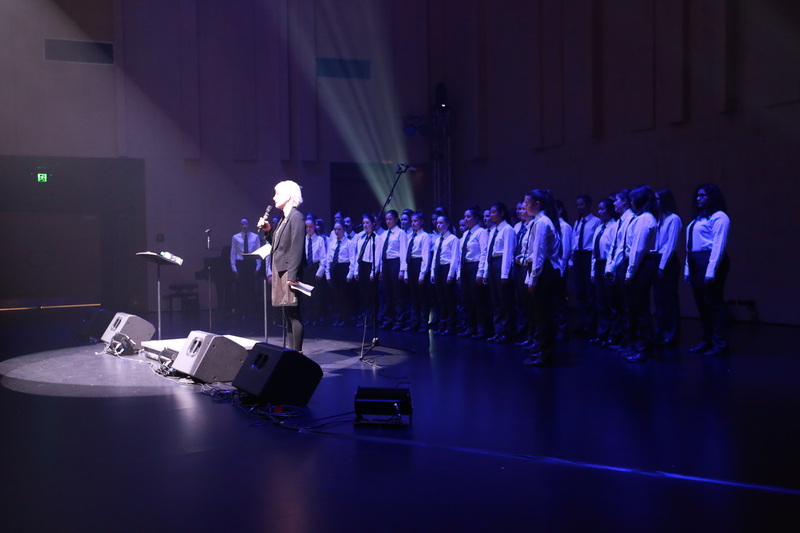 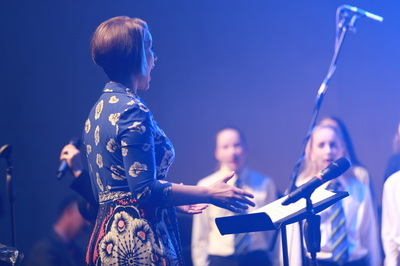 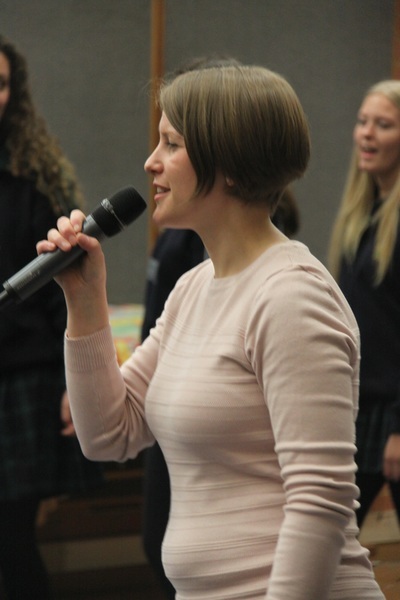 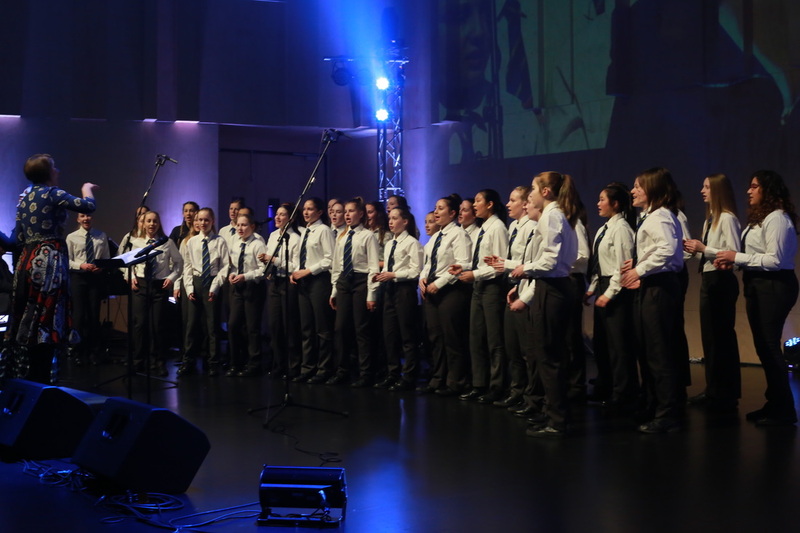 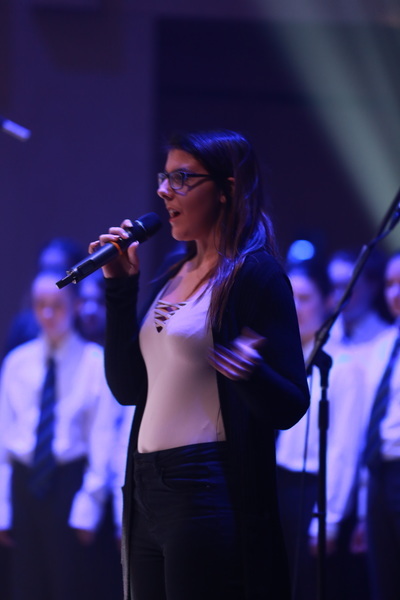 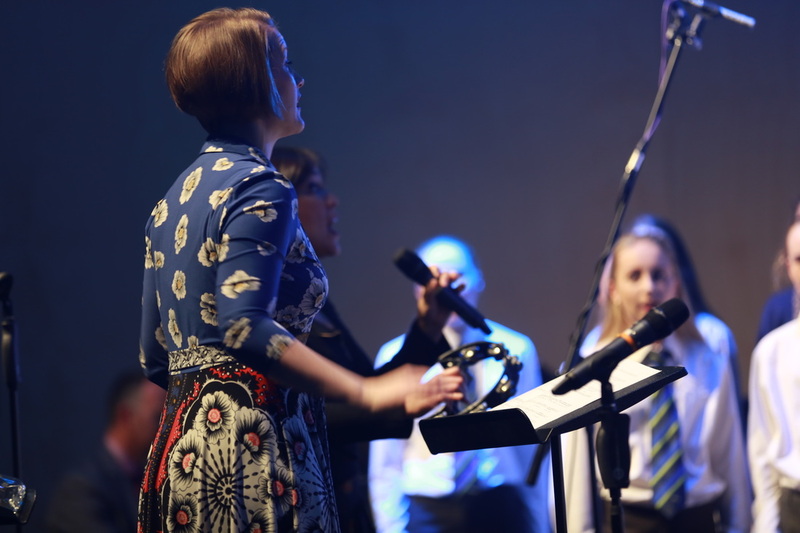 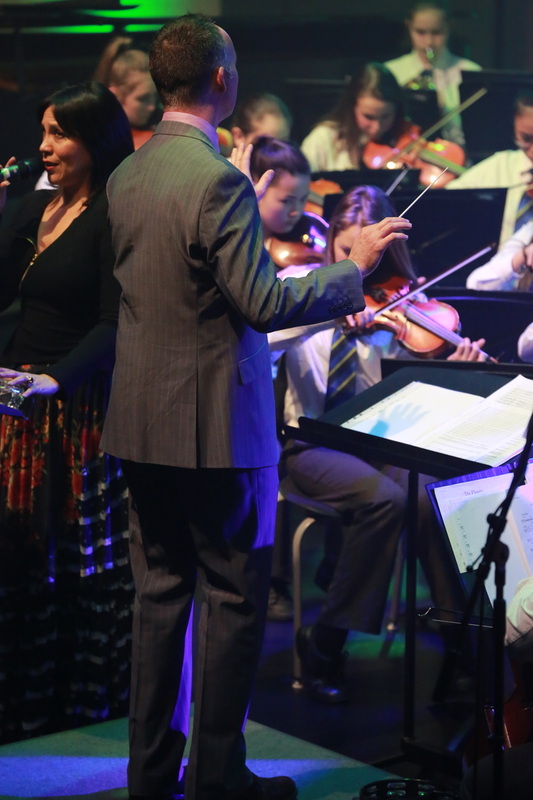 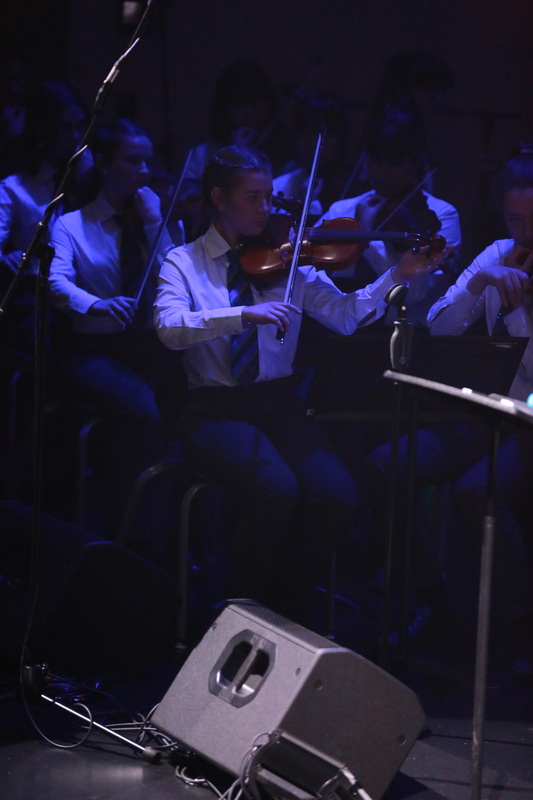 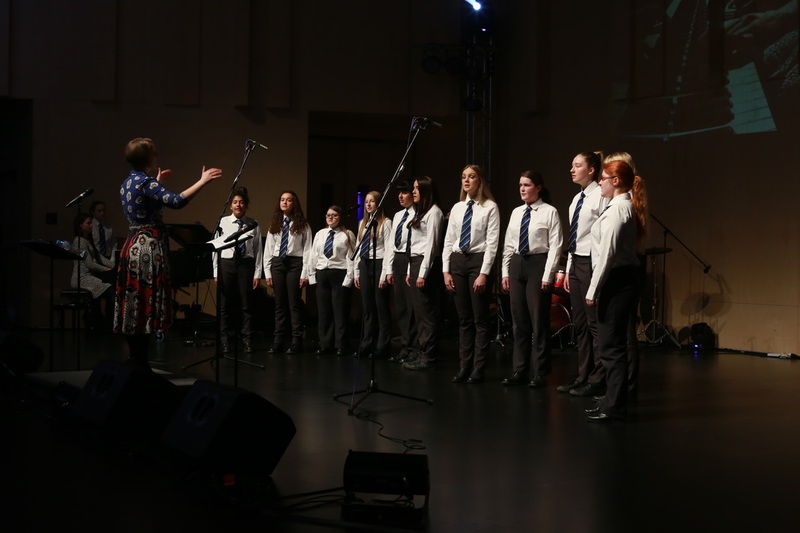 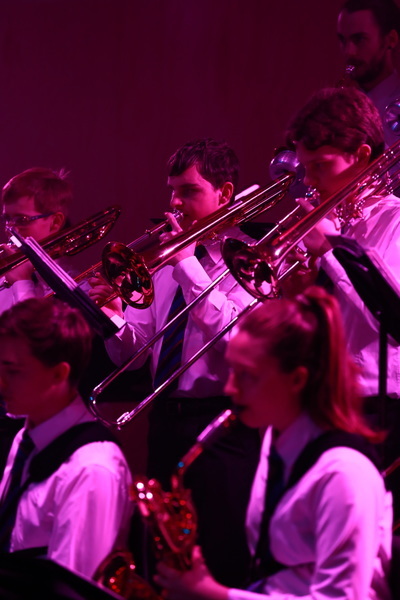 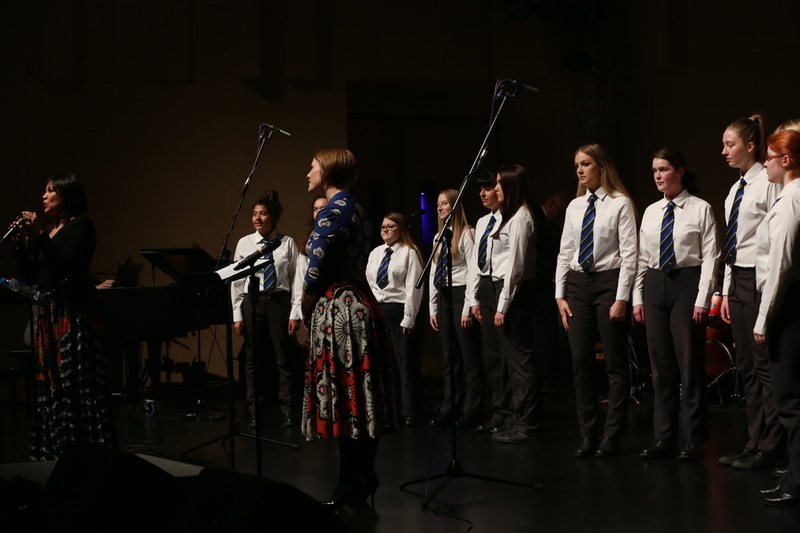 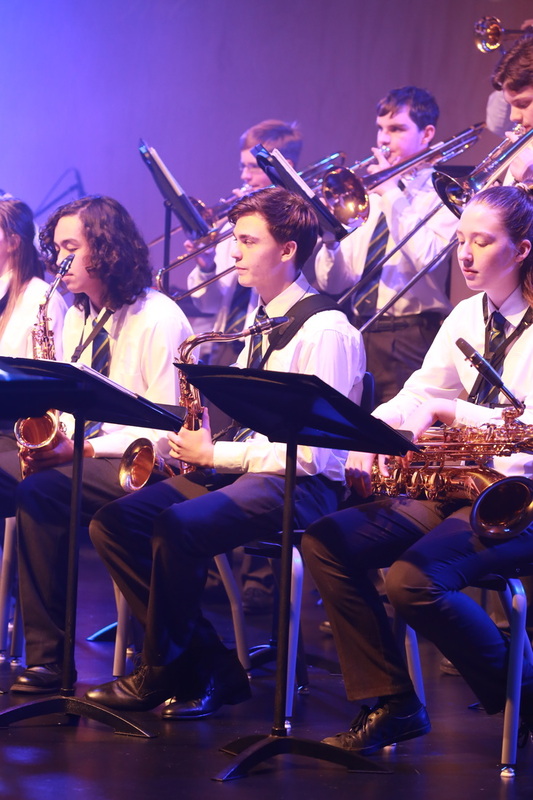 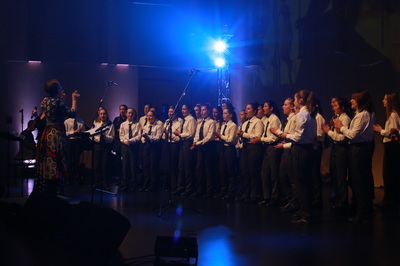 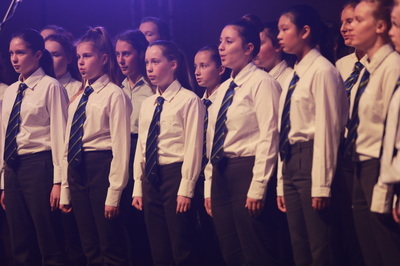 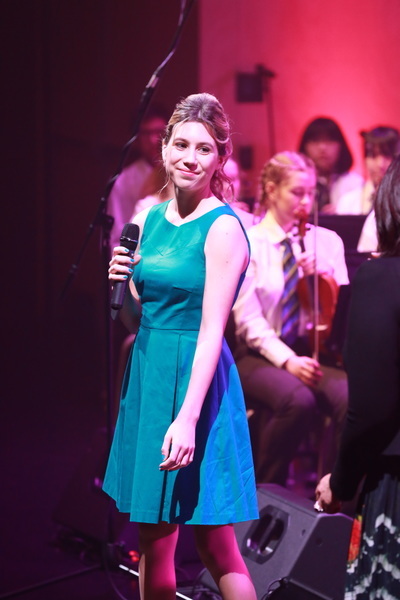 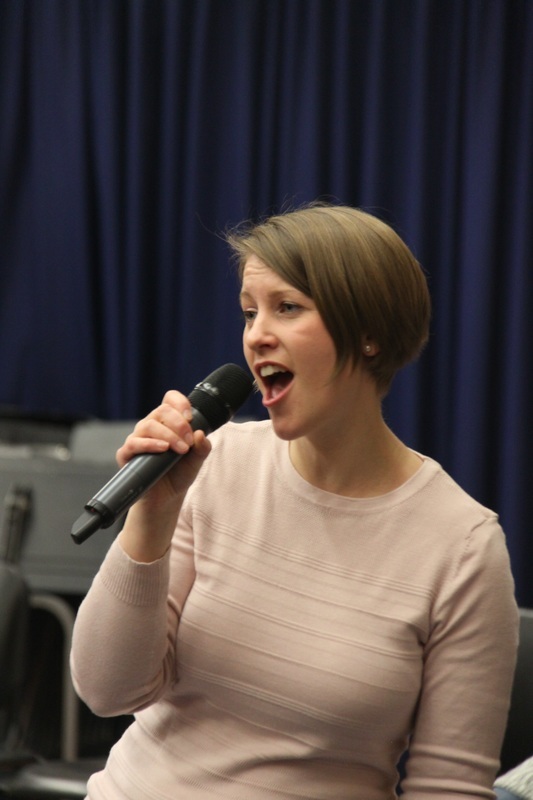 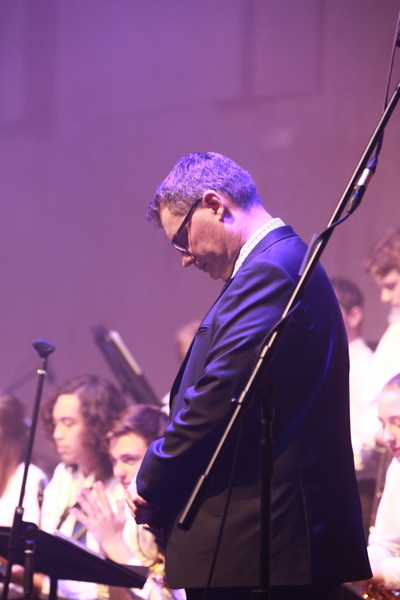 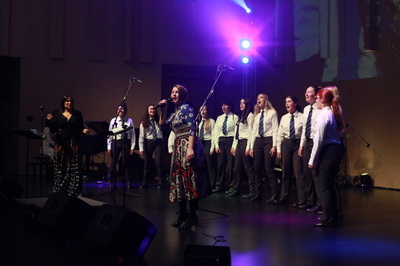 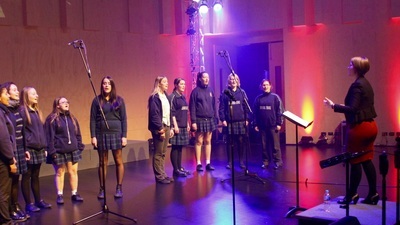 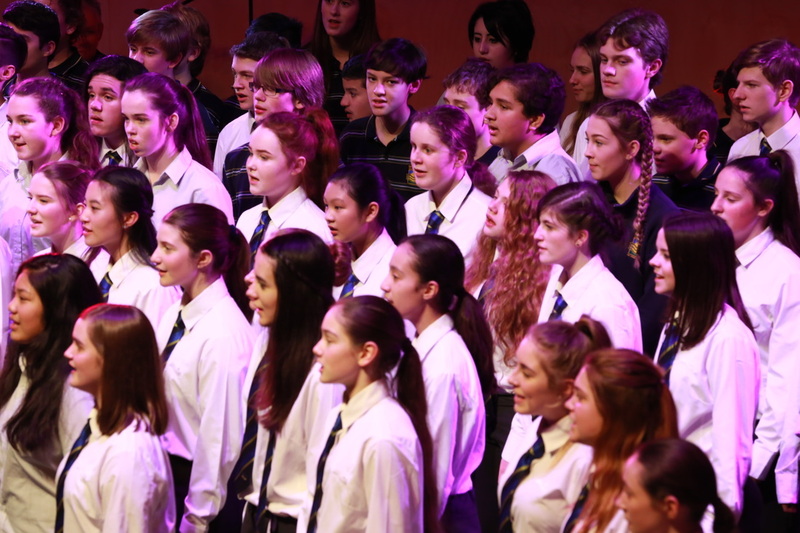 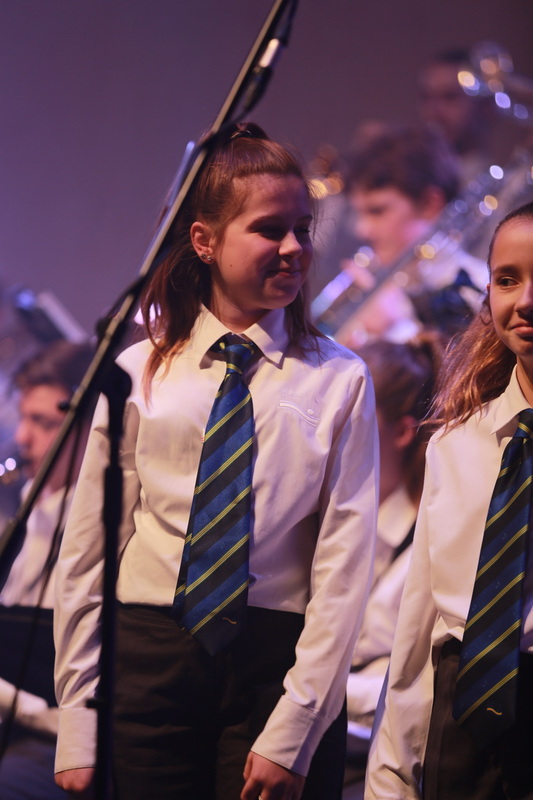 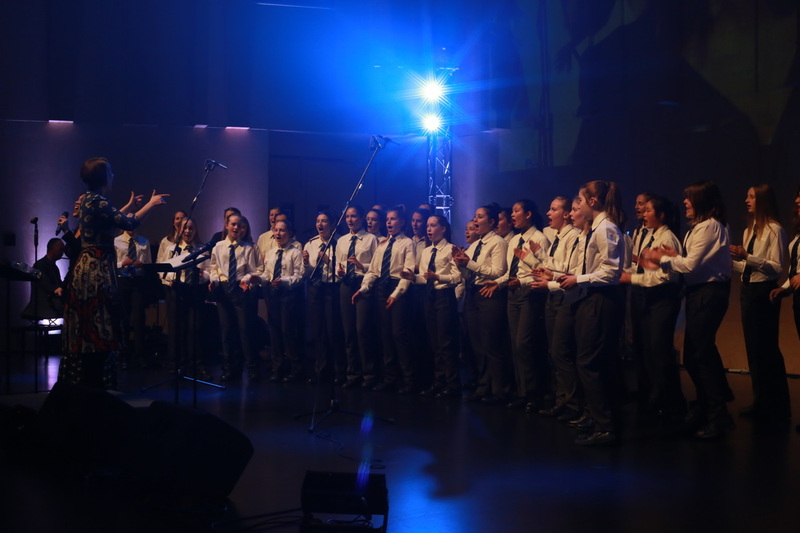 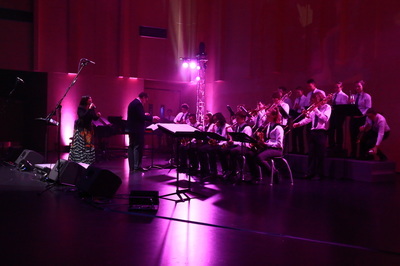 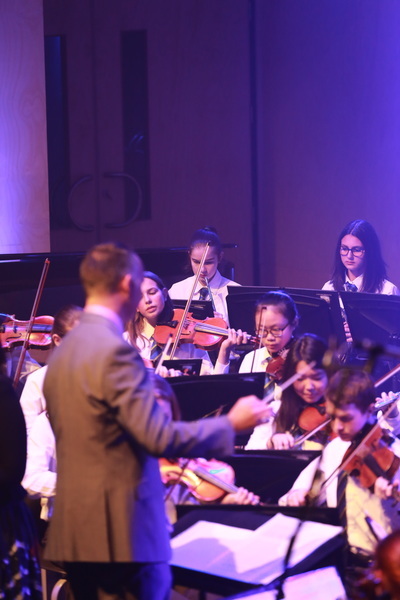 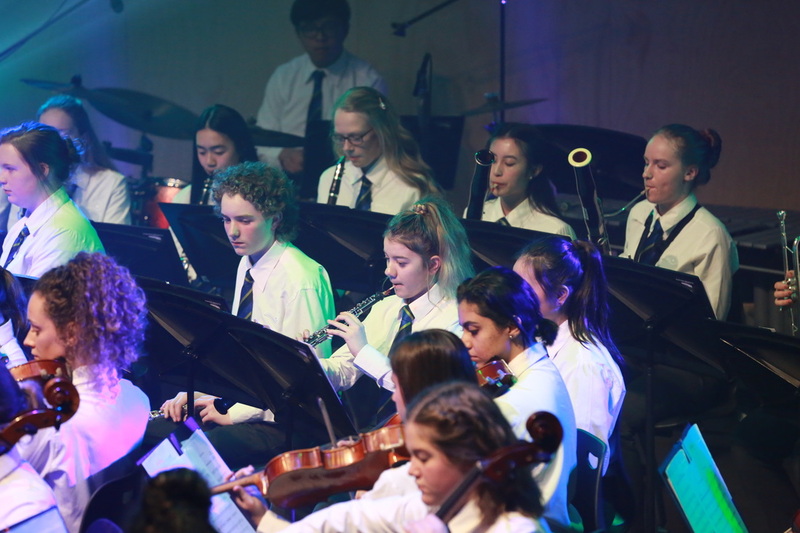 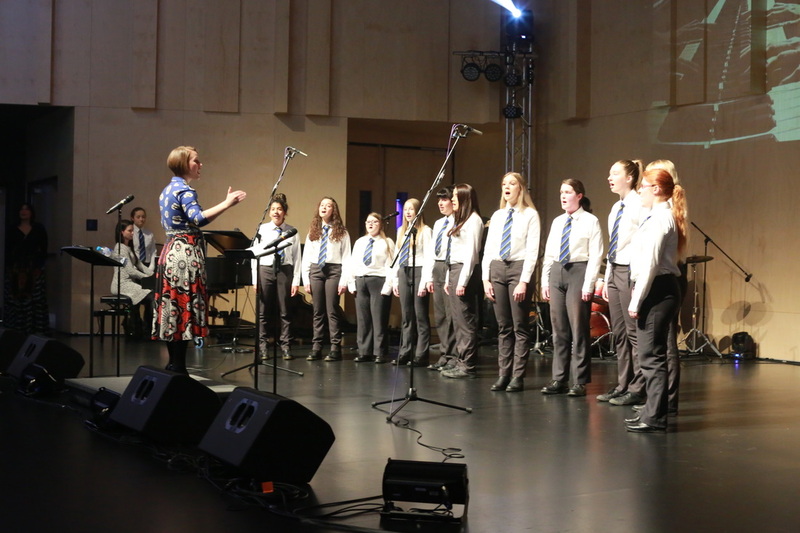 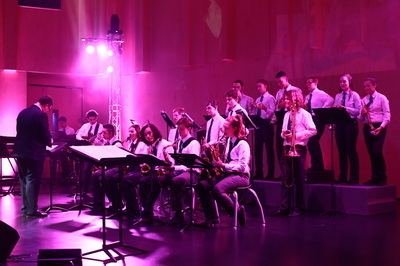 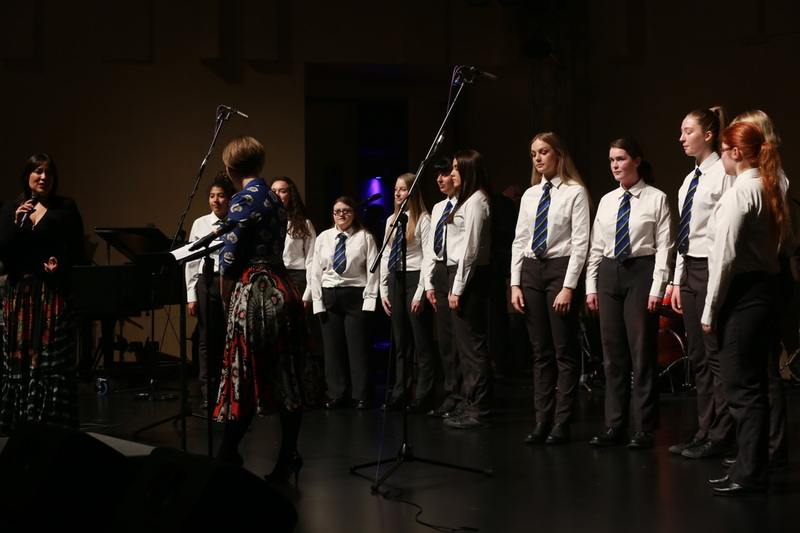 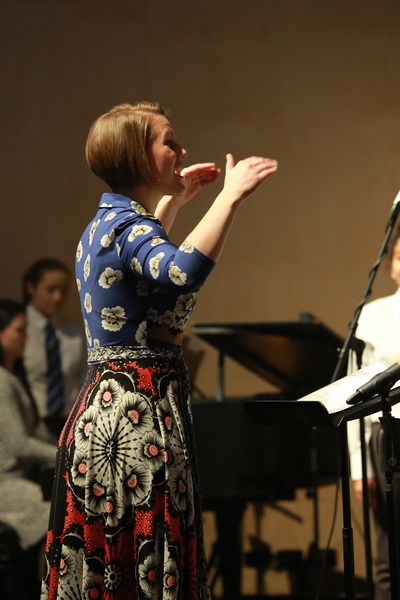 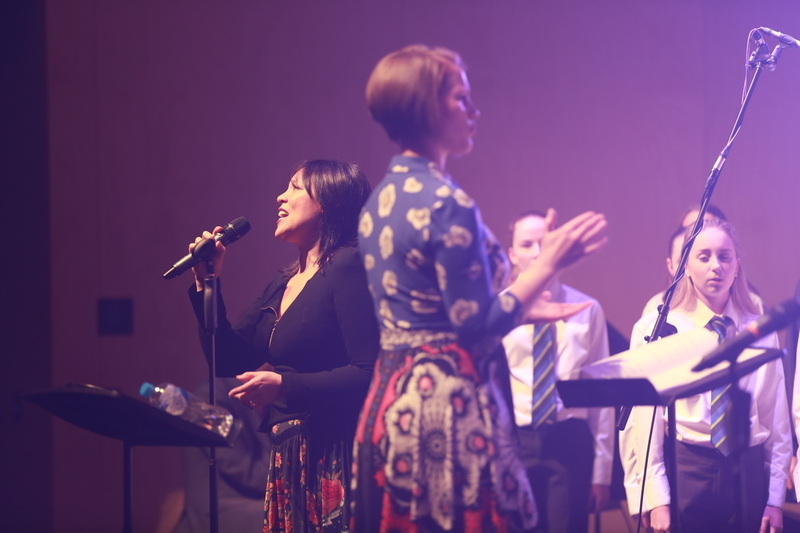 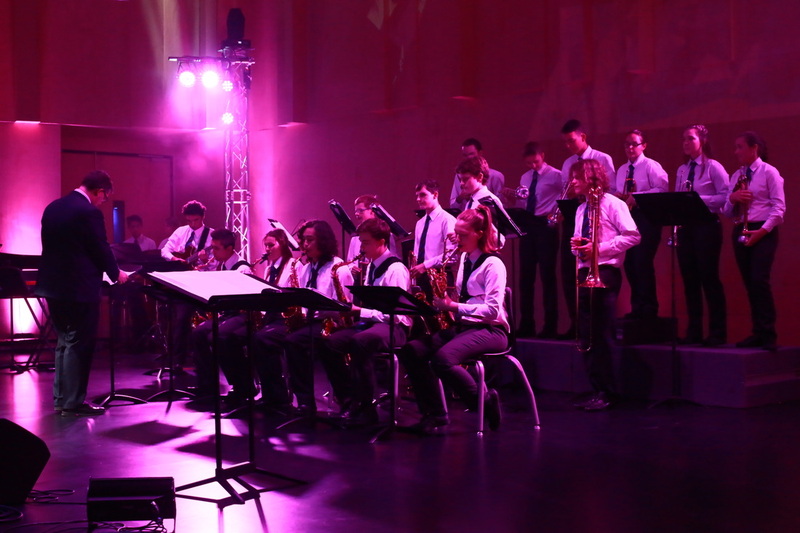 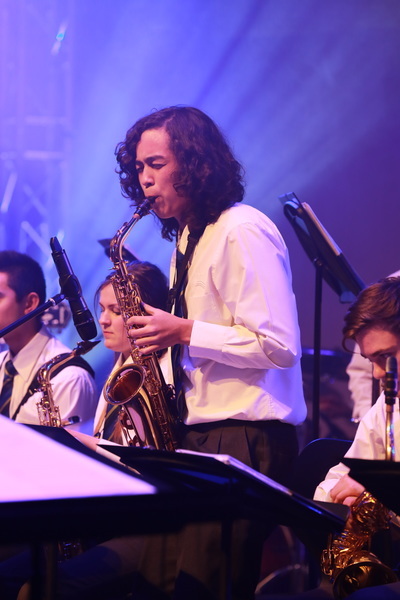 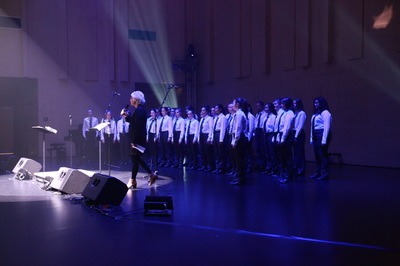 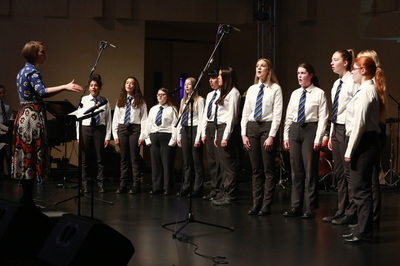 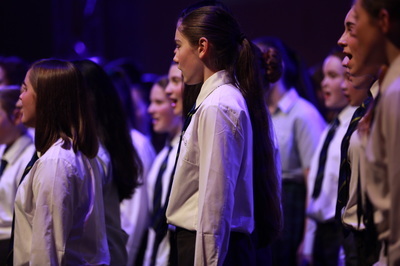 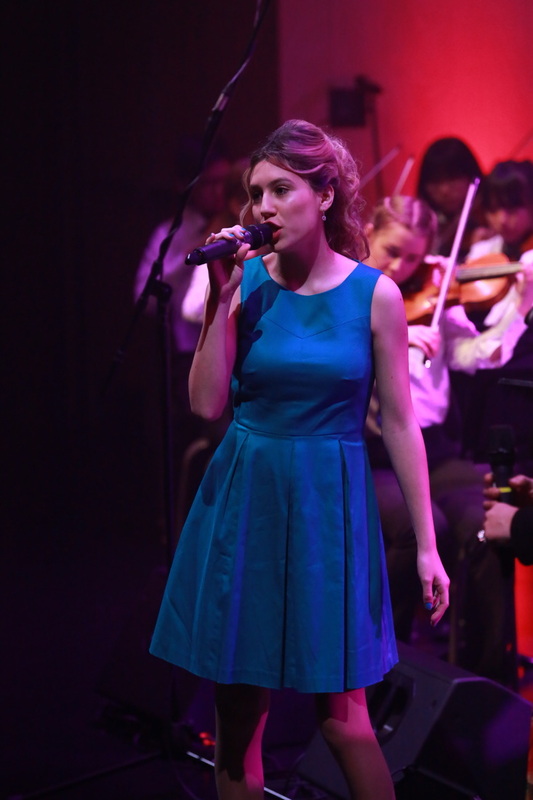 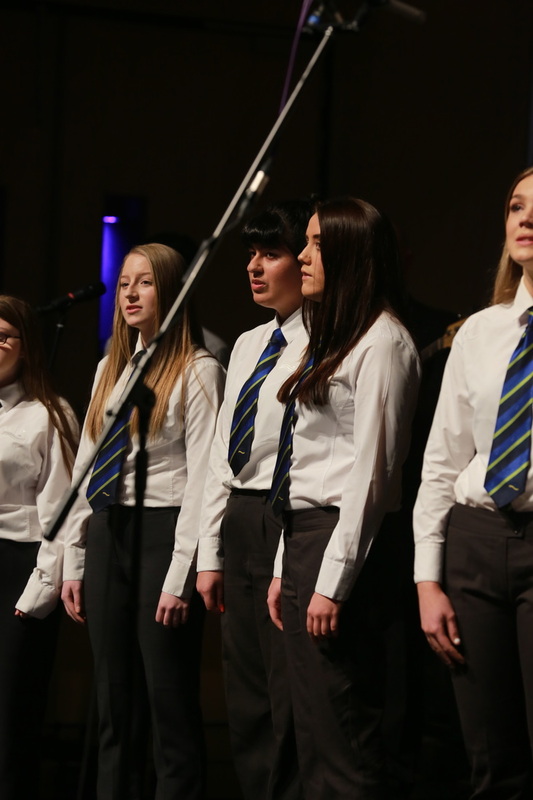 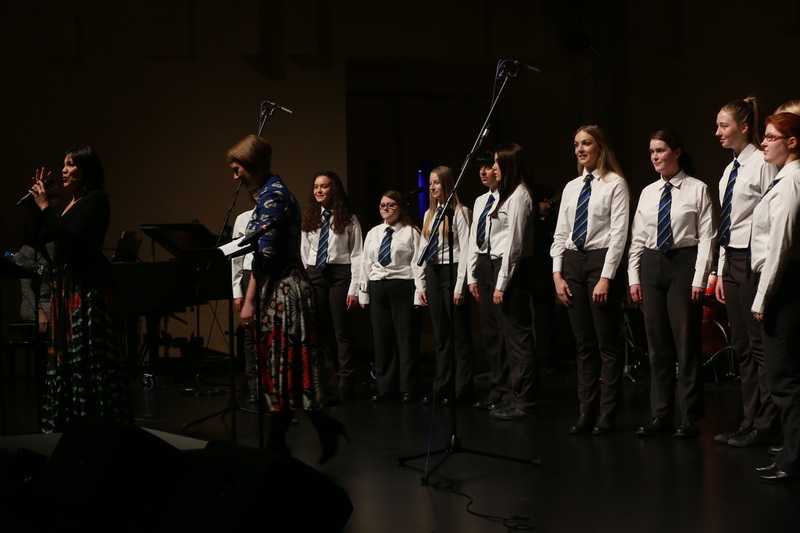 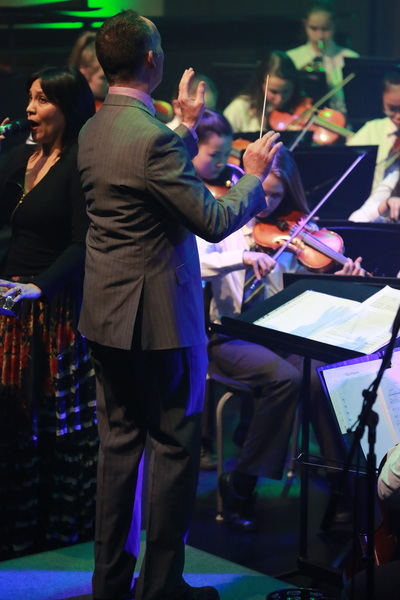 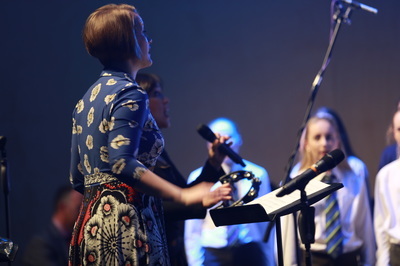 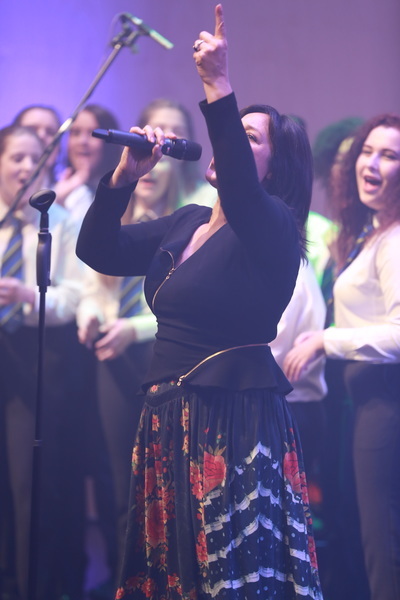 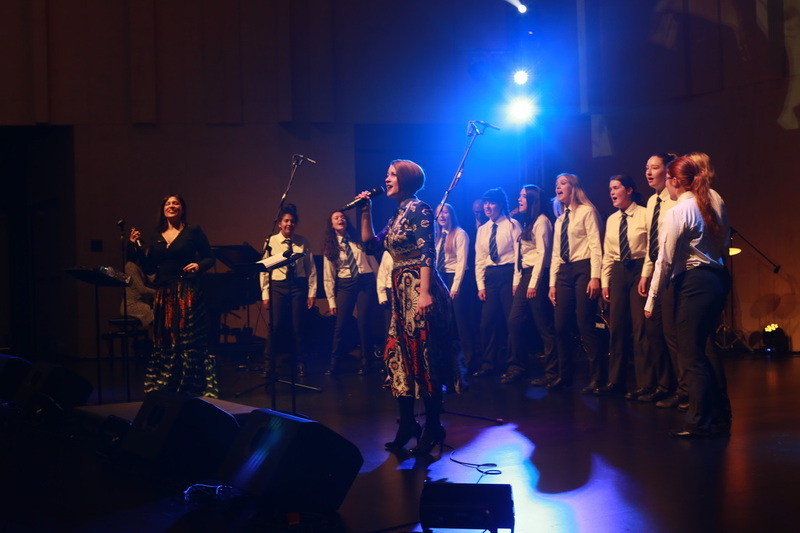 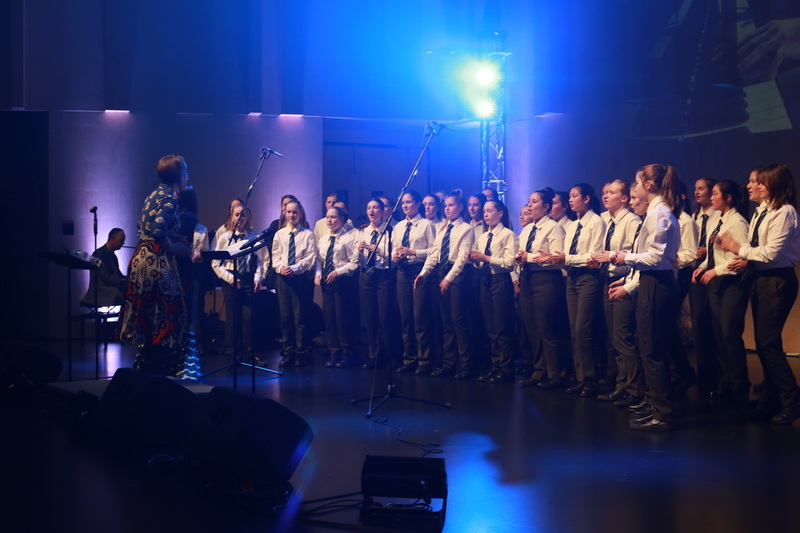 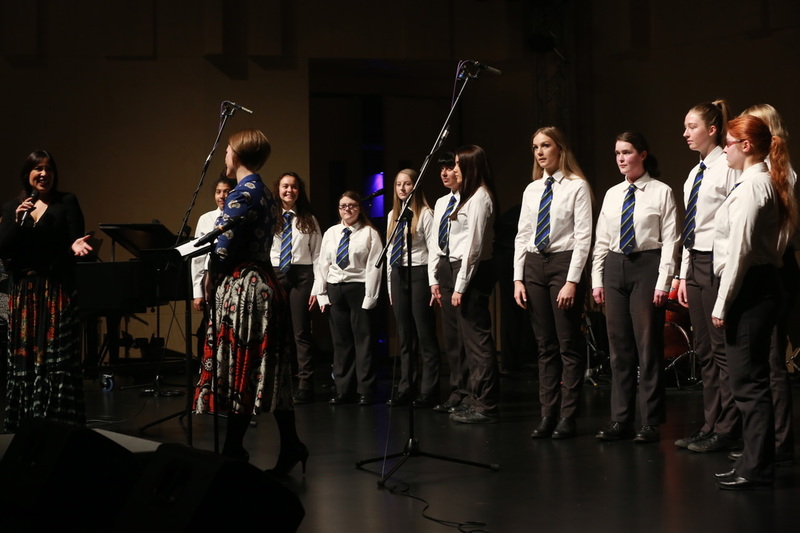 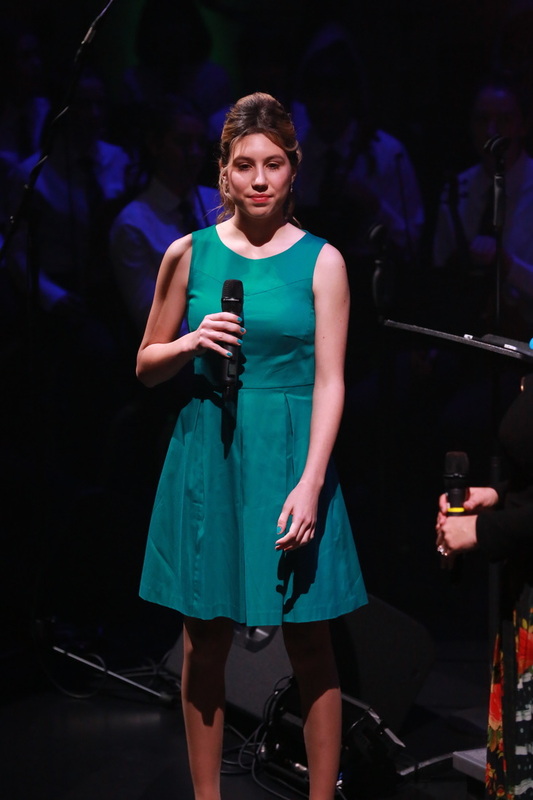 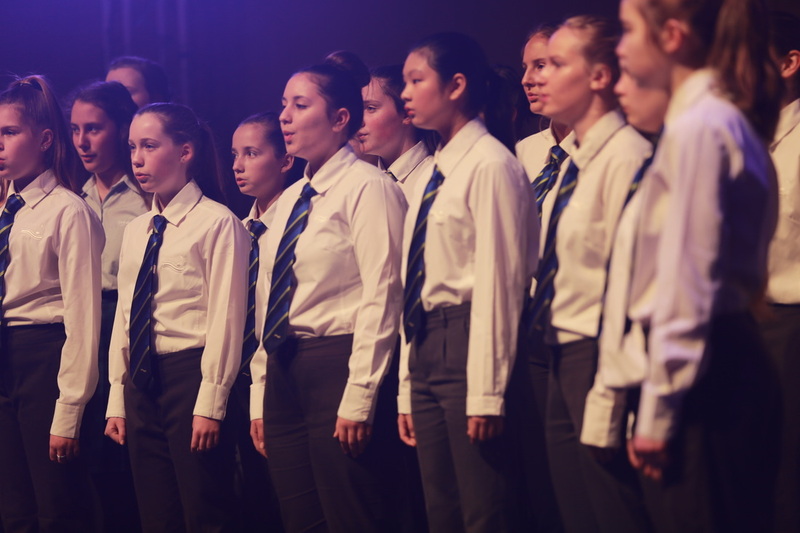 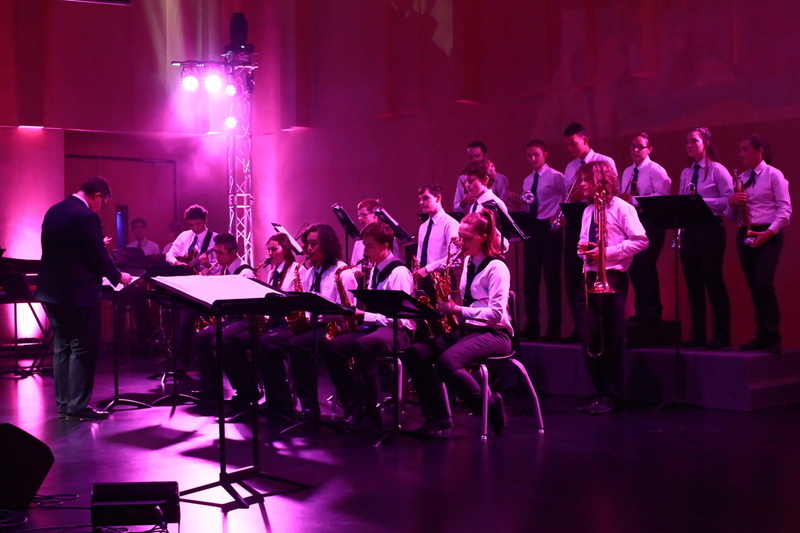 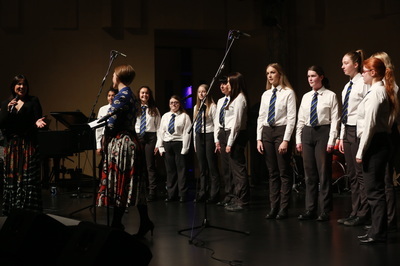 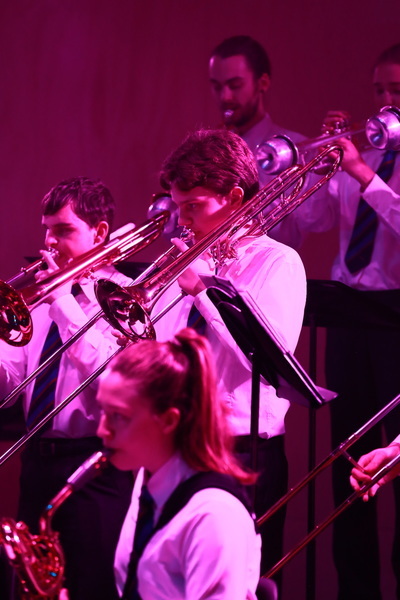 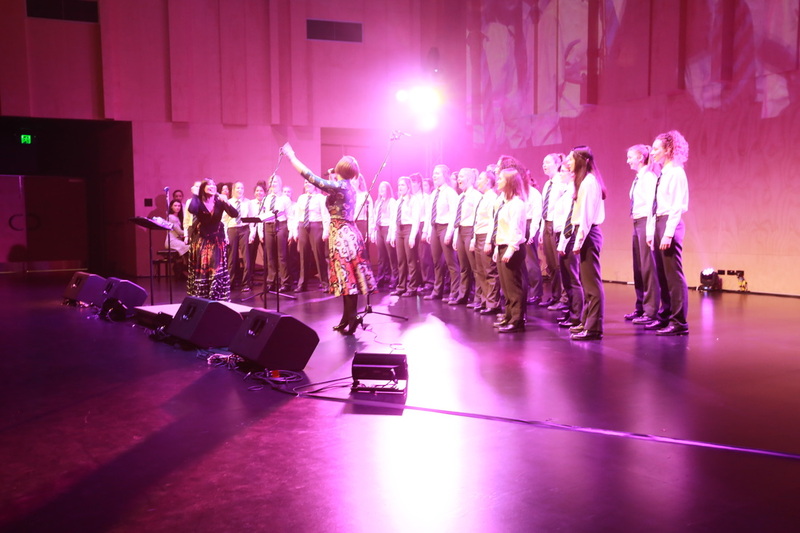 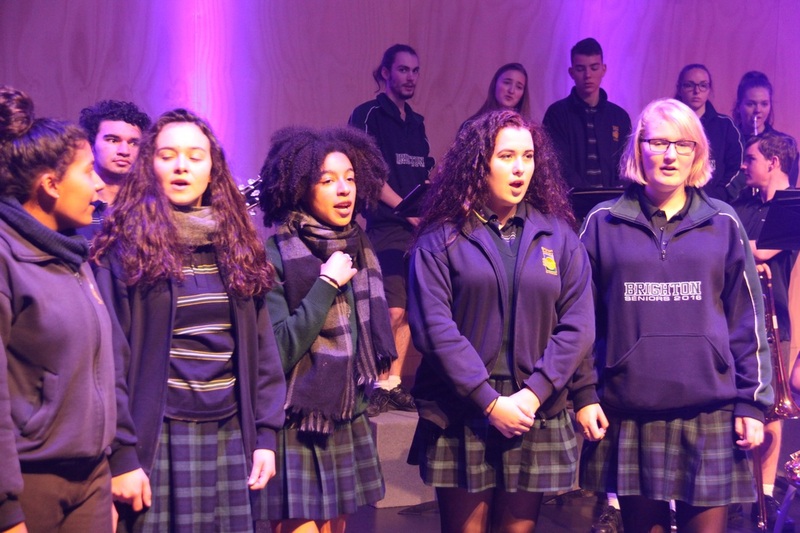 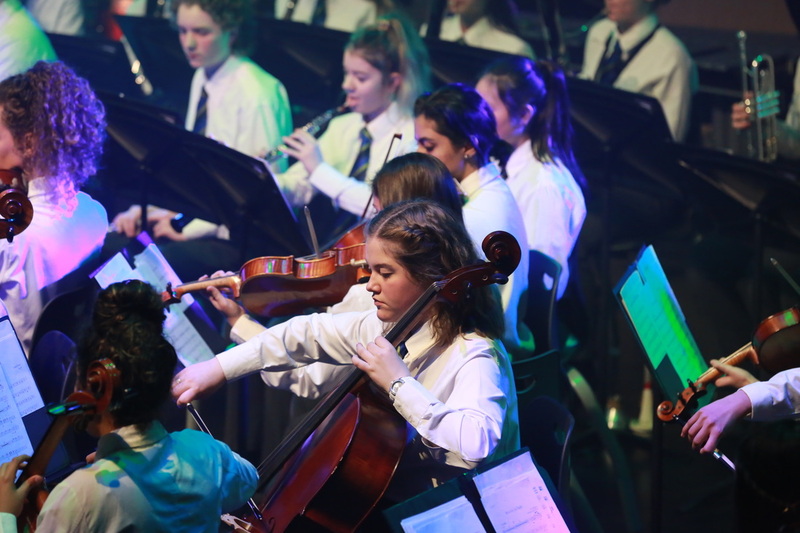 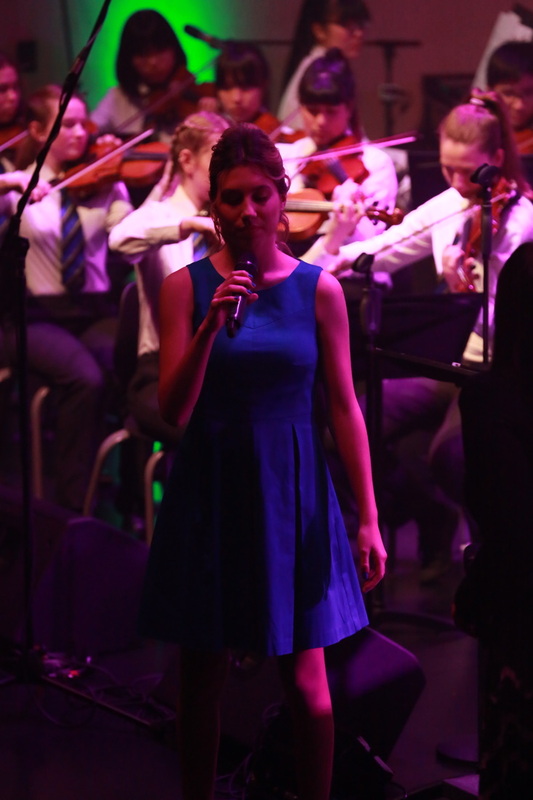 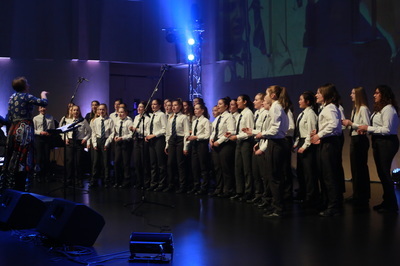 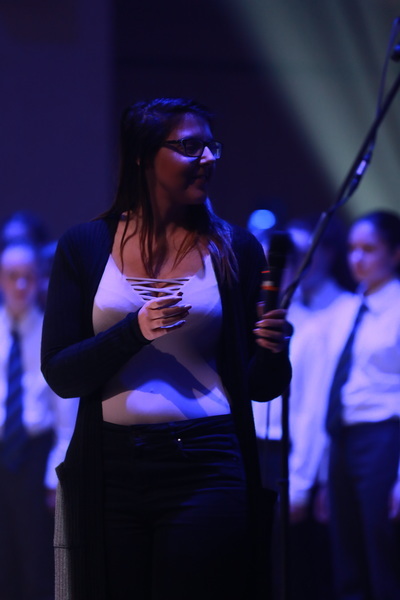 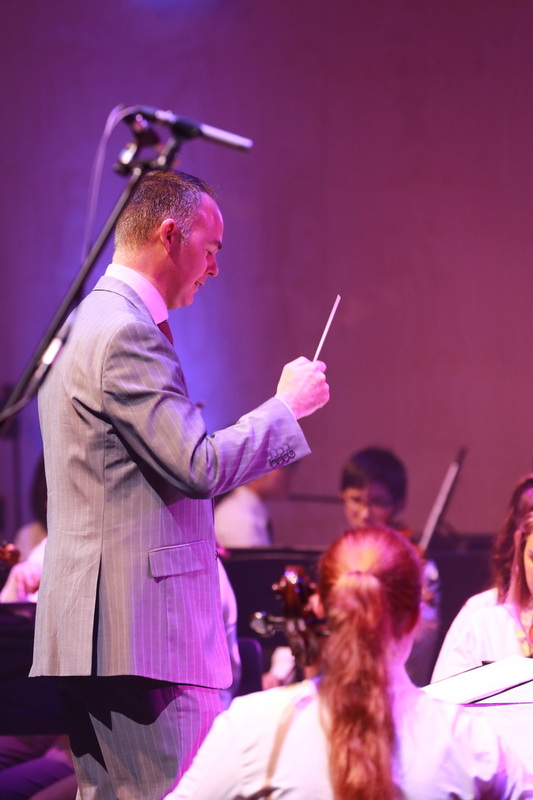 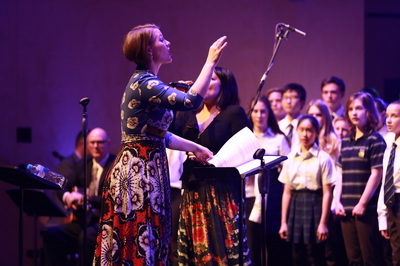 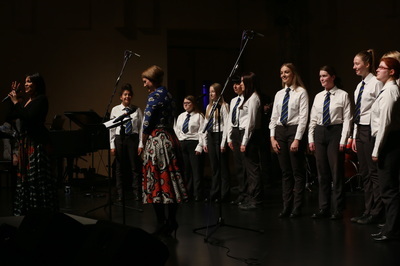 During her visit, Kate worked with 200 music students through vocal masterclasses, music industry talks, song-writing workshops and rehearsals with the orchestra, Big Band 1, the JB Experience and several choirs. 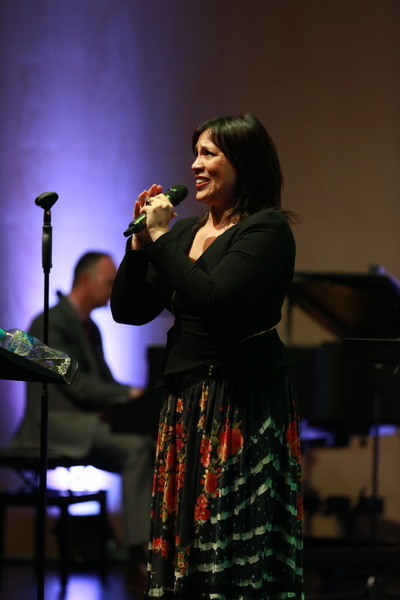 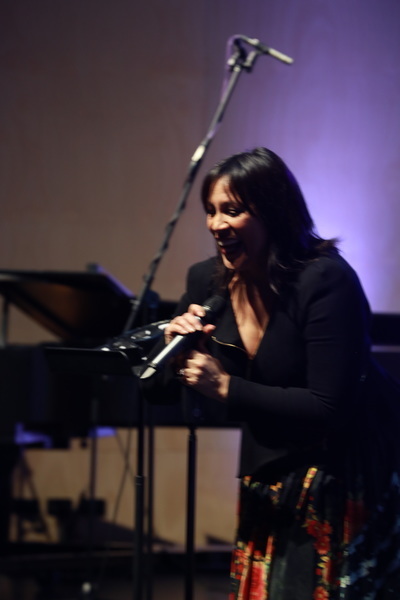 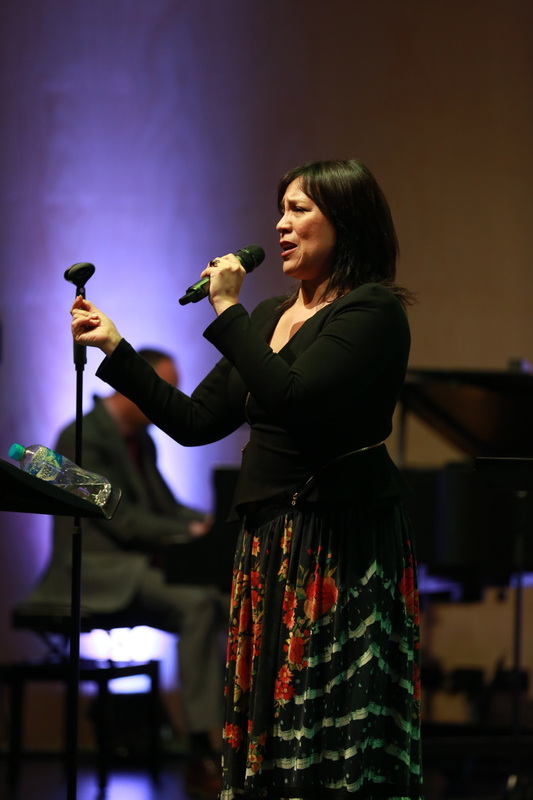 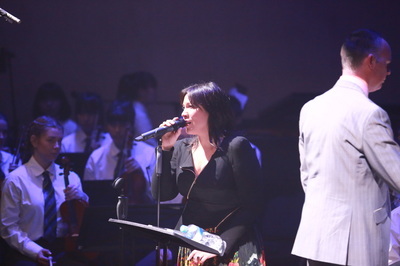 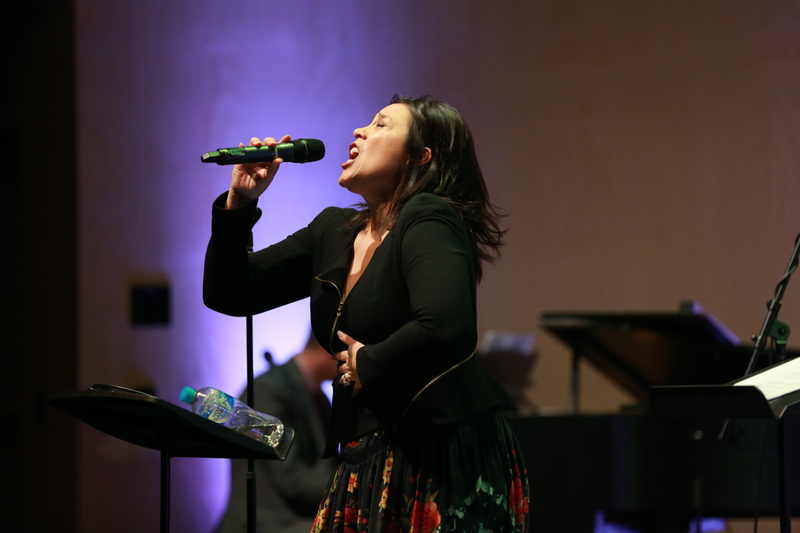 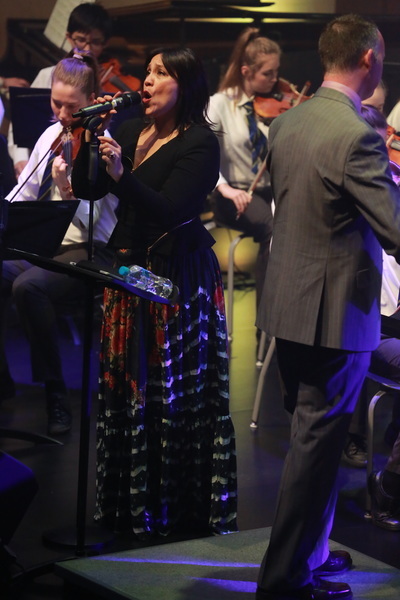 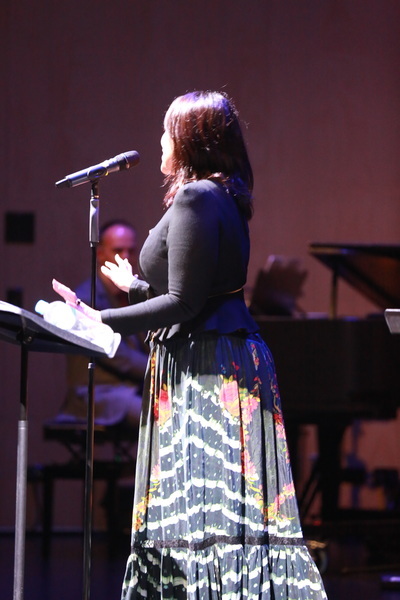 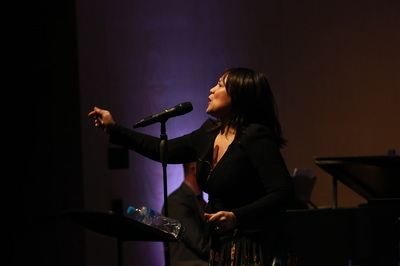 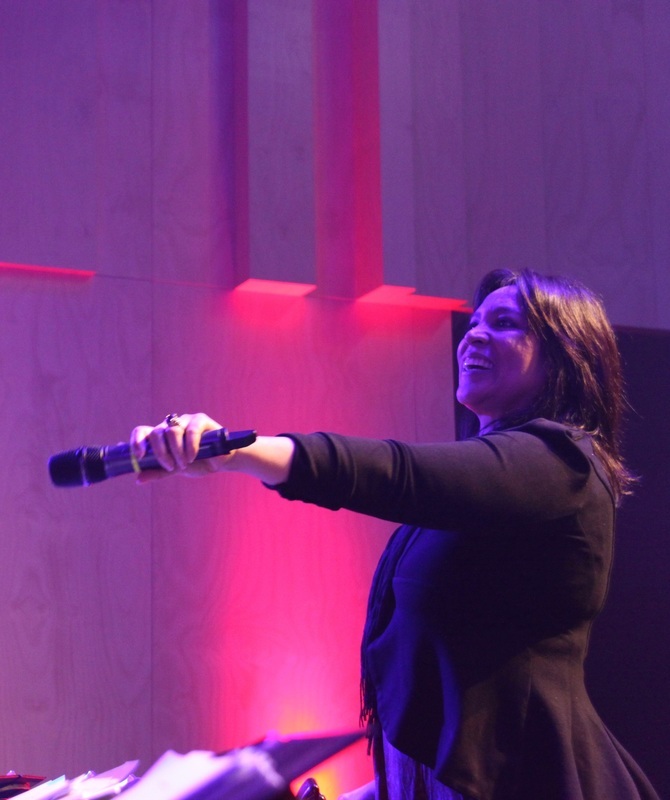 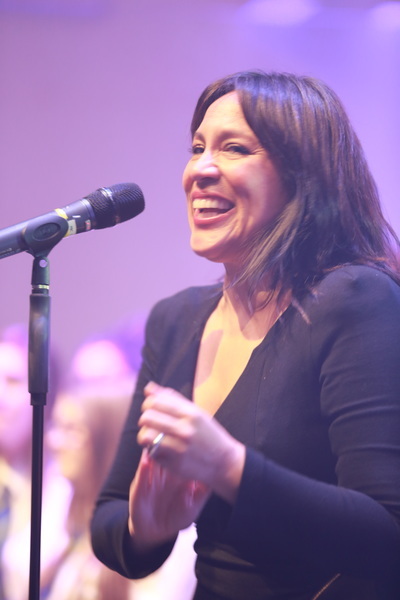 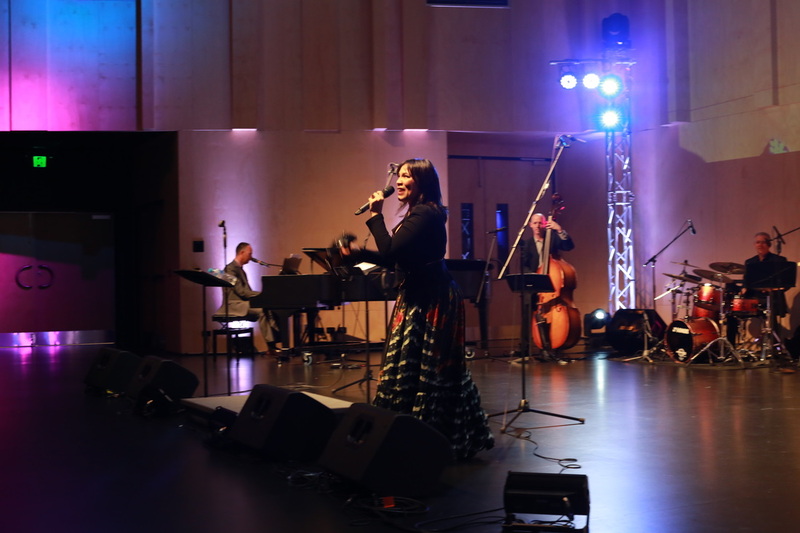 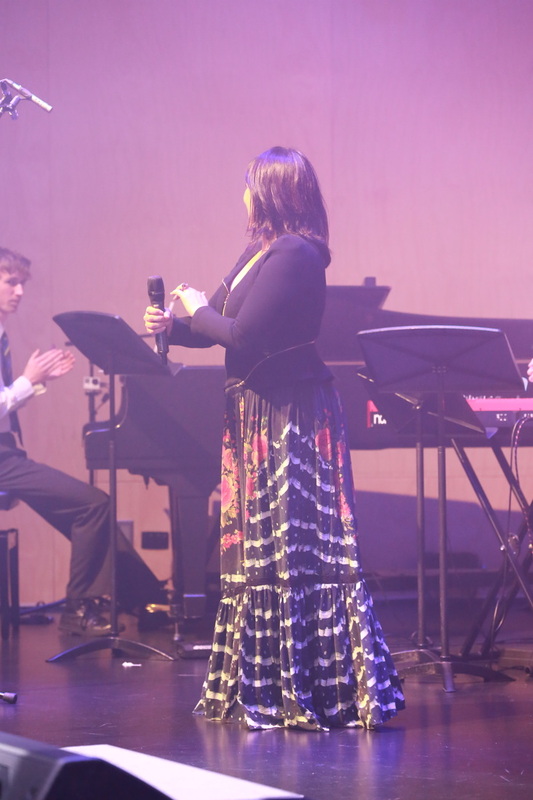 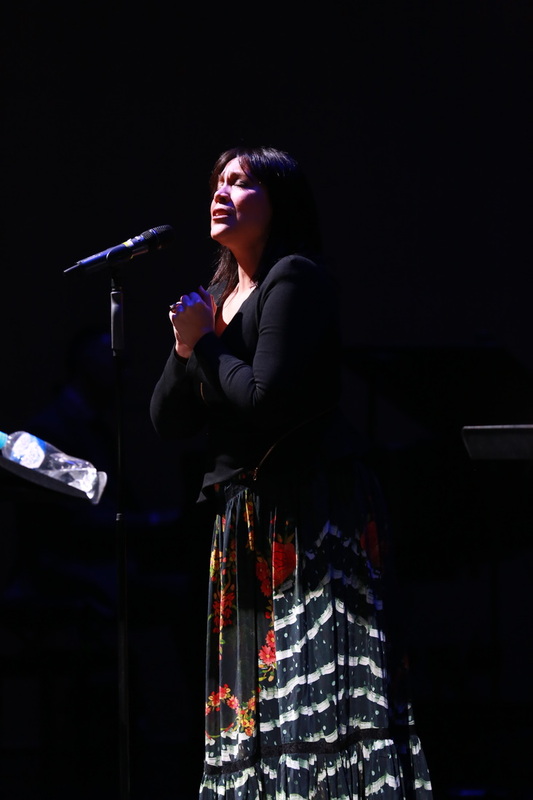 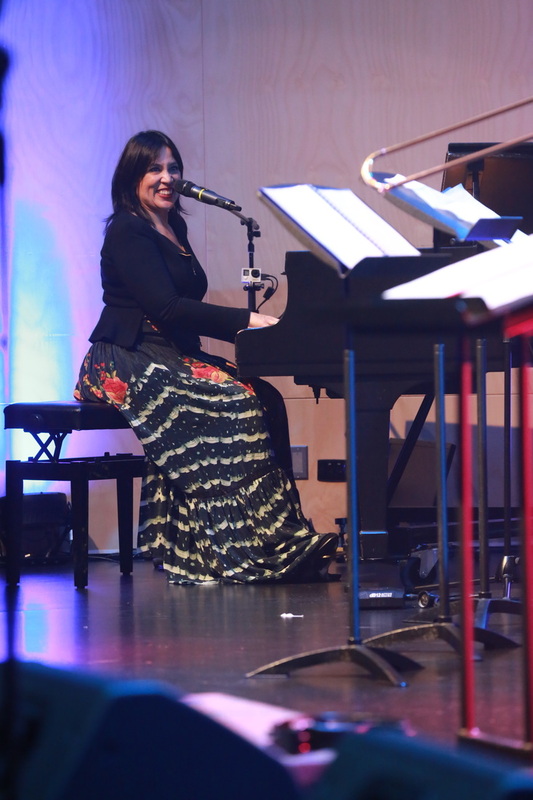 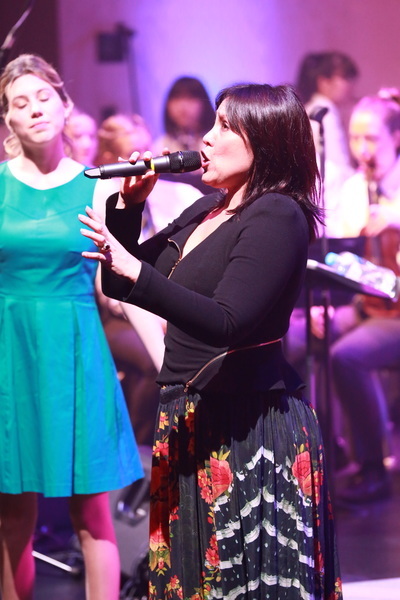 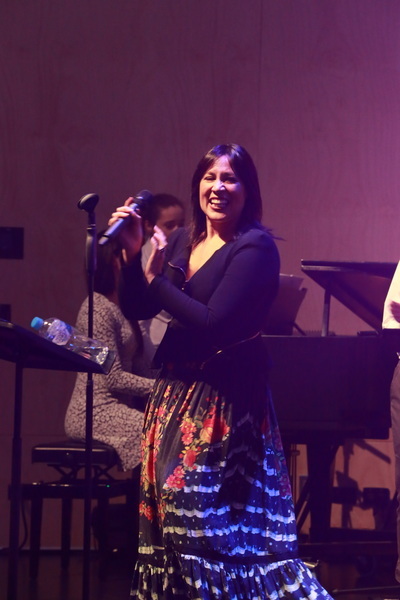 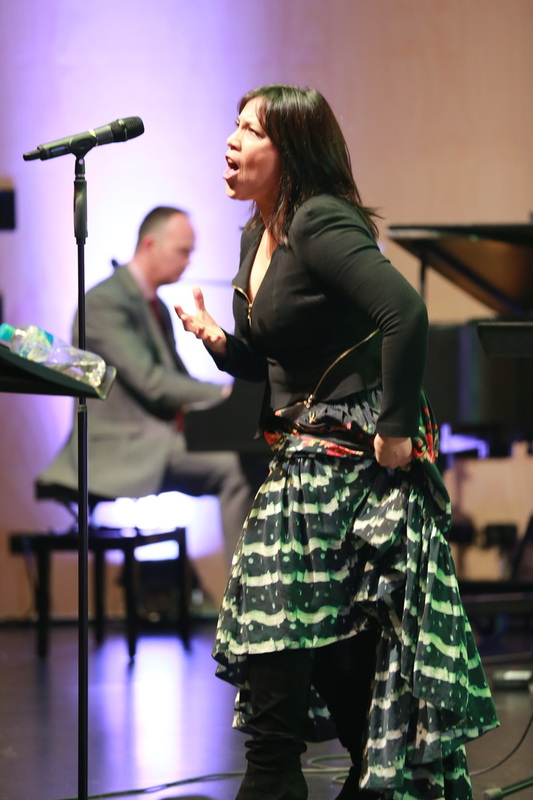 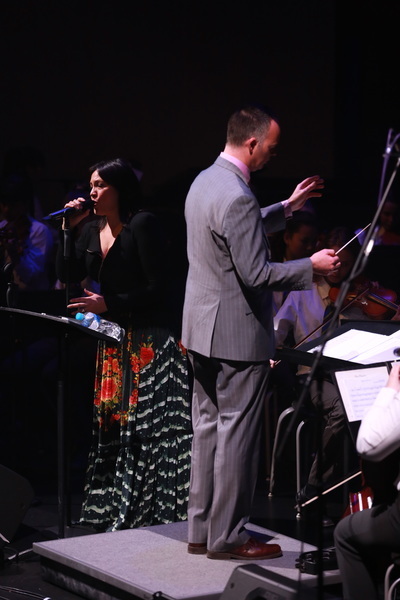 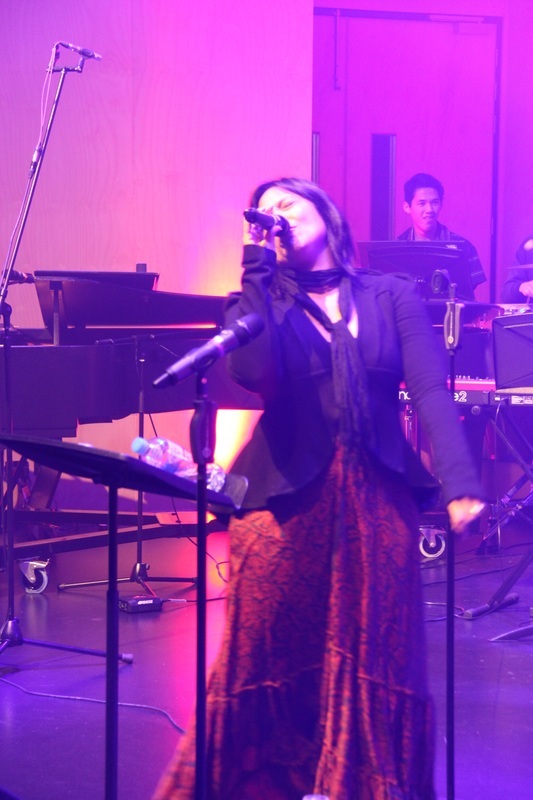 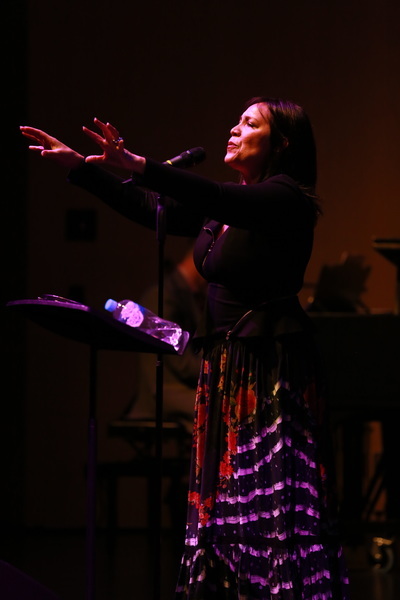 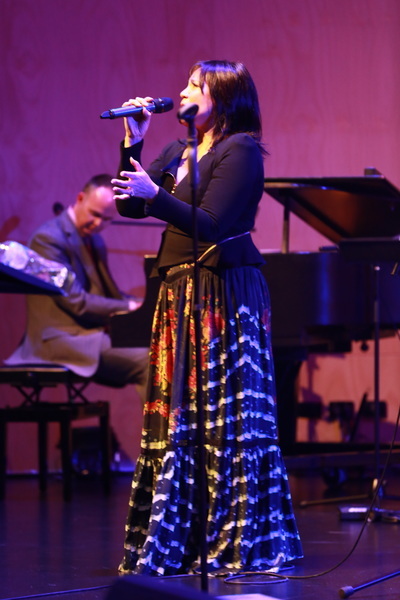 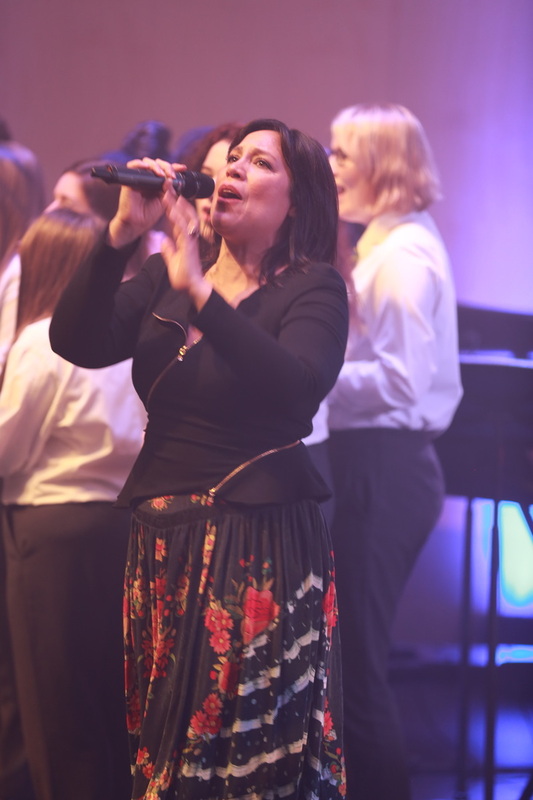 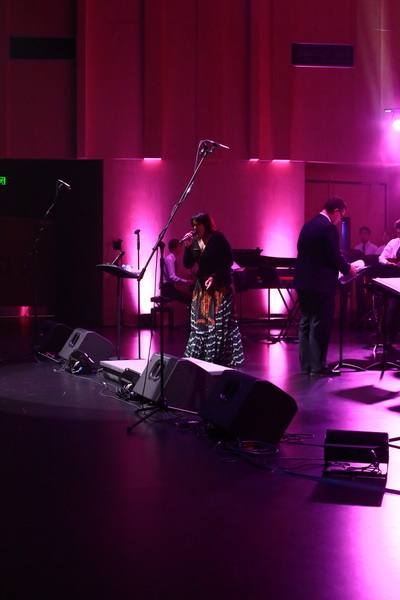 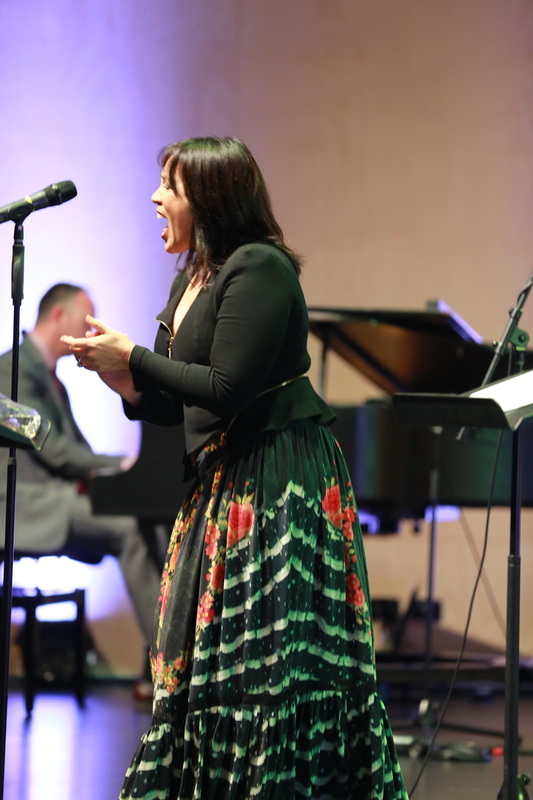 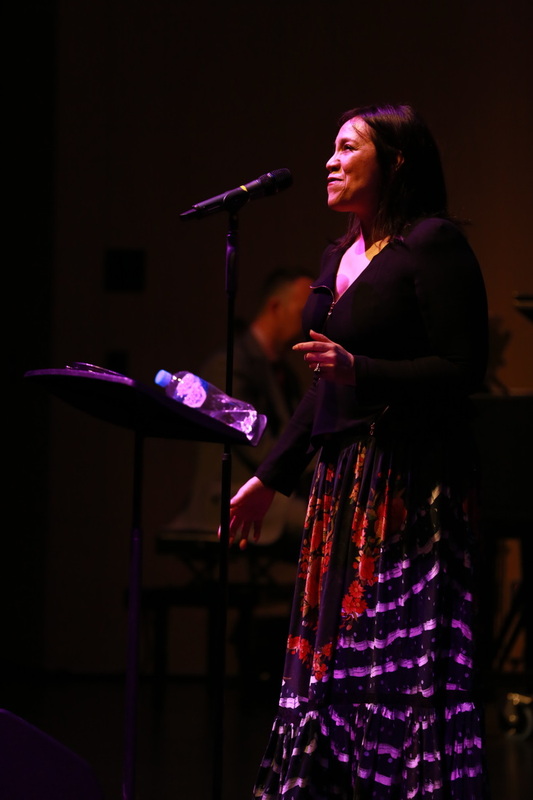 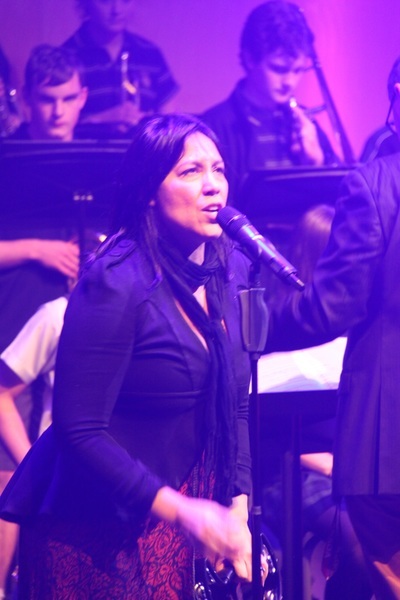 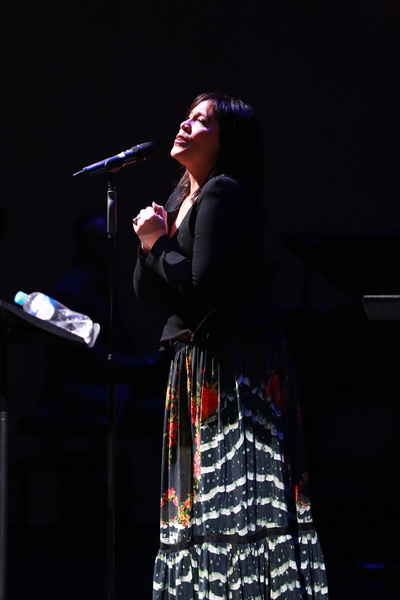 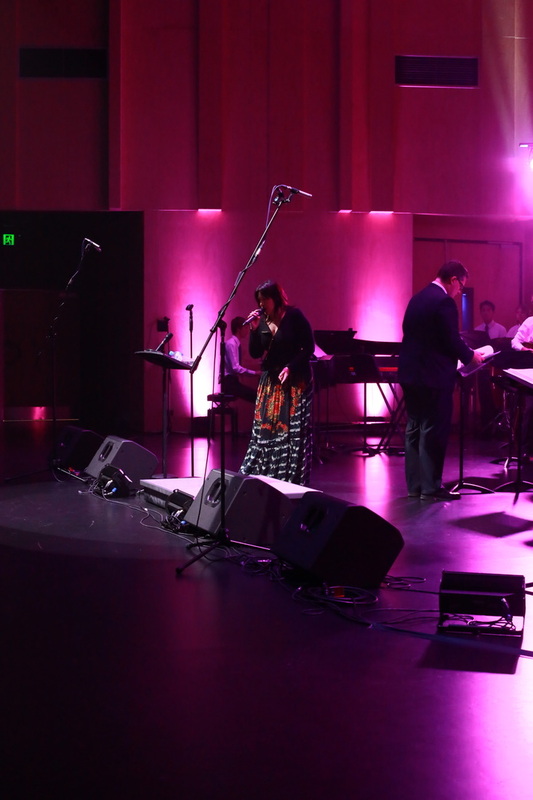 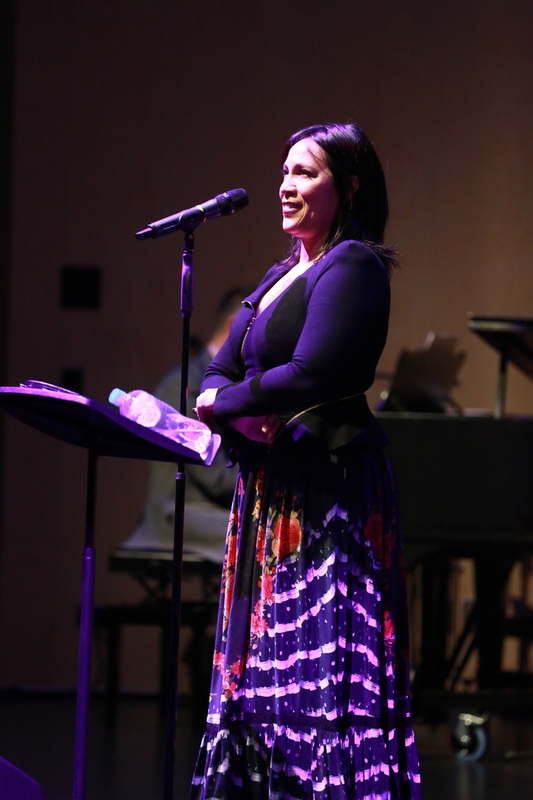 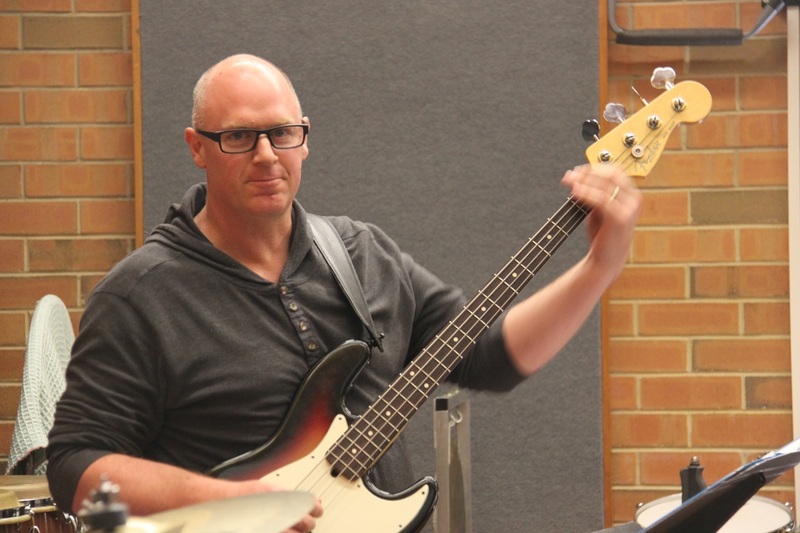 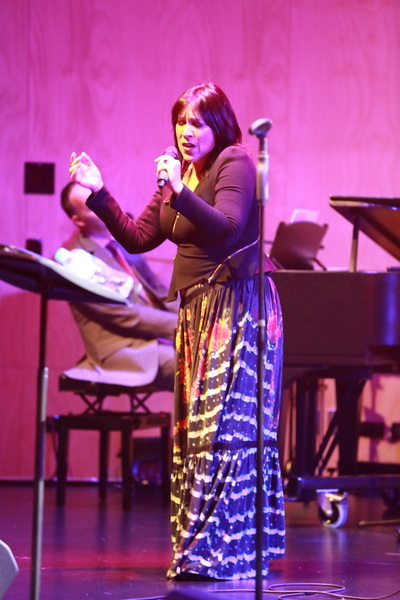 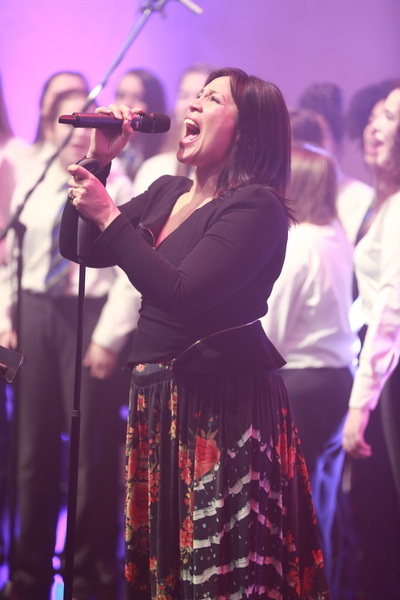 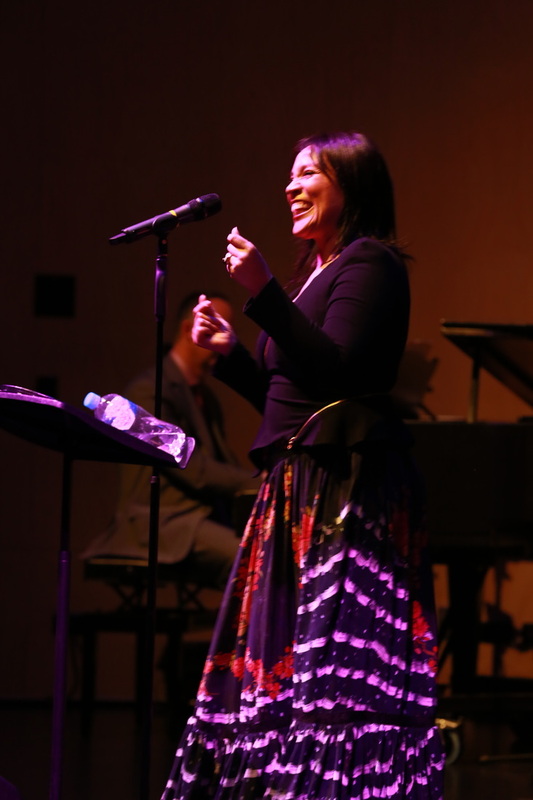 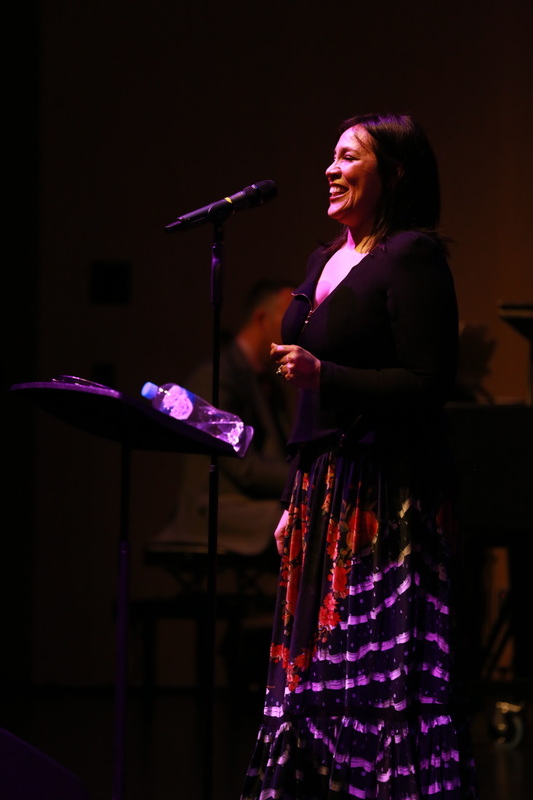 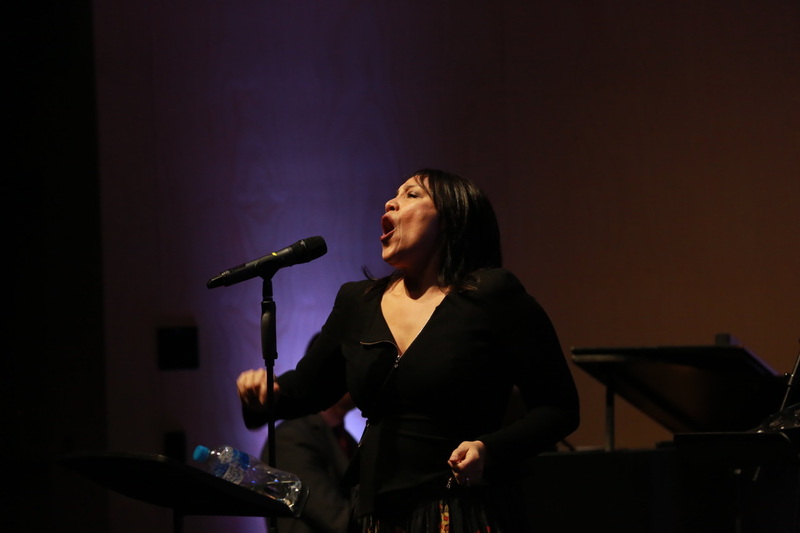 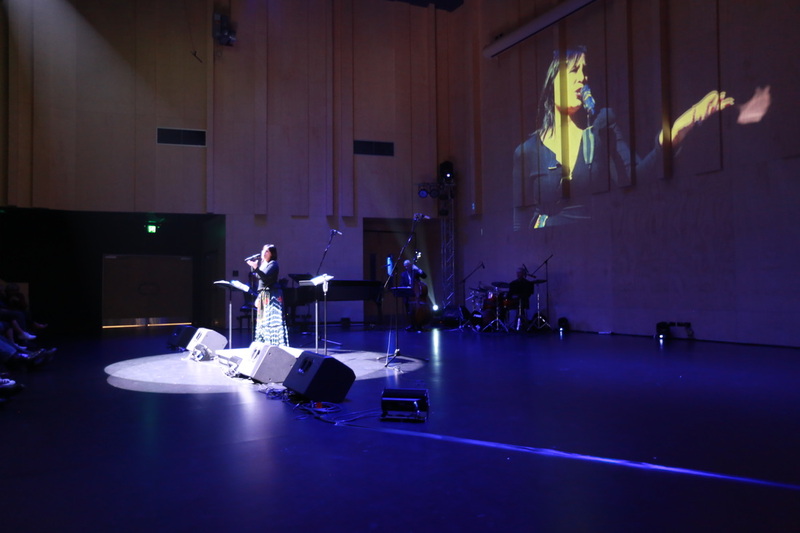 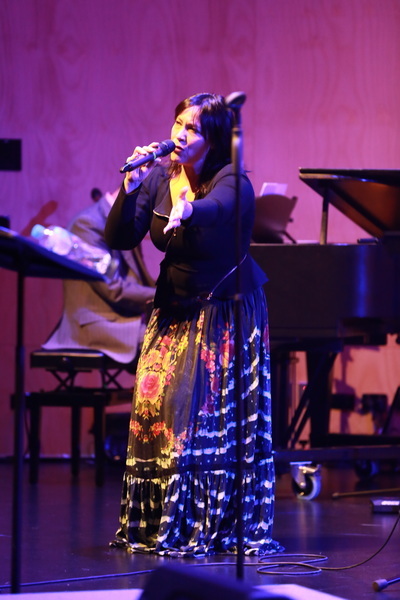 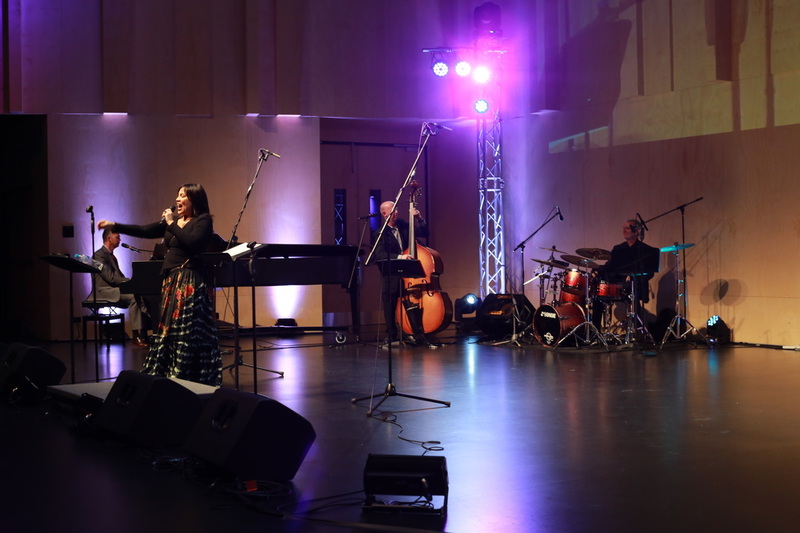 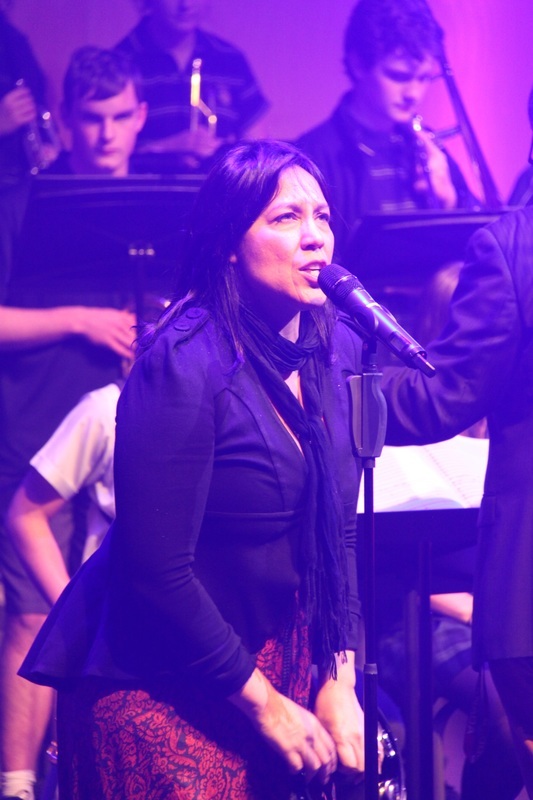 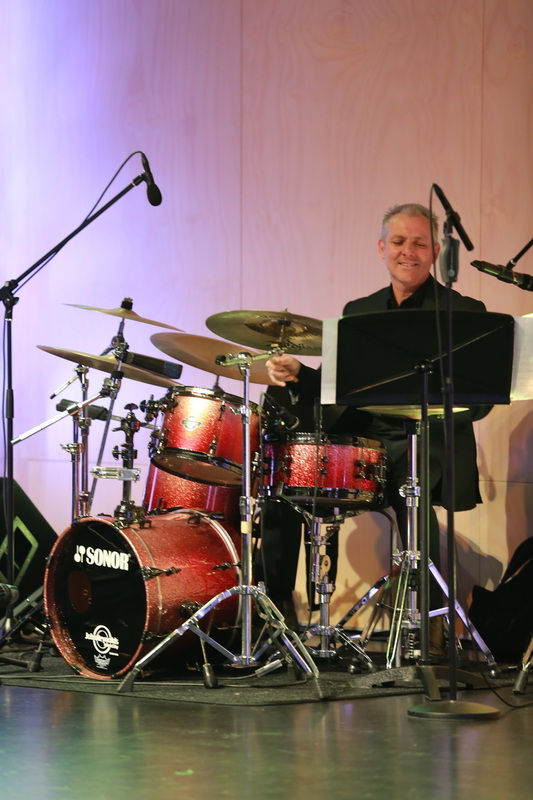 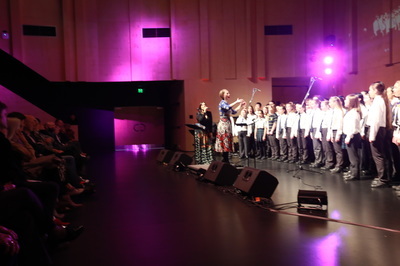 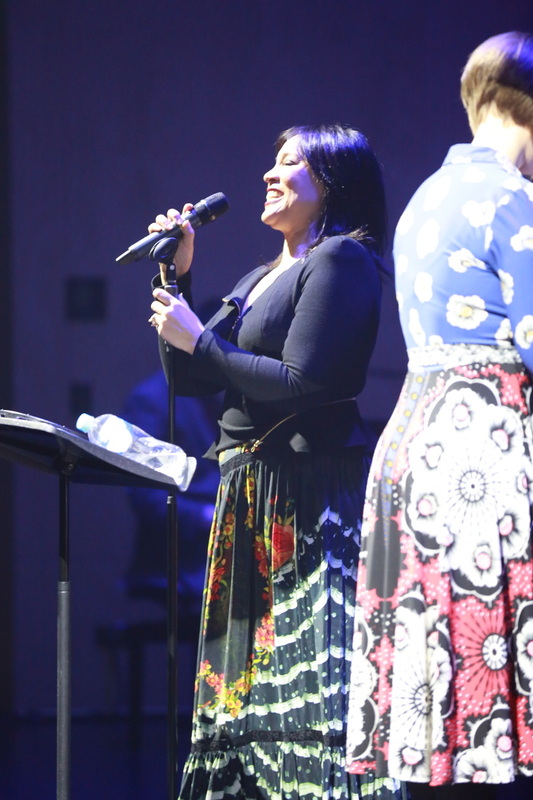 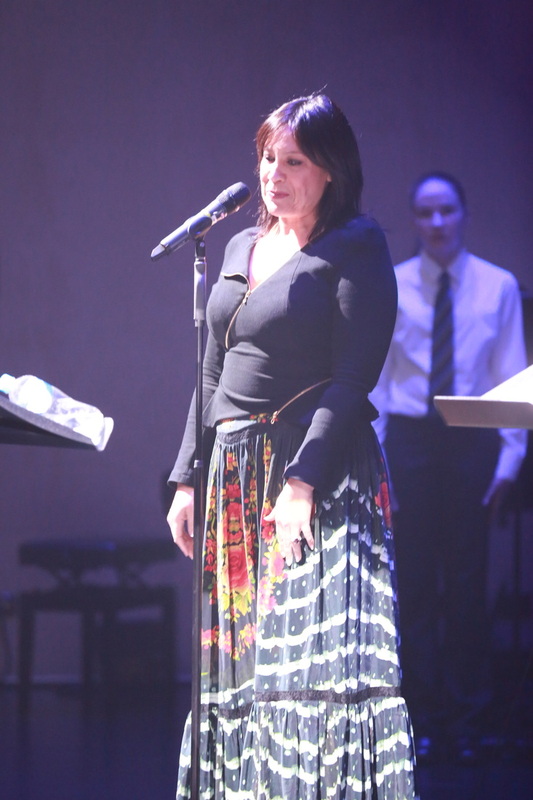 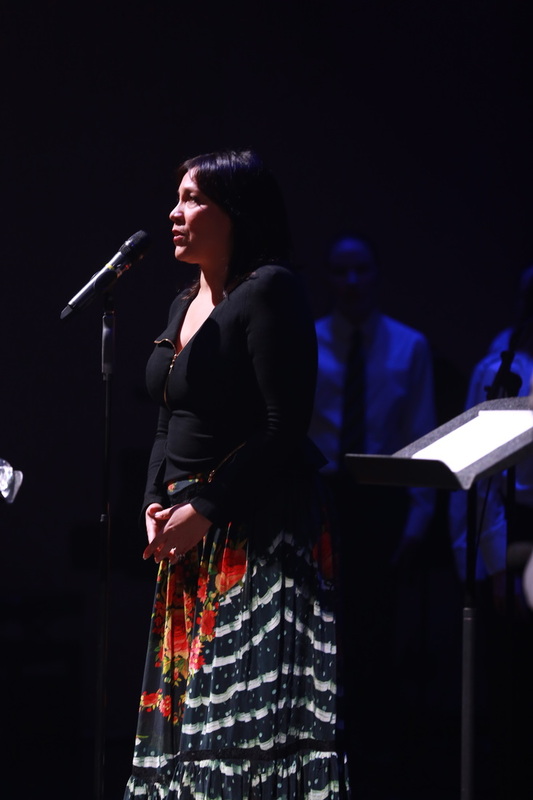 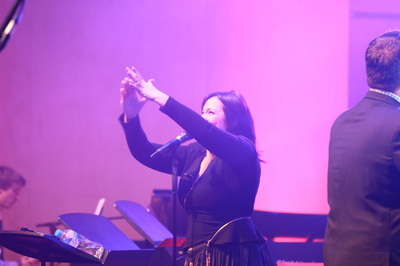 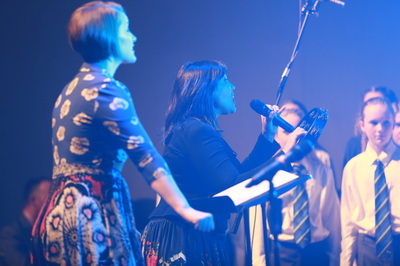 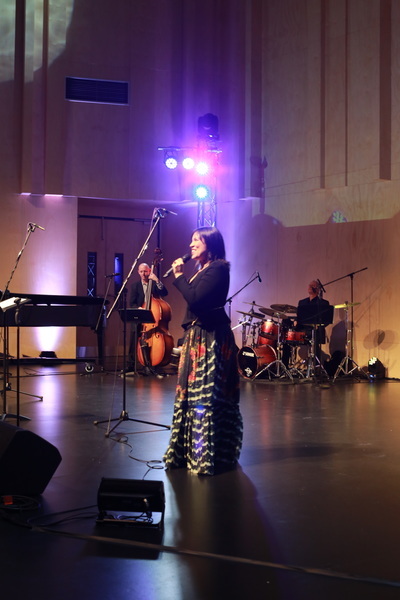 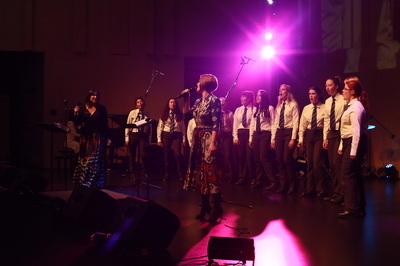 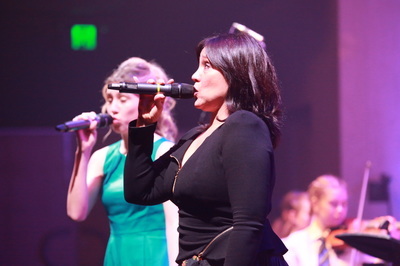 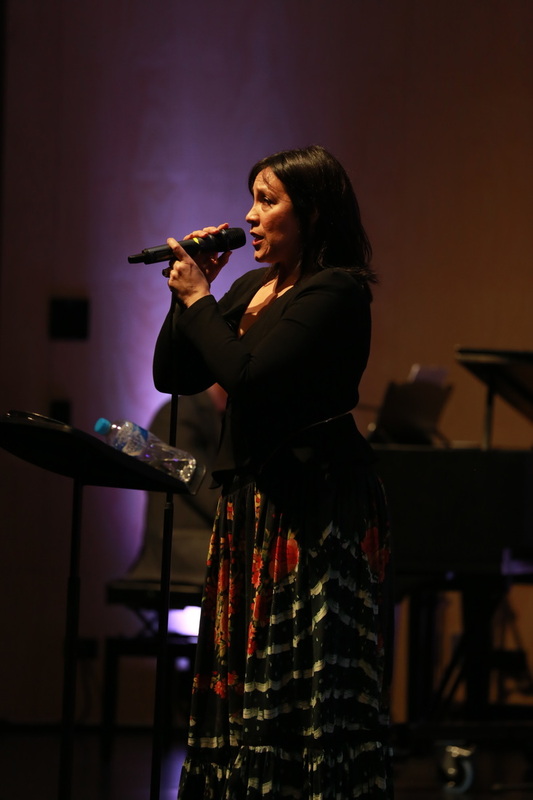 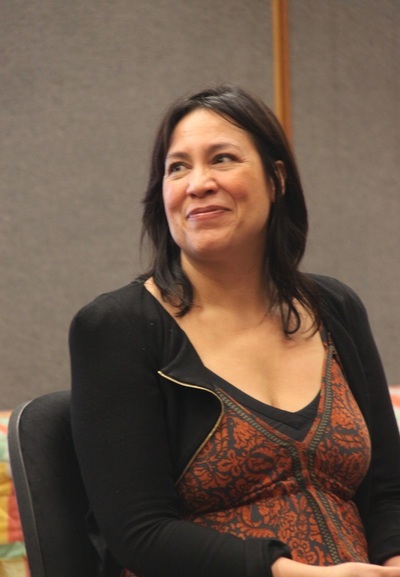 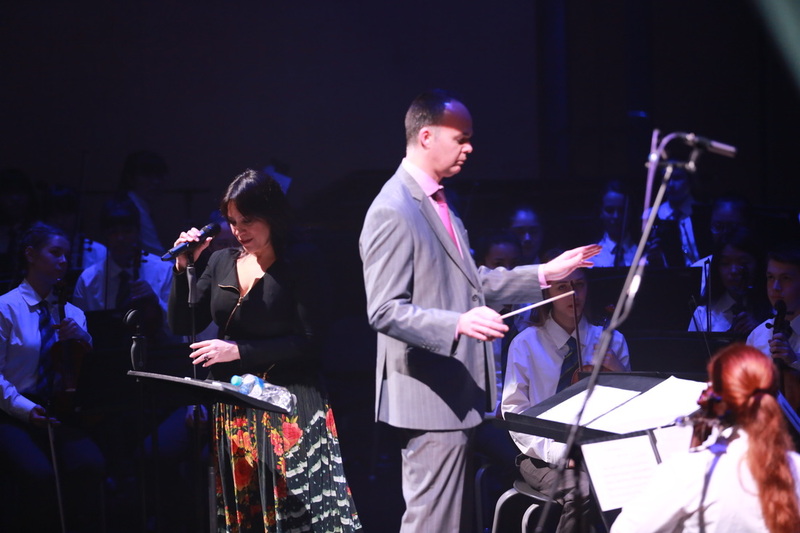 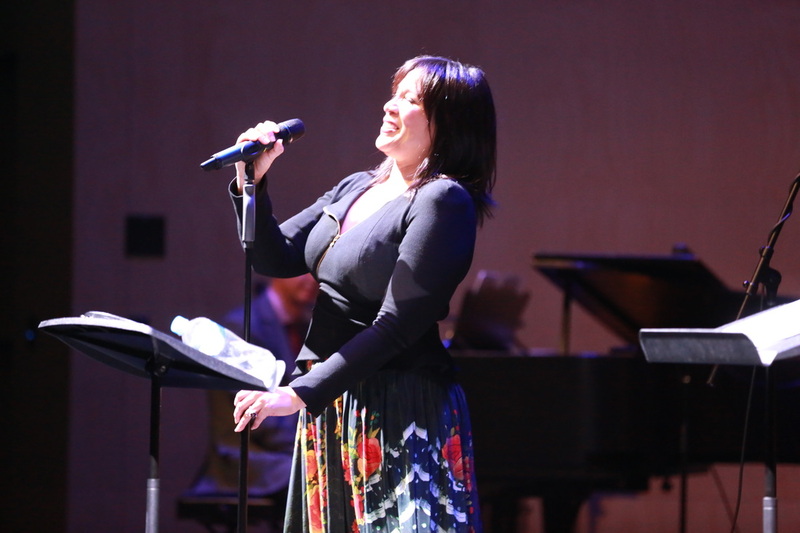 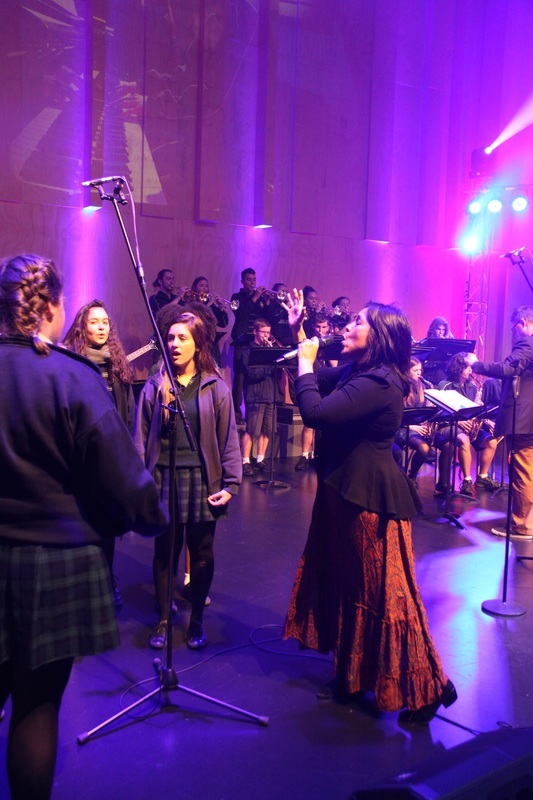 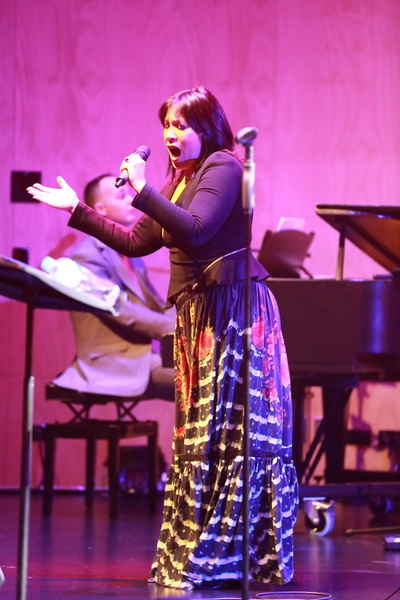 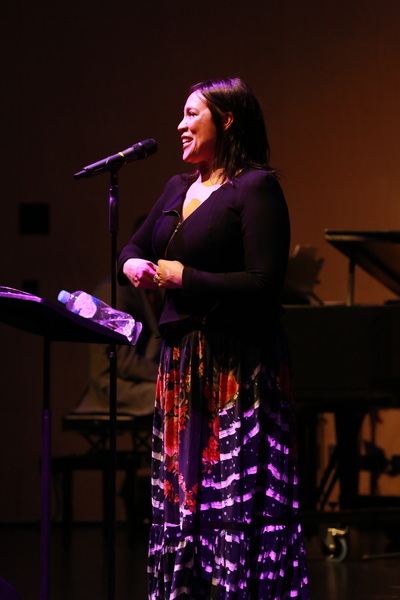 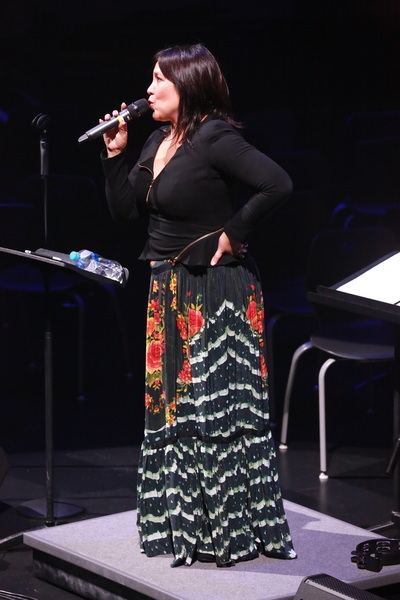 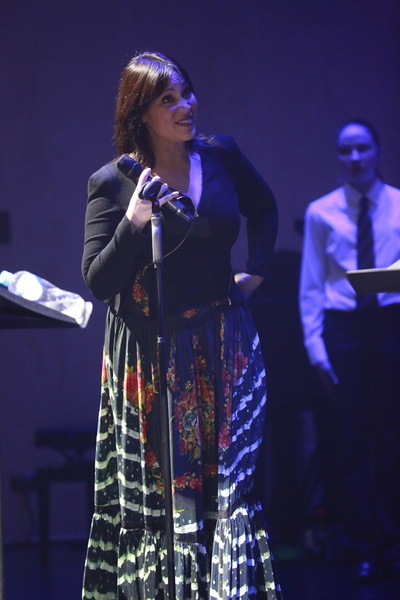 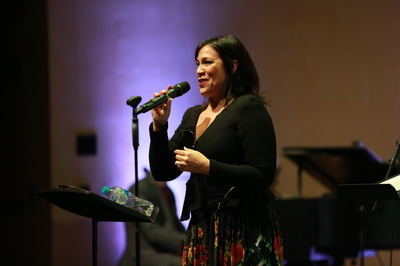 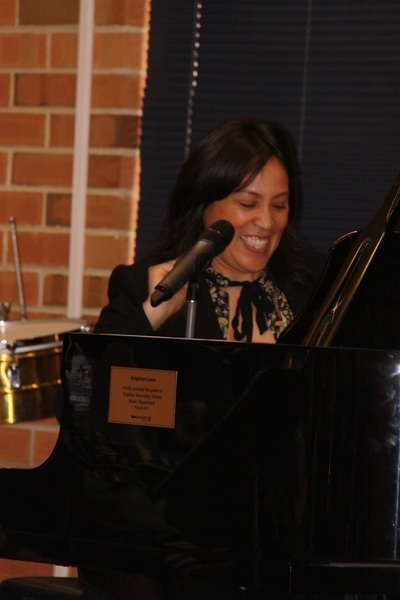 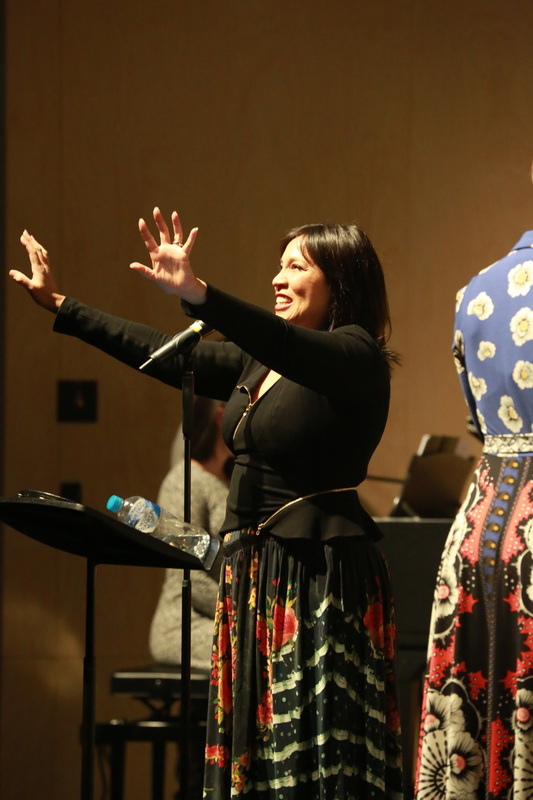 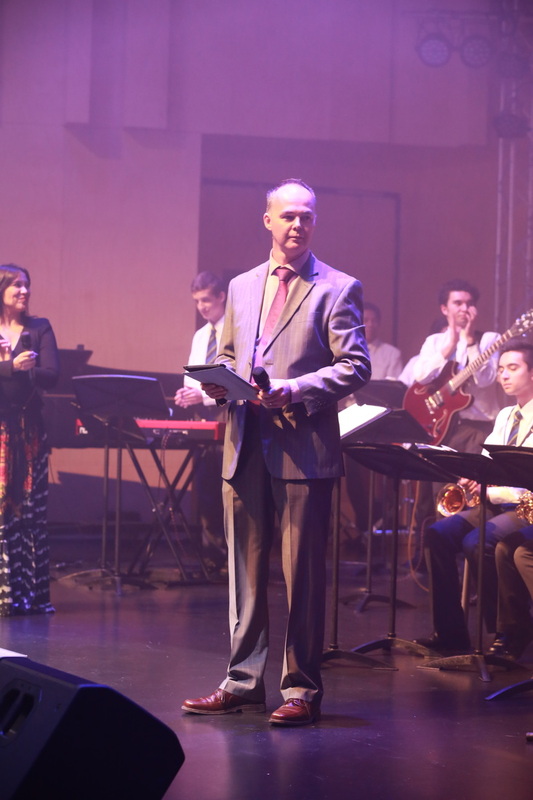 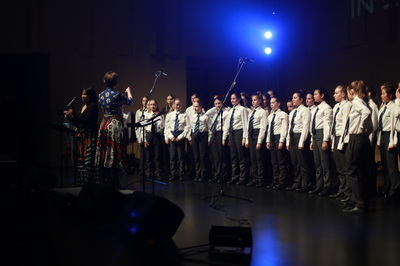 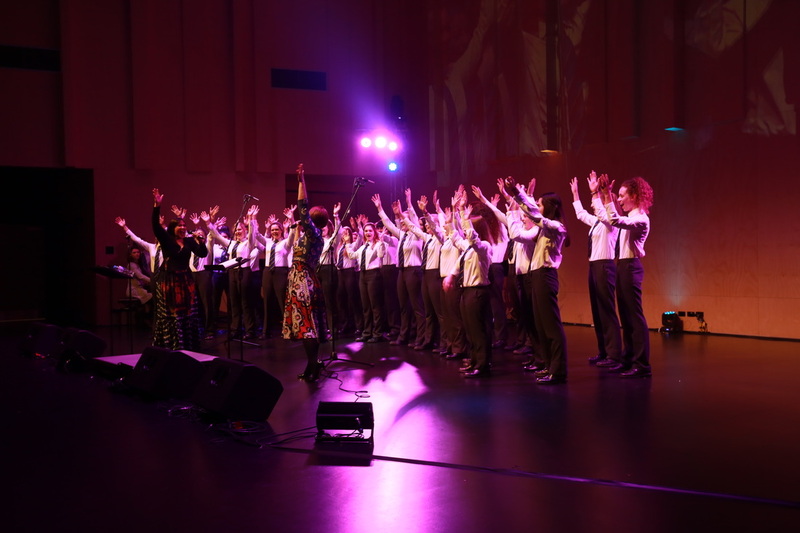 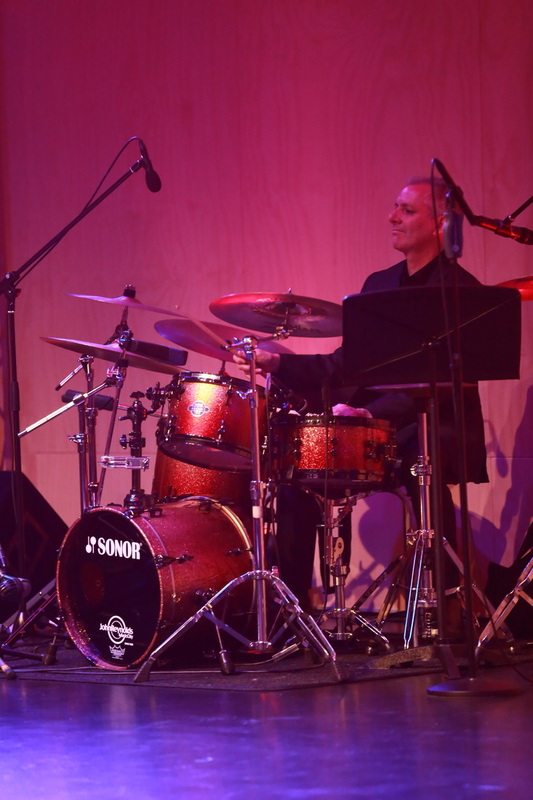 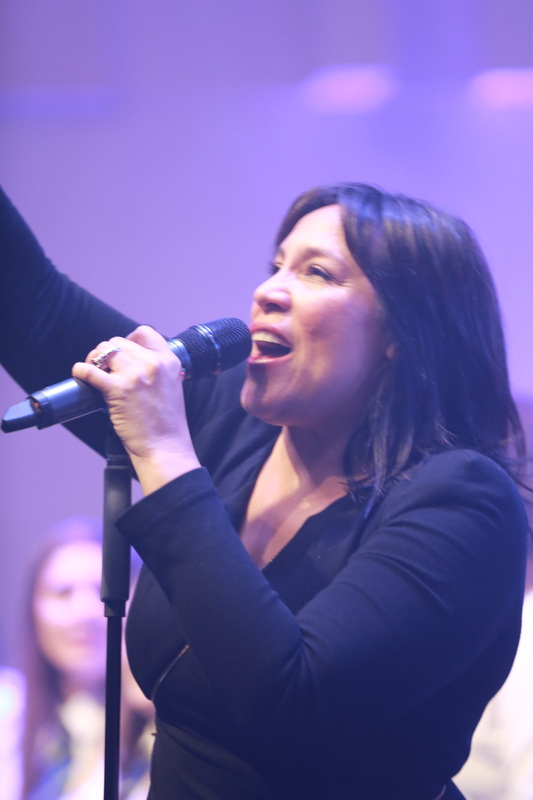 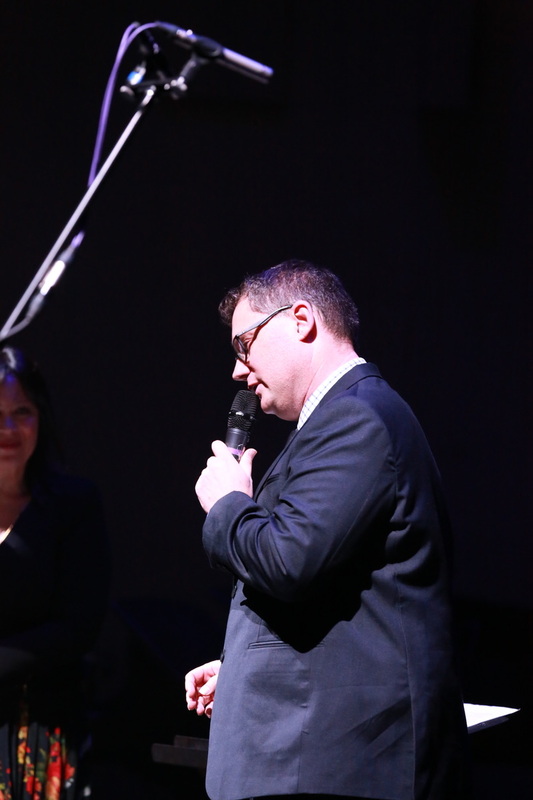 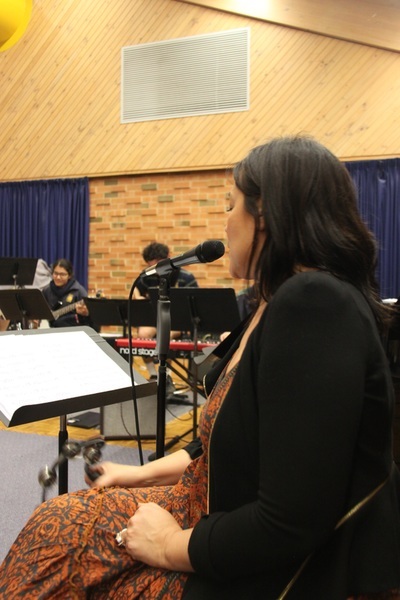 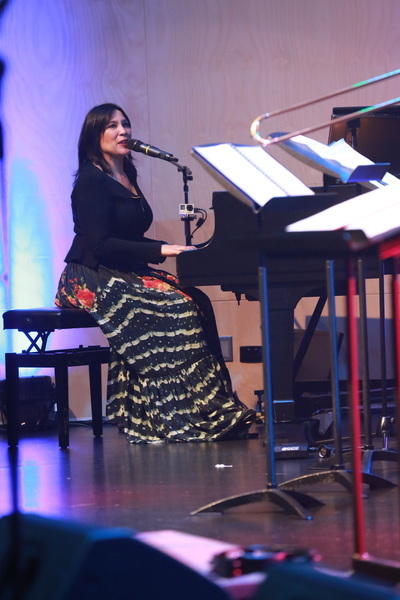 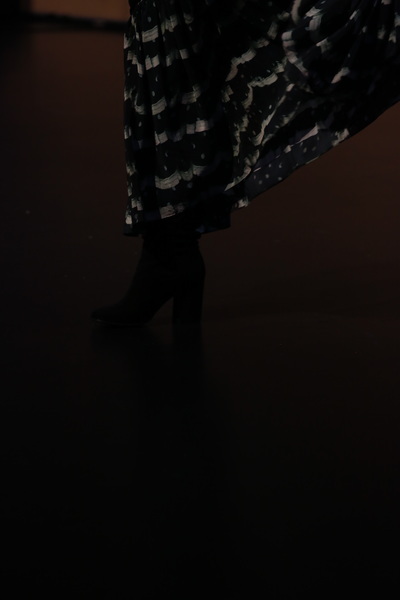 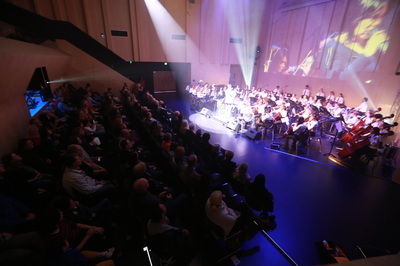 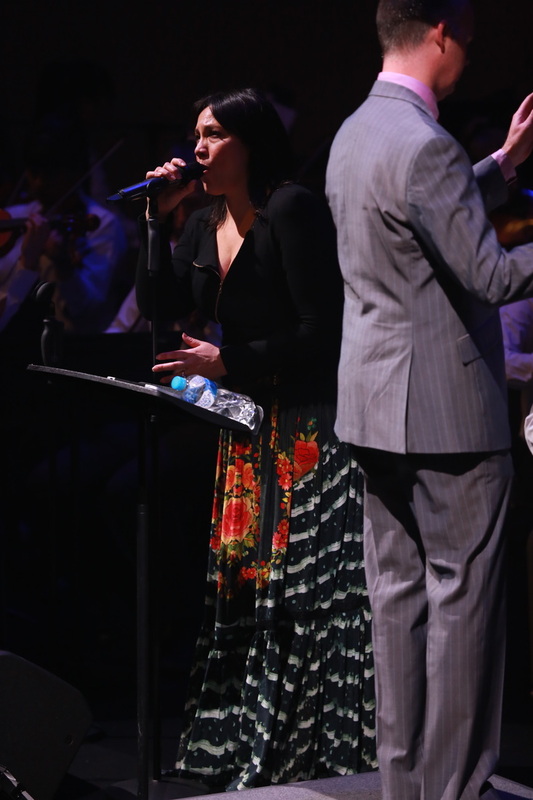 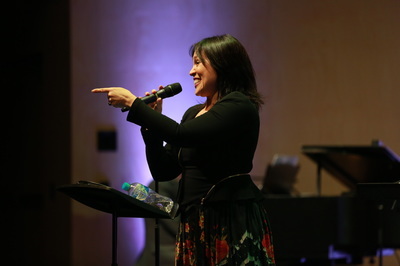 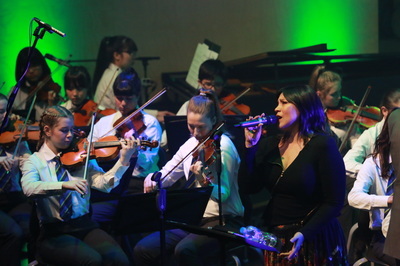 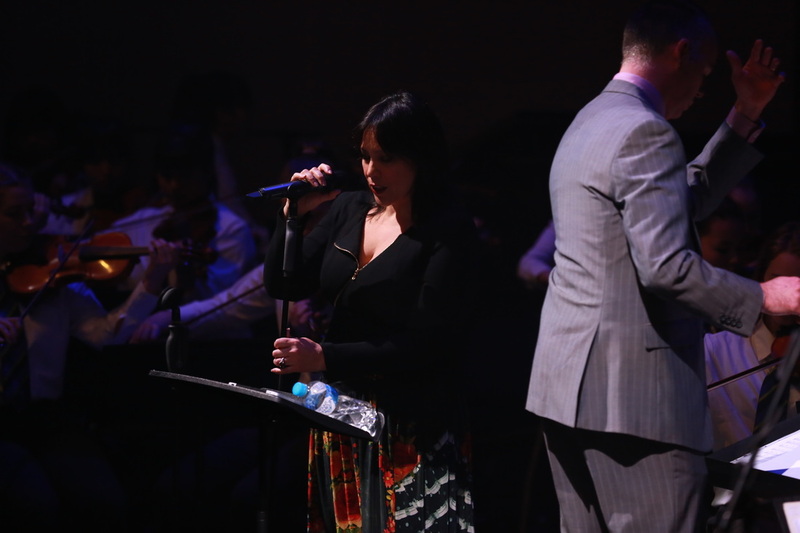 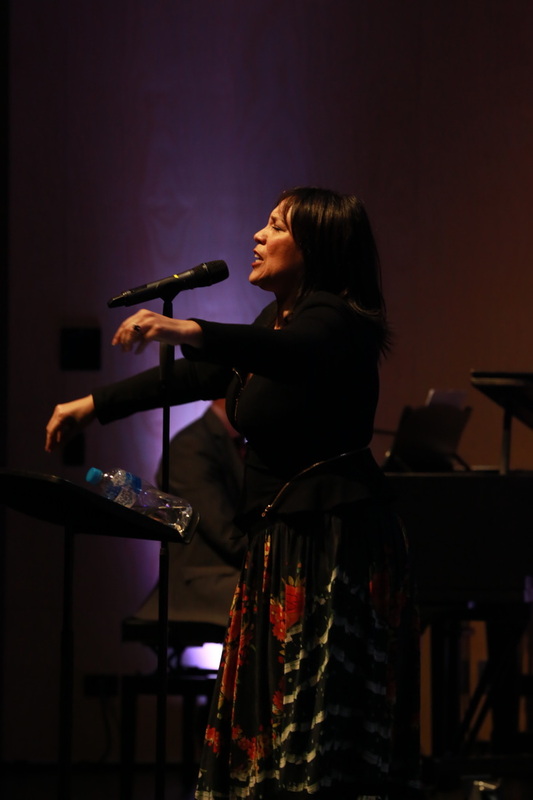 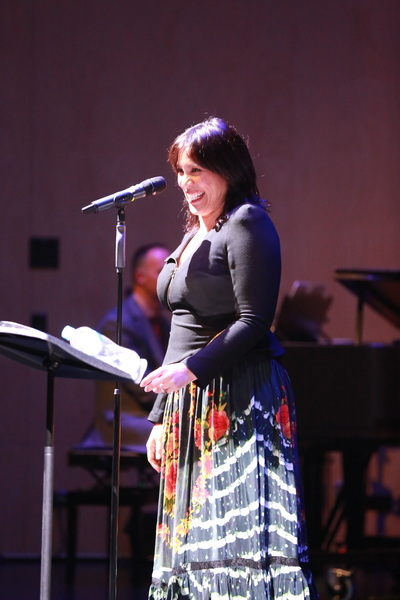 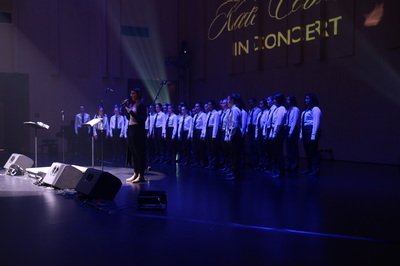 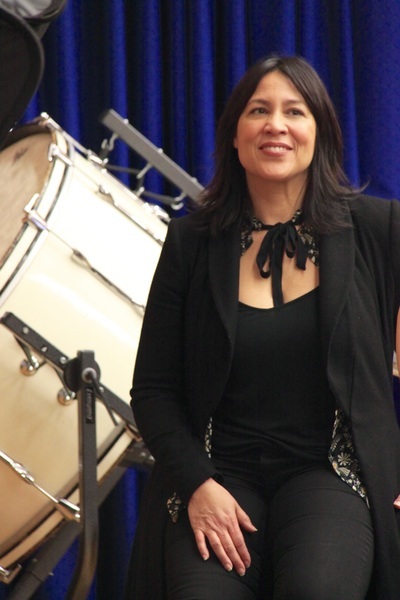 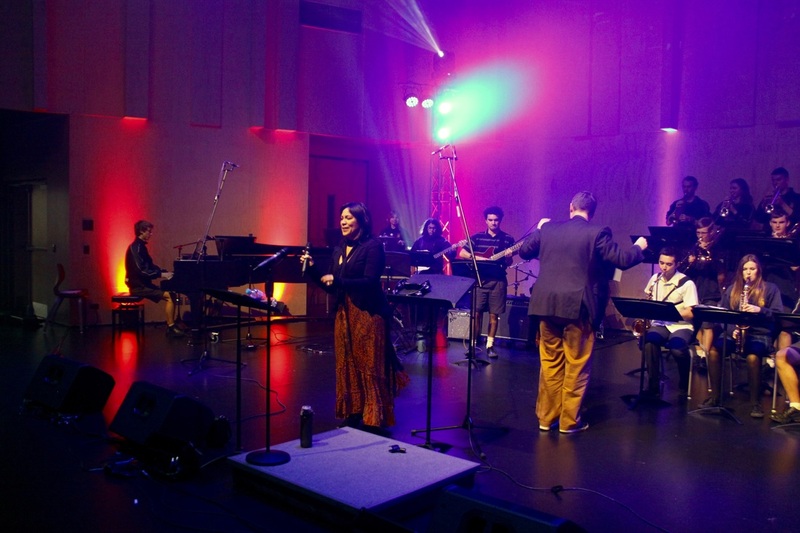 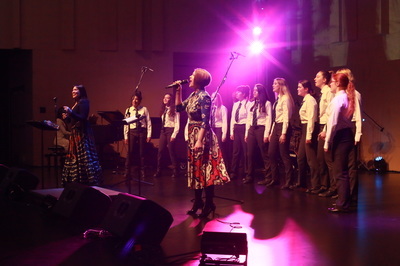 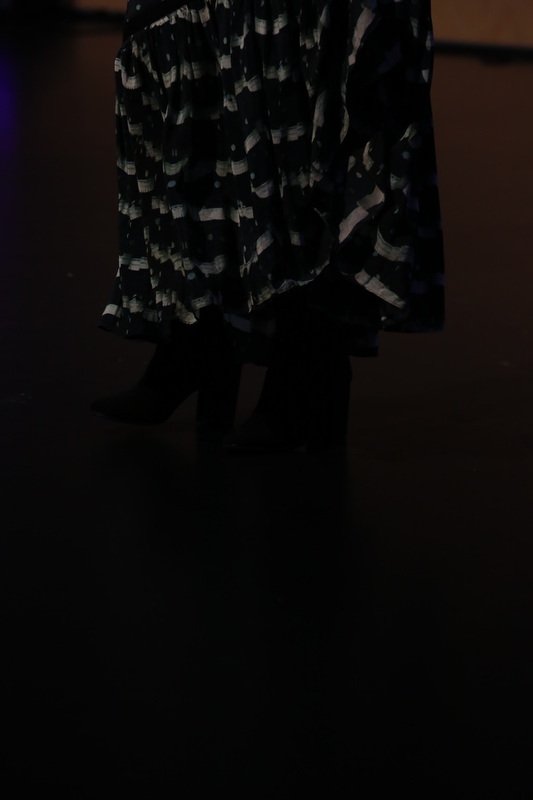 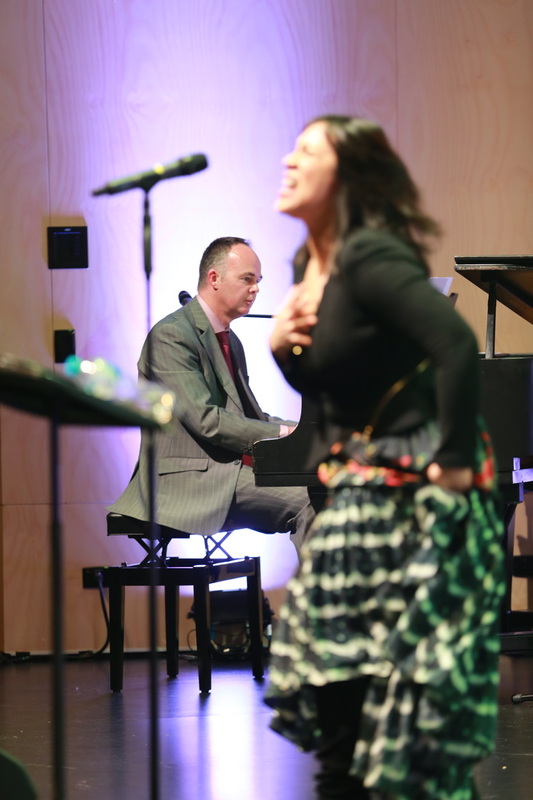 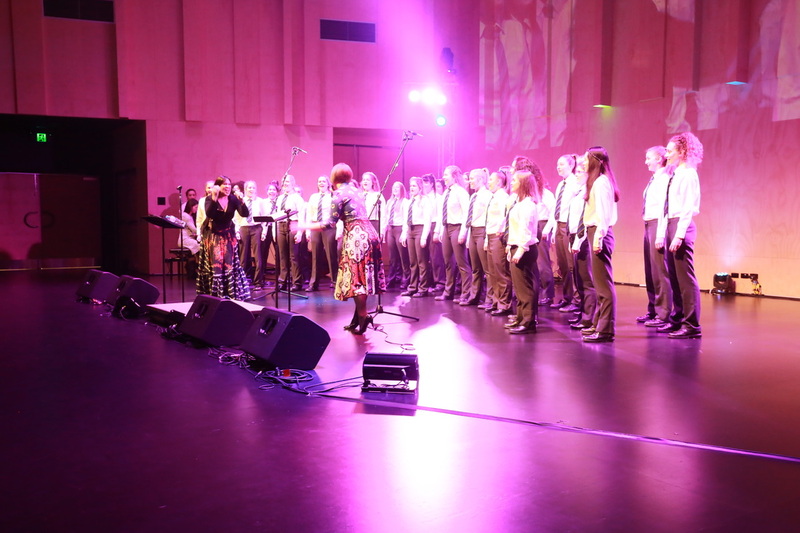 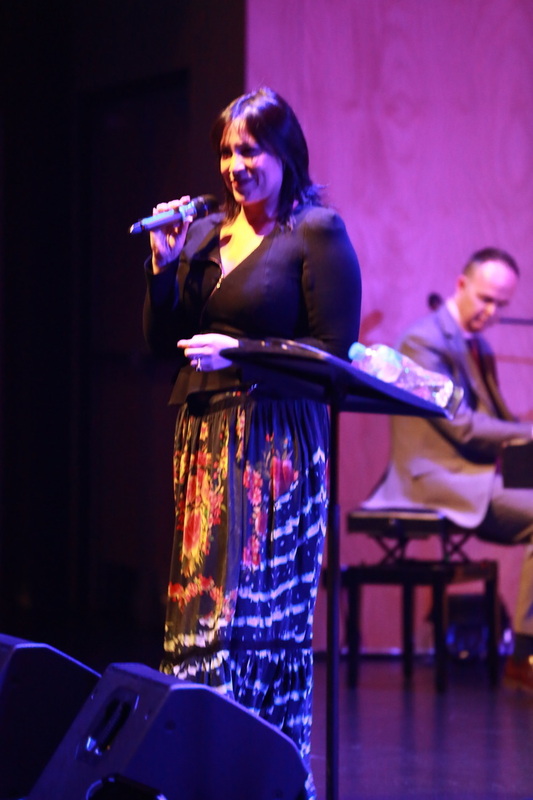 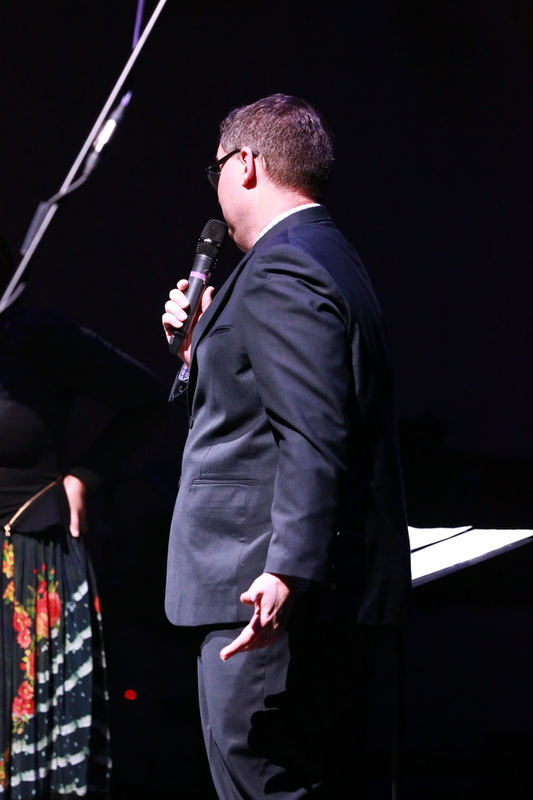 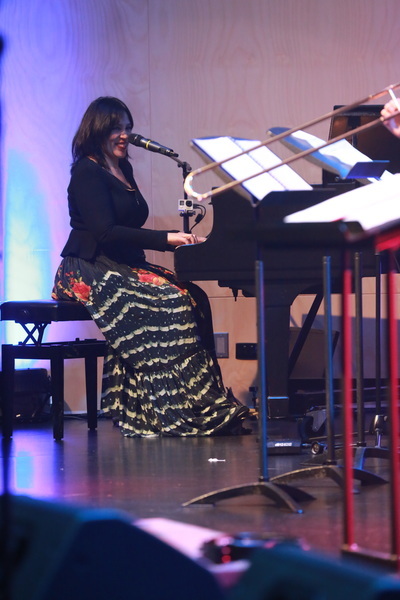 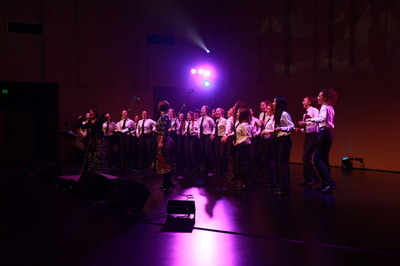 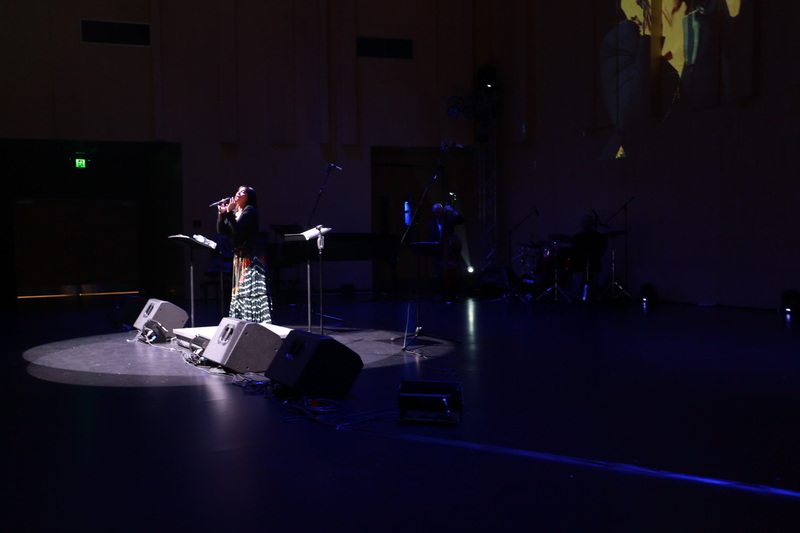 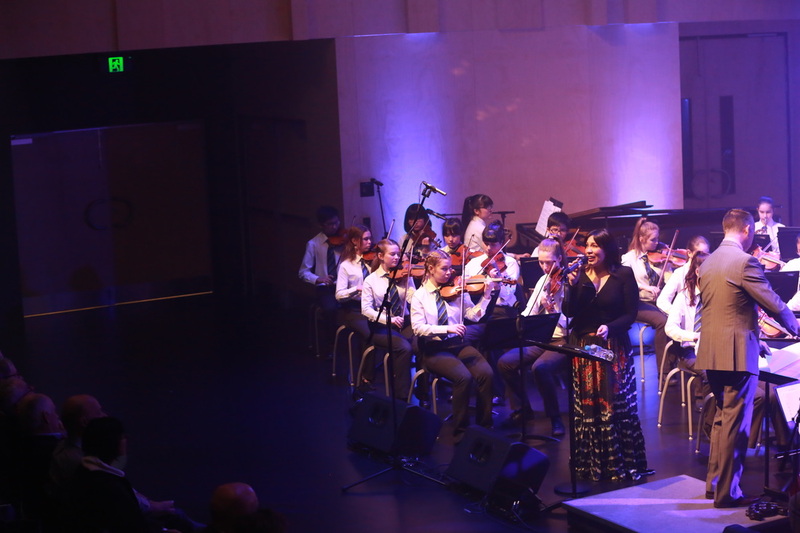 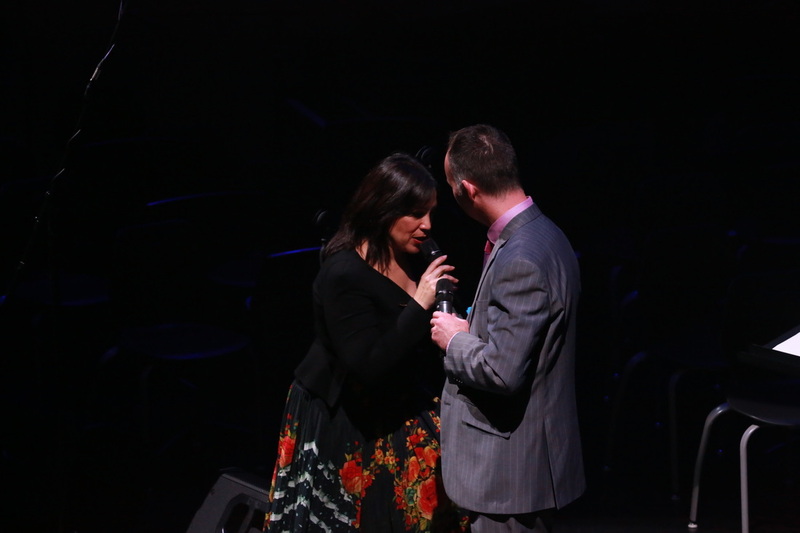 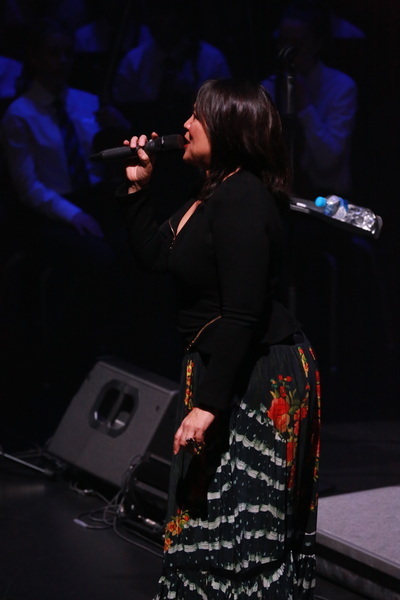 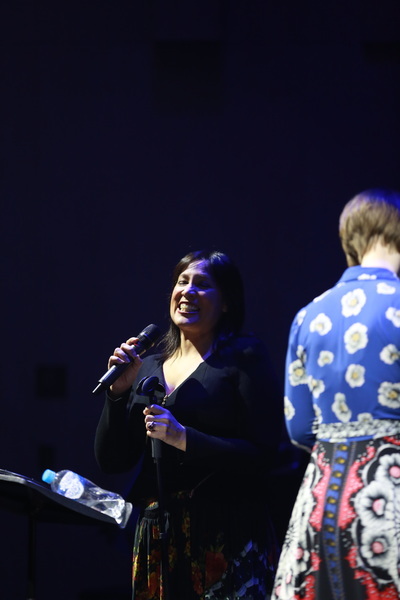 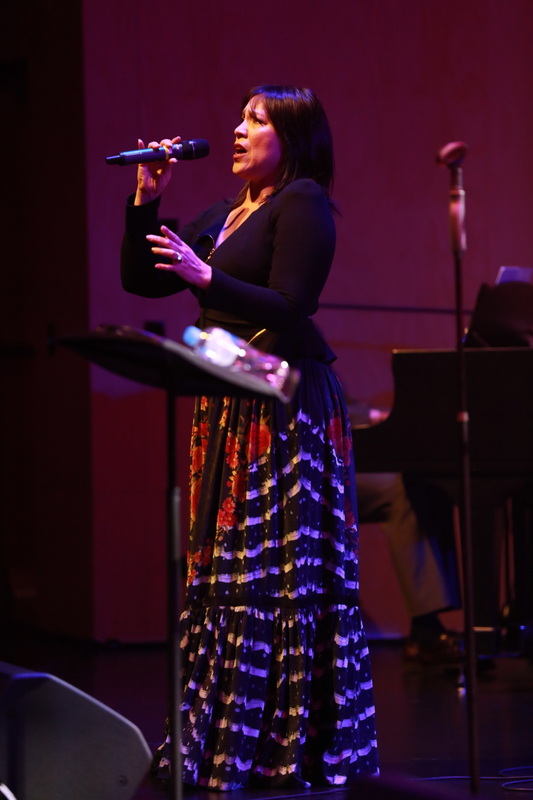 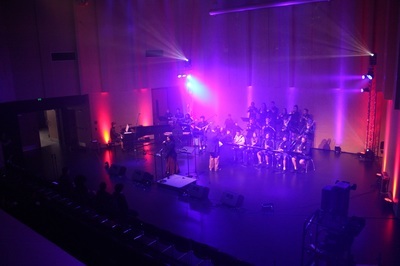 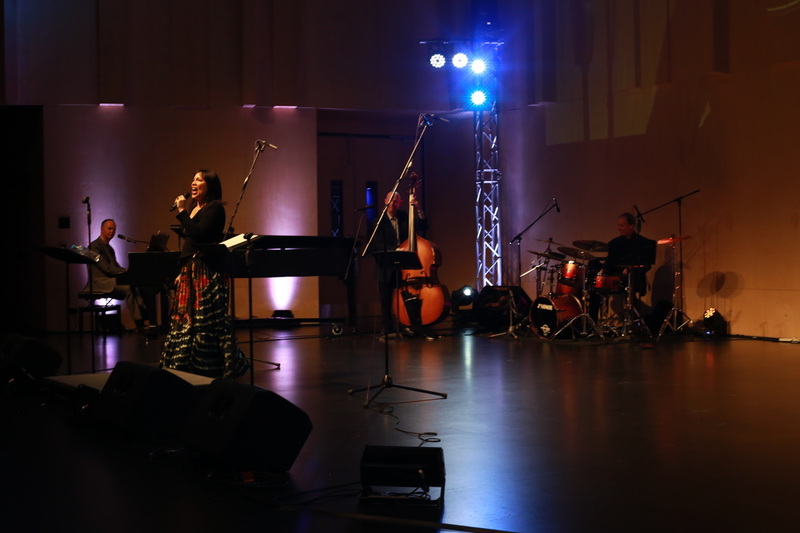 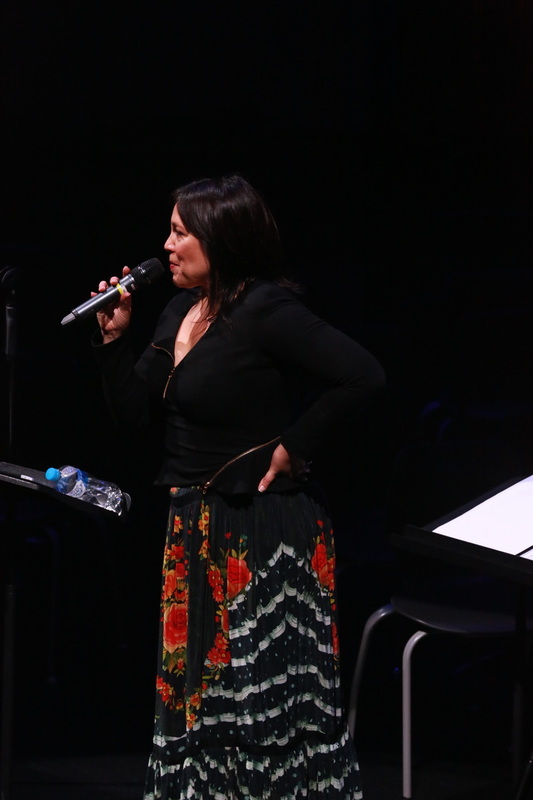 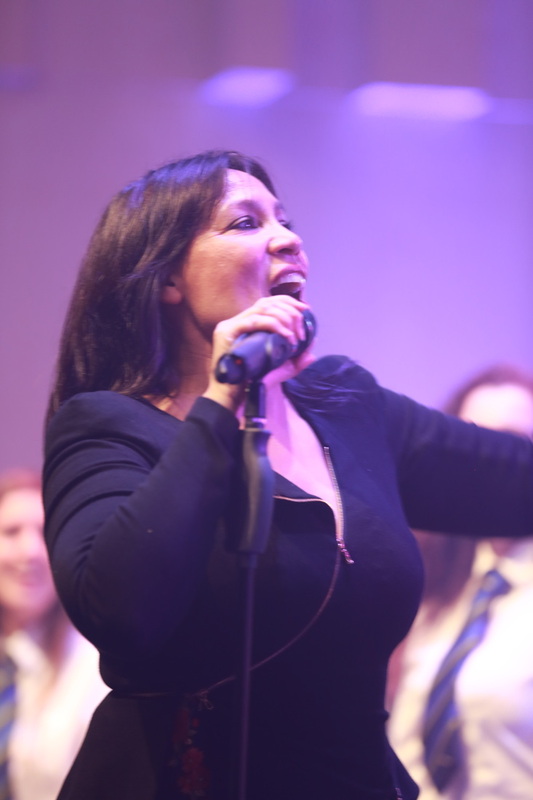 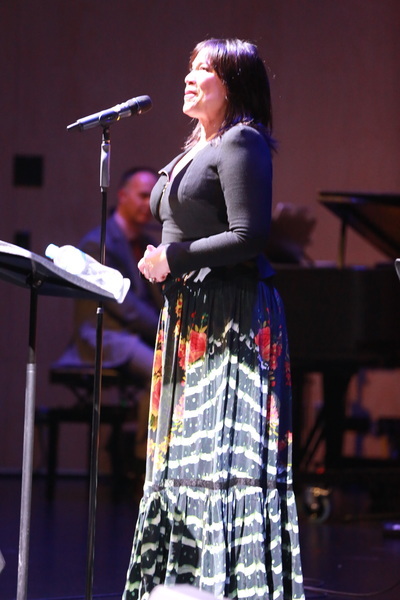 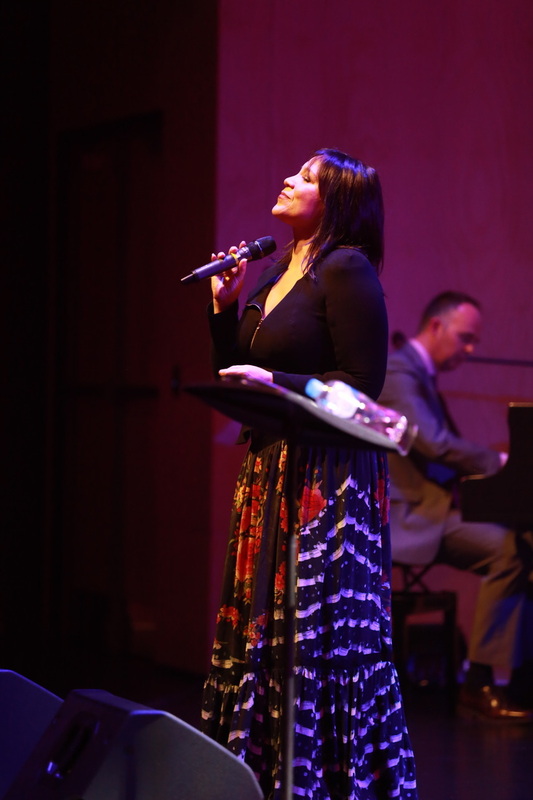 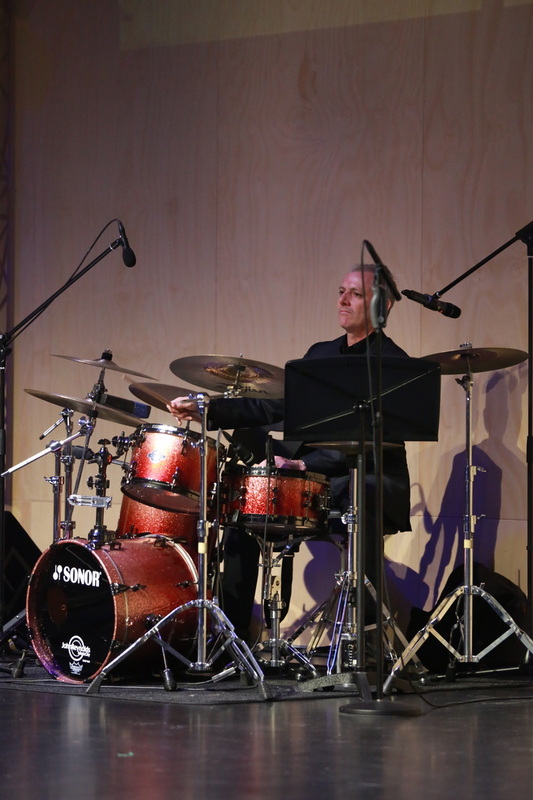 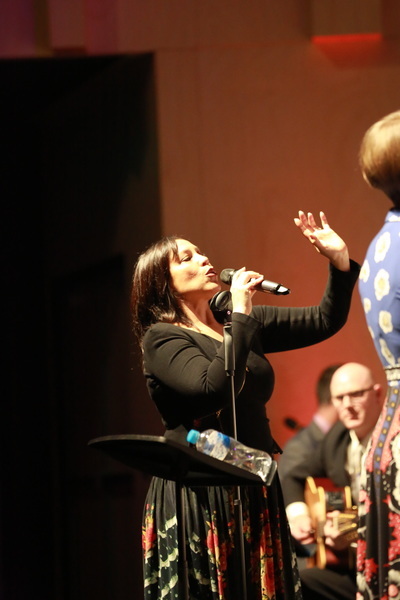 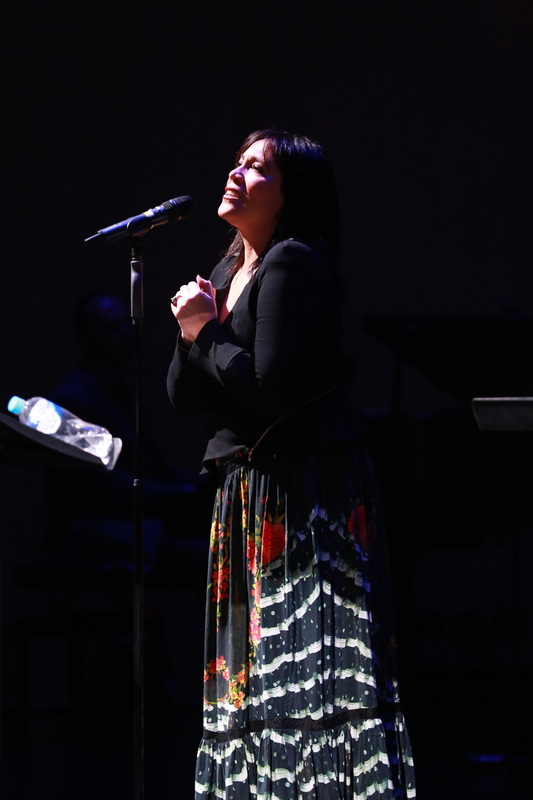 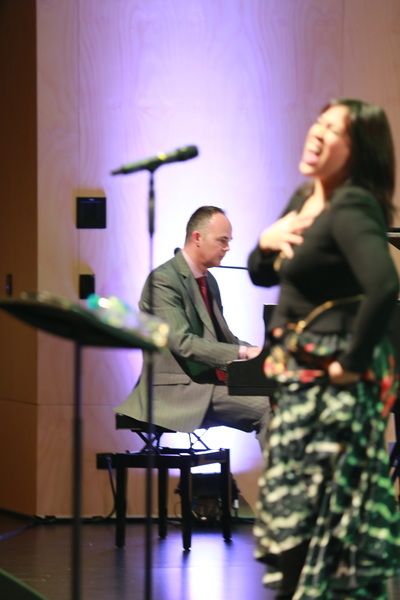 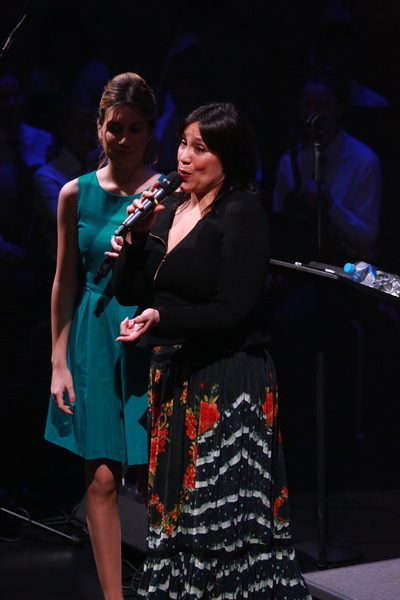 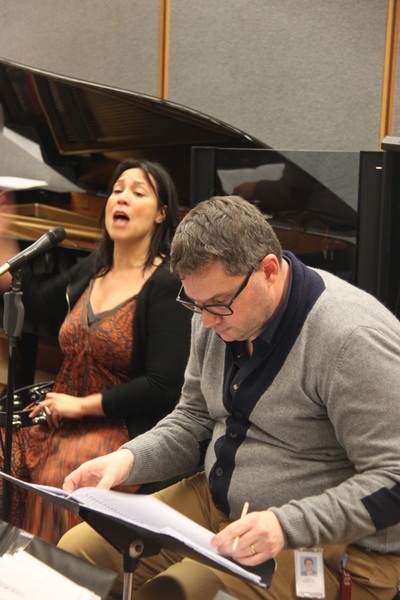 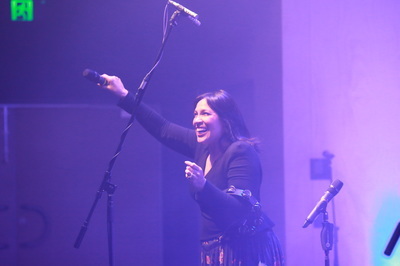 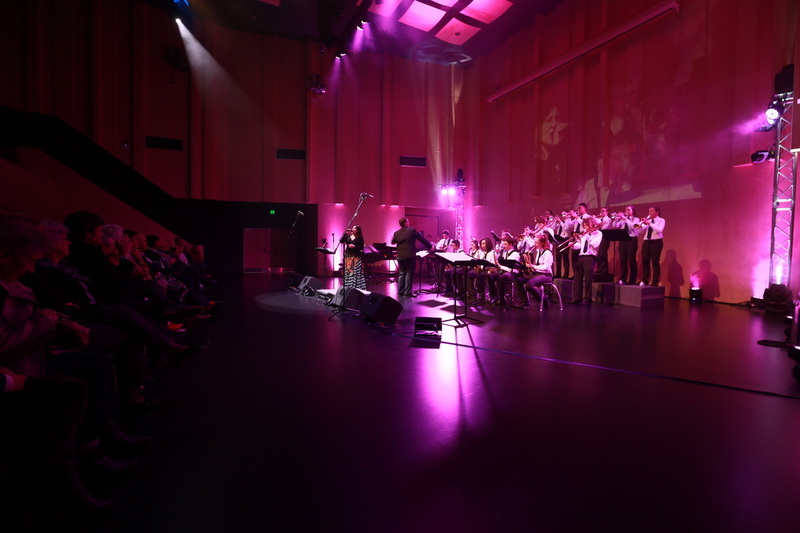 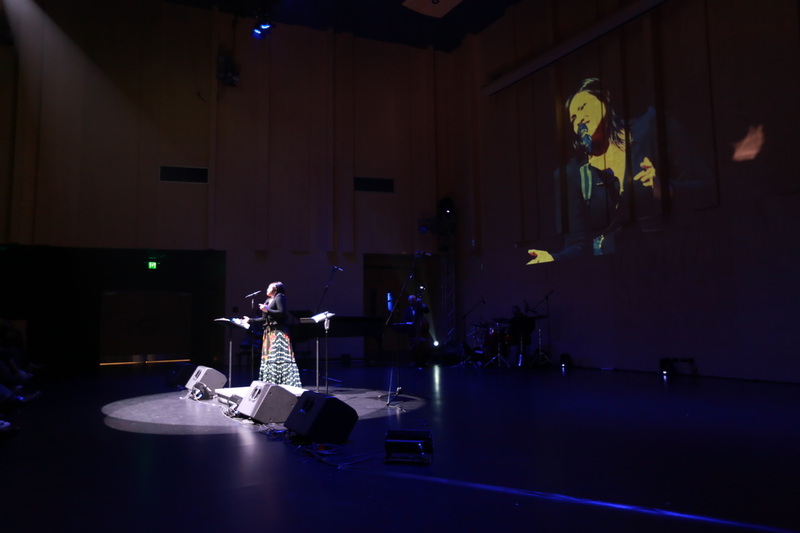 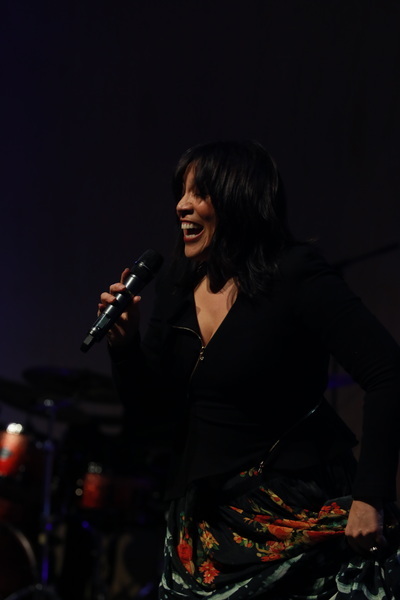 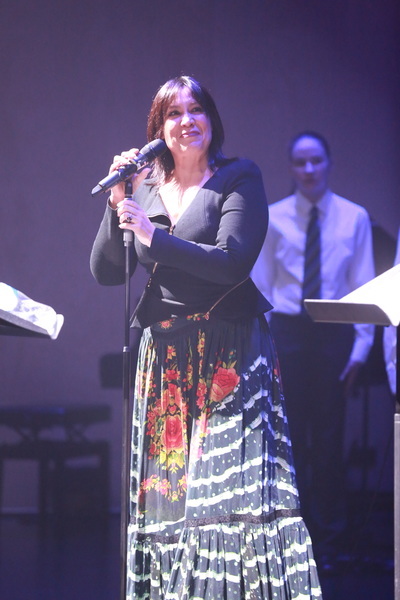 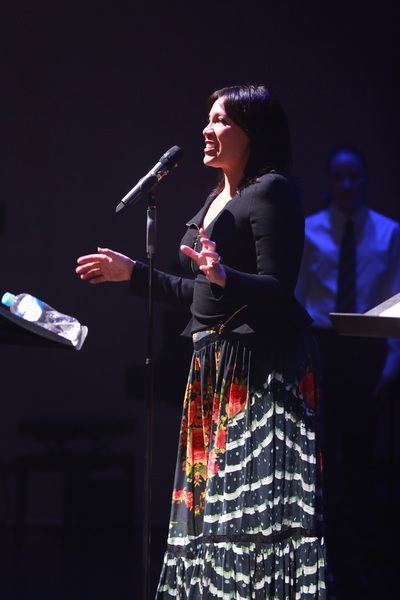 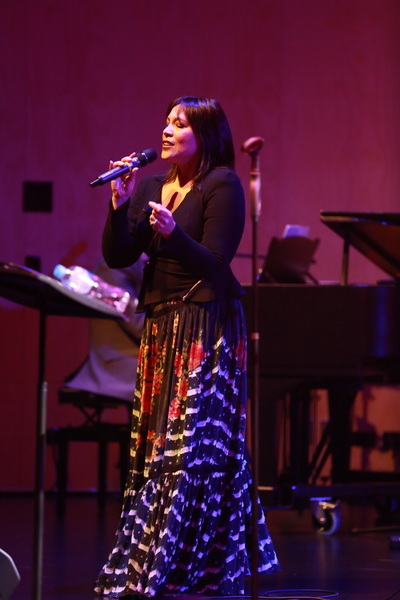 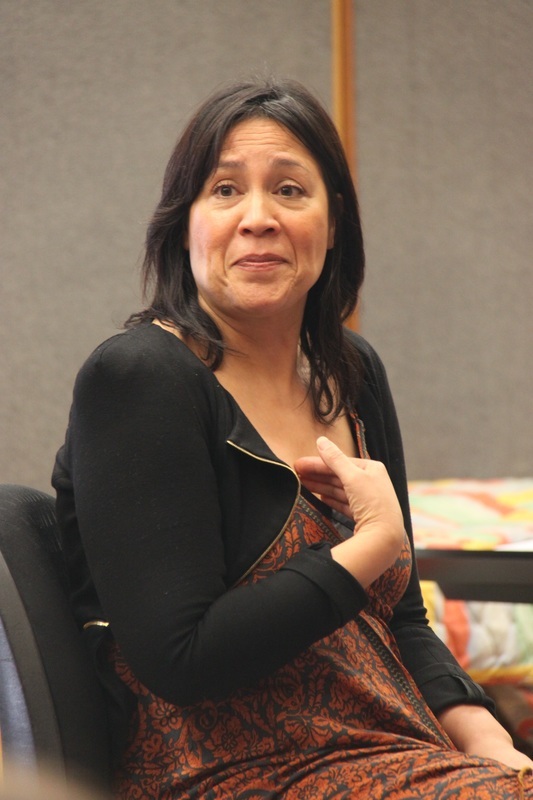 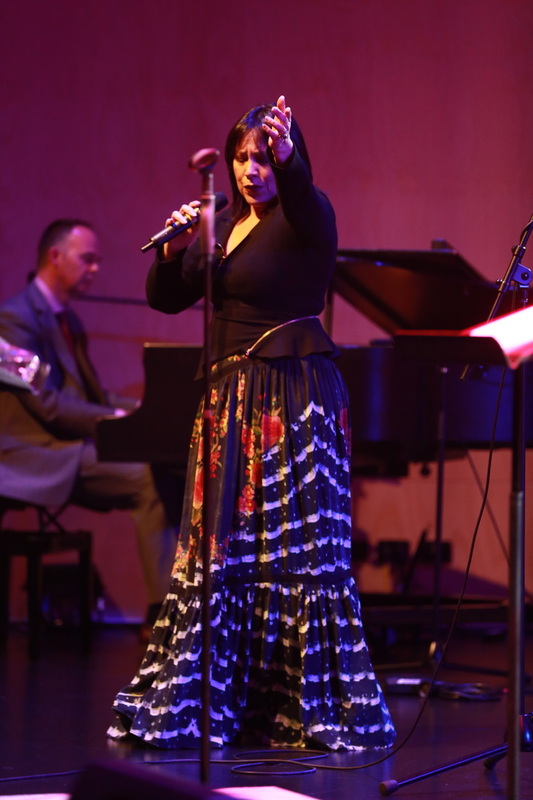 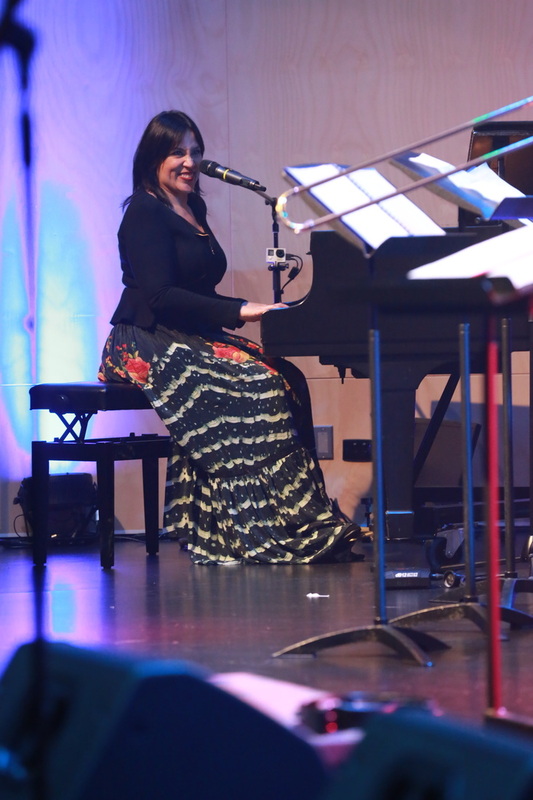 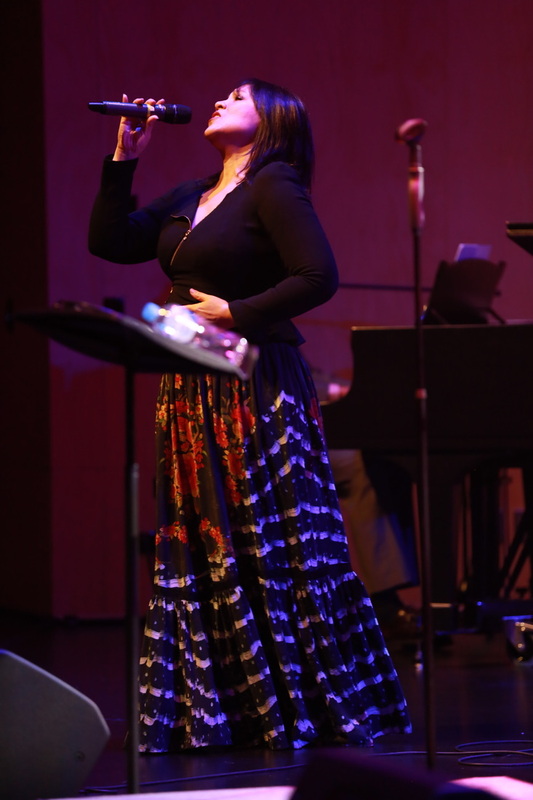 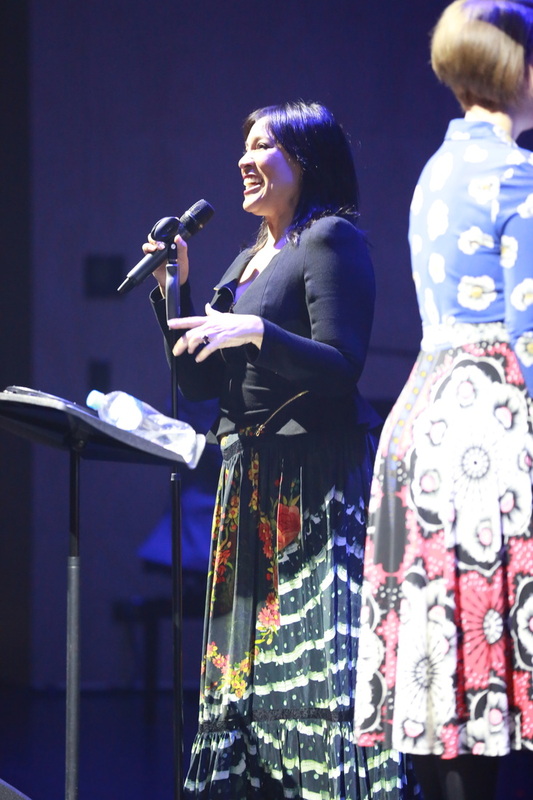 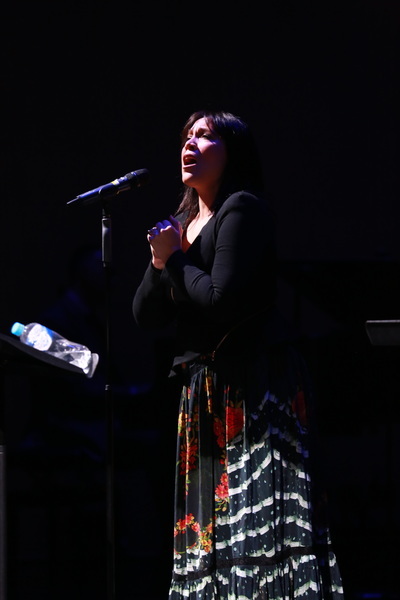 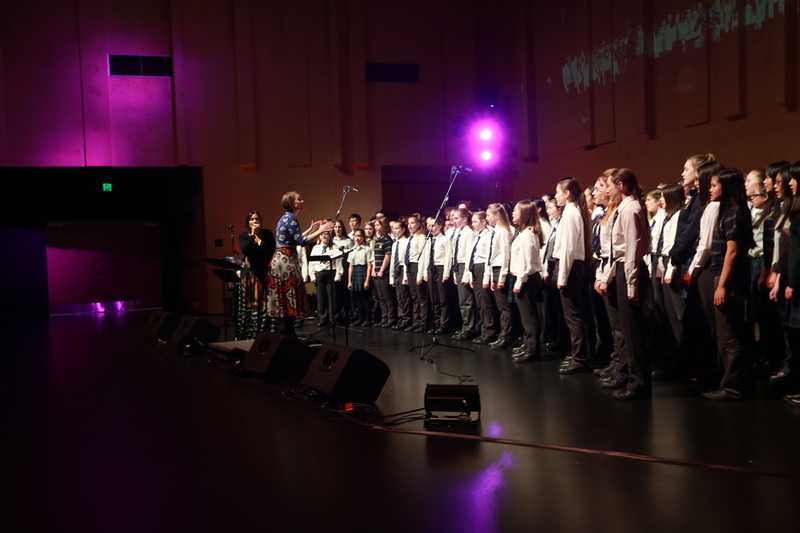 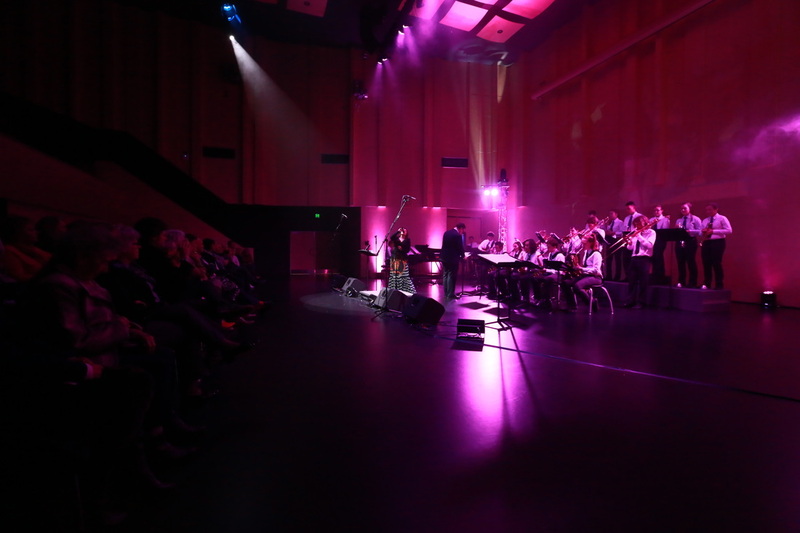 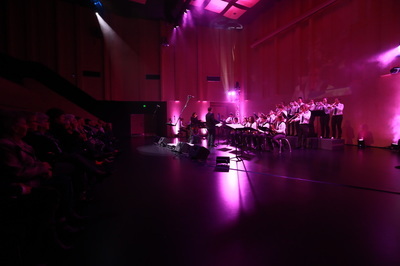 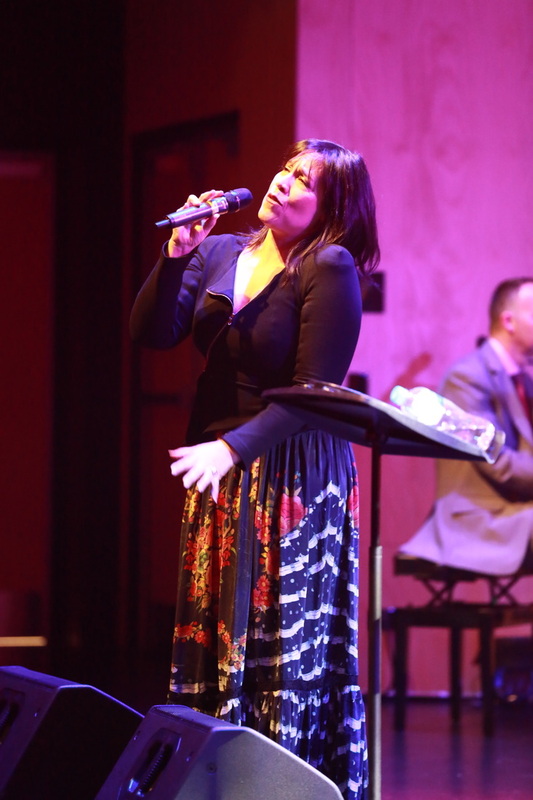 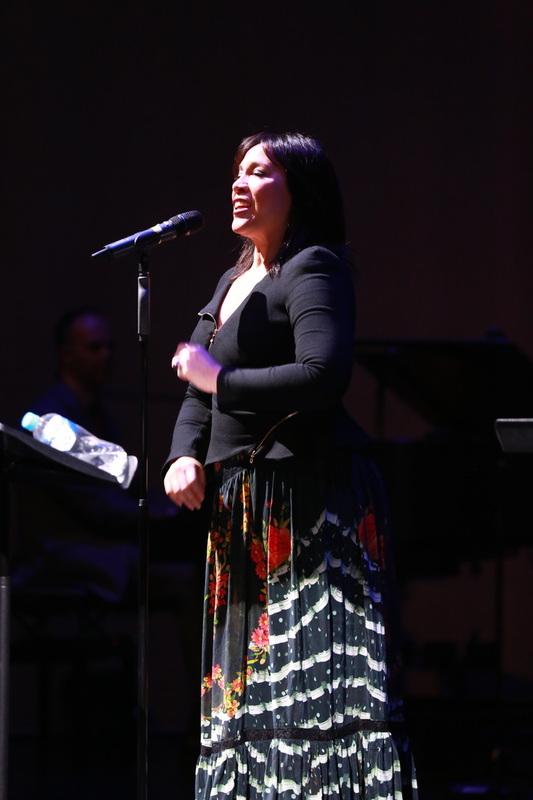 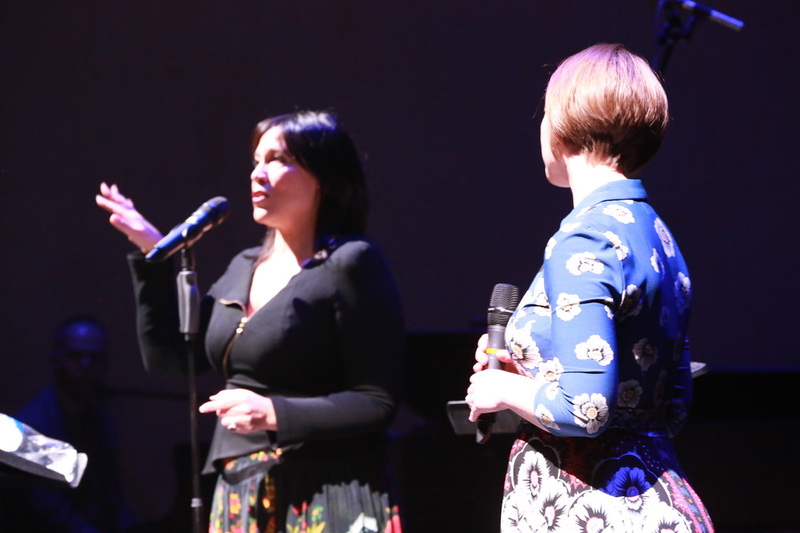 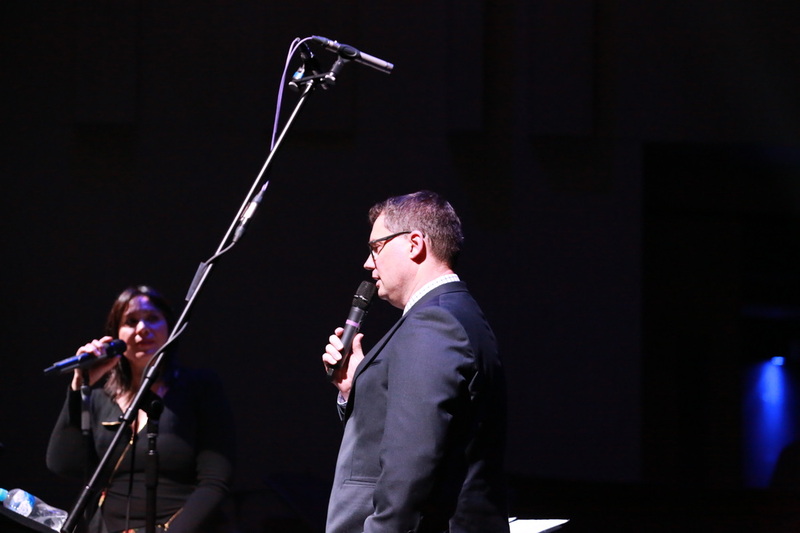 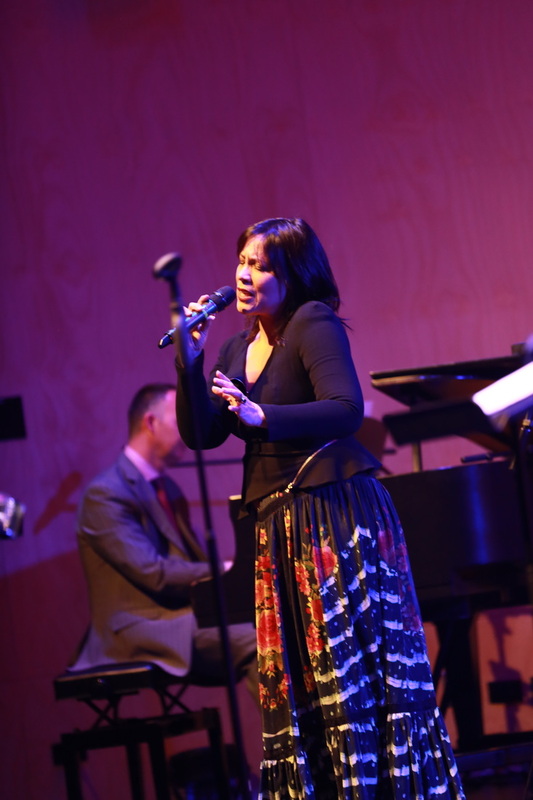 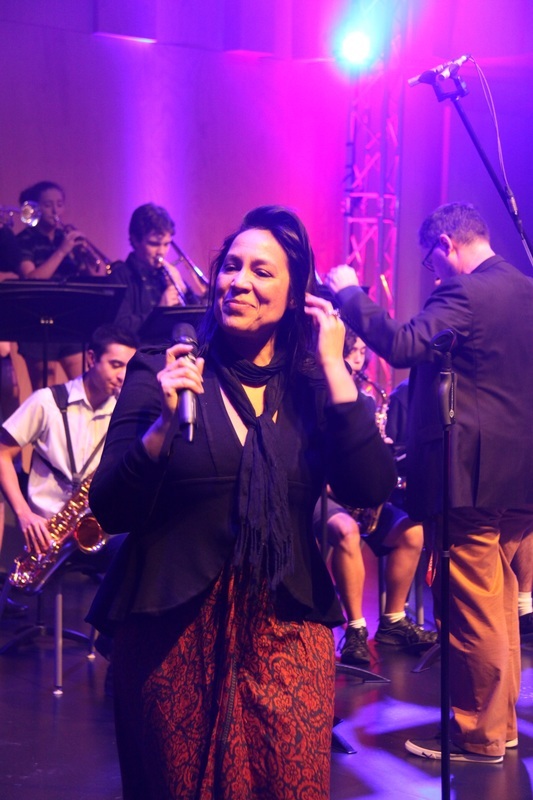 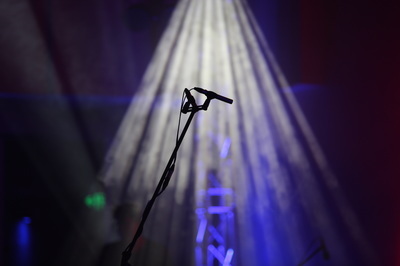 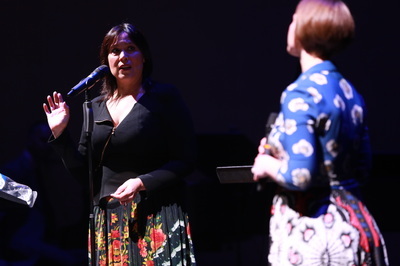 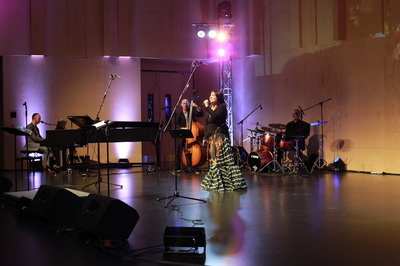 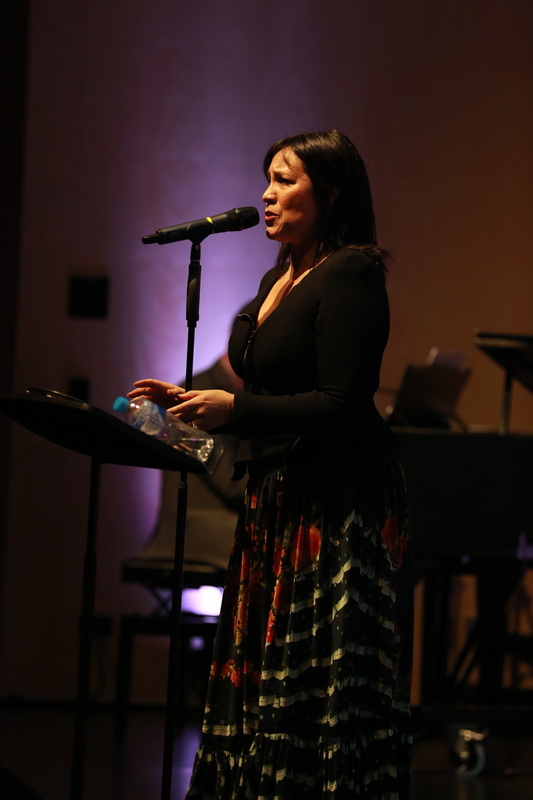 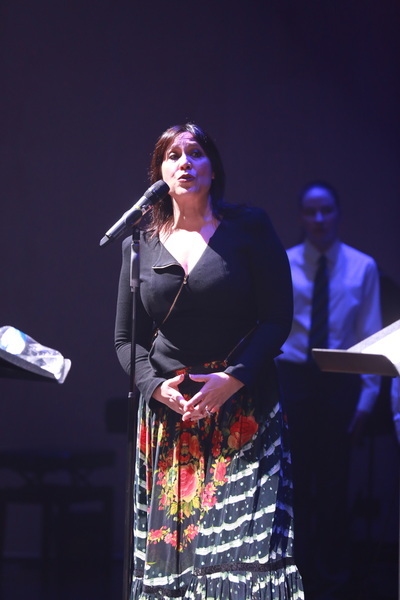 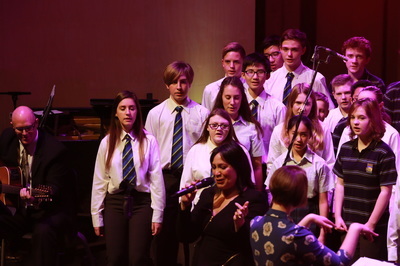 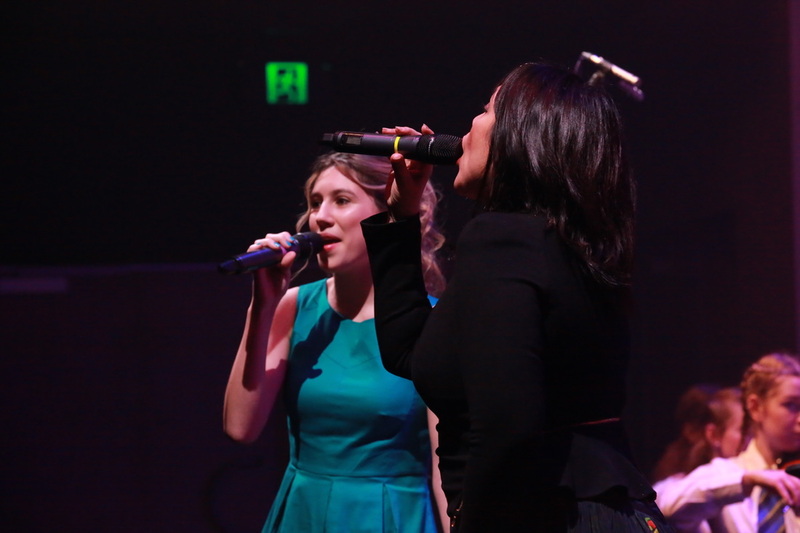 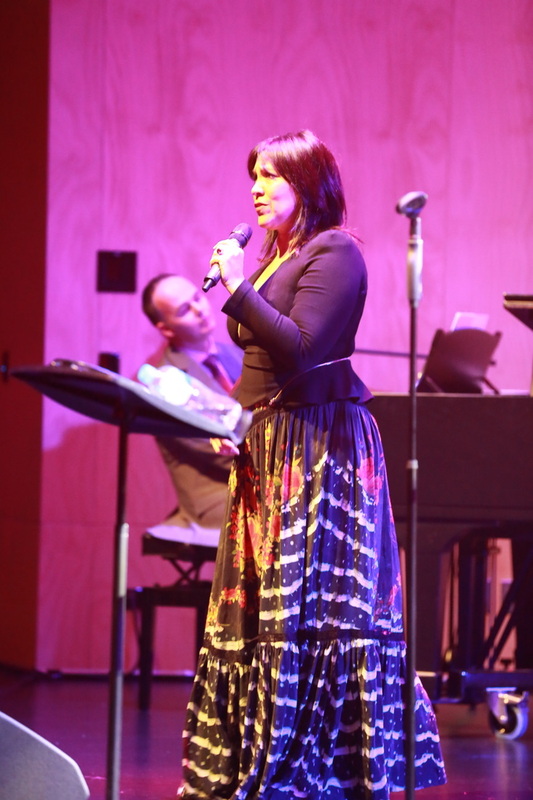 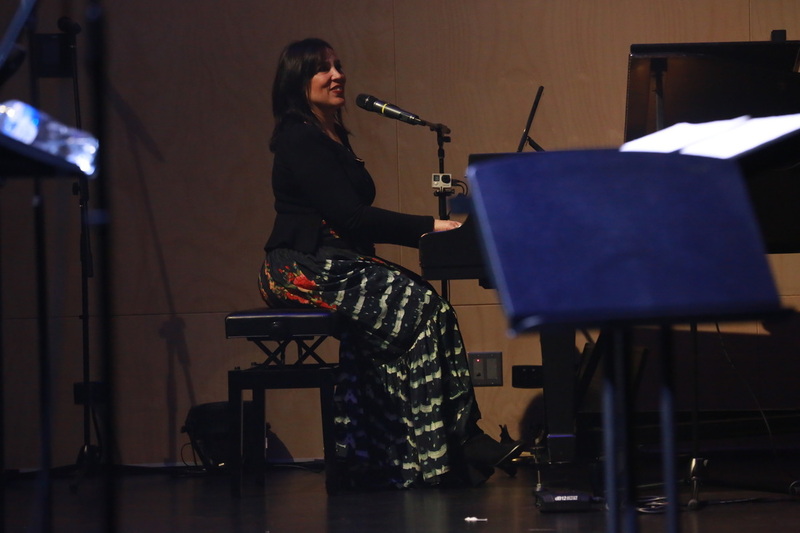 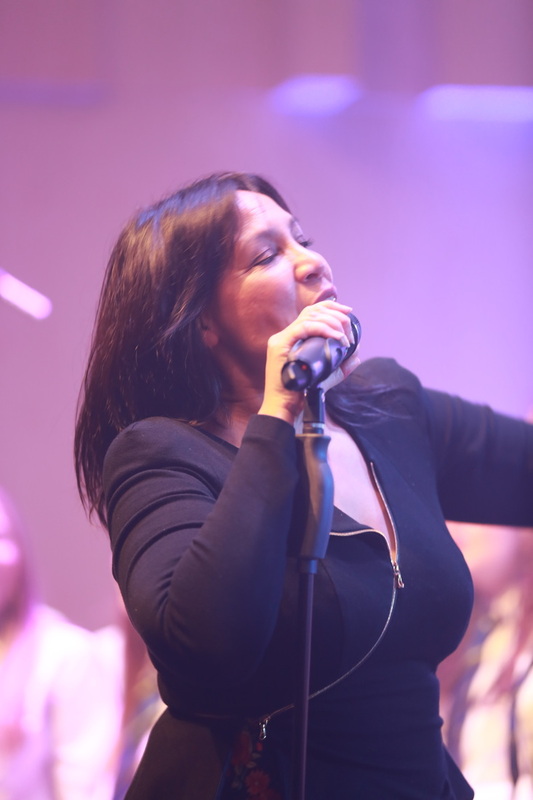 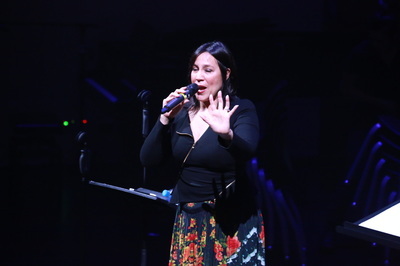 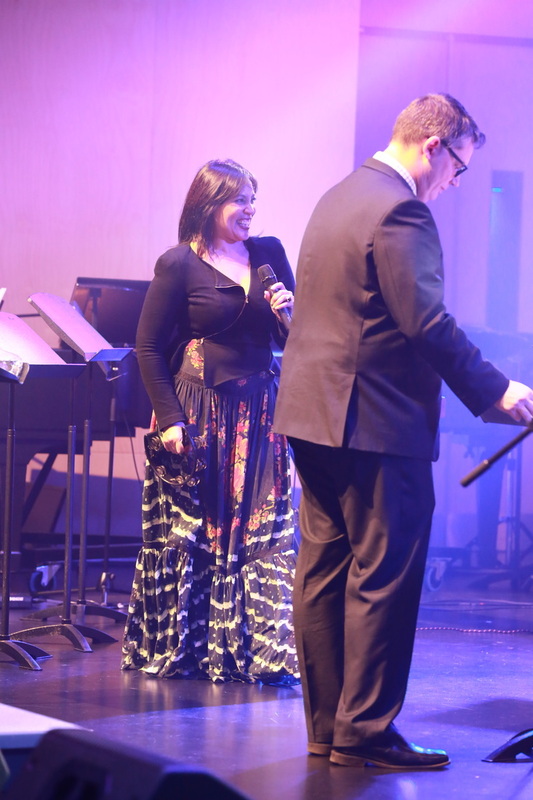 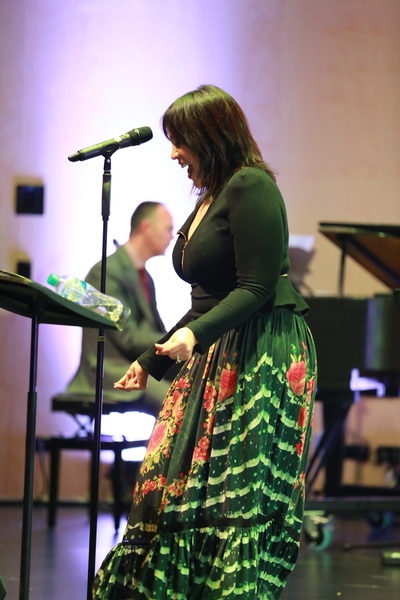 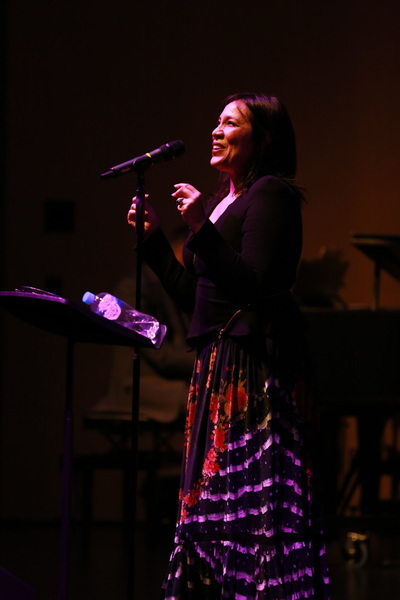 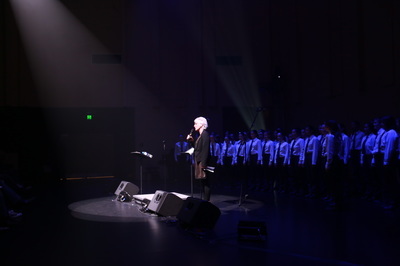 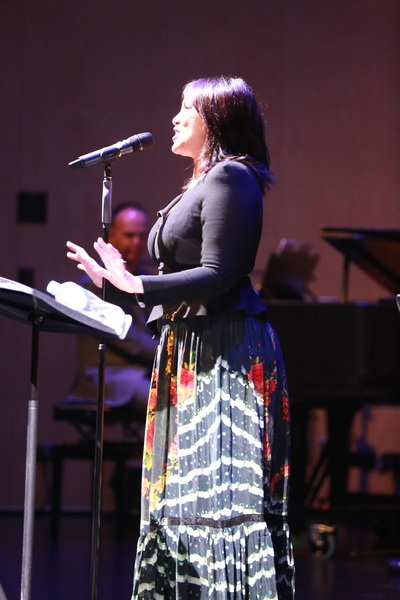 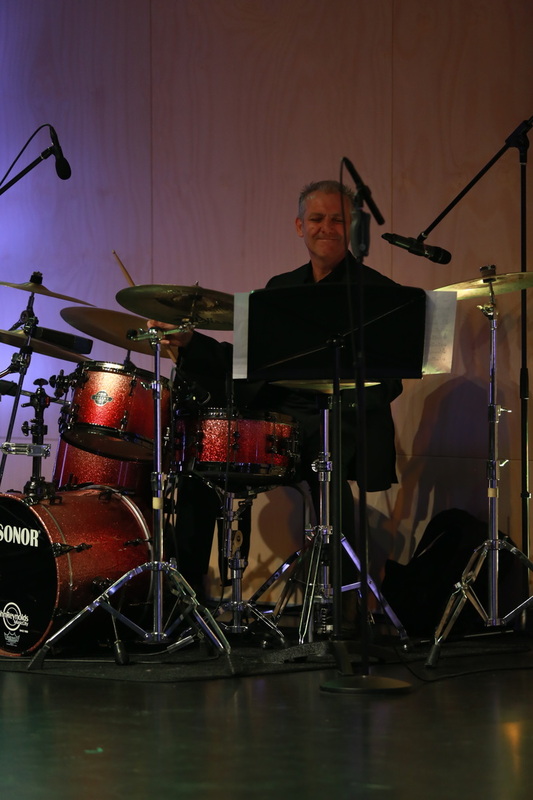 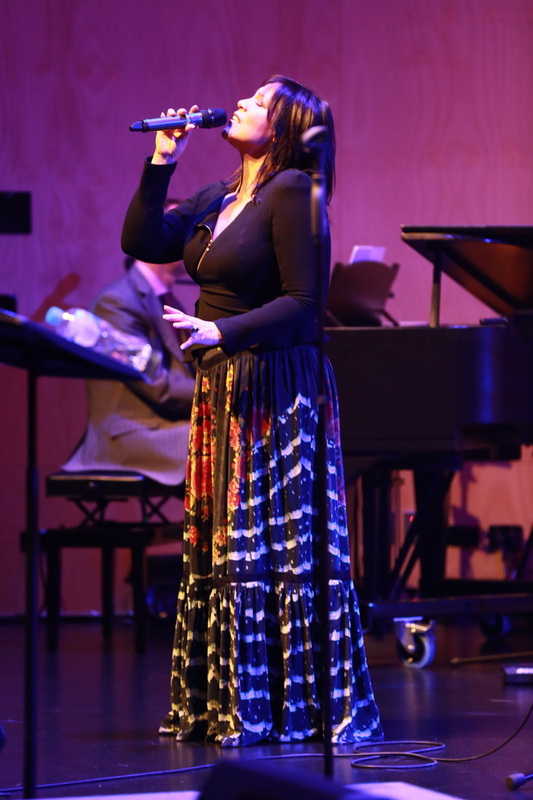 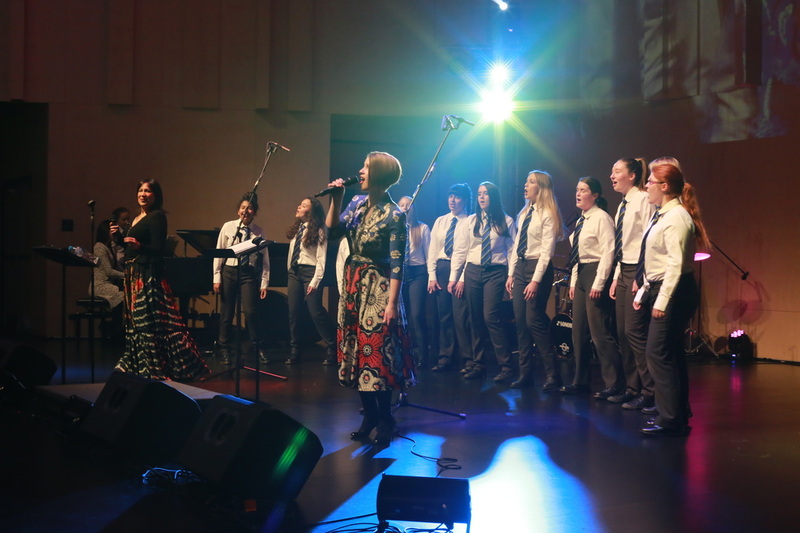 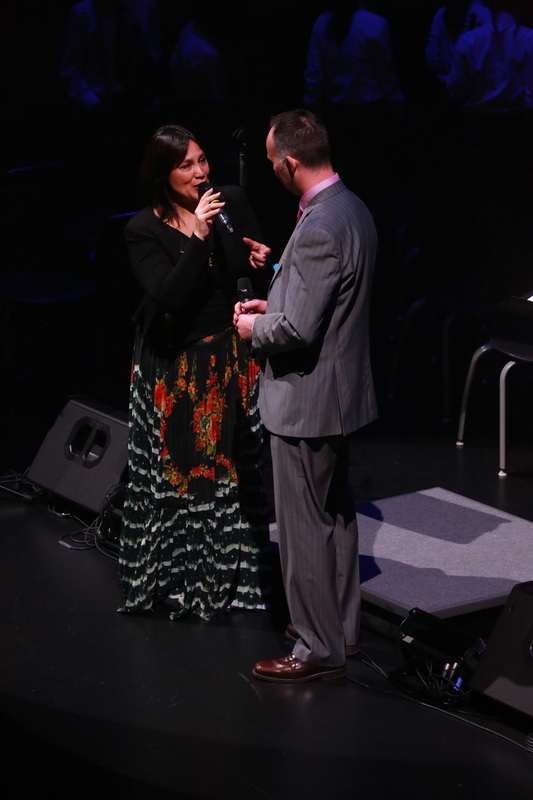 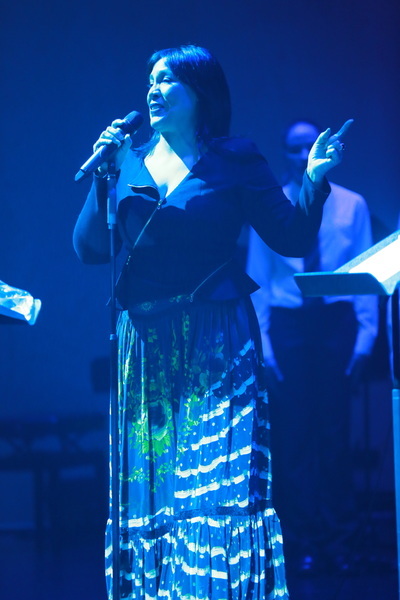 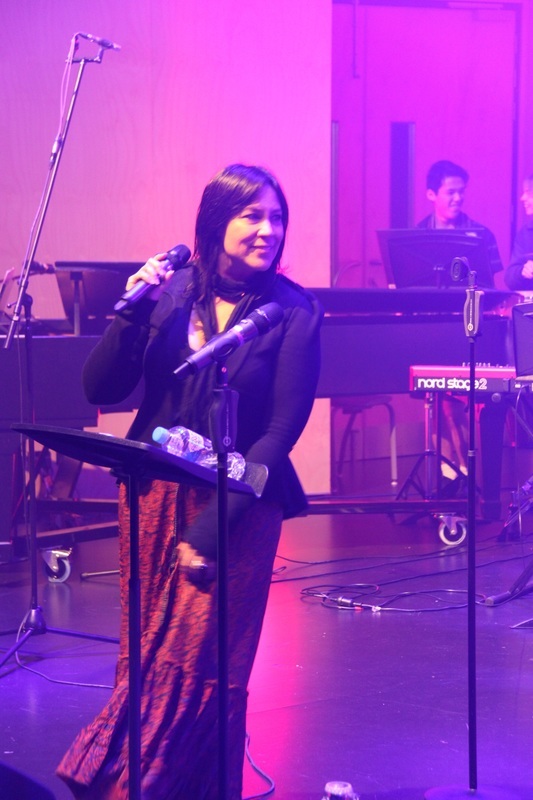 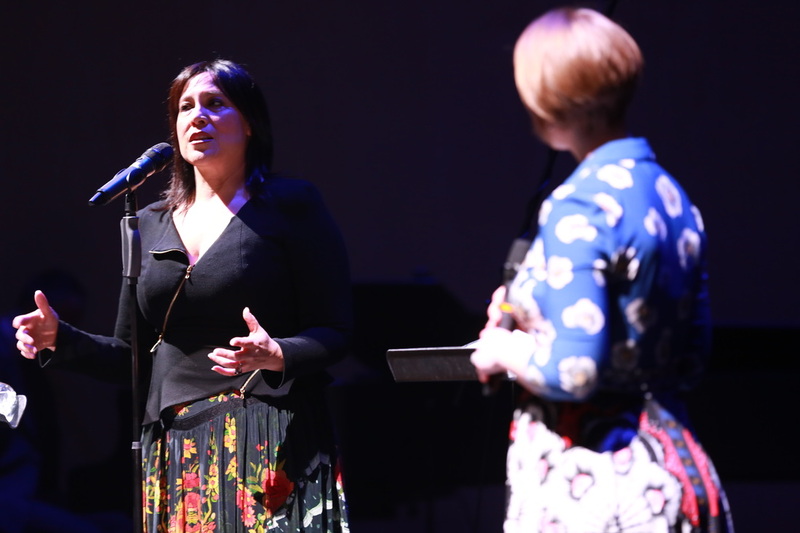 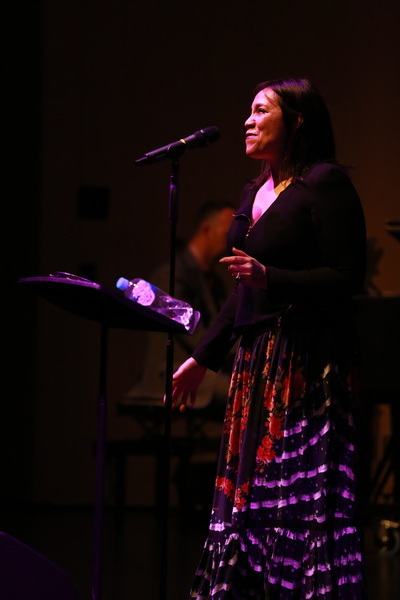 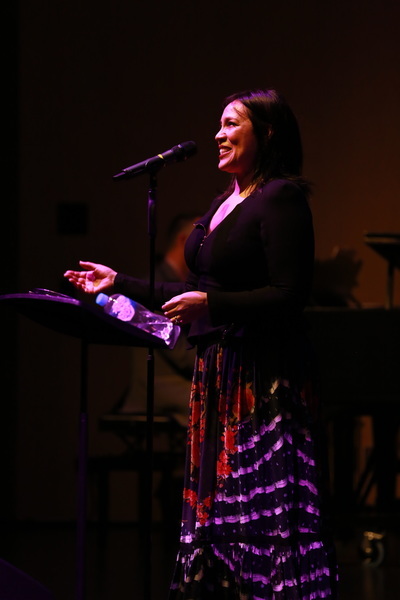 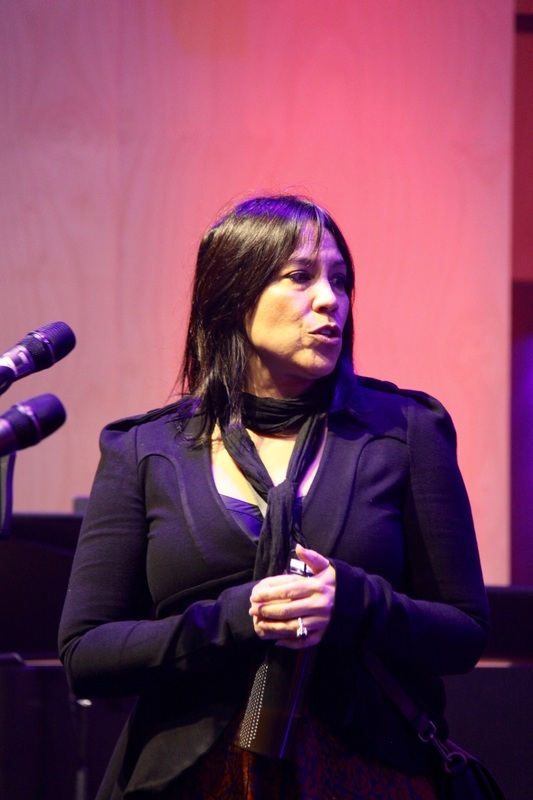 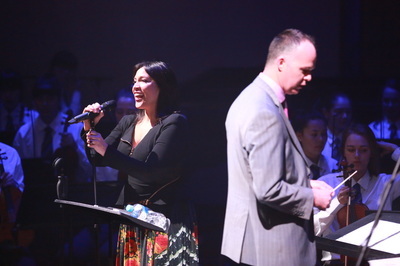 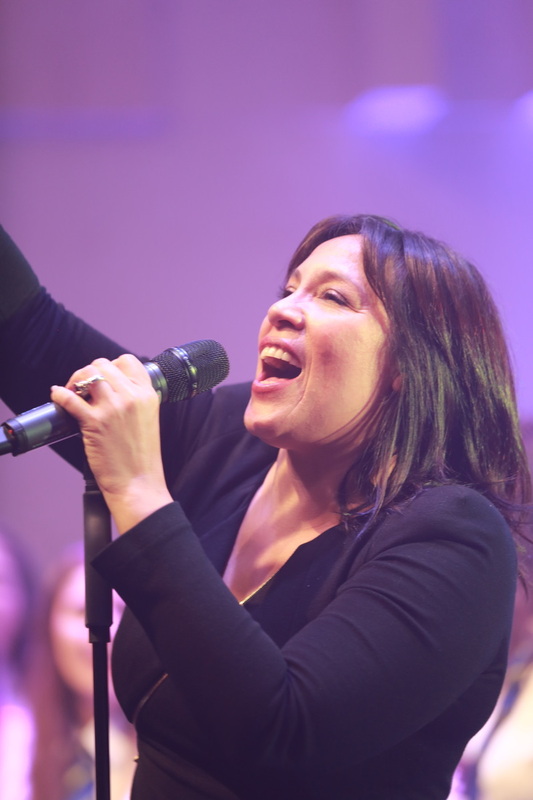 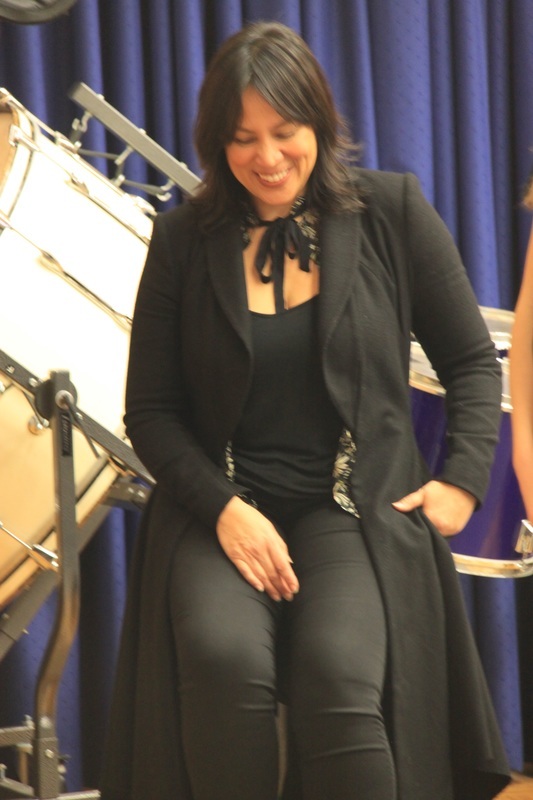 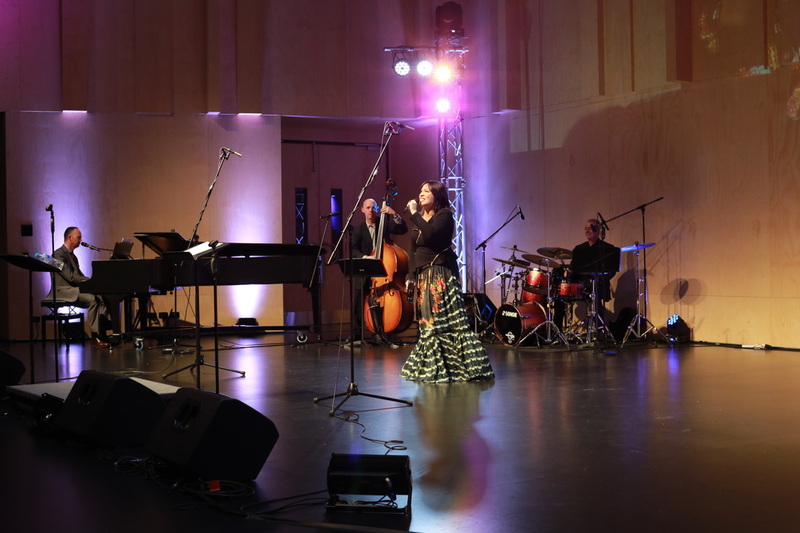 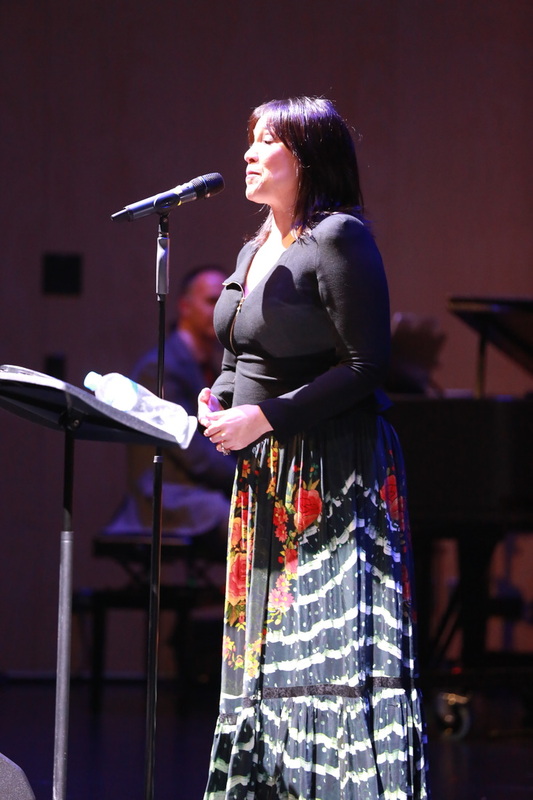 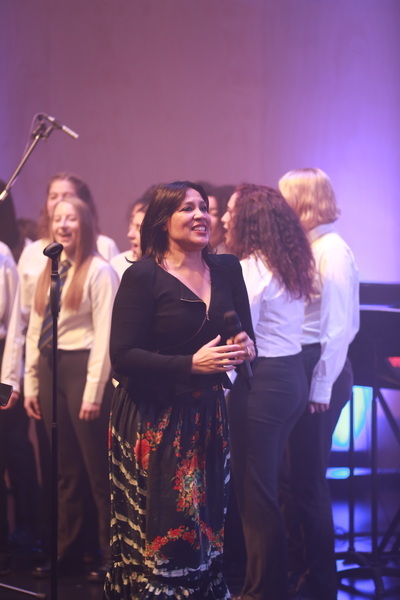 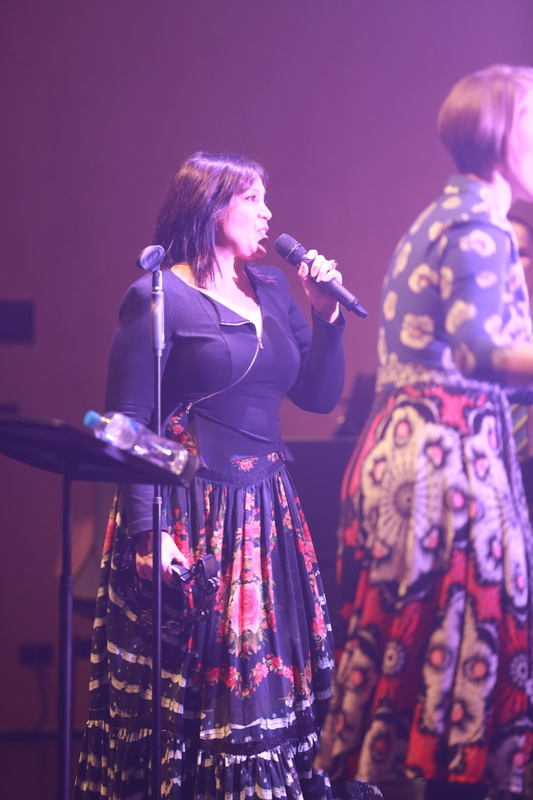 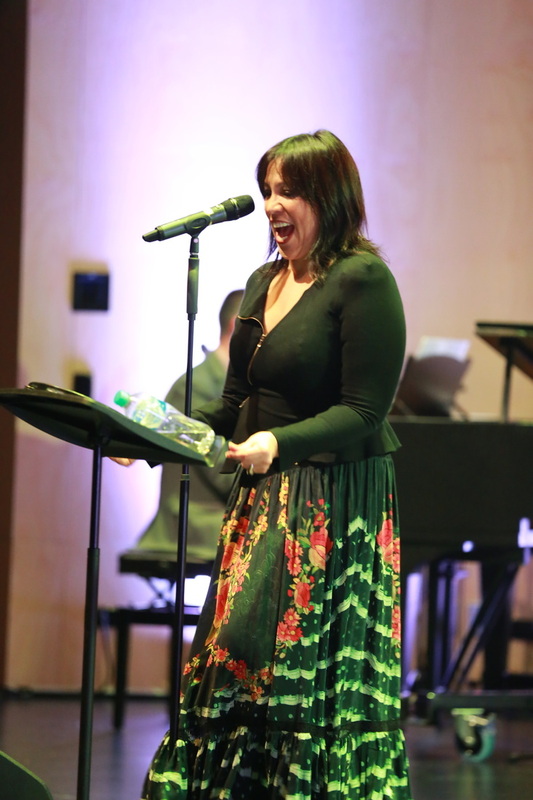 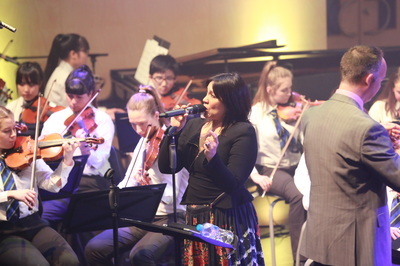 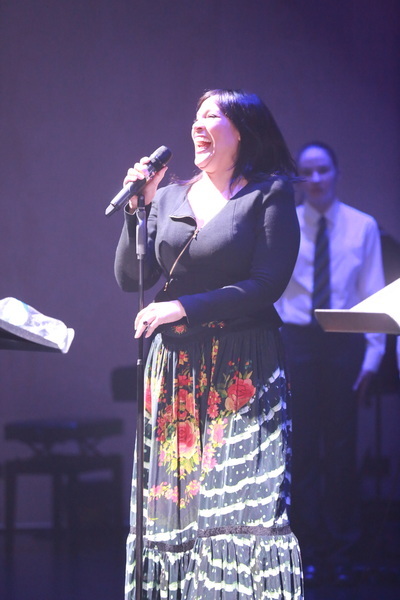 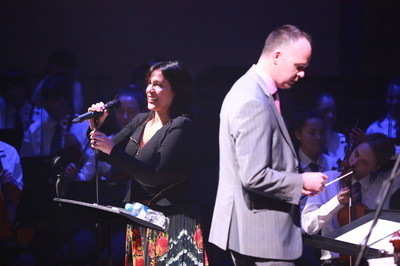 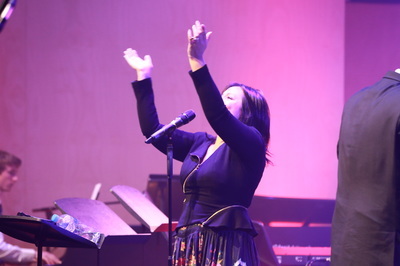 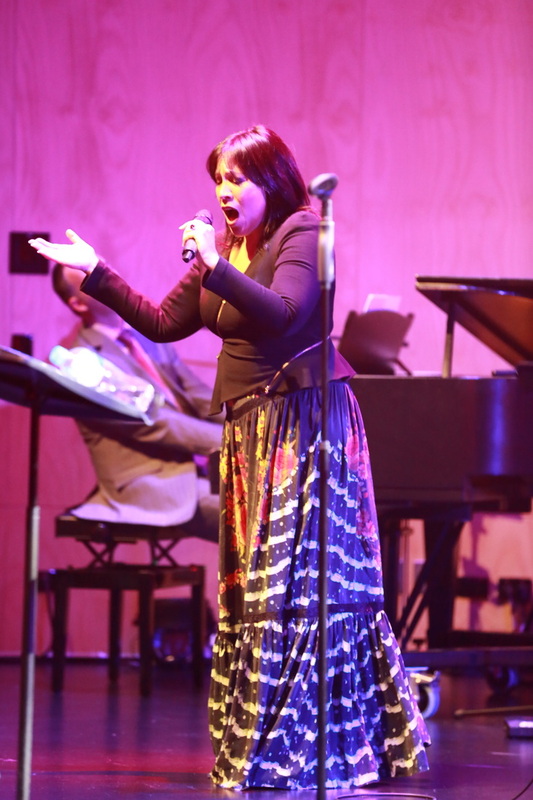 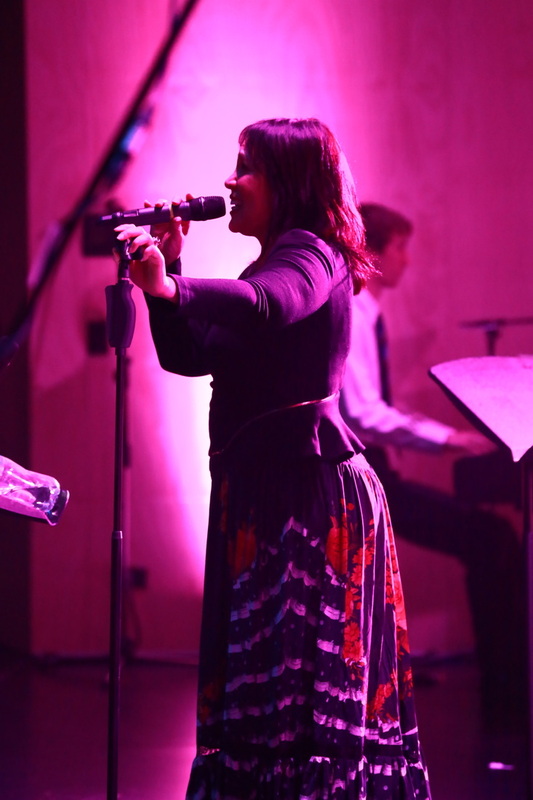 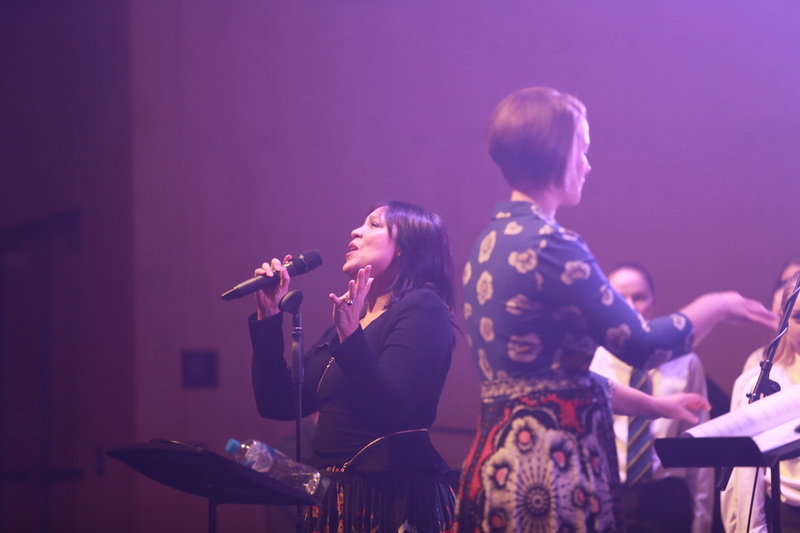 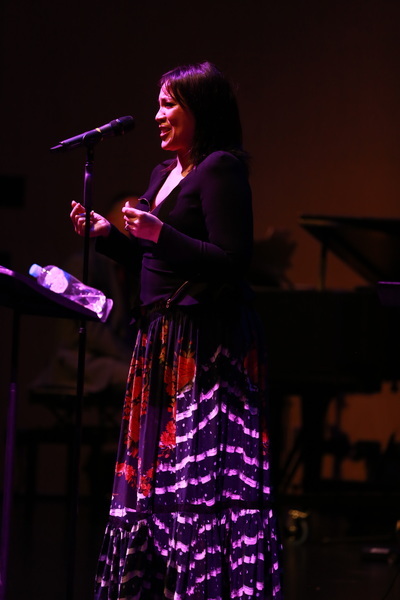 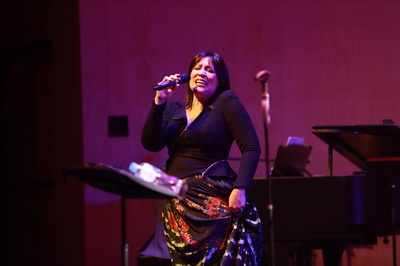 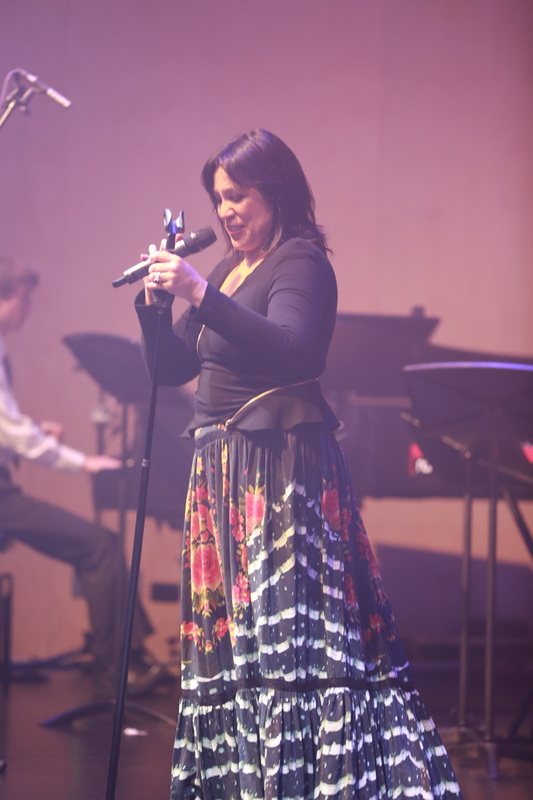 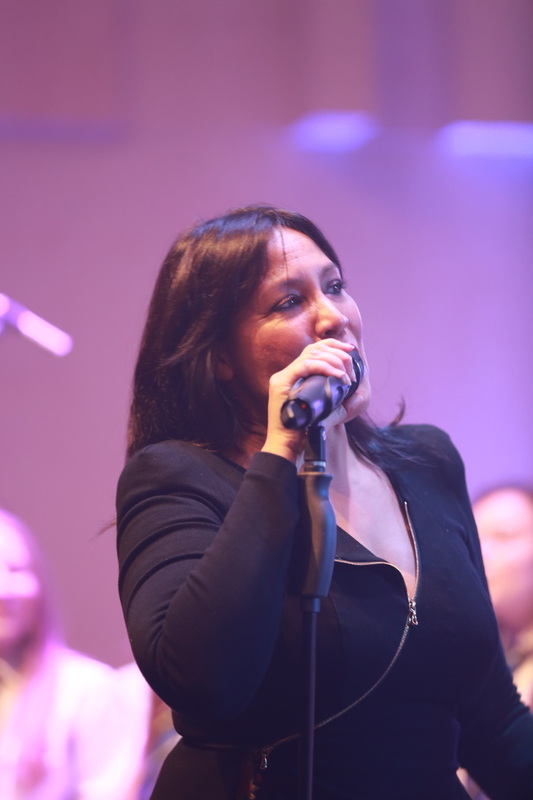 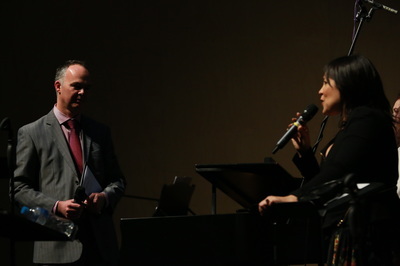 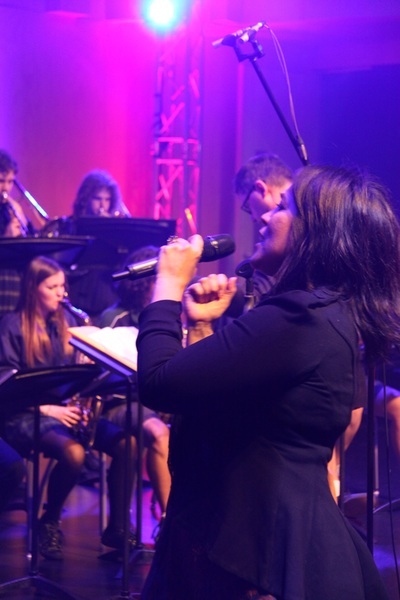 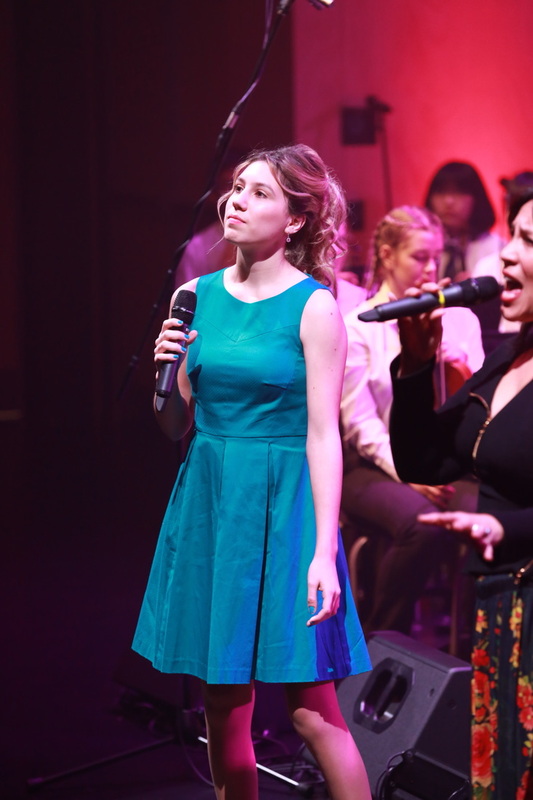 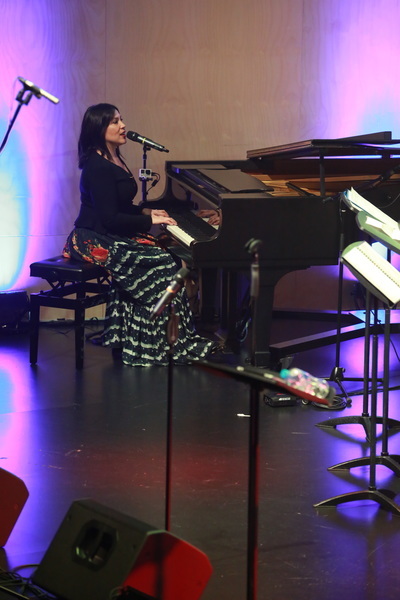 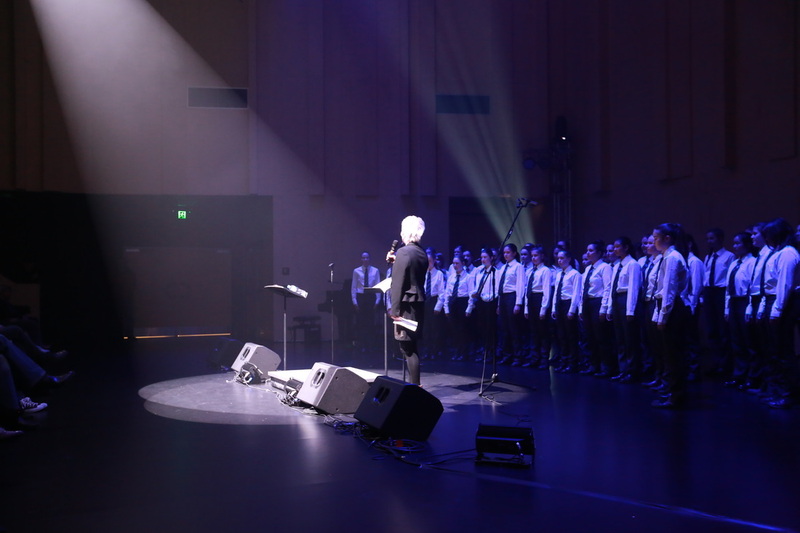 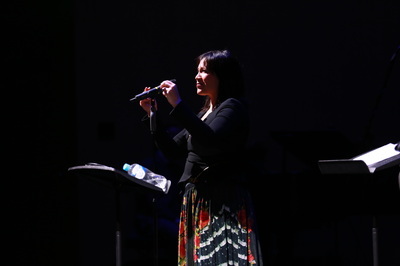 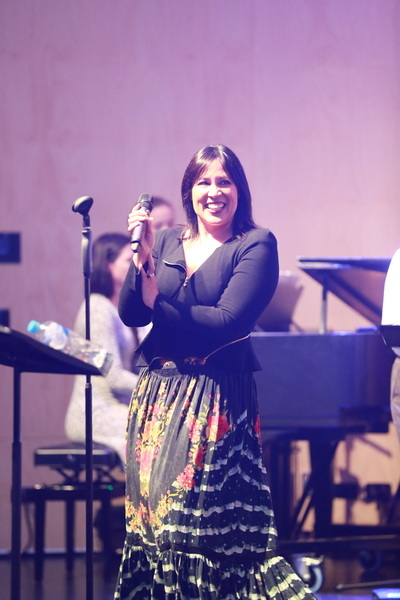 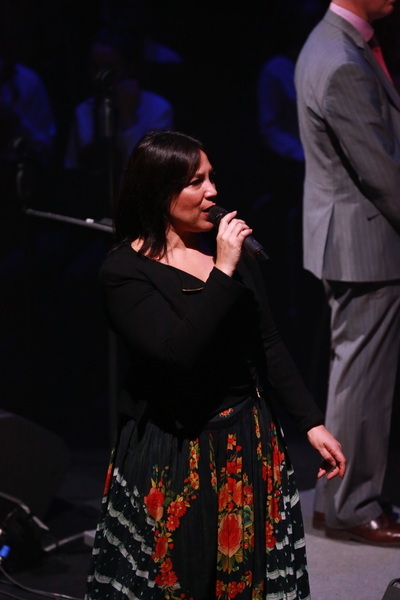 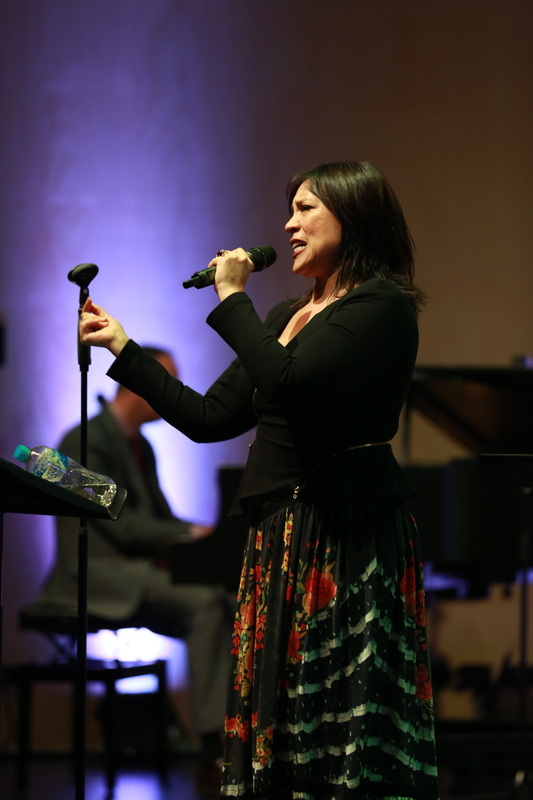 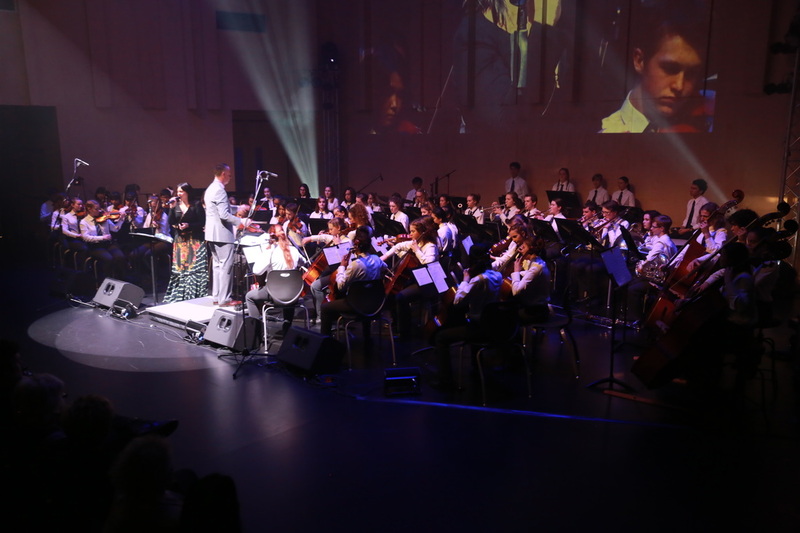 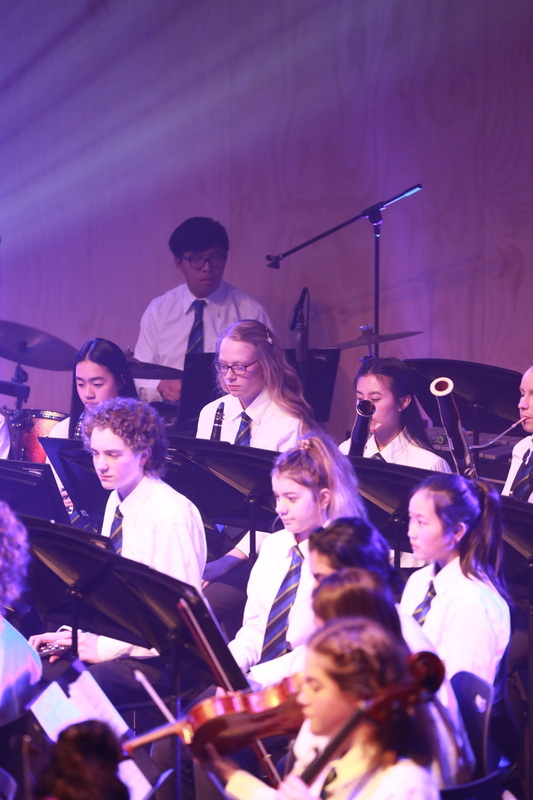 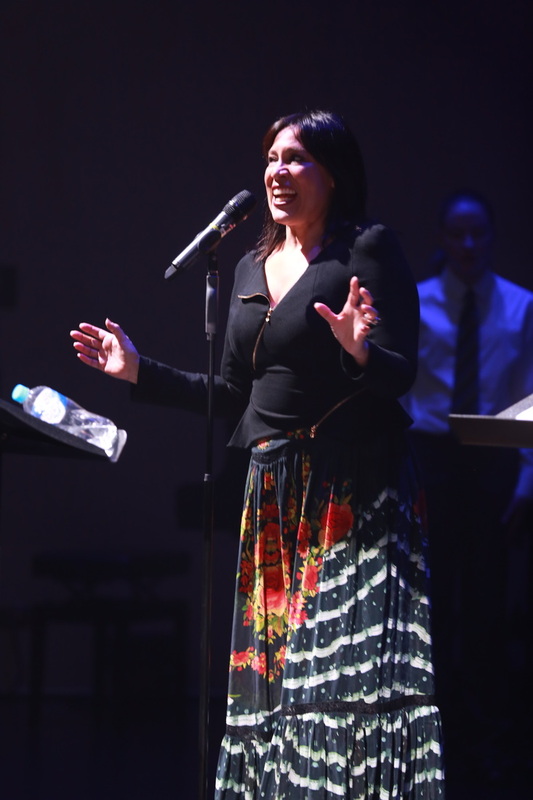 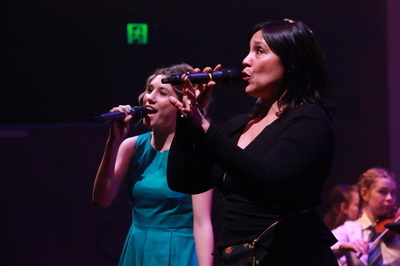 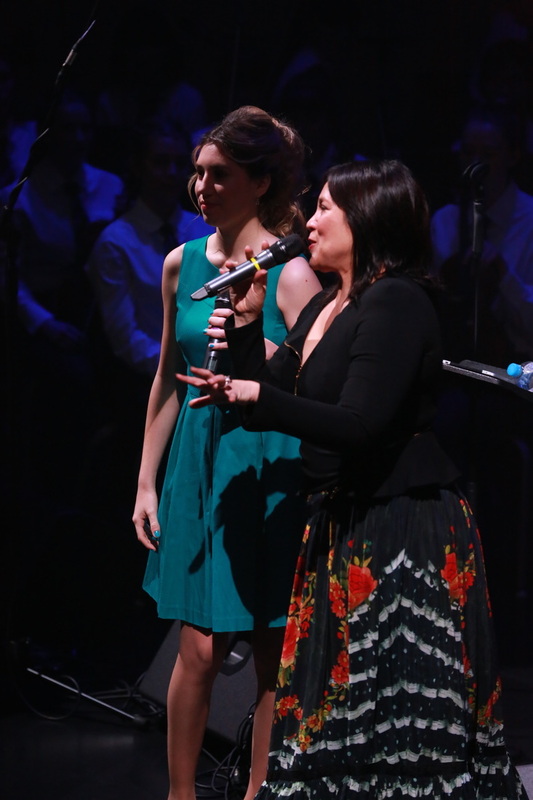 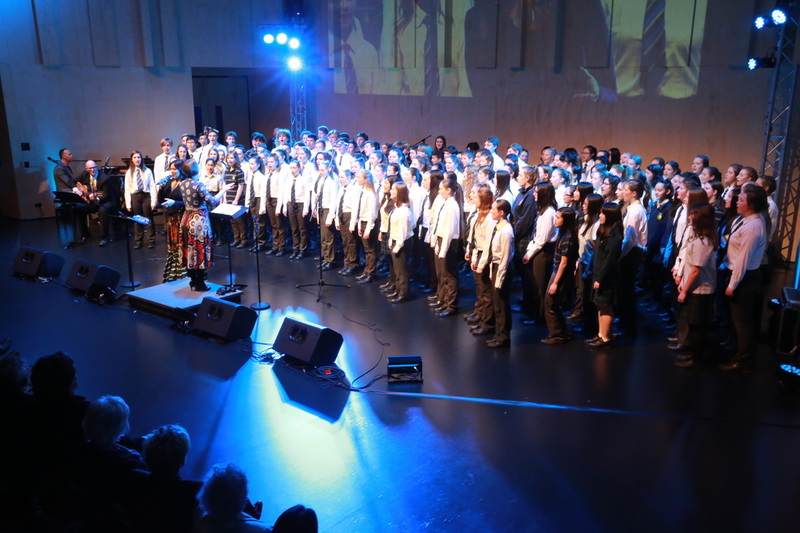 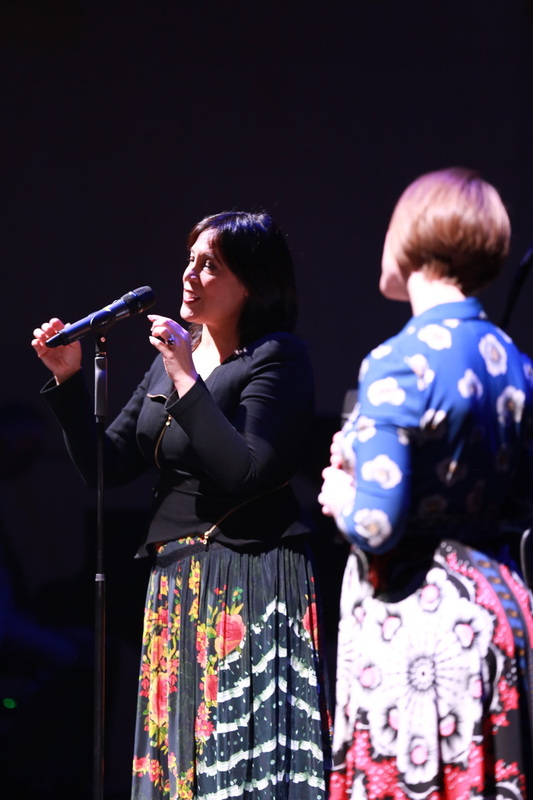 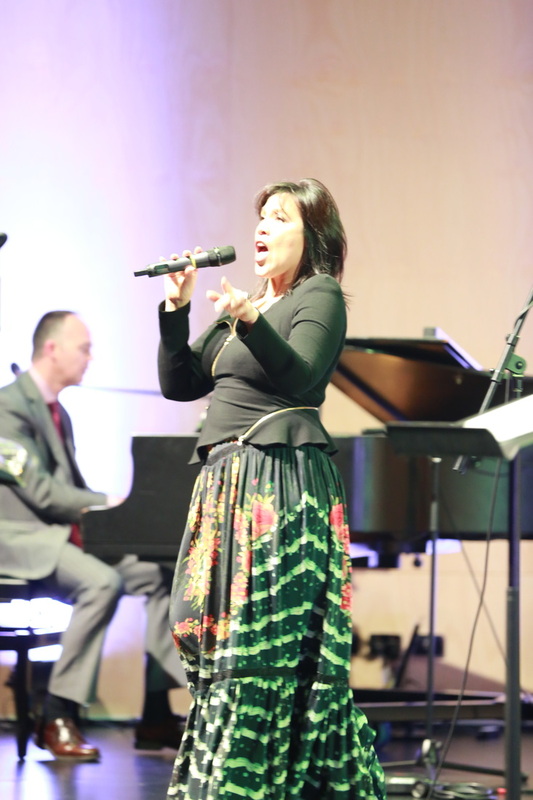 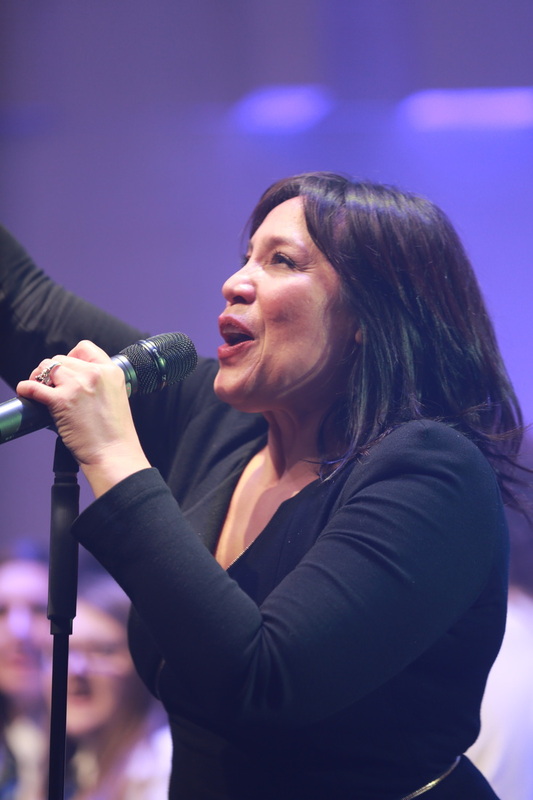 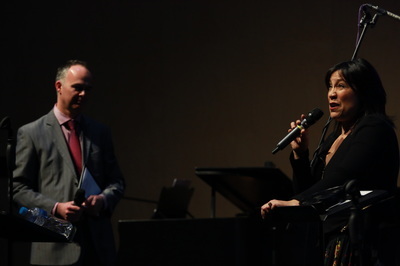 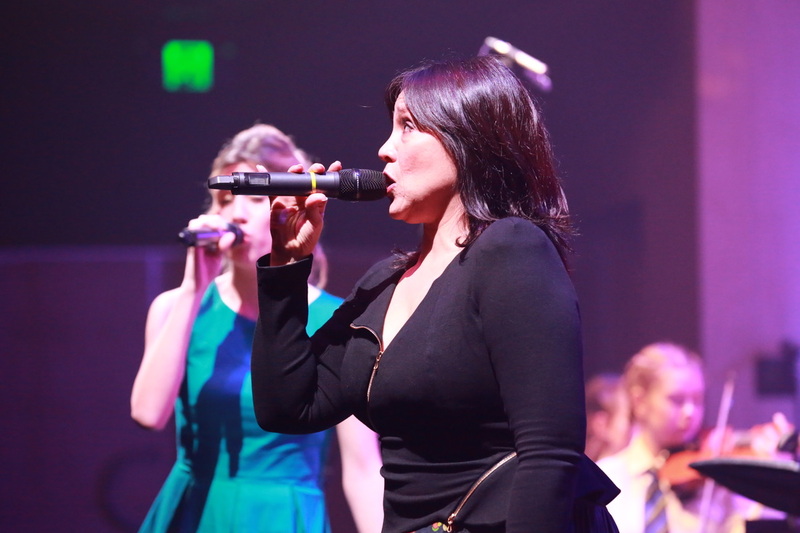 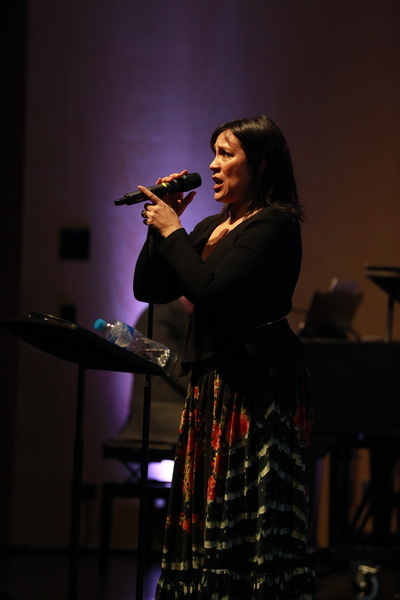 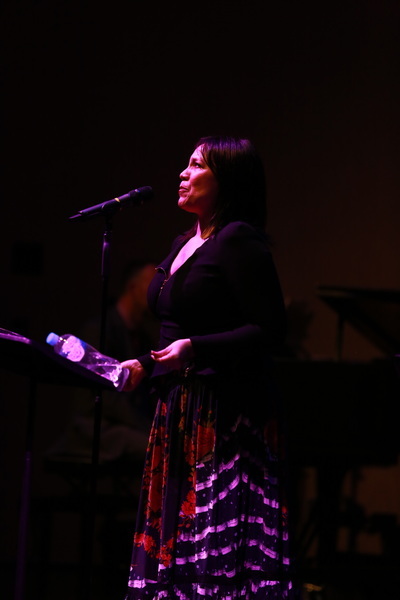 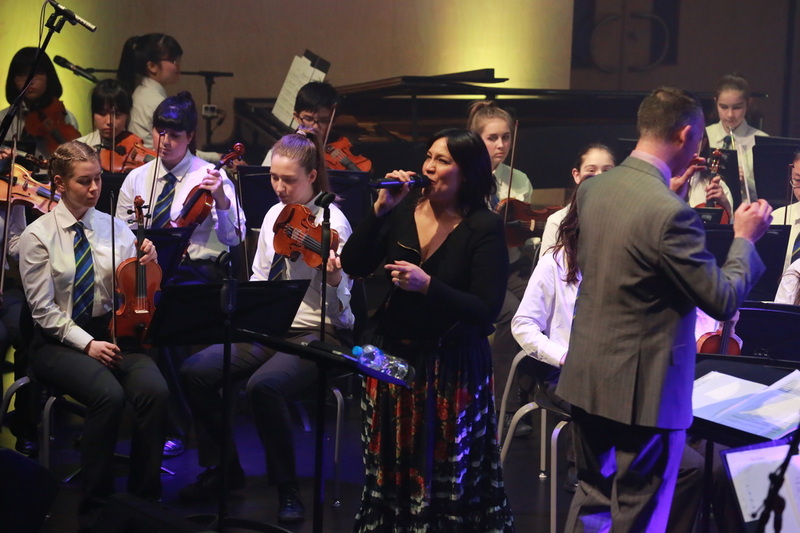 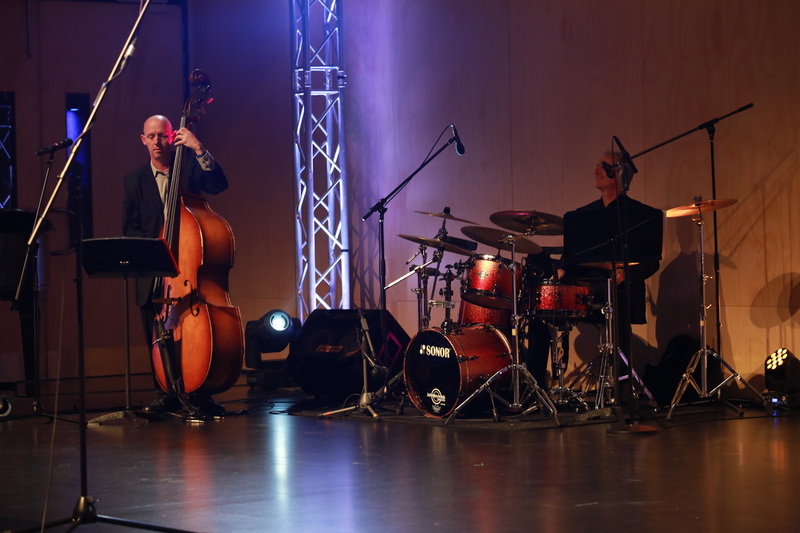 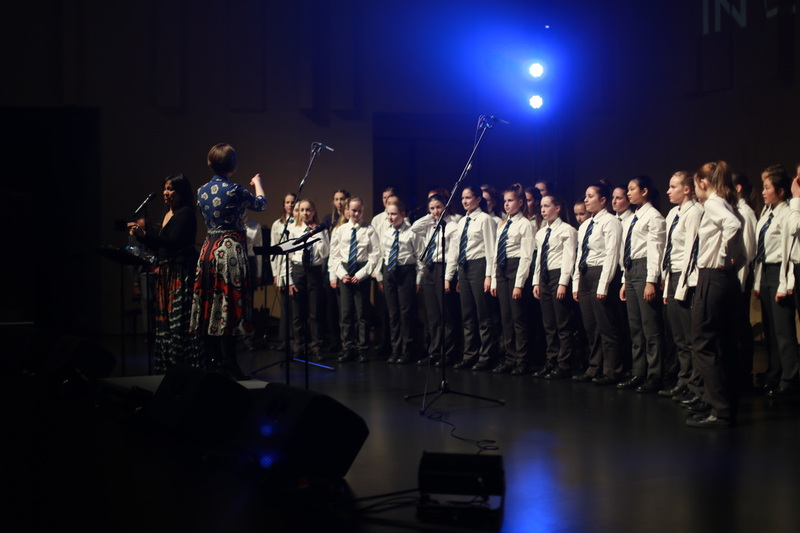 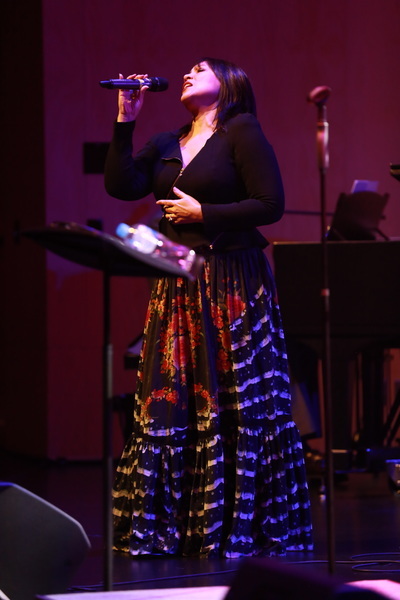 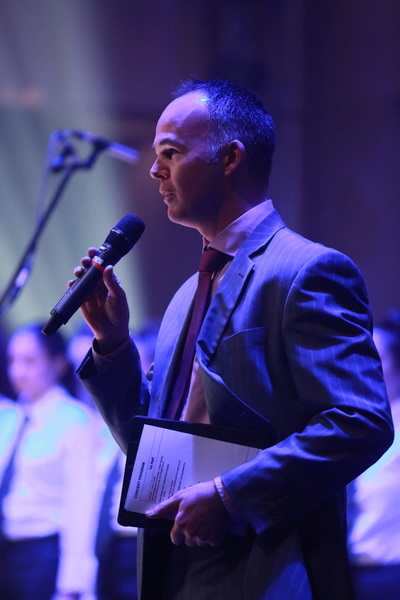 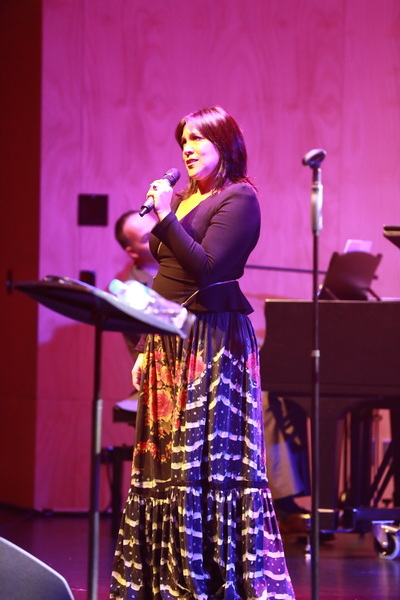 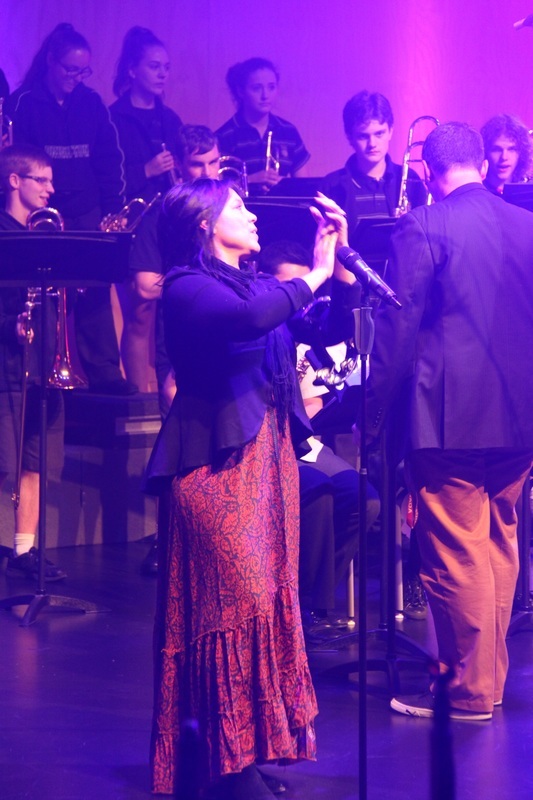 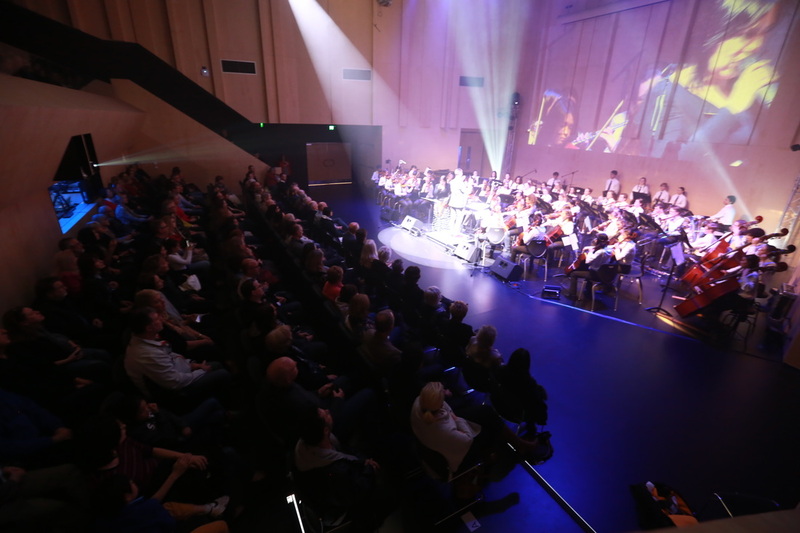 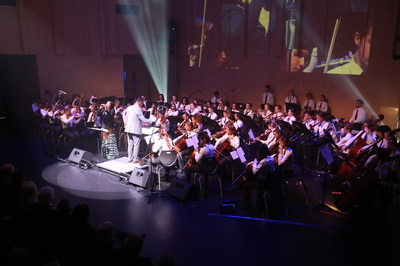 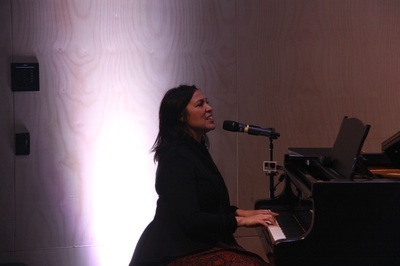 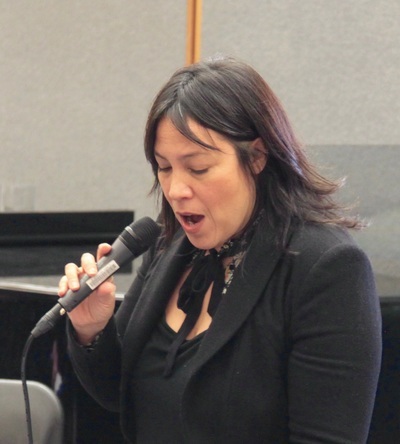 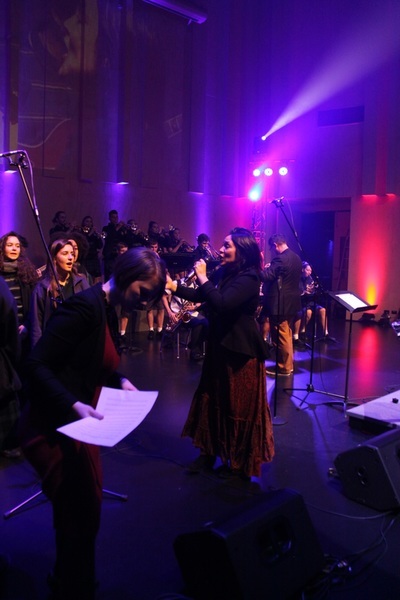 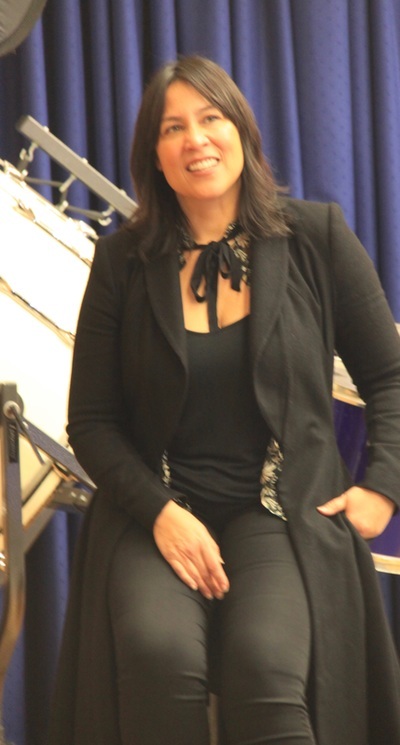 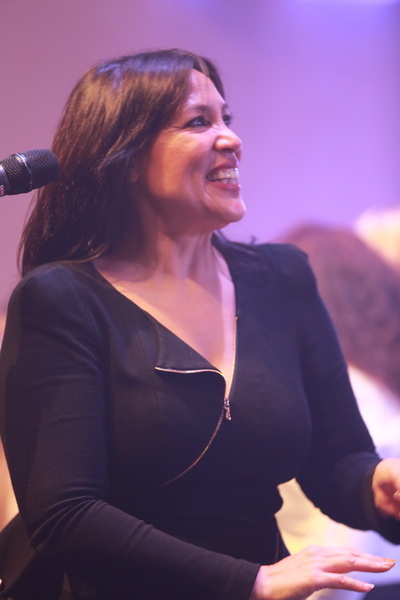 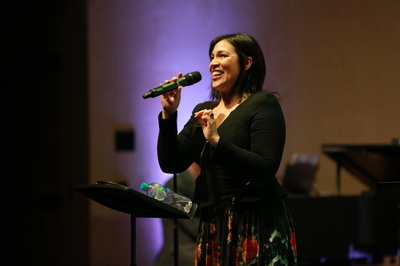 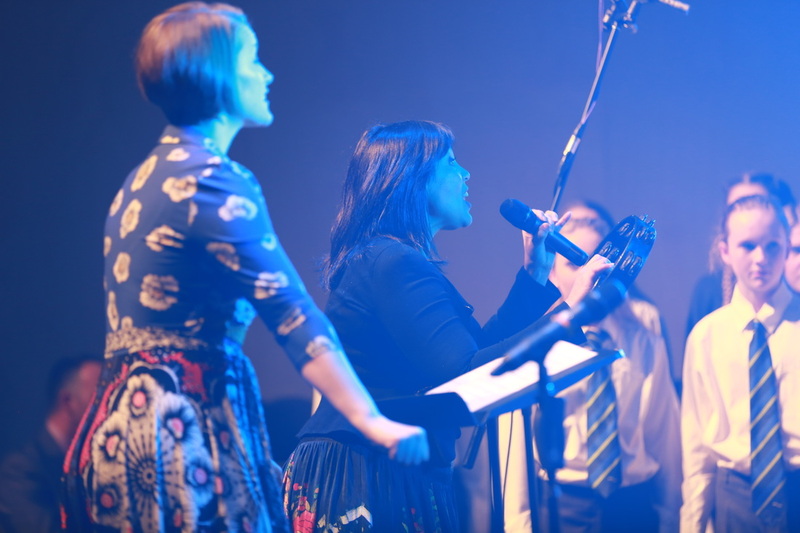 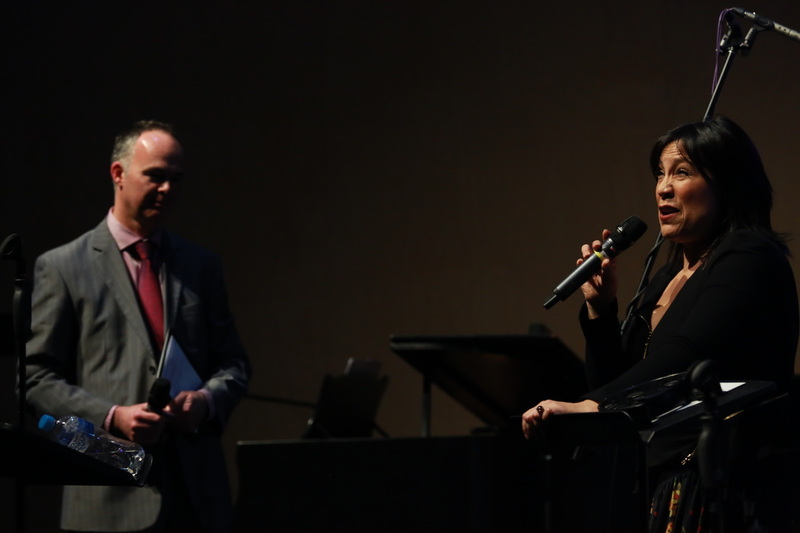 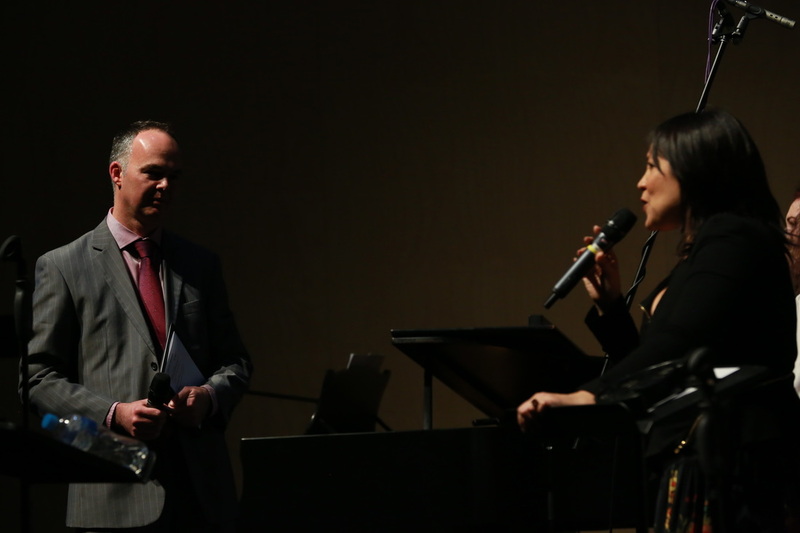 The Thursday night concert was a snapshot of the work done over the three days and reflected the warmth, contagious enthusiasm, outstanding musicianship, versatility and generosity of Kate Ceberano. 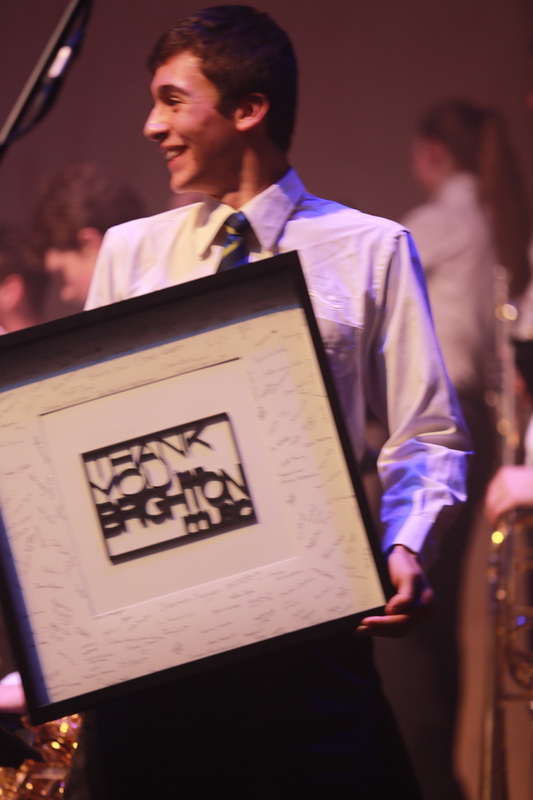 We were all left feeling extremely grateful to have experienced such an amazing and unforgettable opportunity. 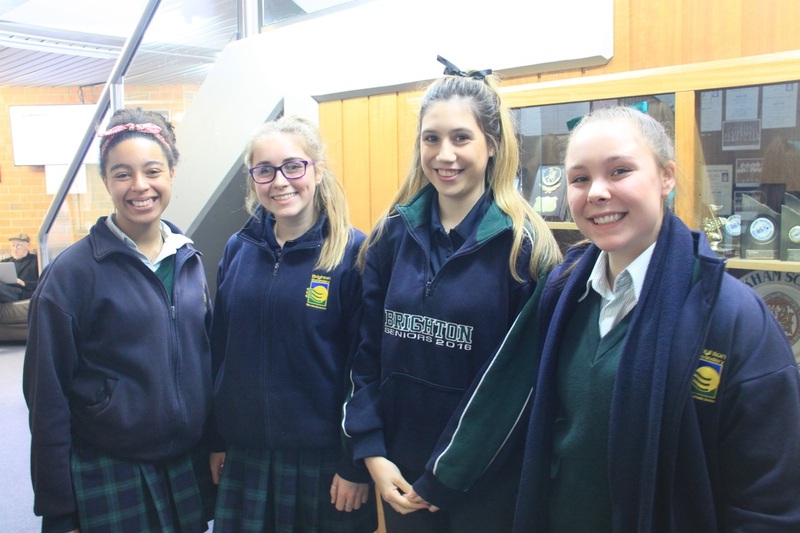 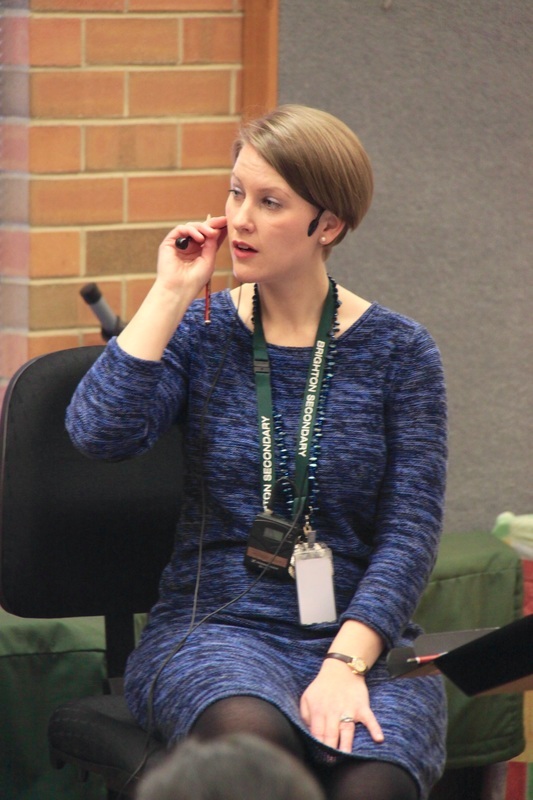 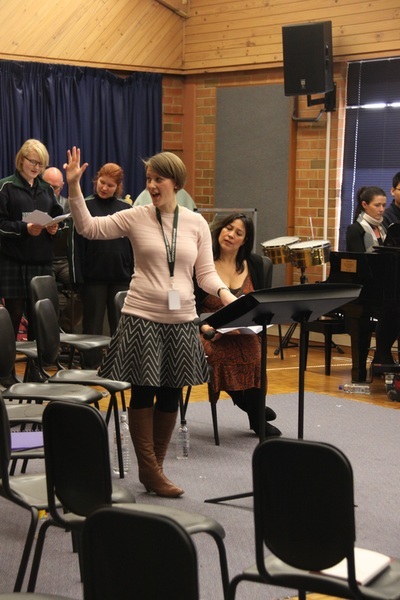 Special thanks to the Music Parents Support Group for their tireless fundraising efforts. 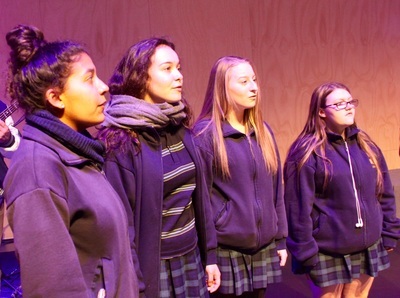 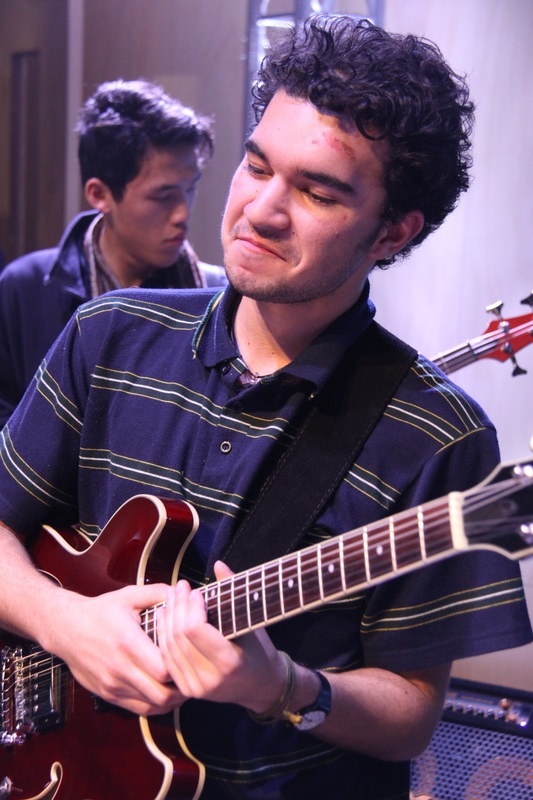 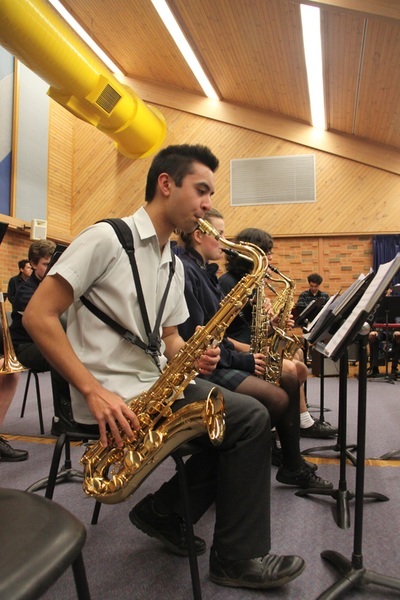 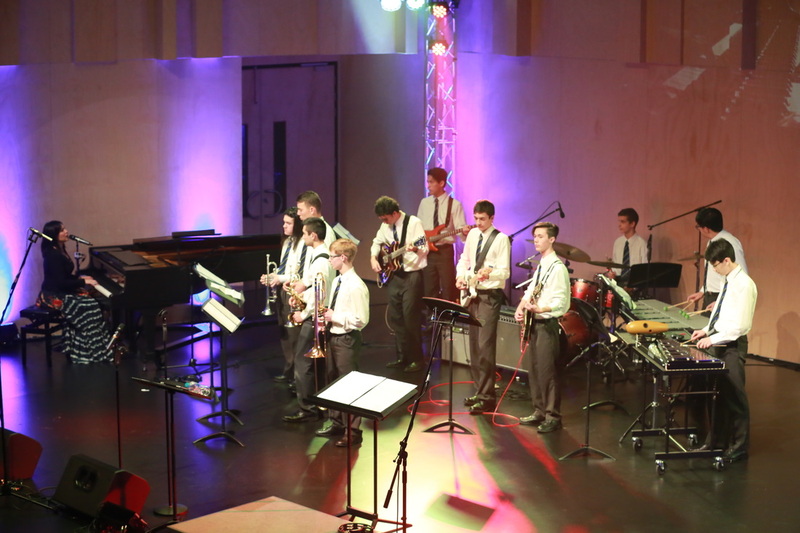 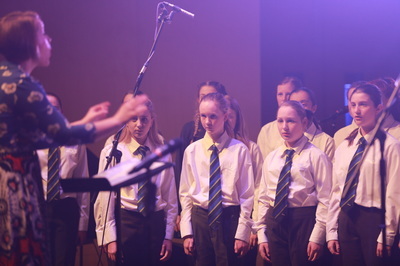 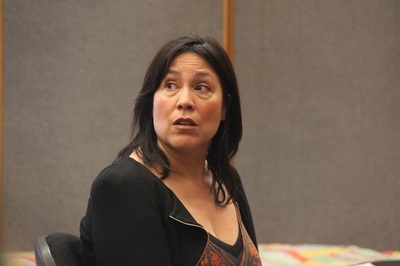 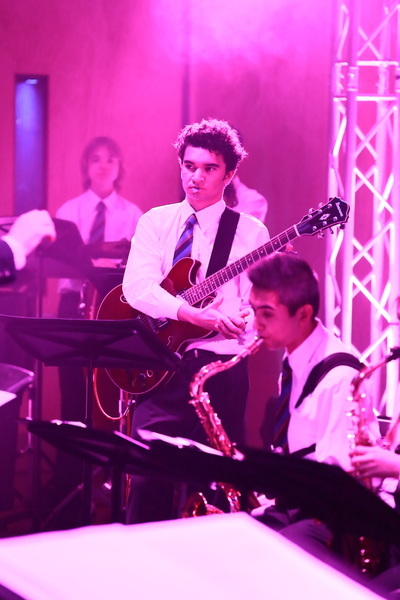 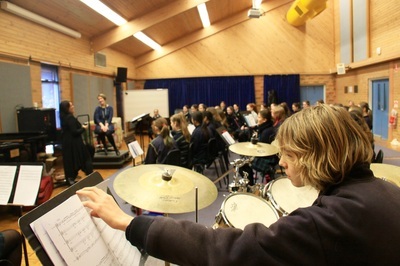 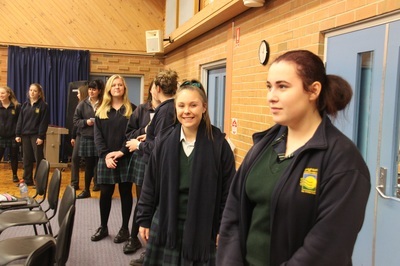 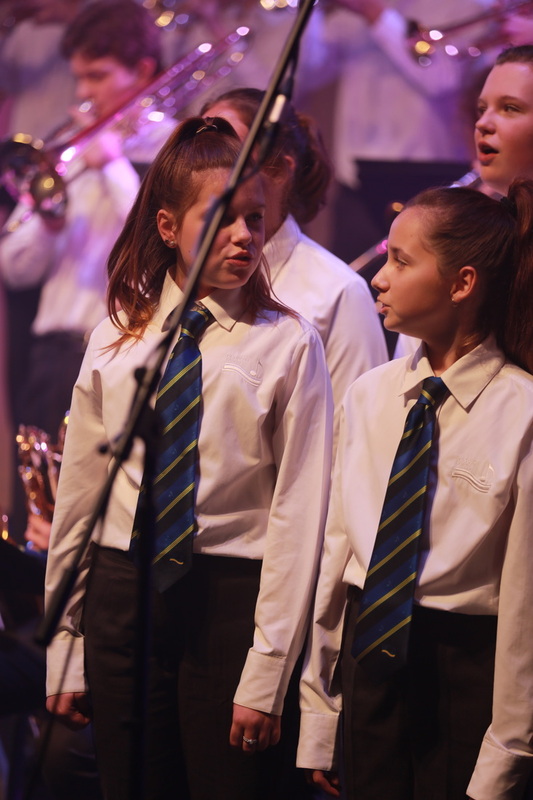 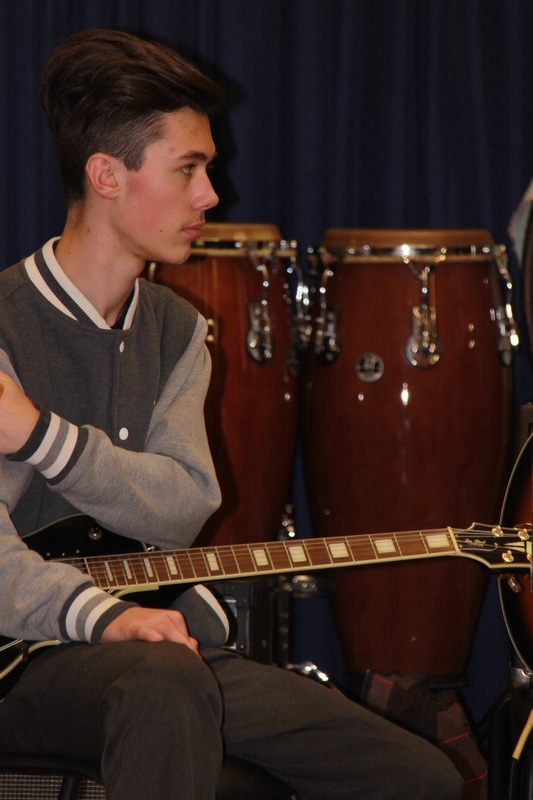 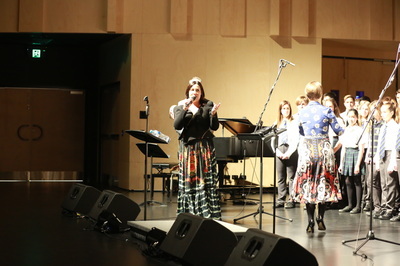 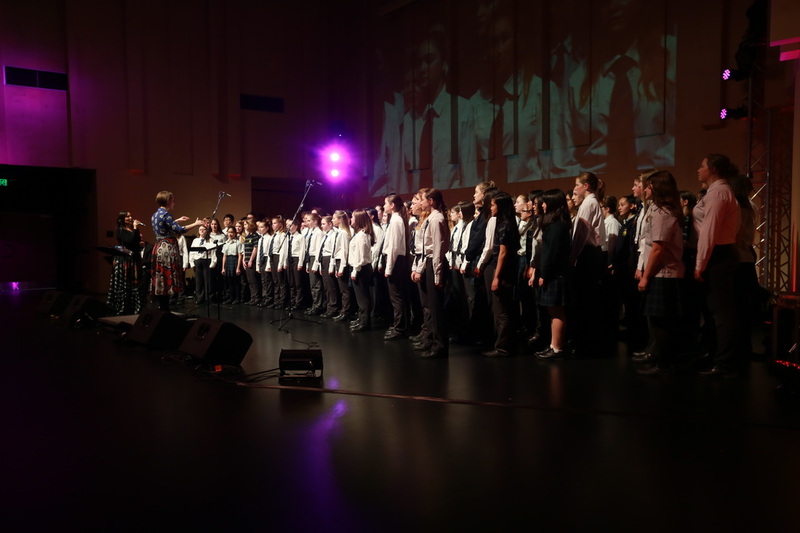 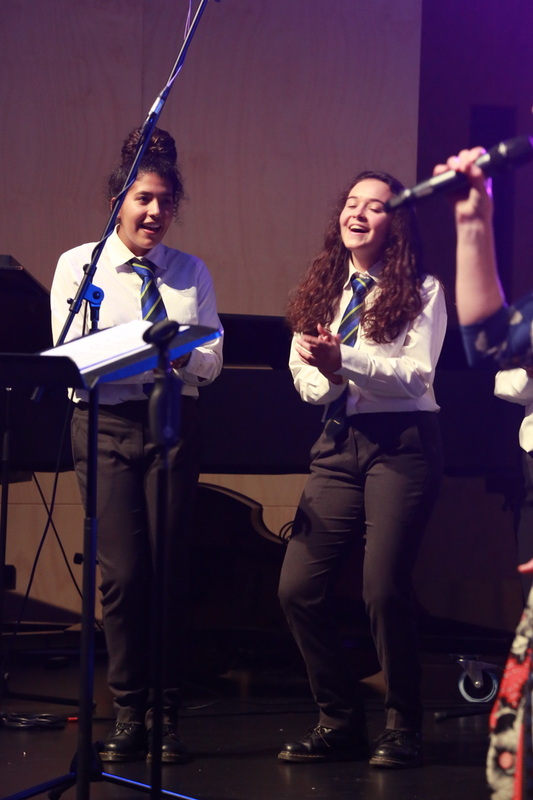 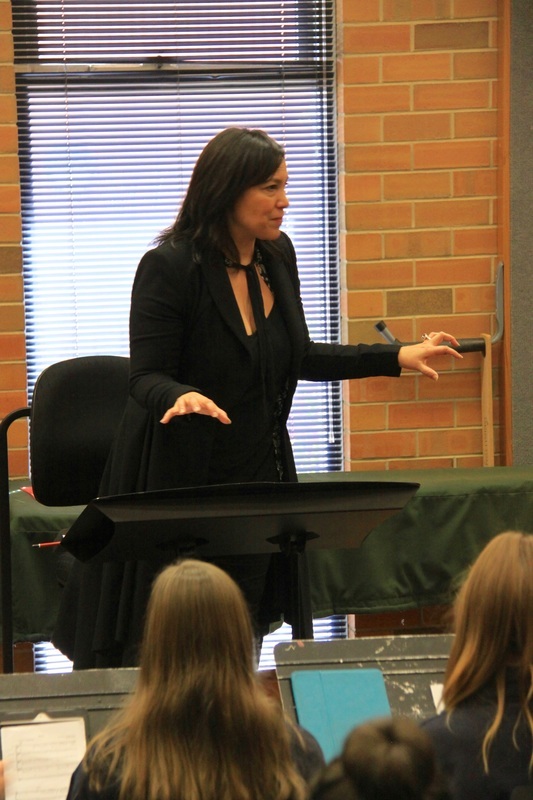 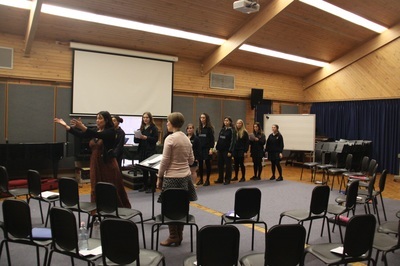 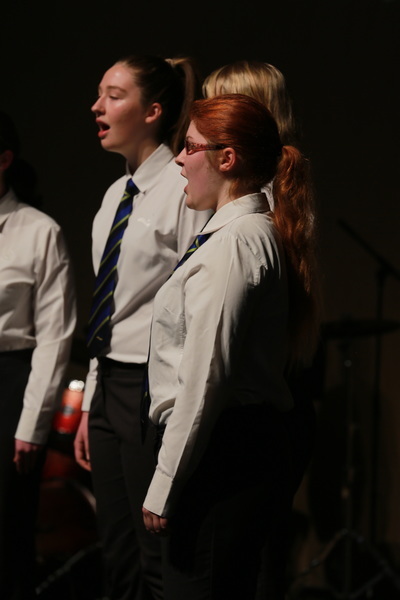 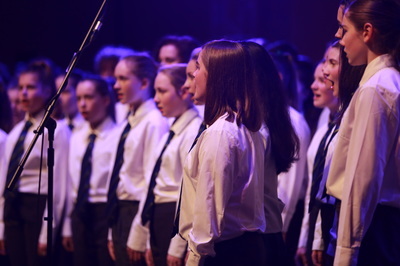 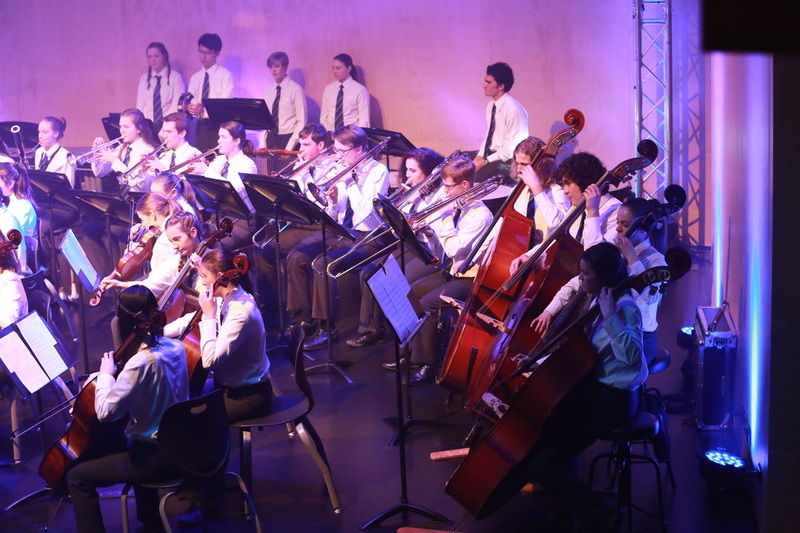 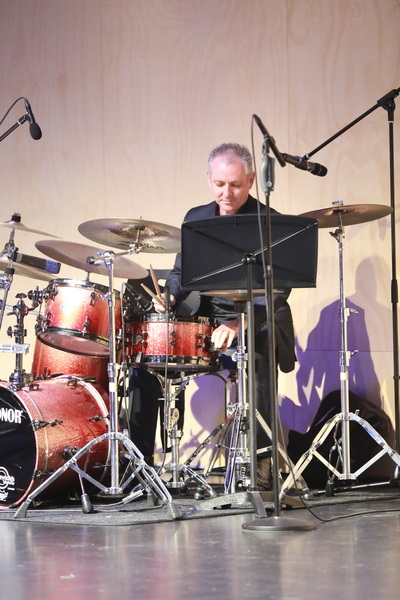 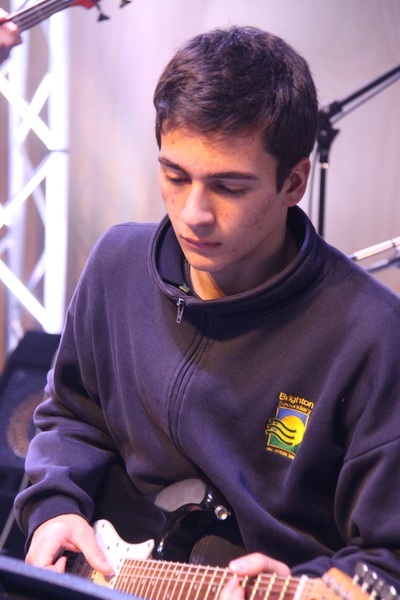 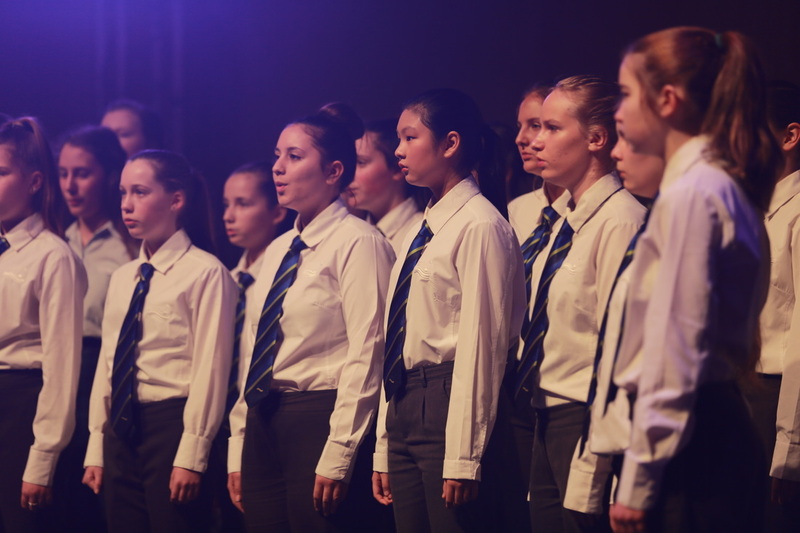 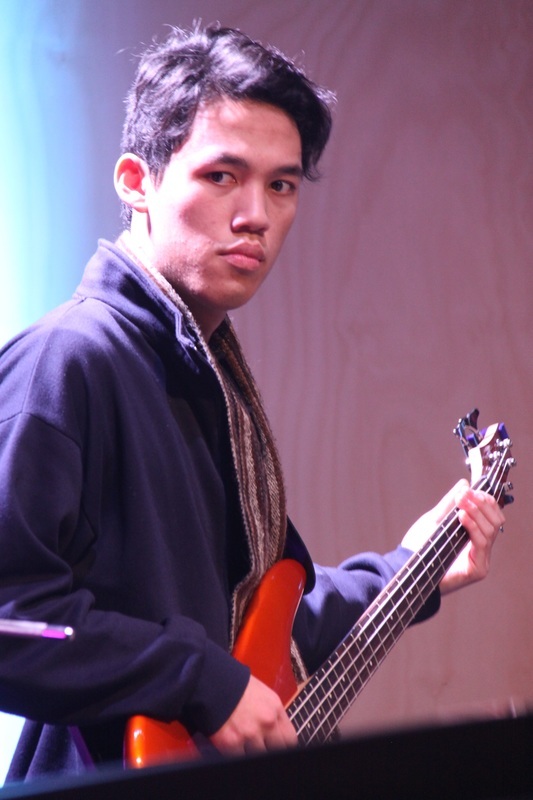 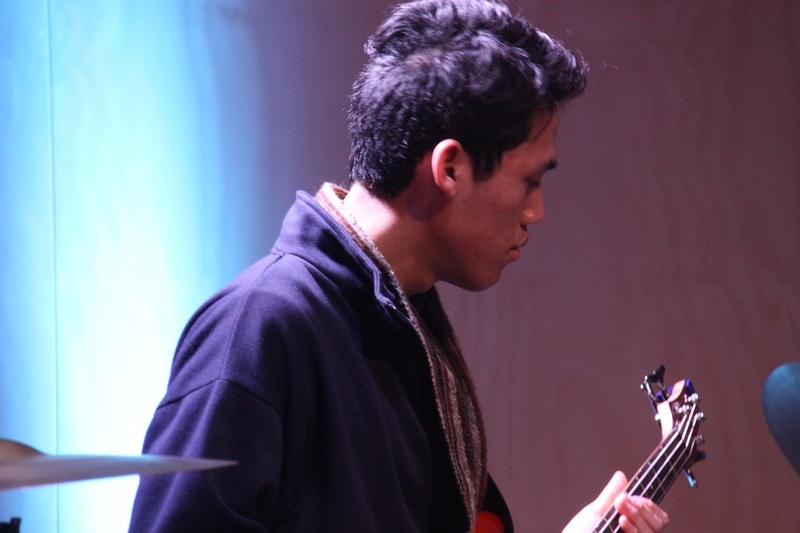 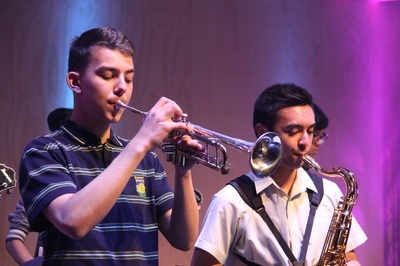 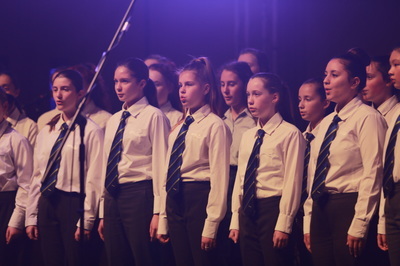 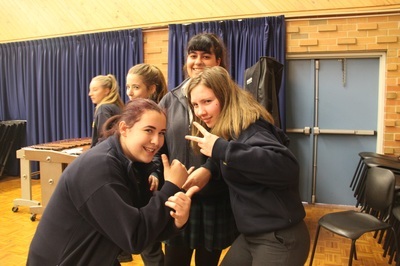 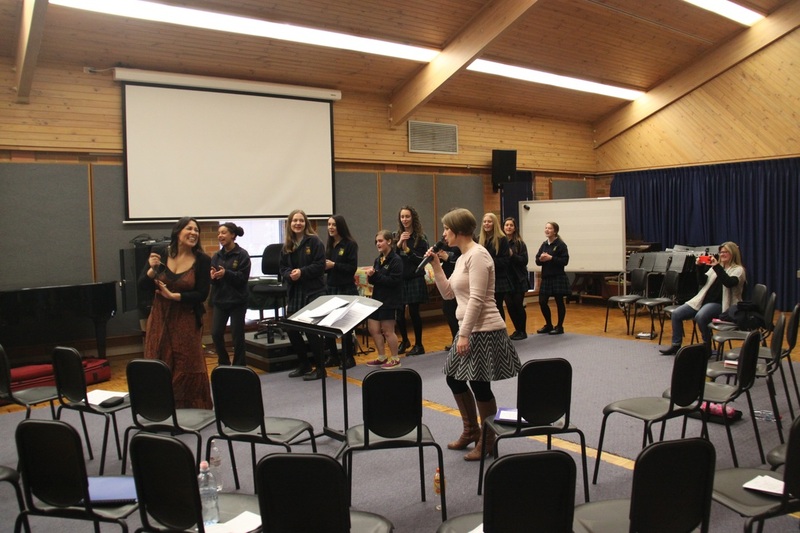 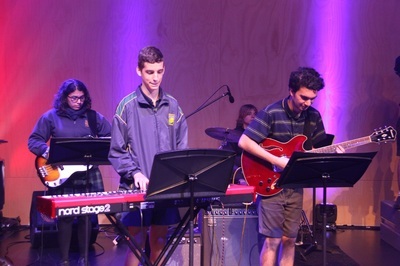 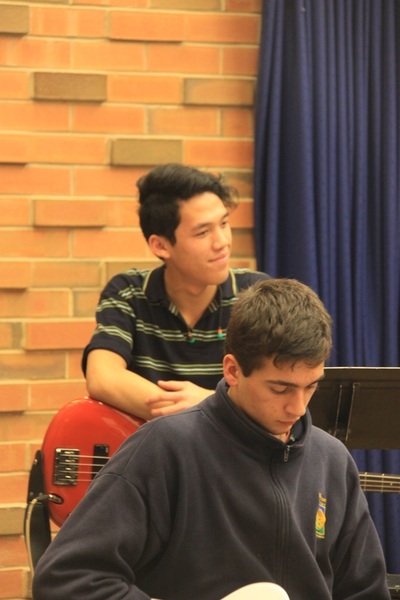 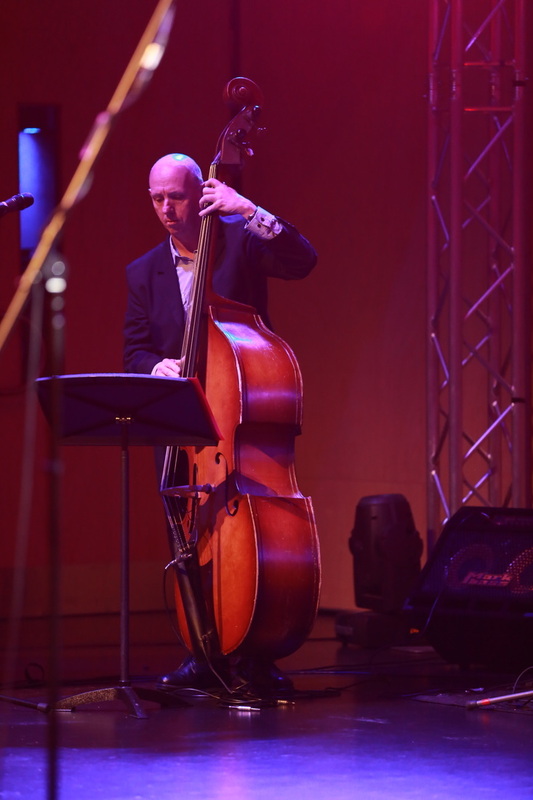 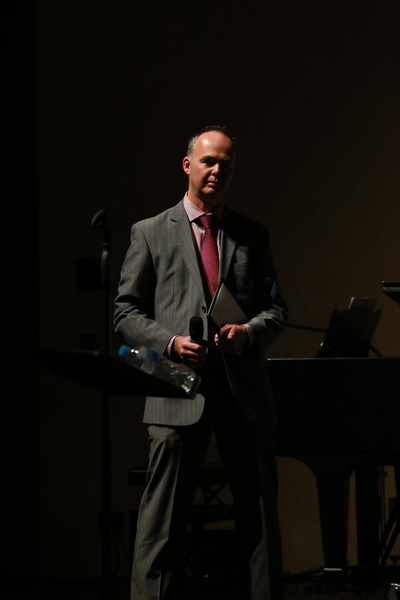 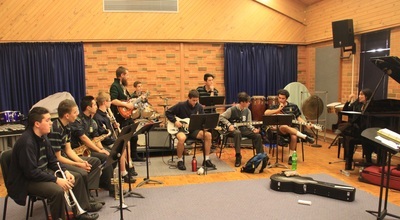 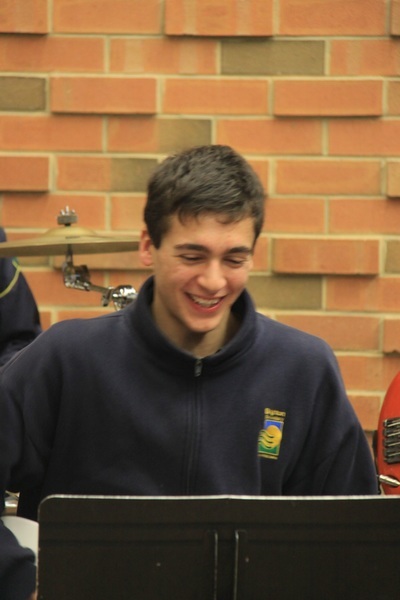 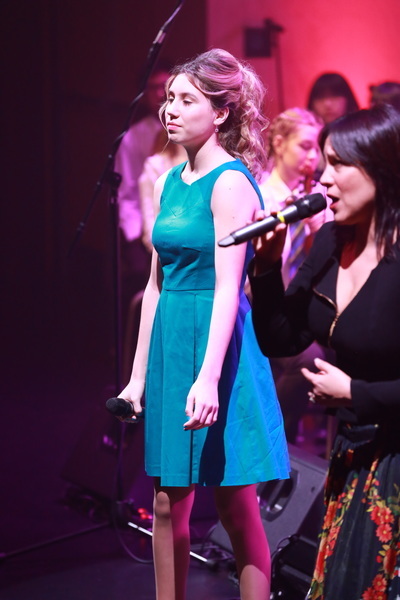 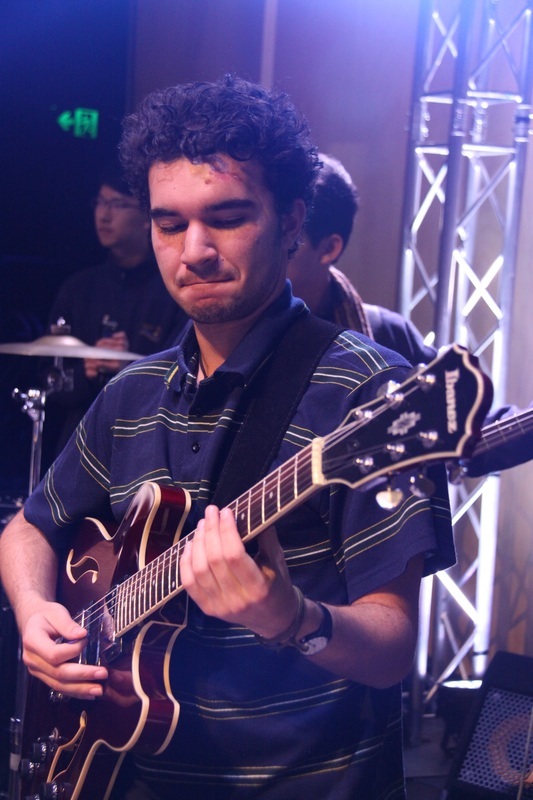 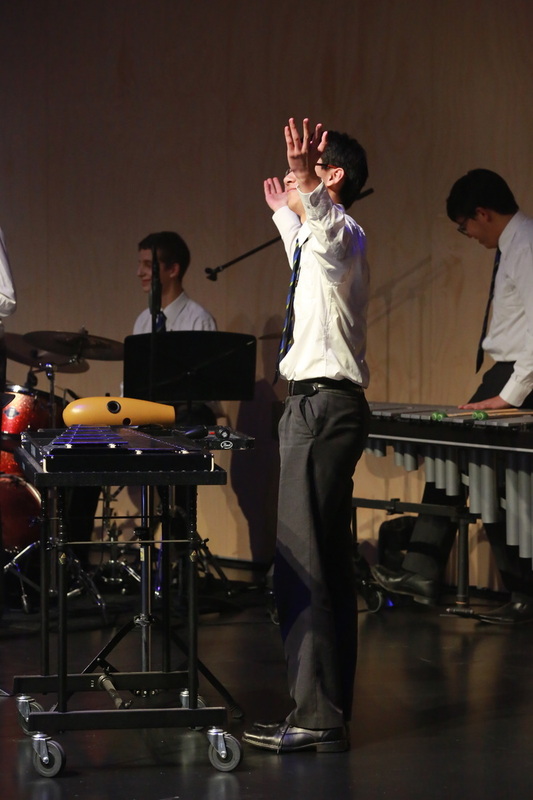 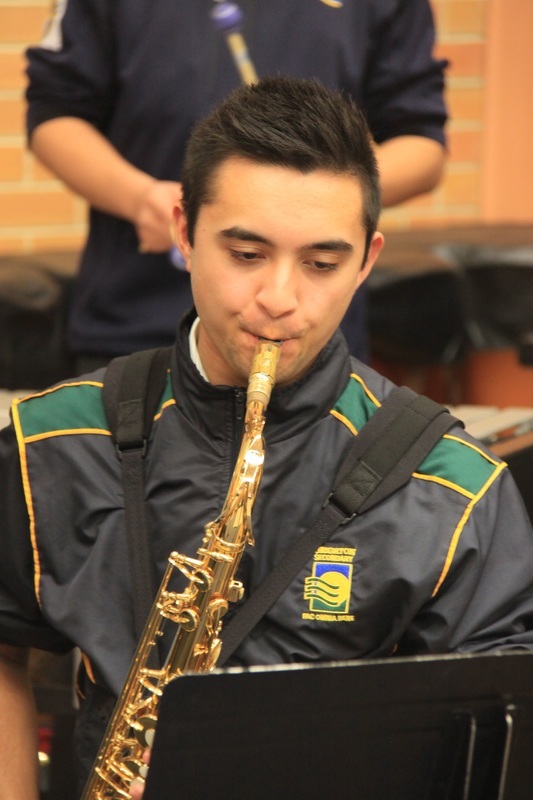 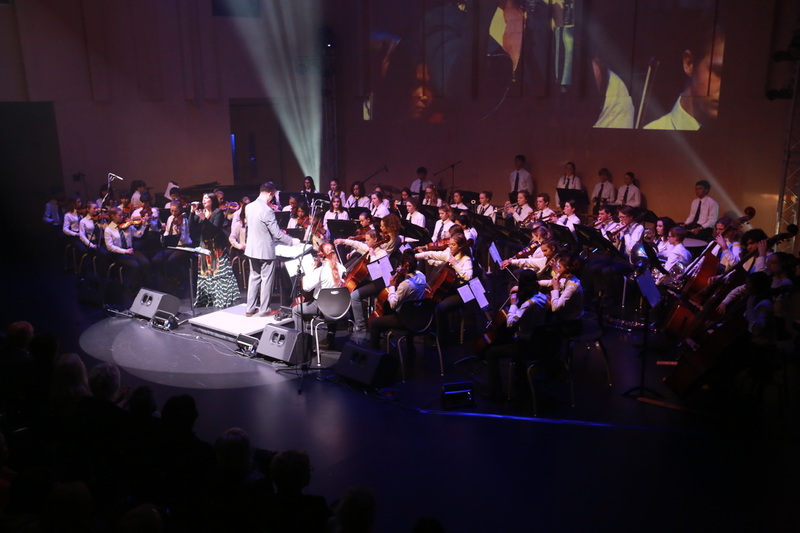 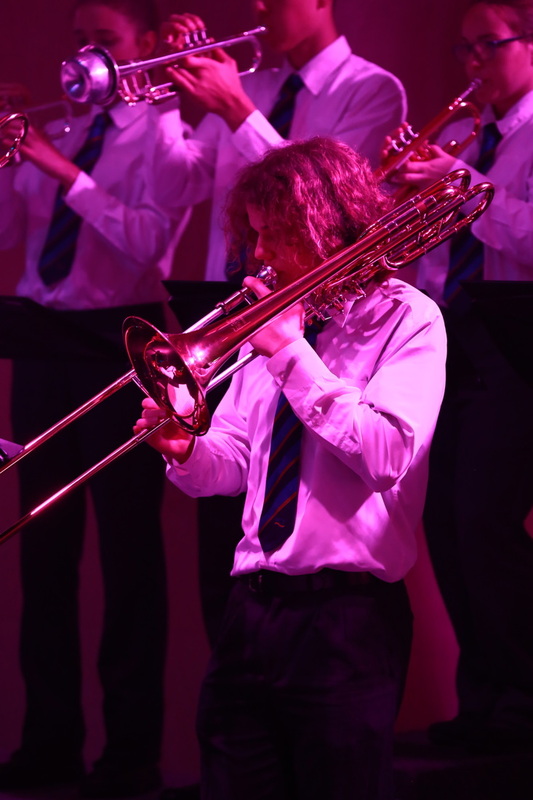 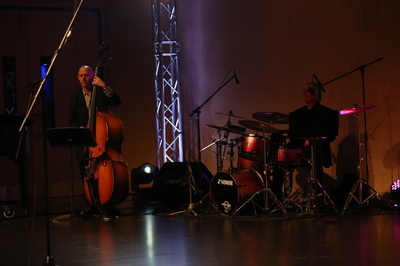 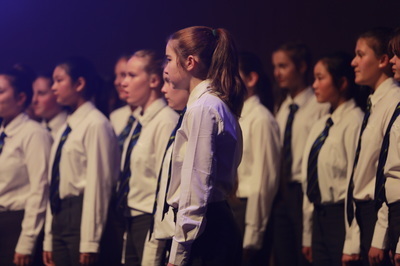 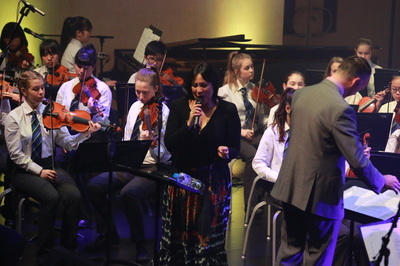 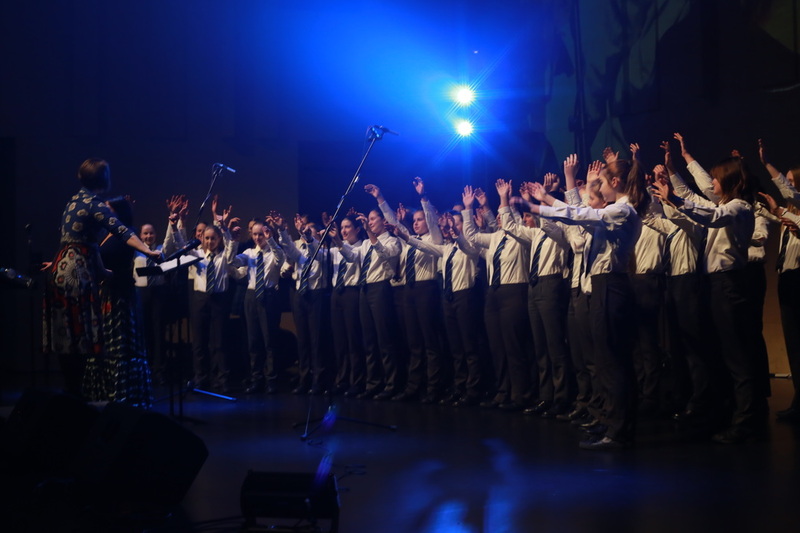 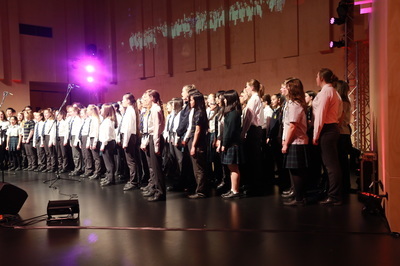 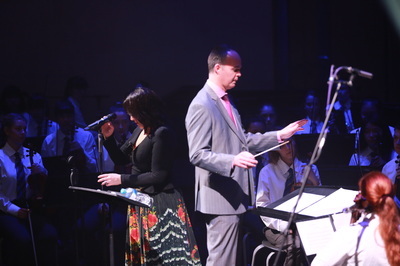 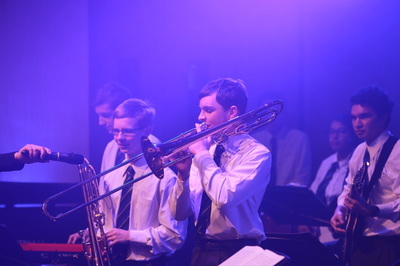 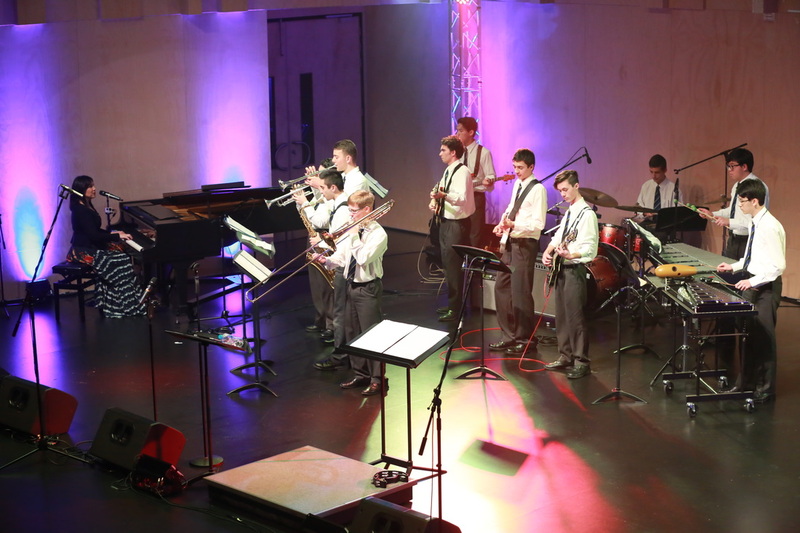 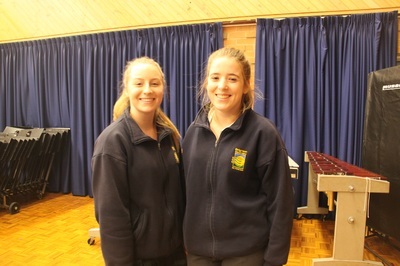 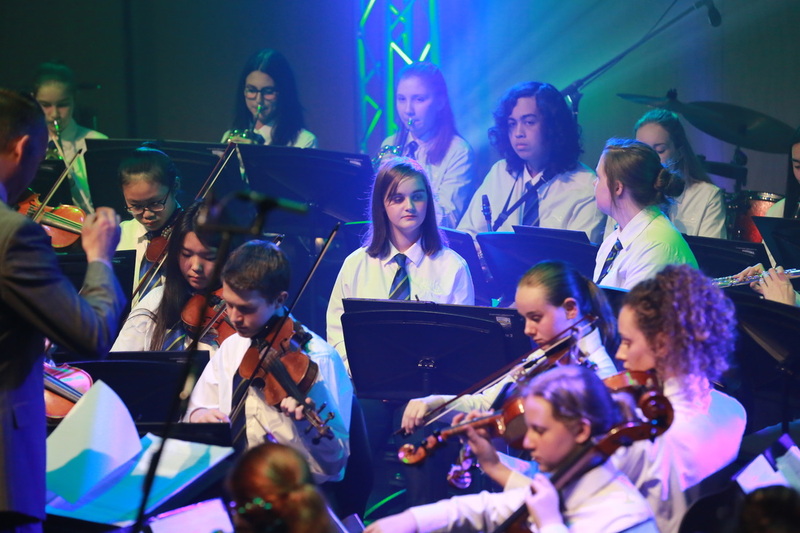 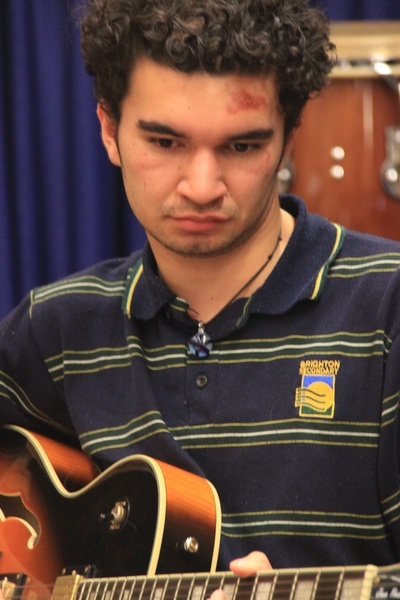 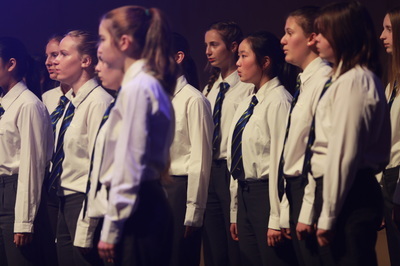 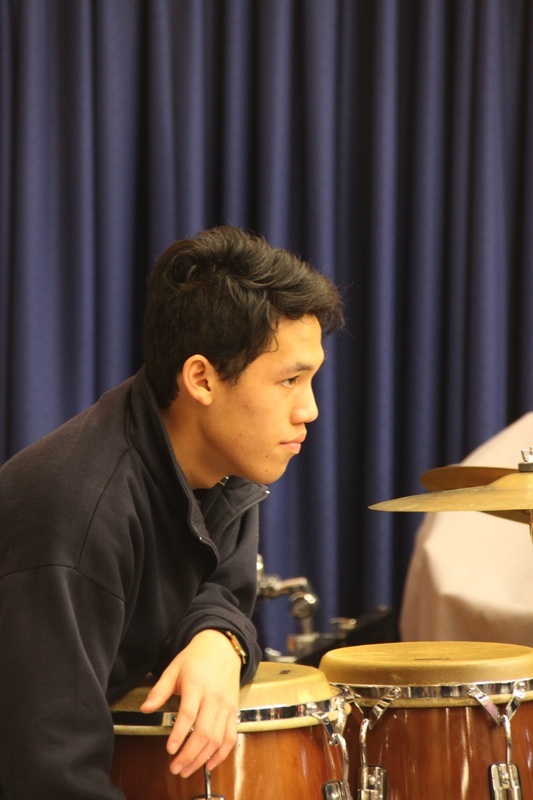 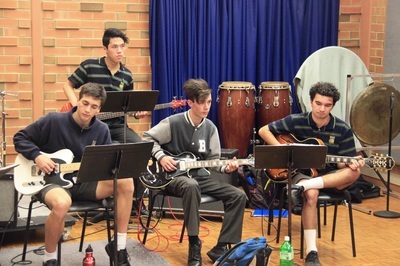 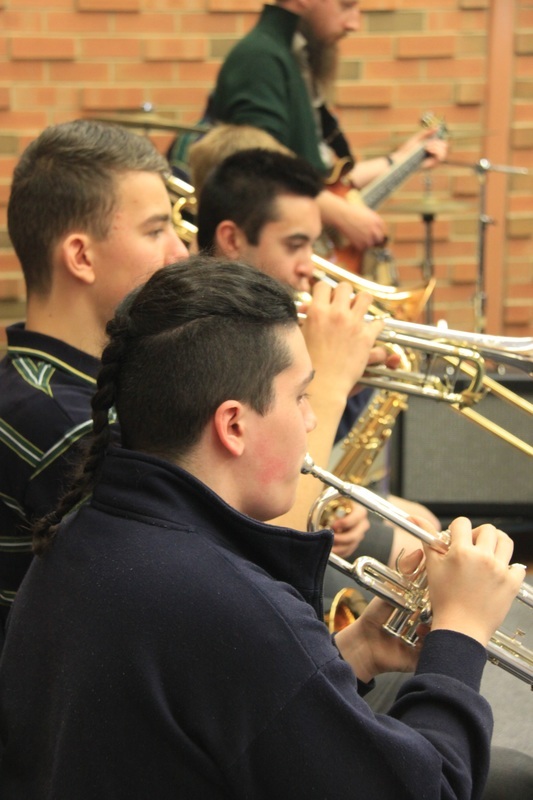 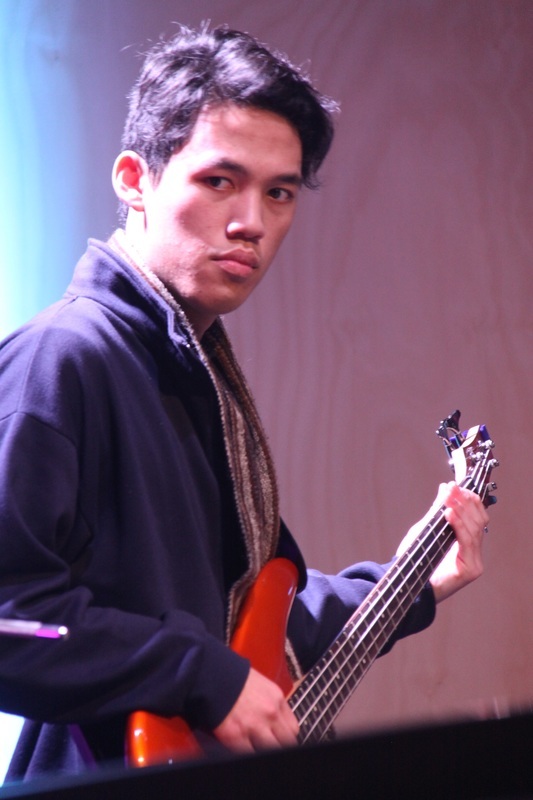 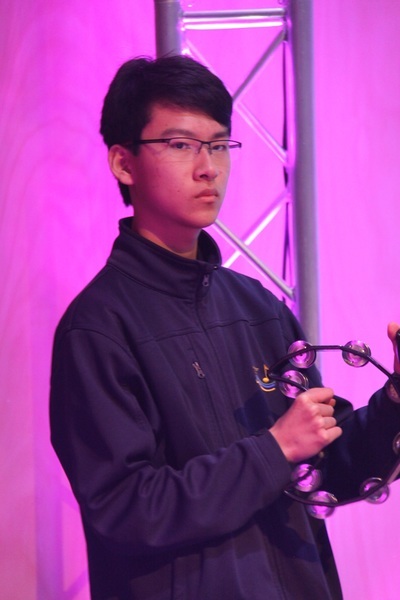 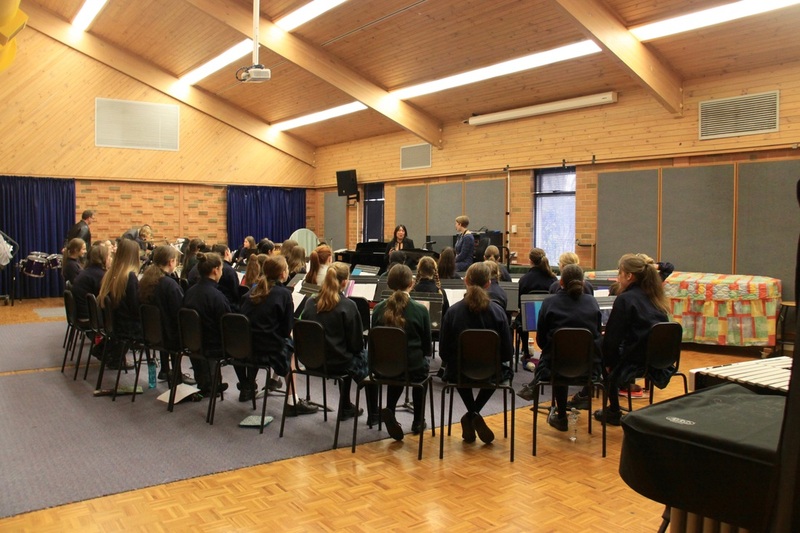 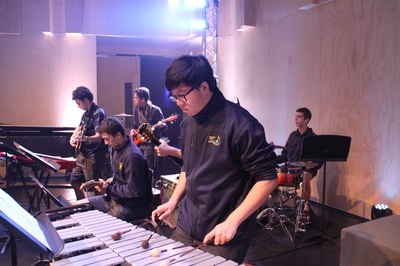 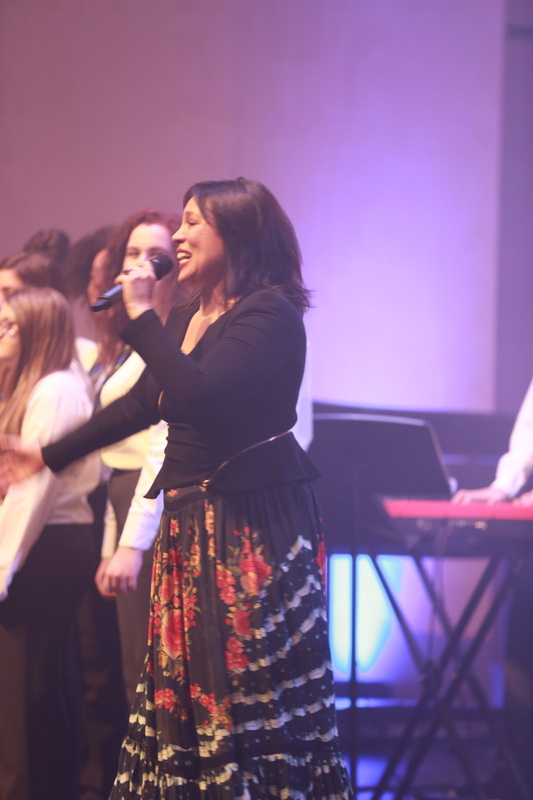 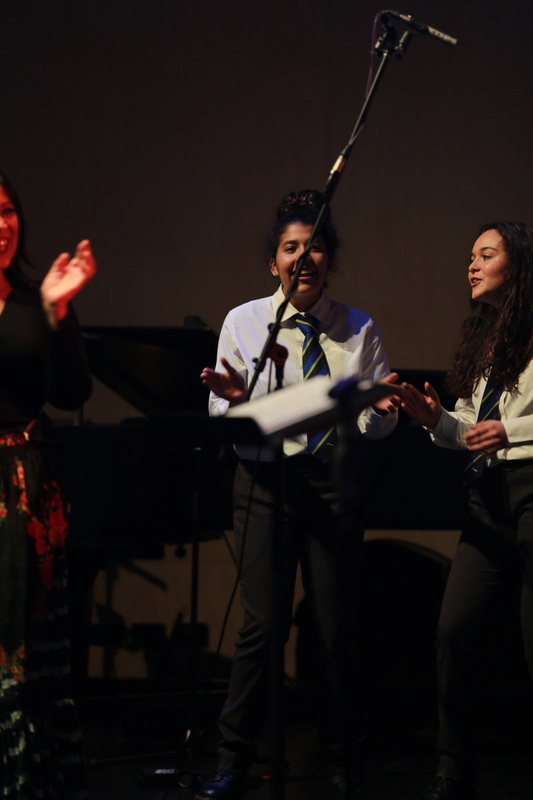 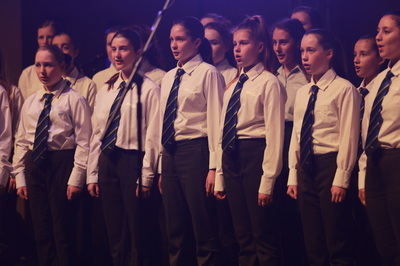 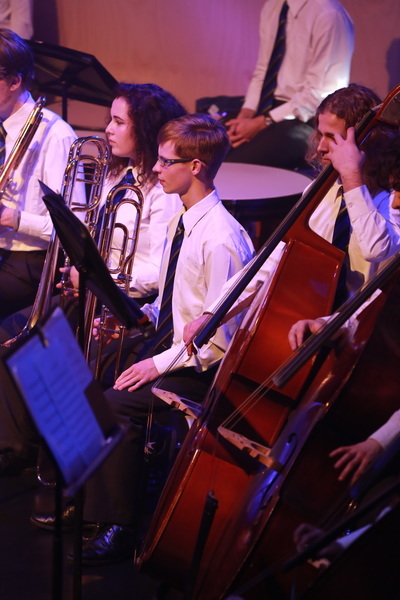 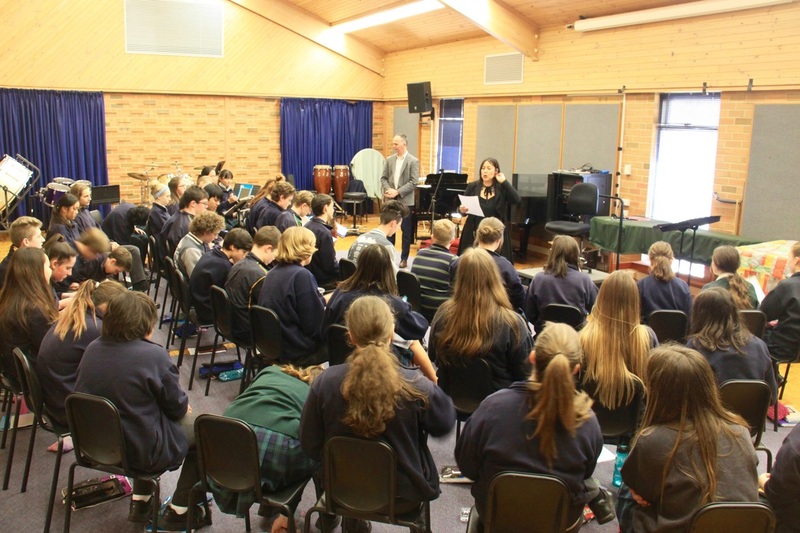 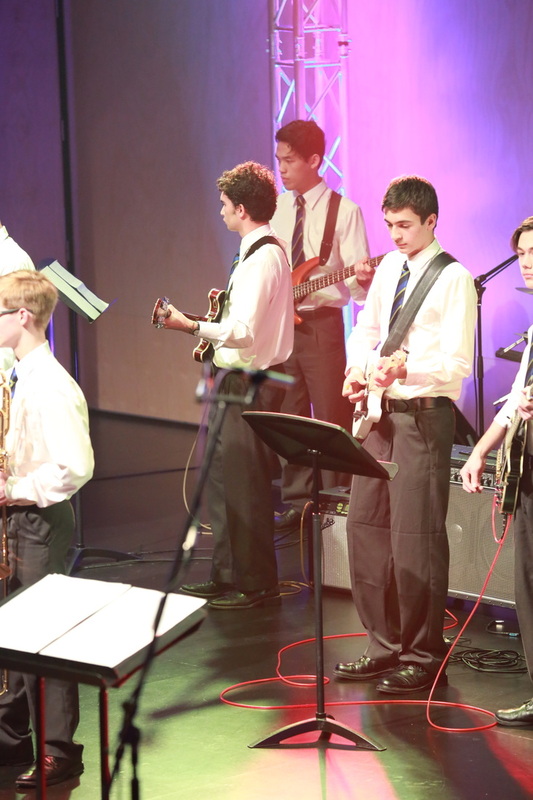 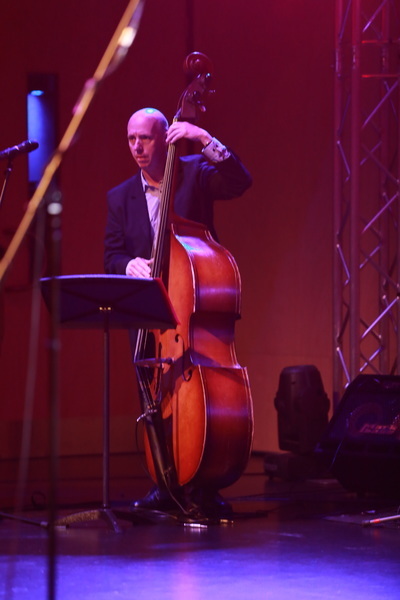 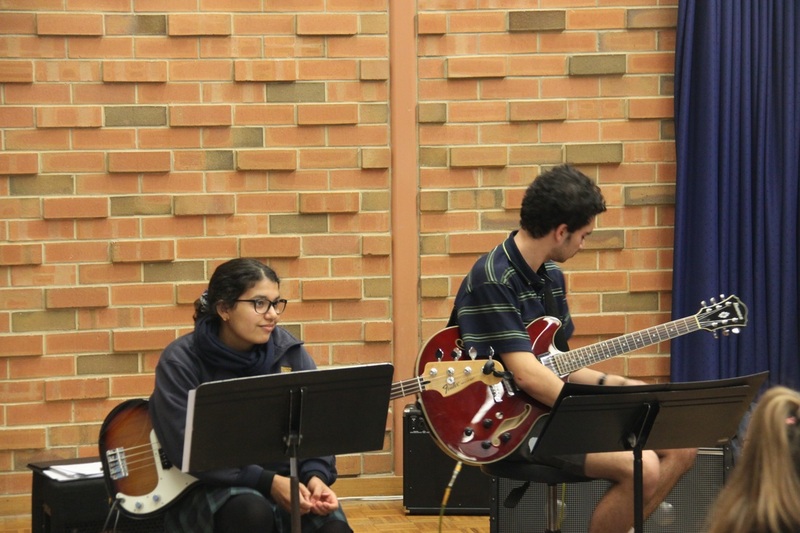 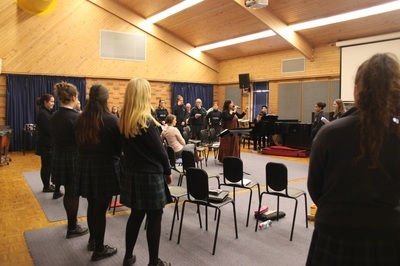 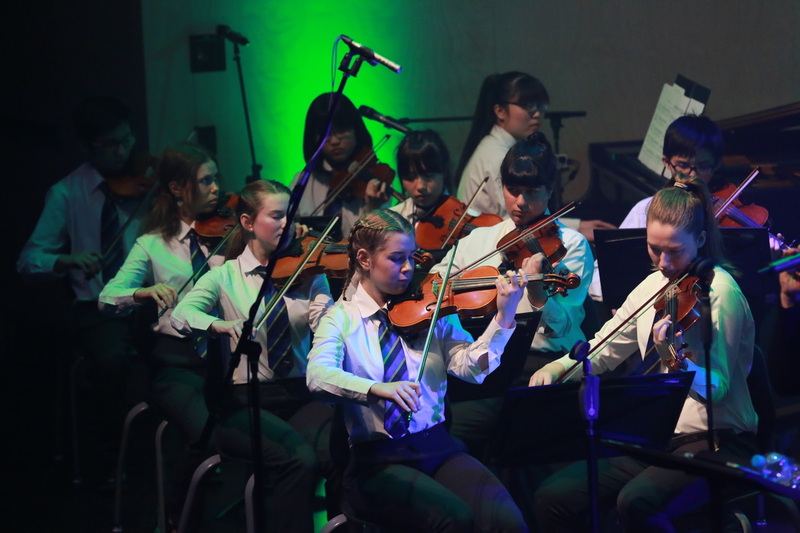 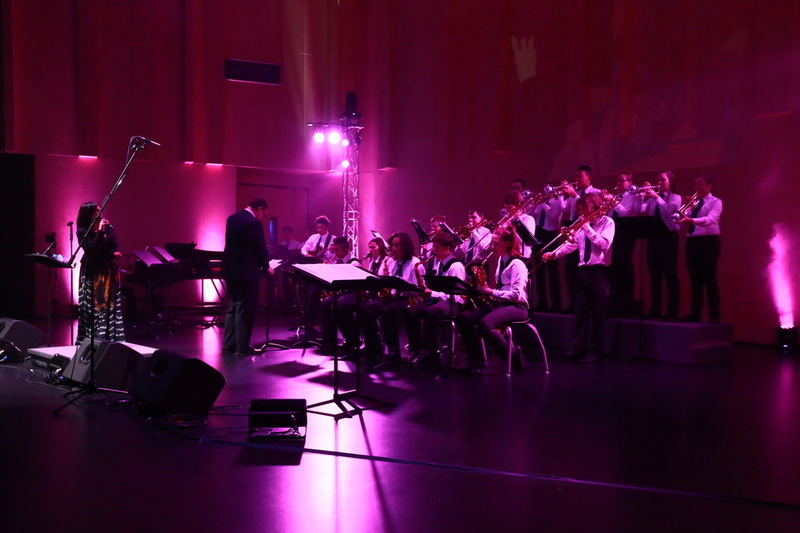 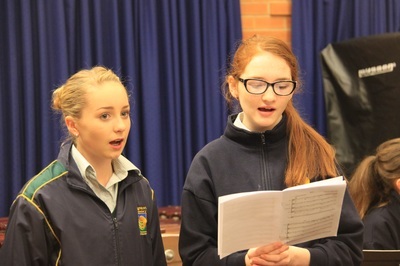 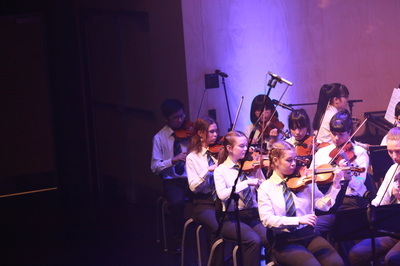 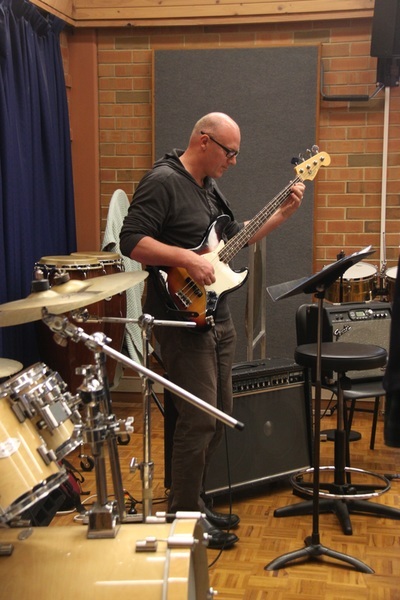 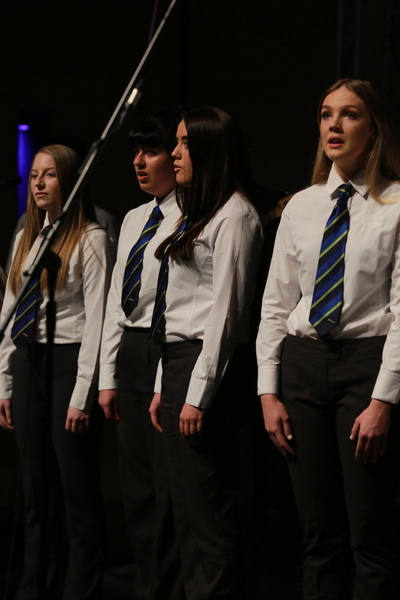 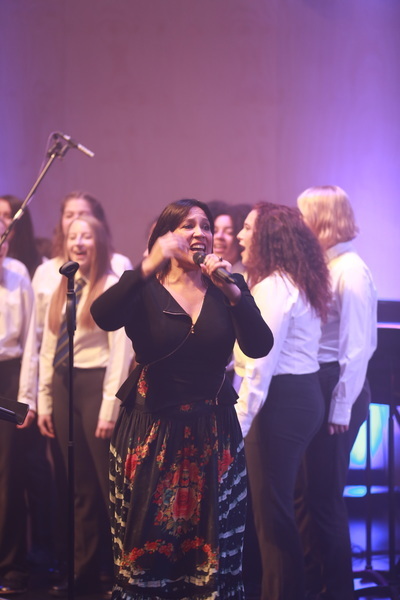 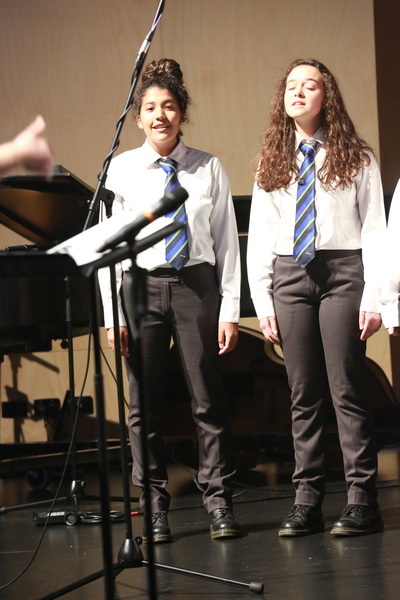 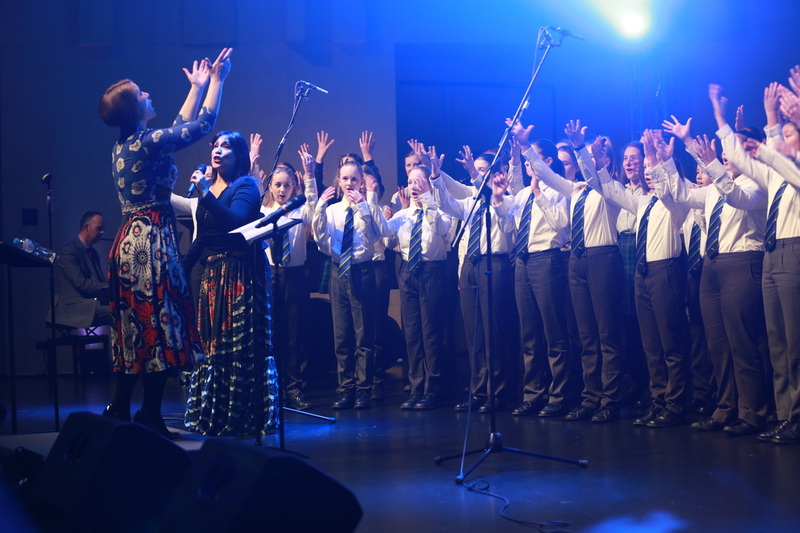 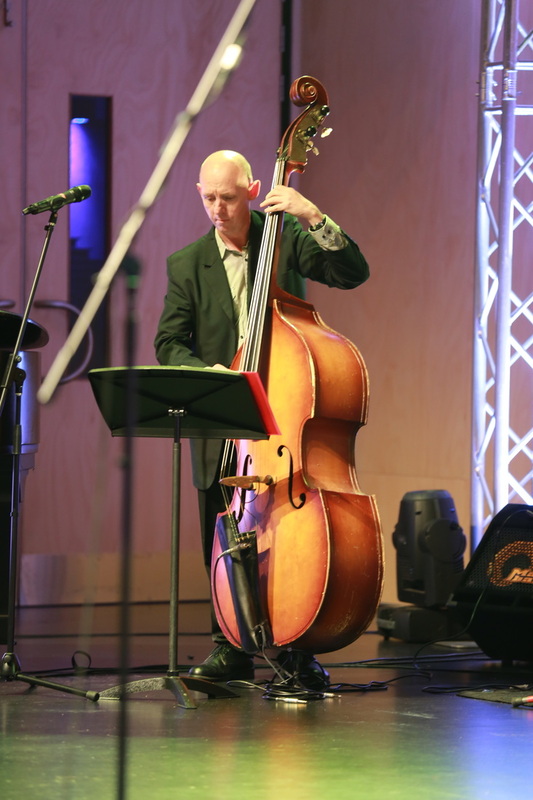 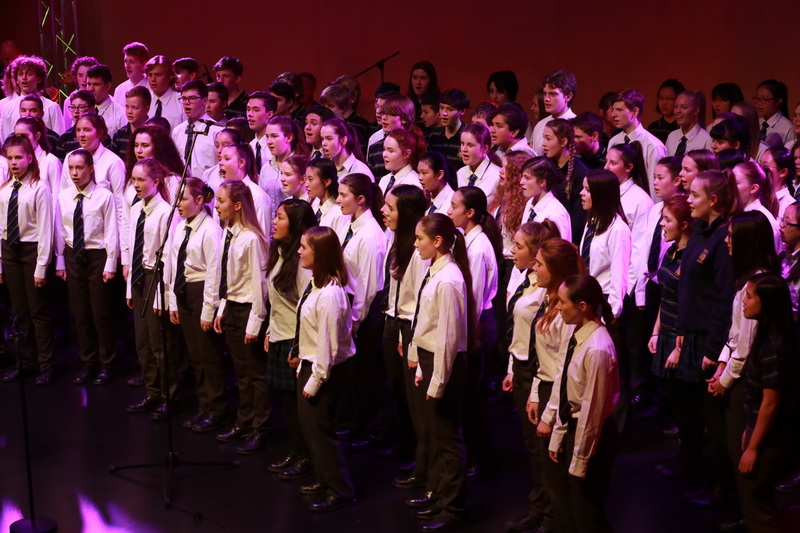 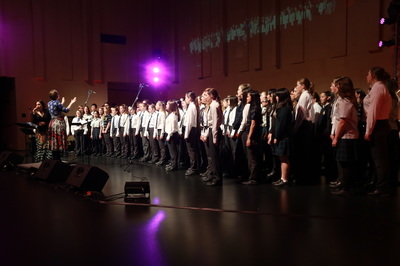 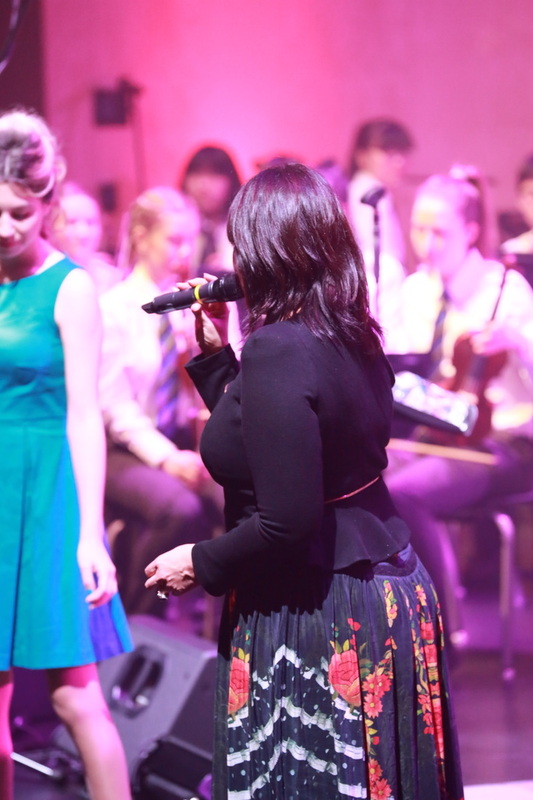 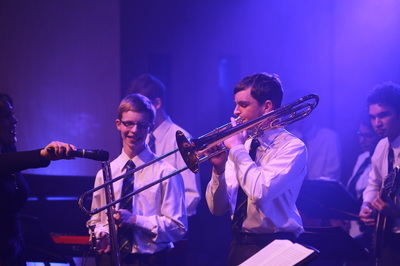 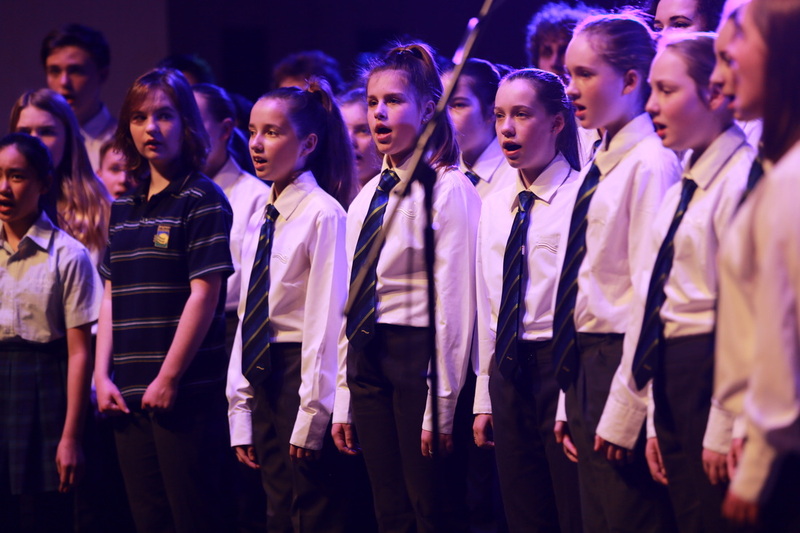 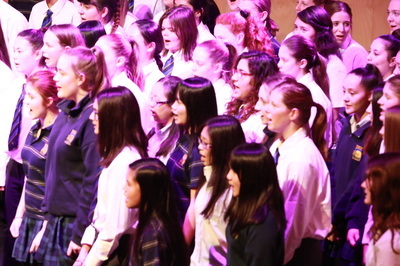 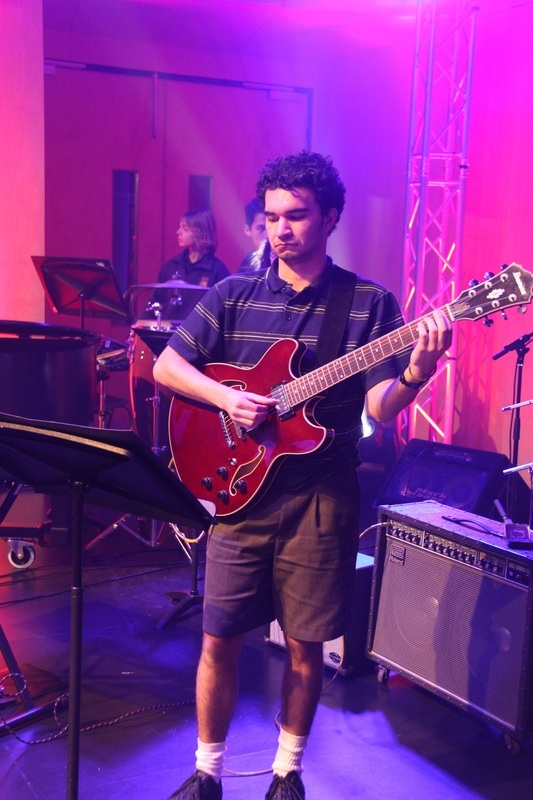 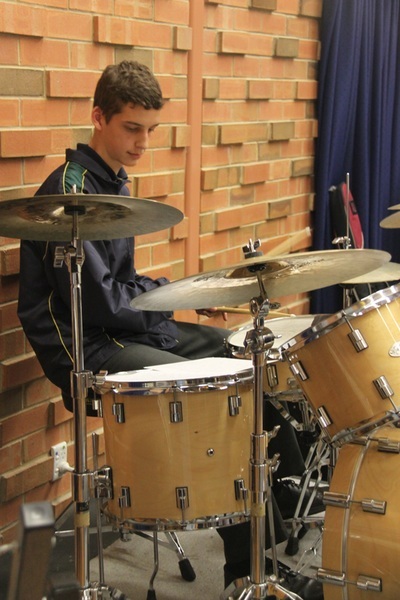 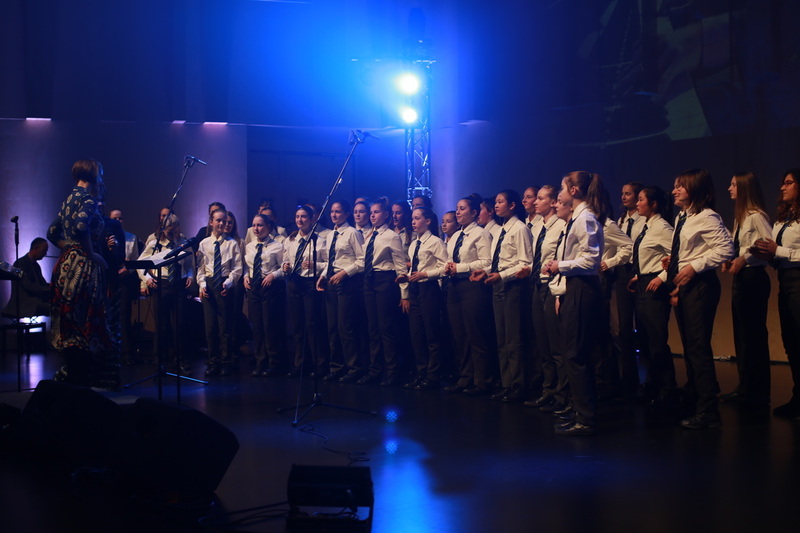 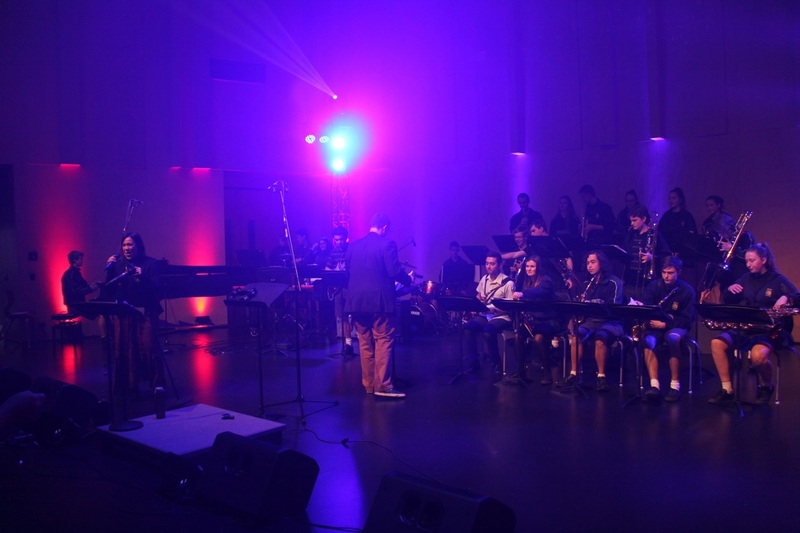 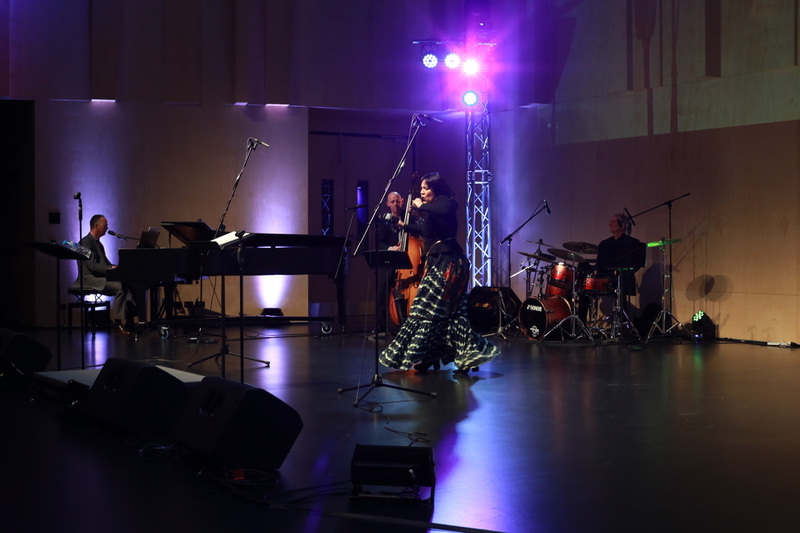 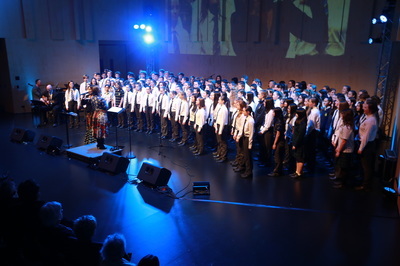 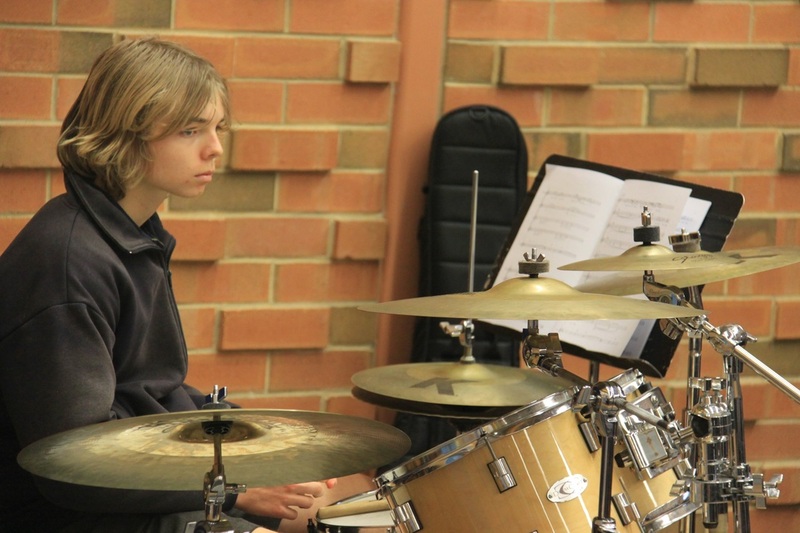 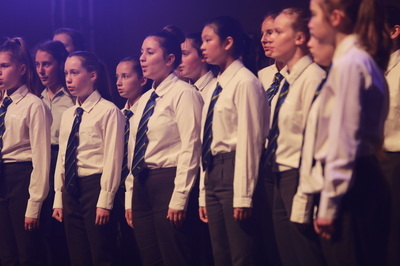 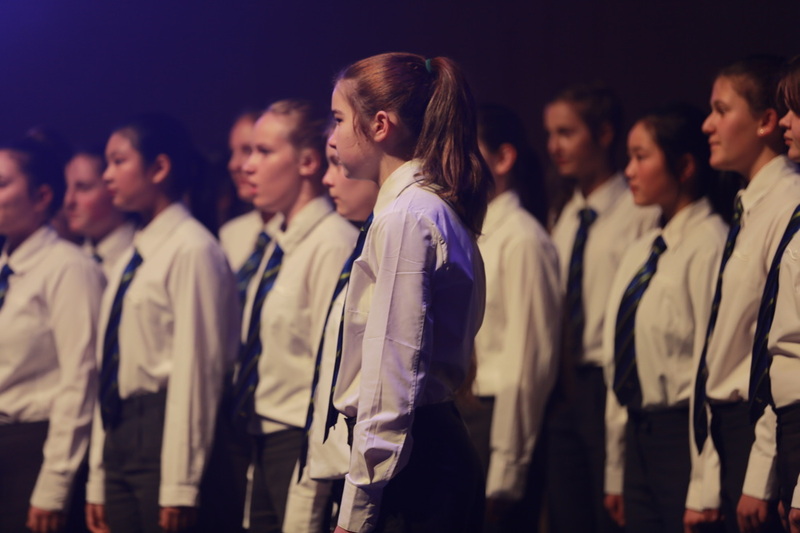 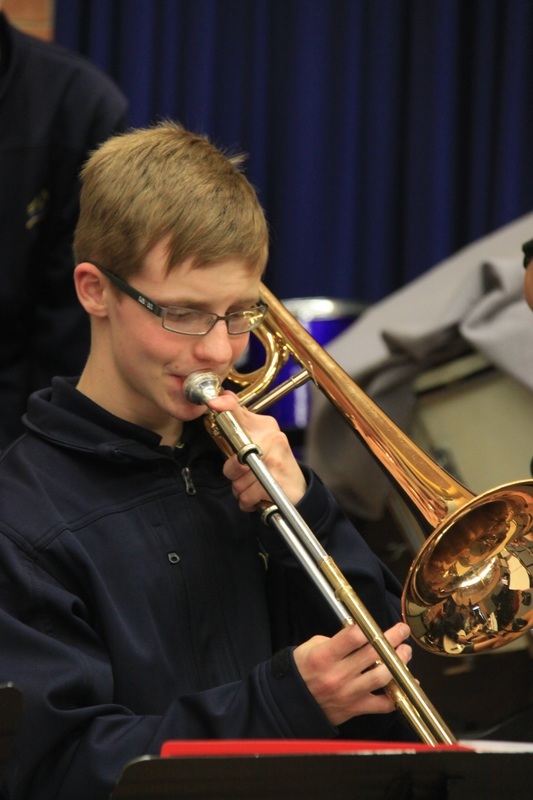 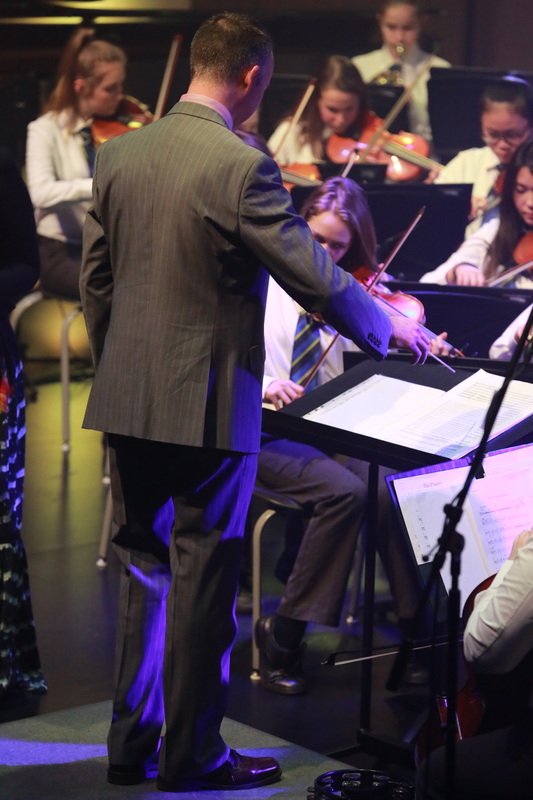 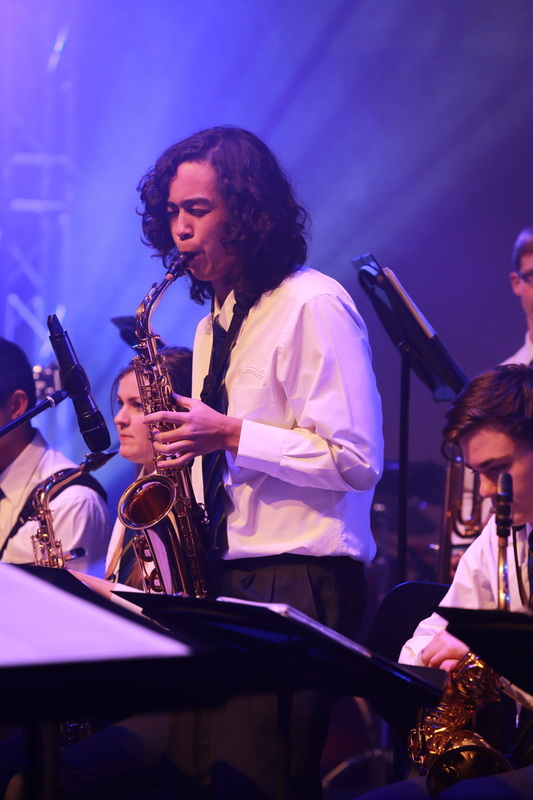 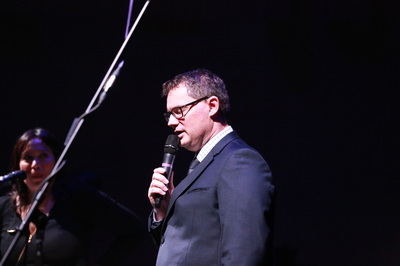 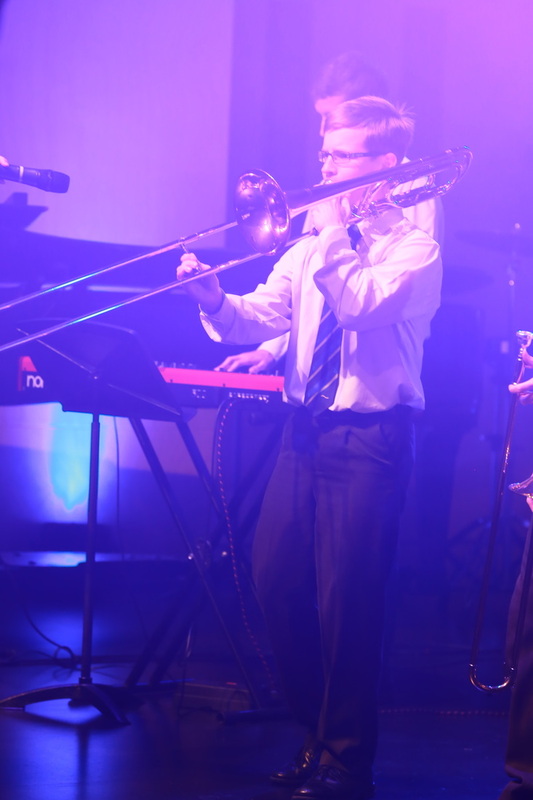 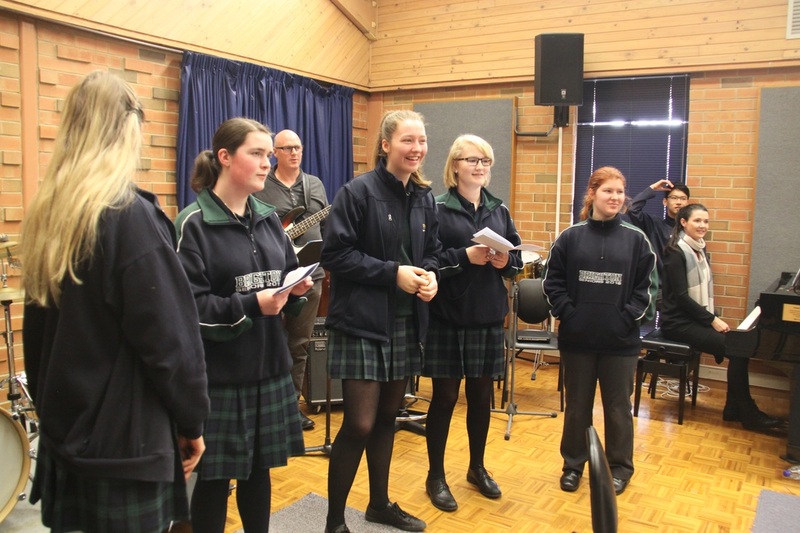 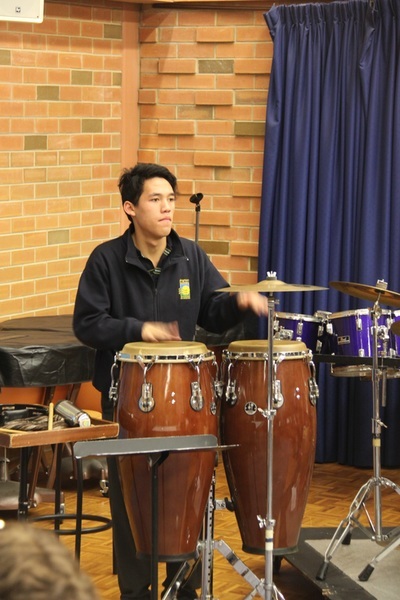 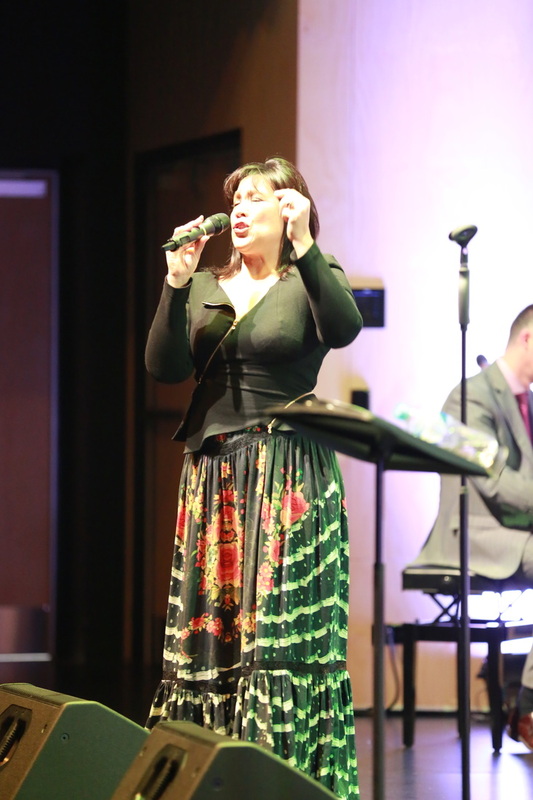 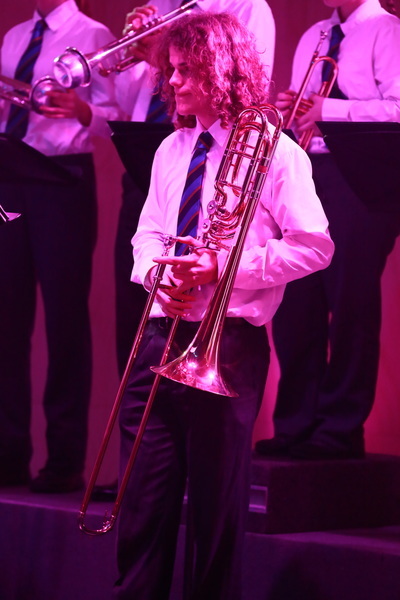 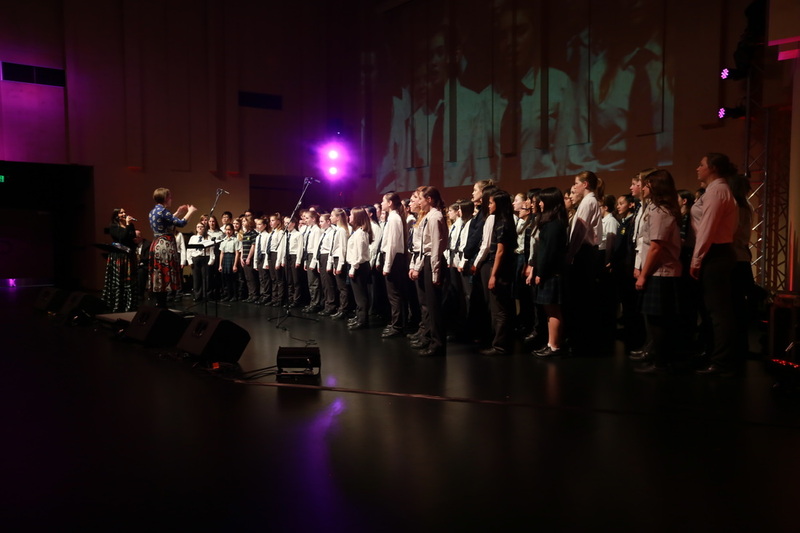 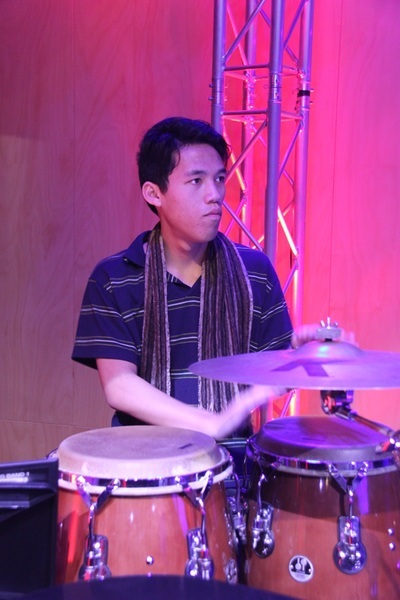 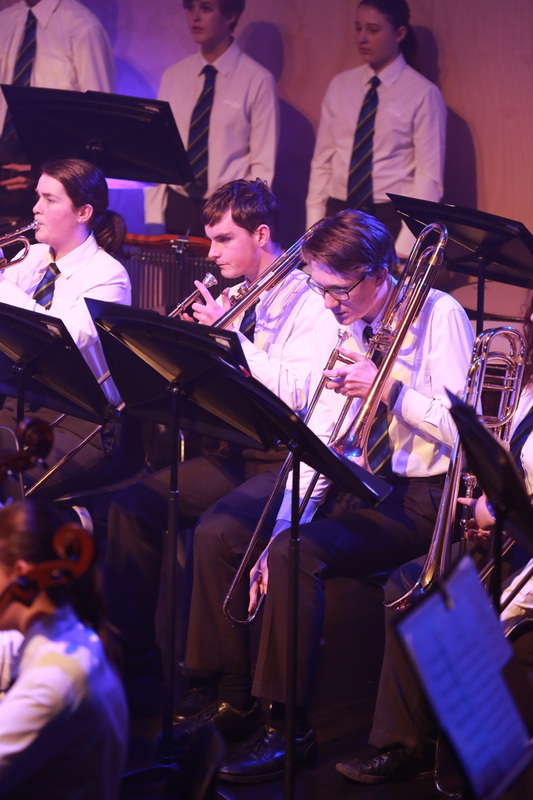 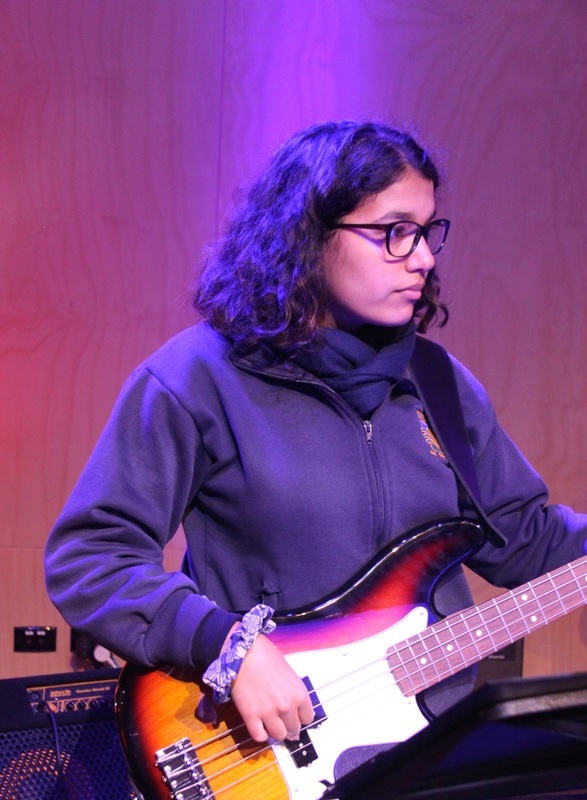 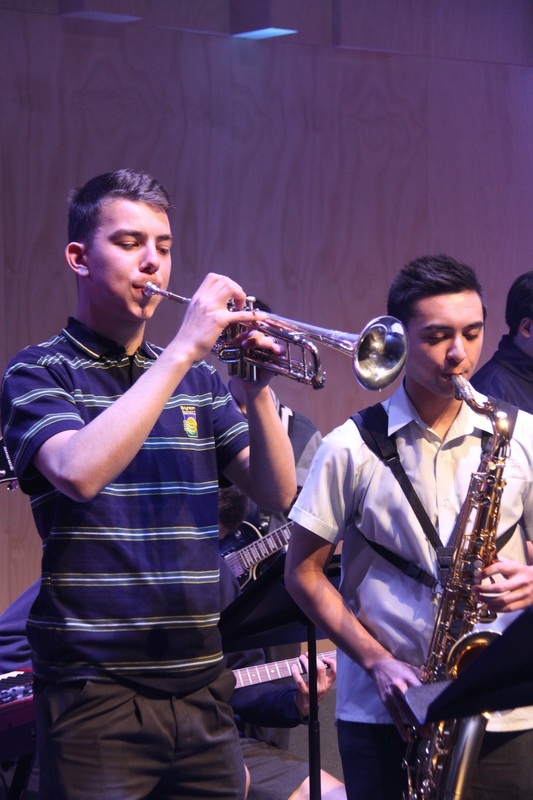 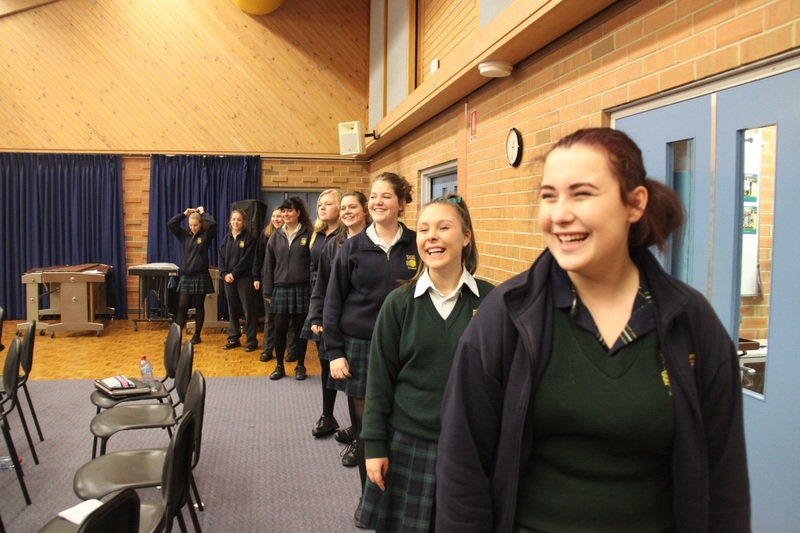 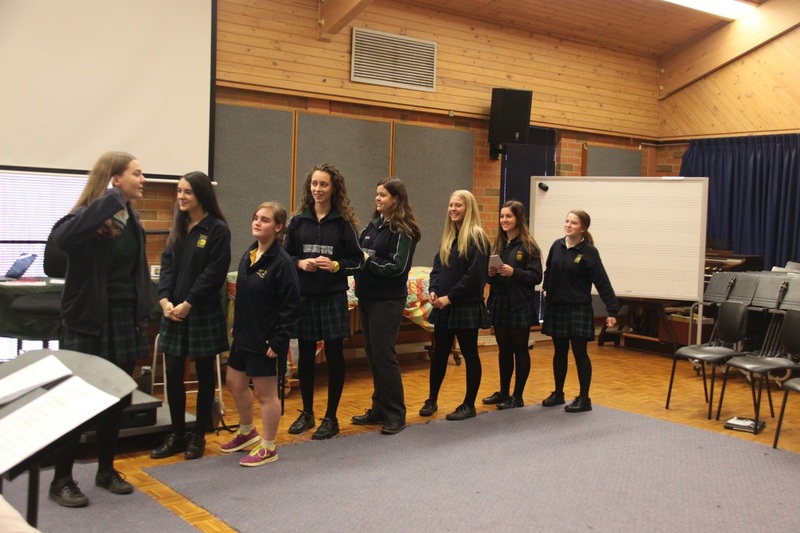 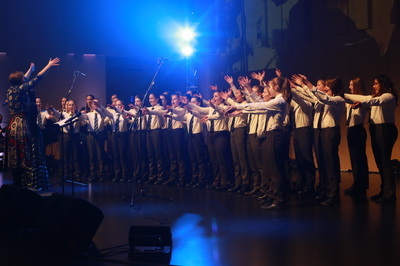 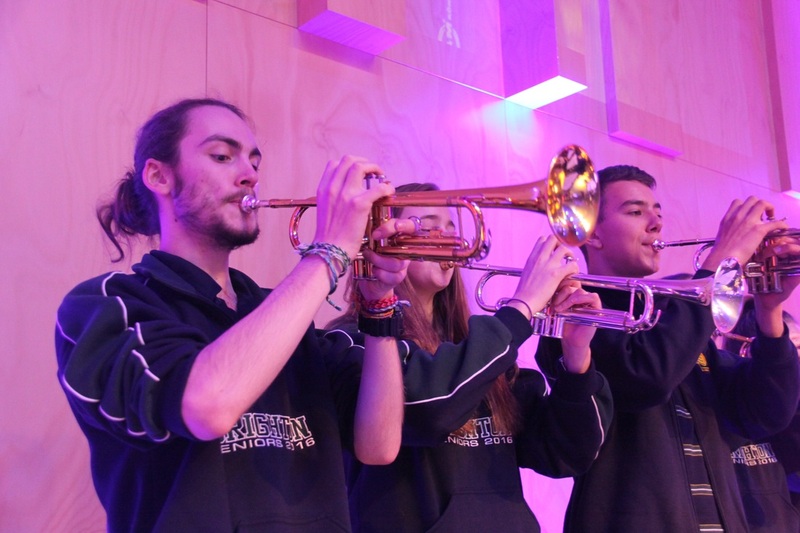 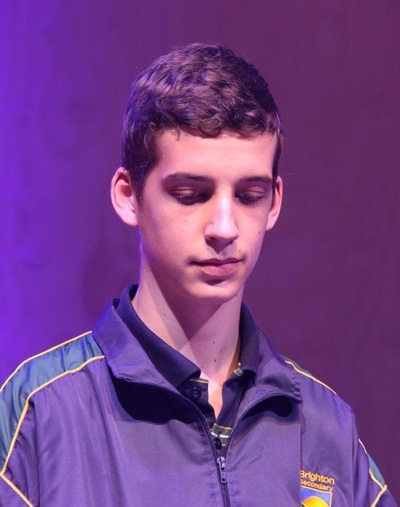 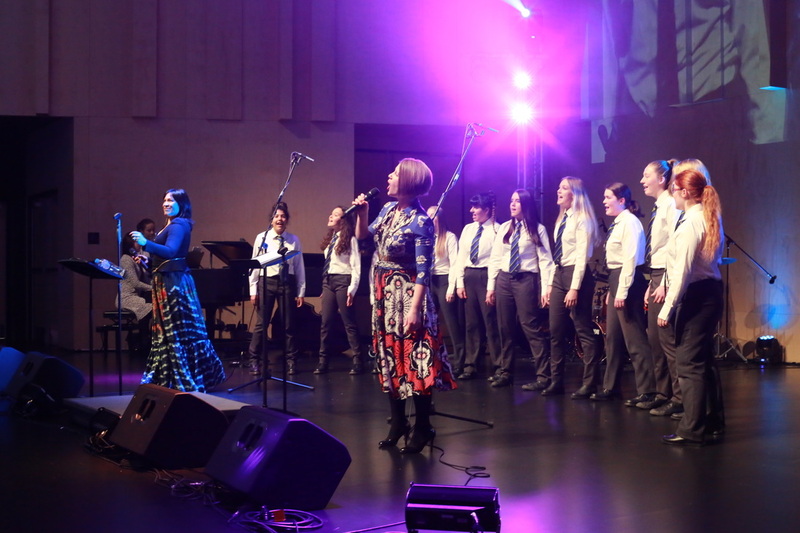 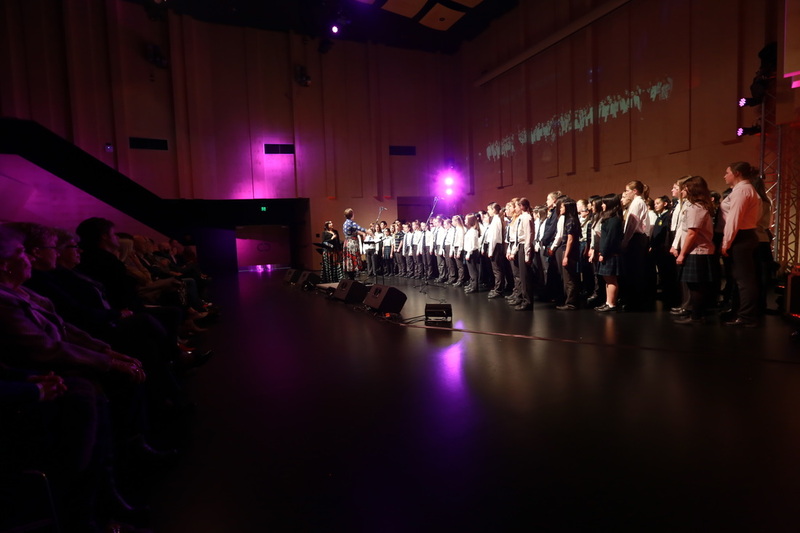 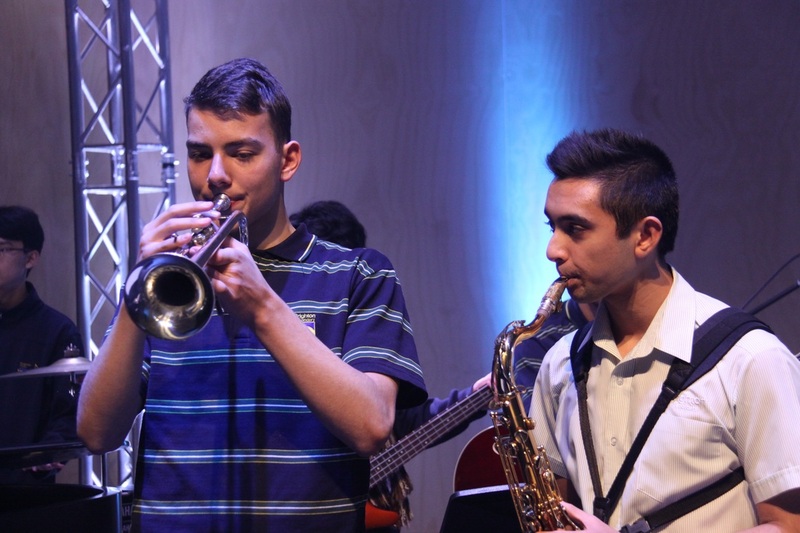 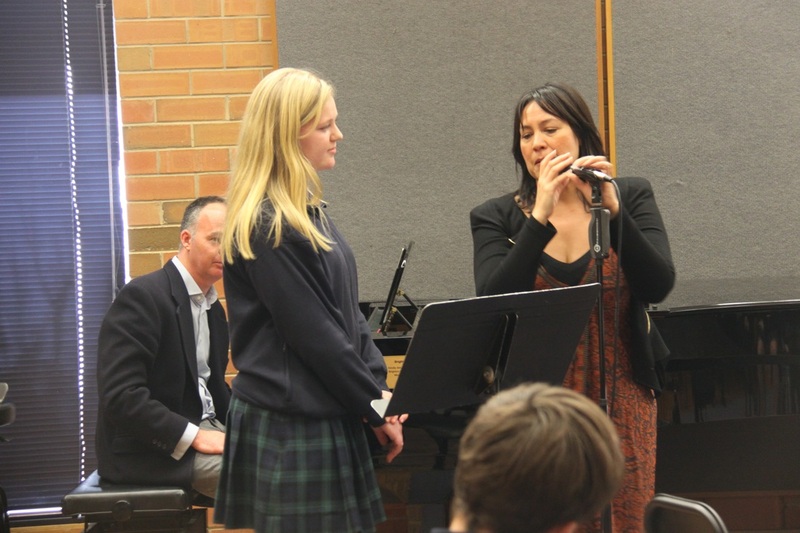 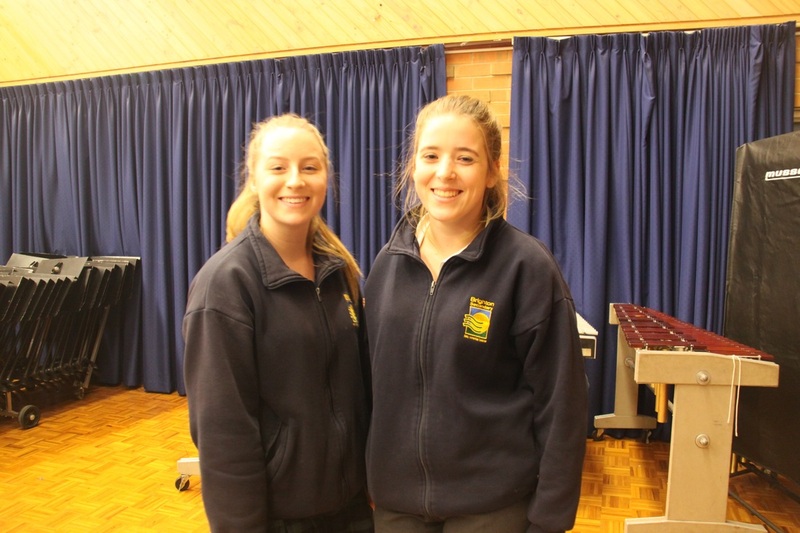 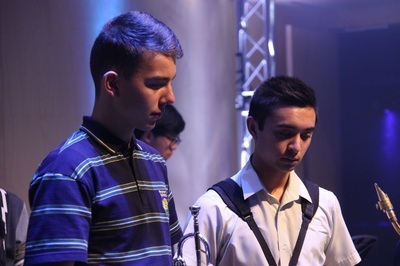 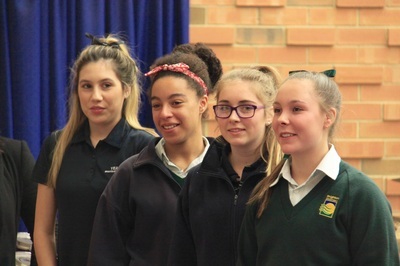 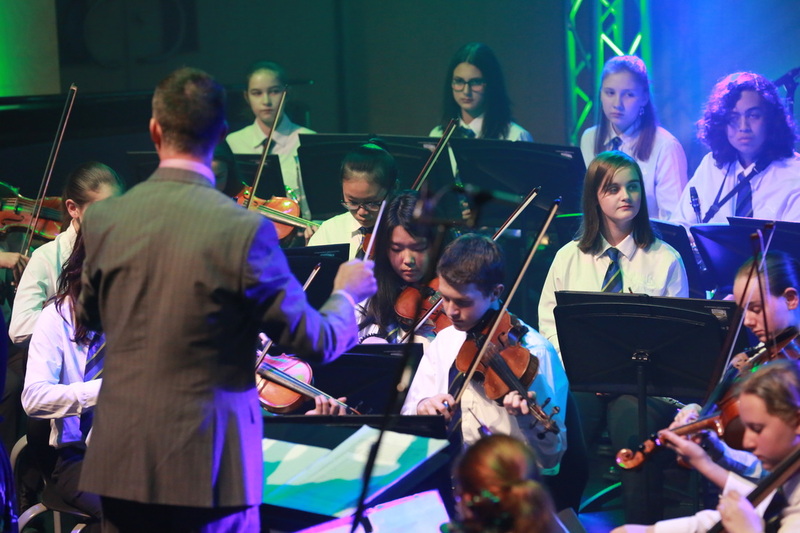 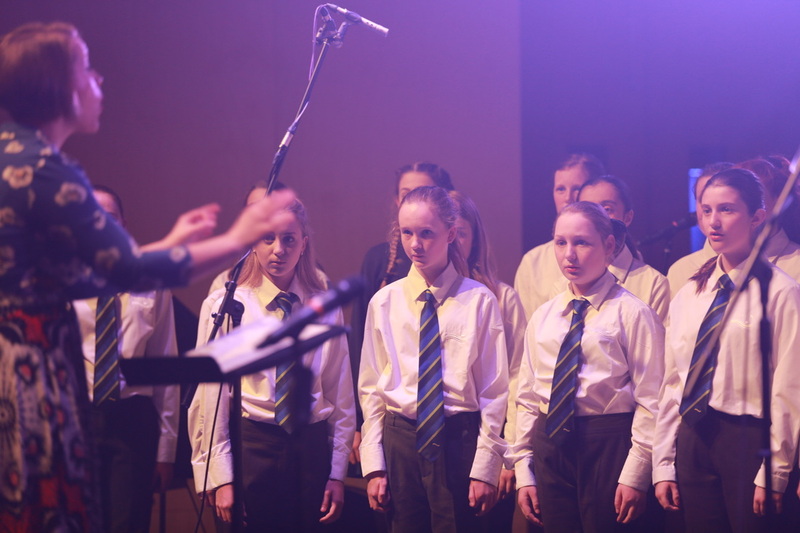 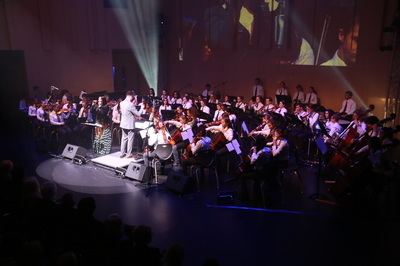 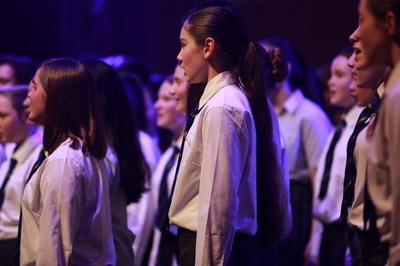 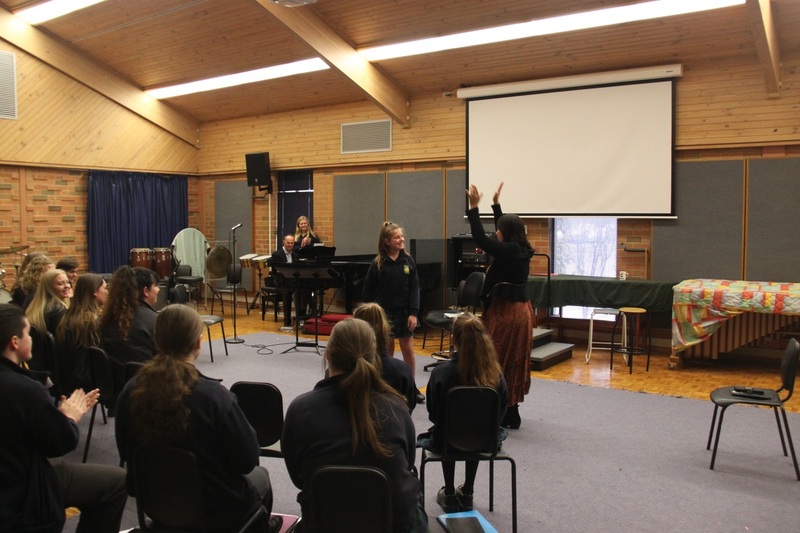 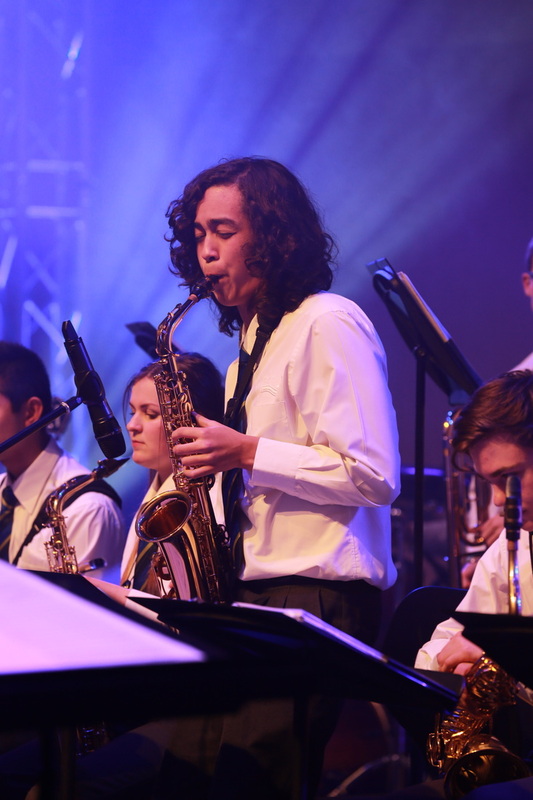 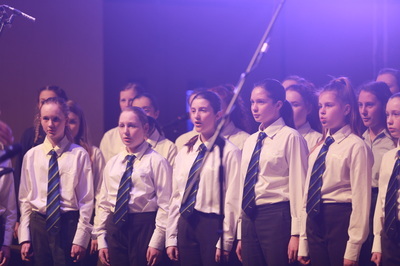 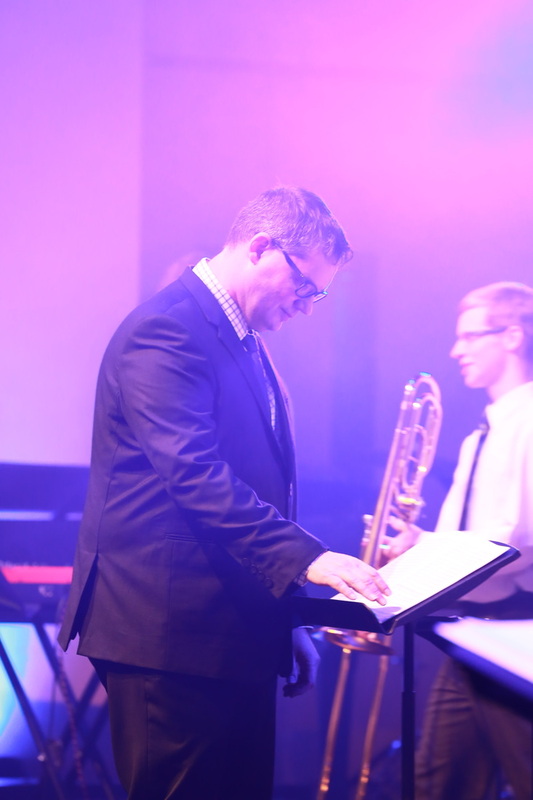 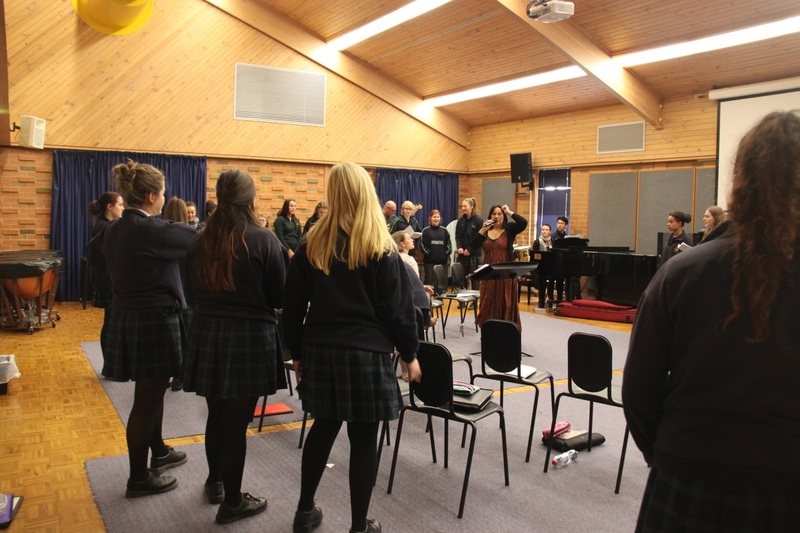 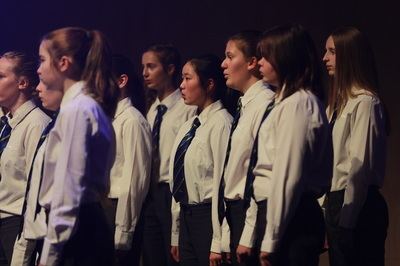 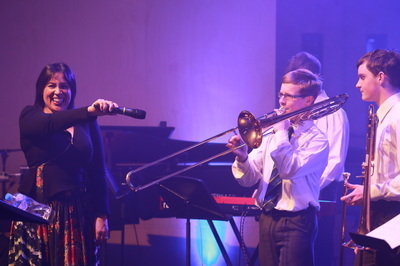 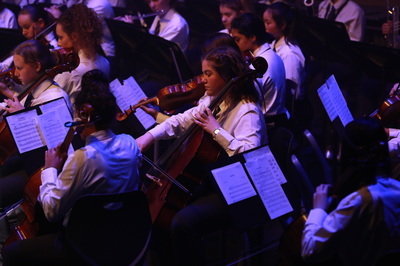 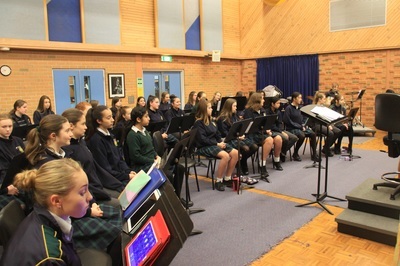 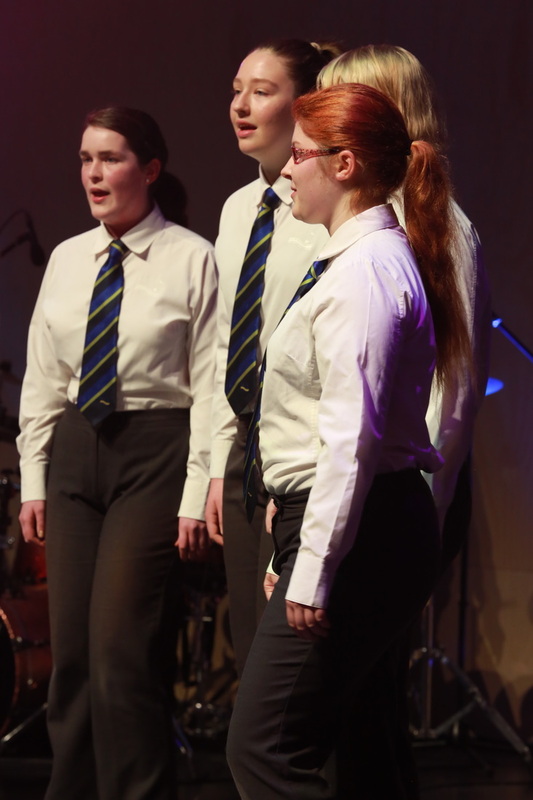 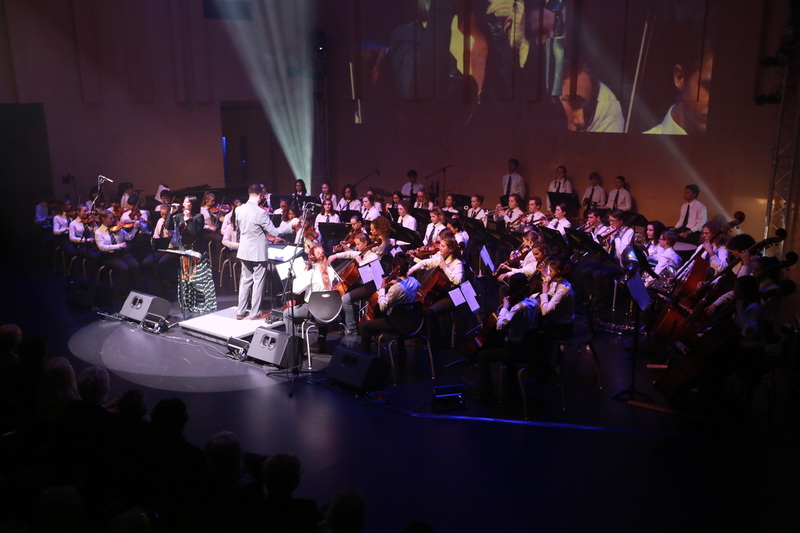 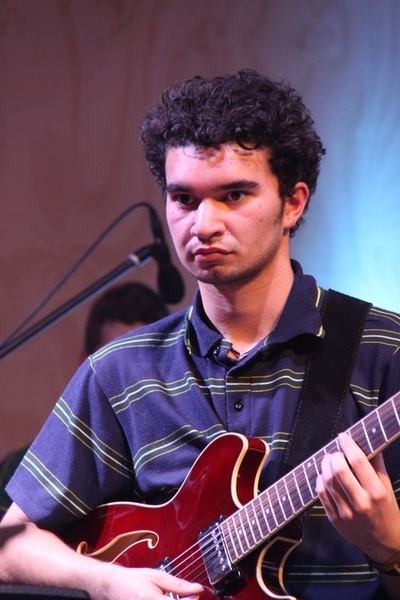 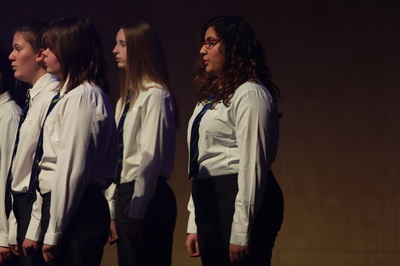 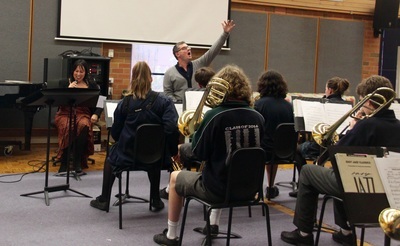 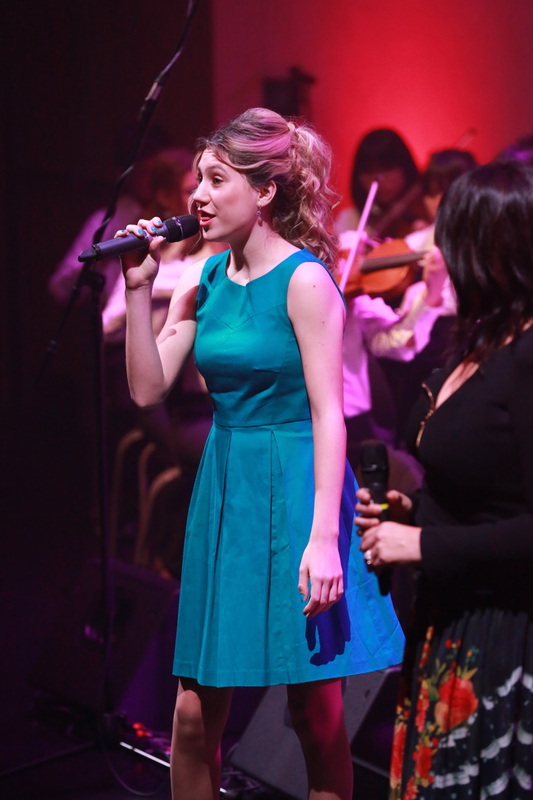 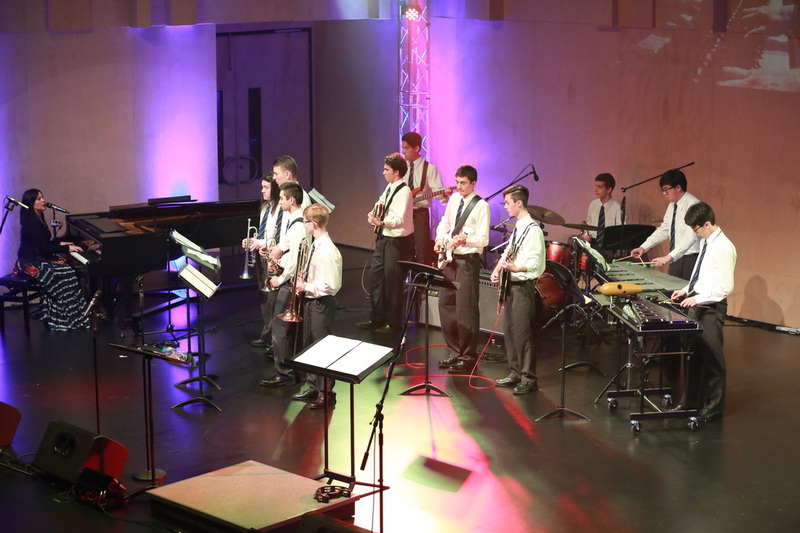 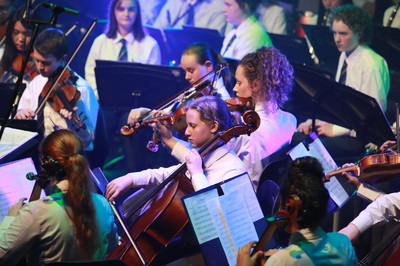 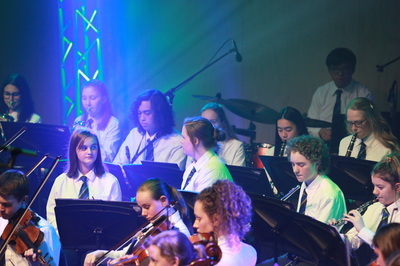 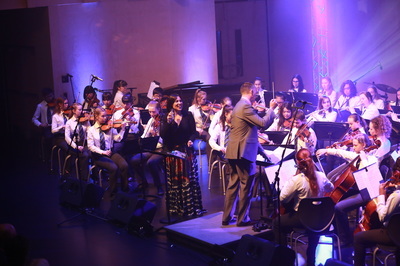 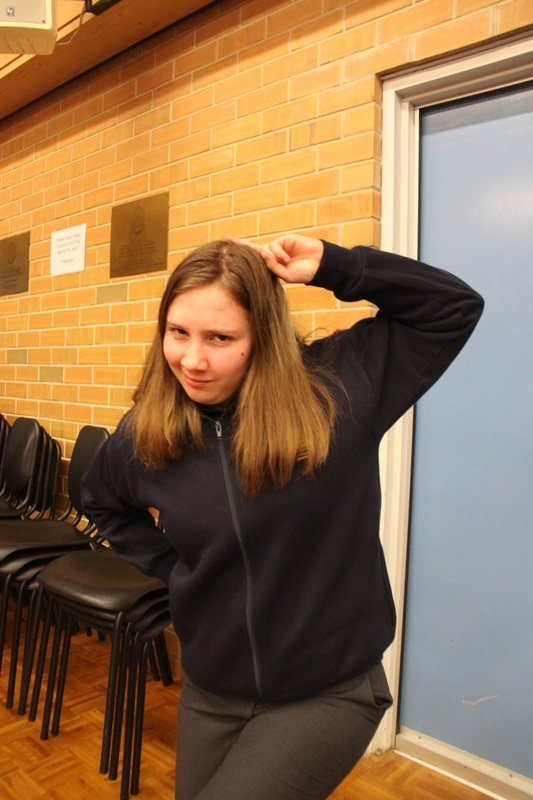 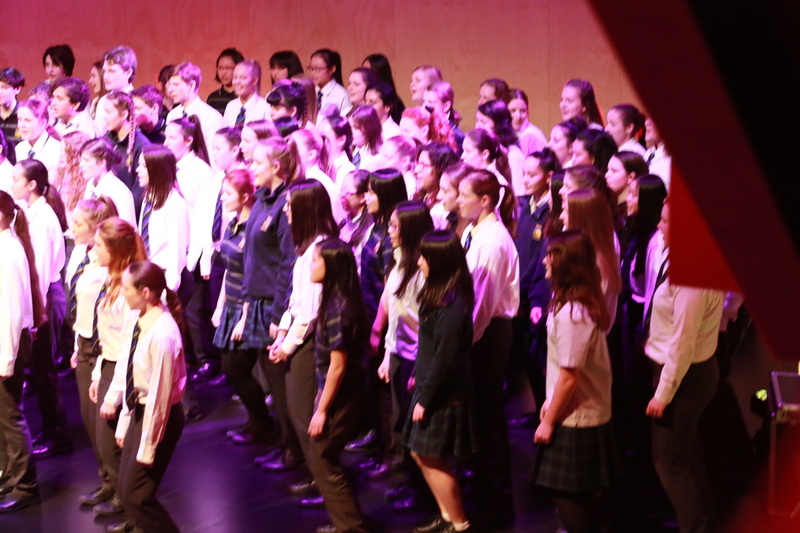 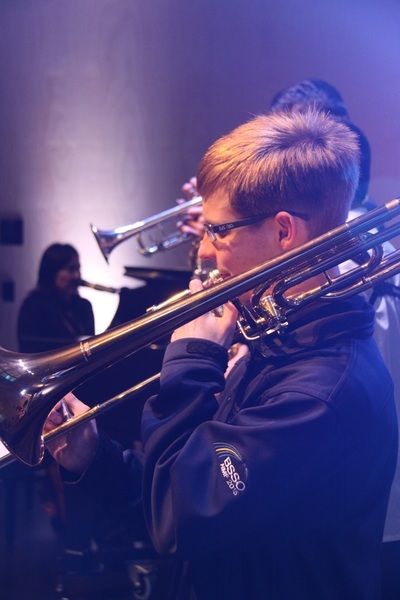 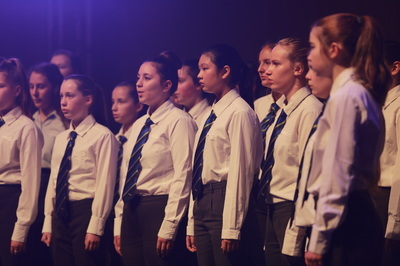 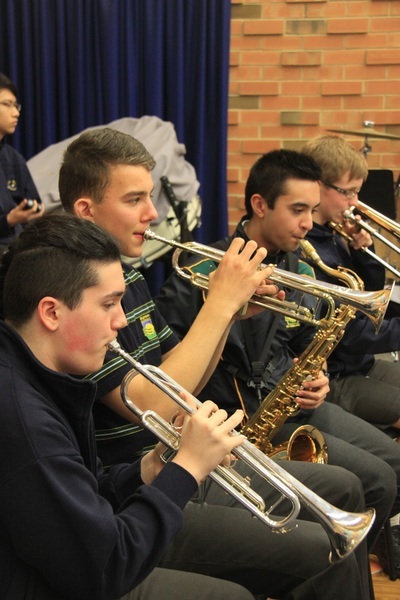 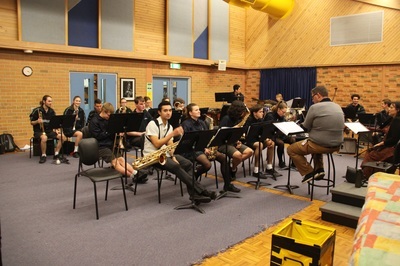 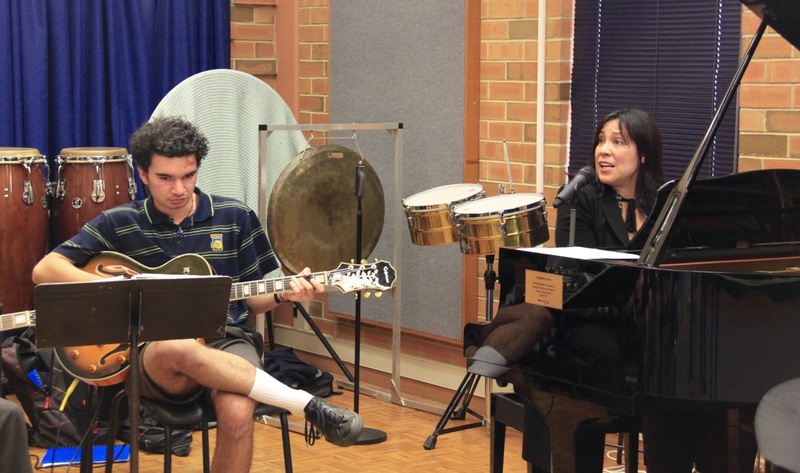 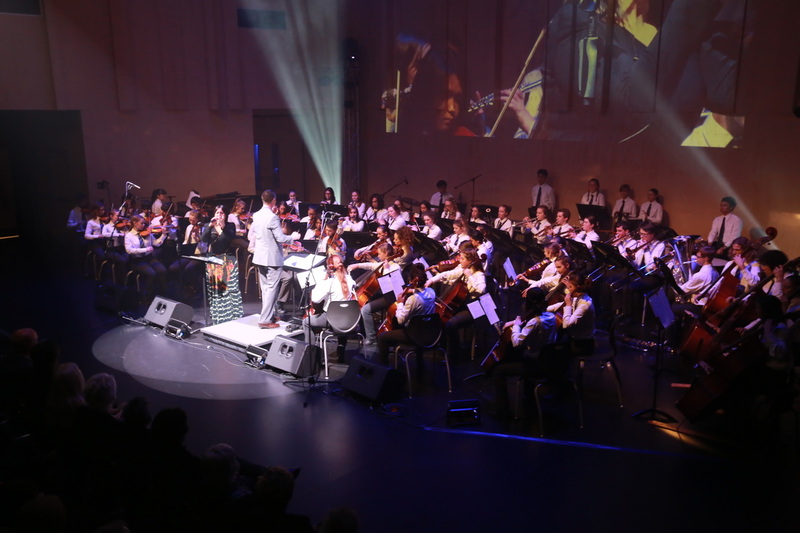 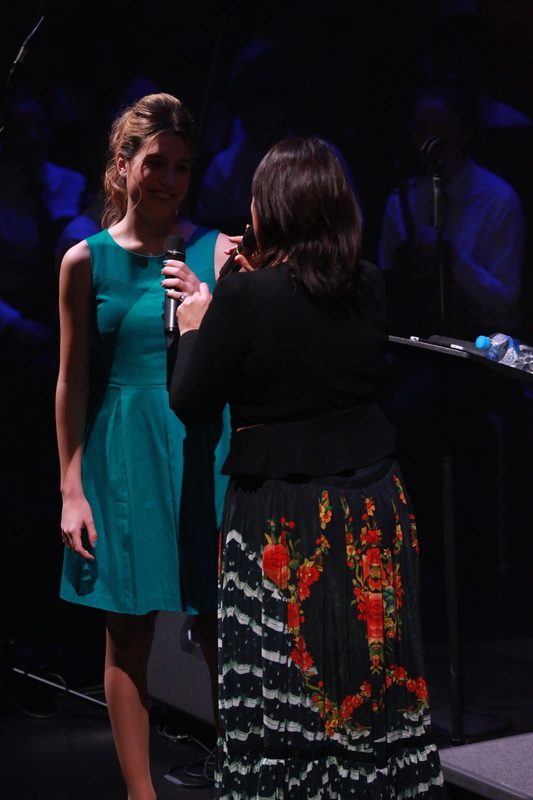 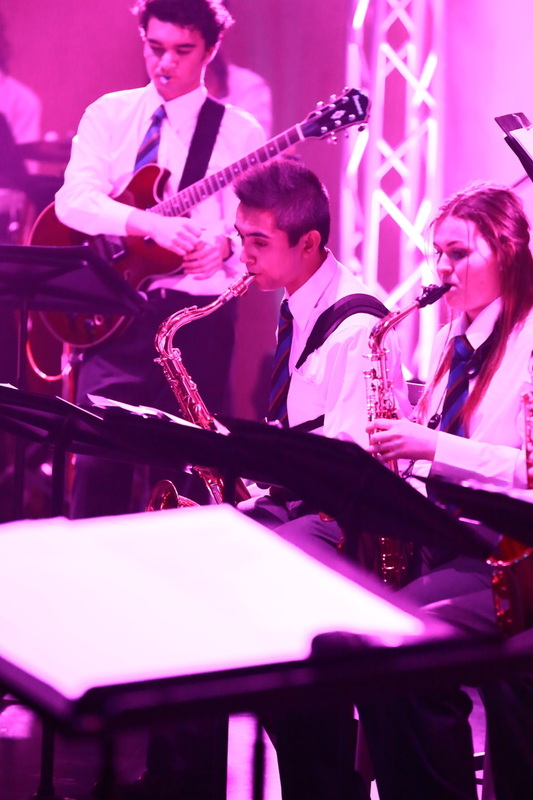 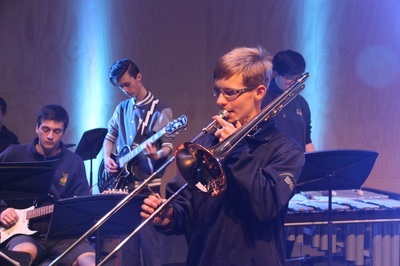 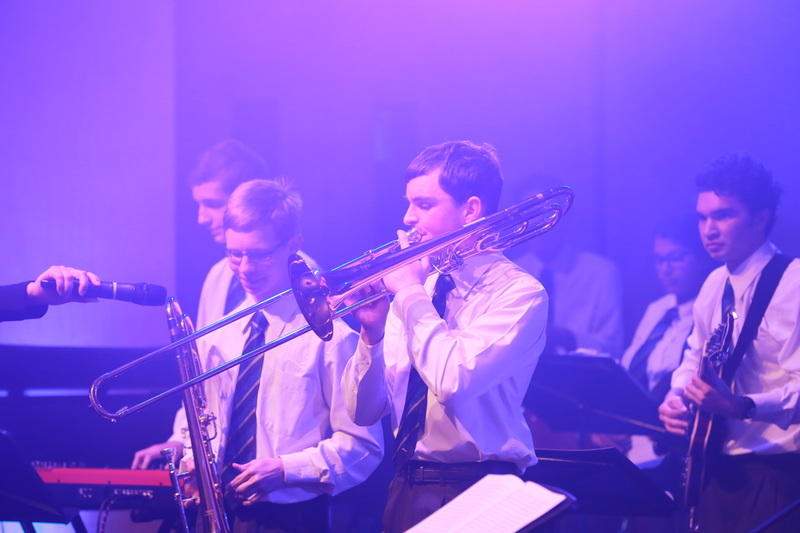 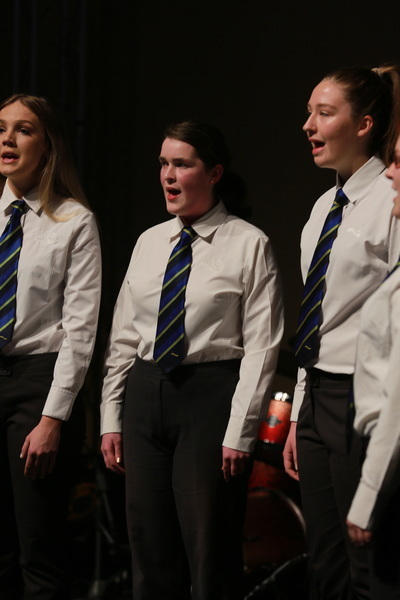 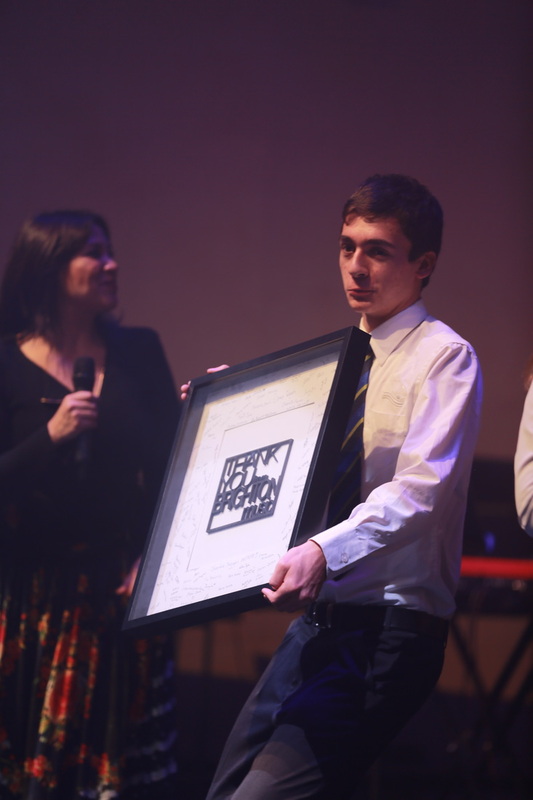 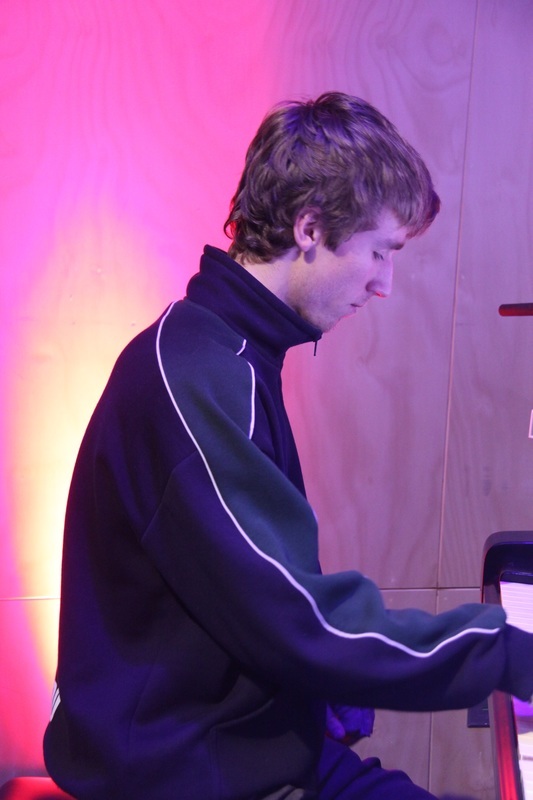 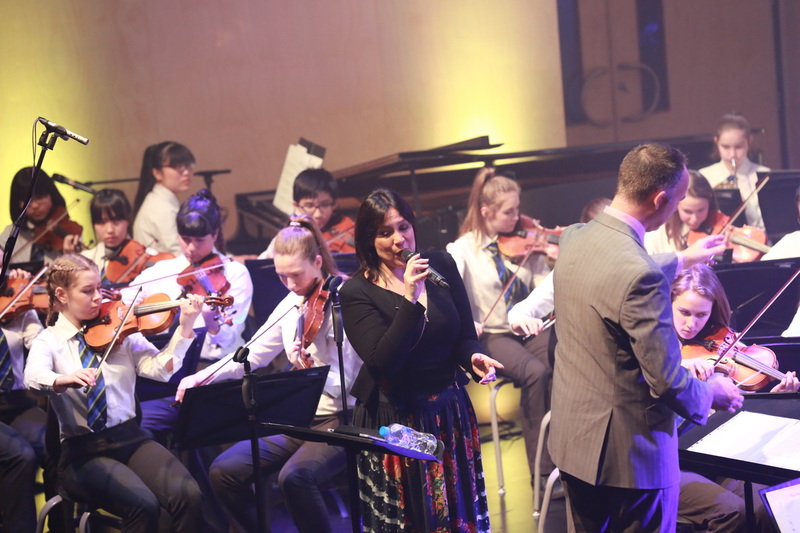 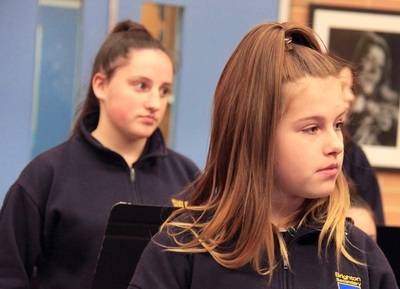 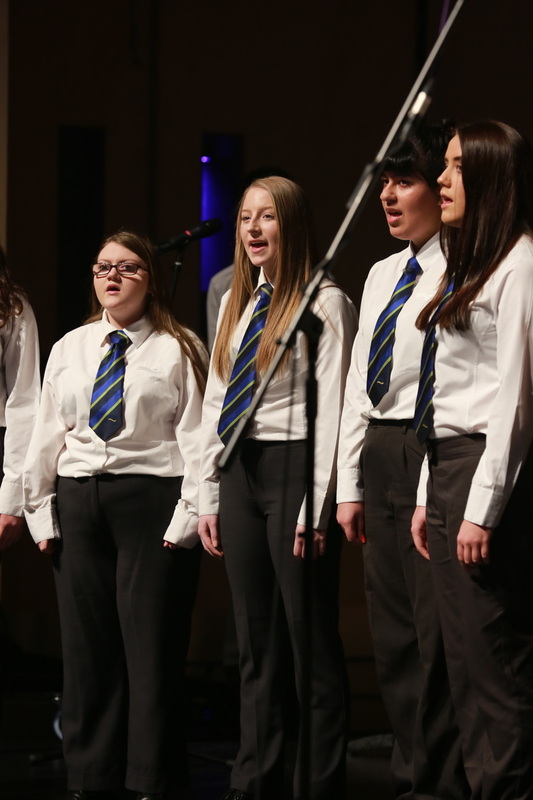 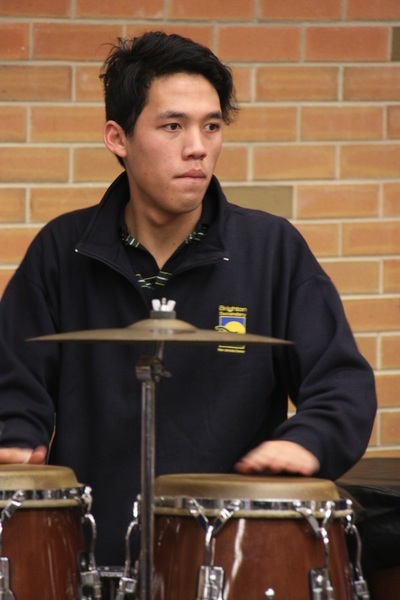 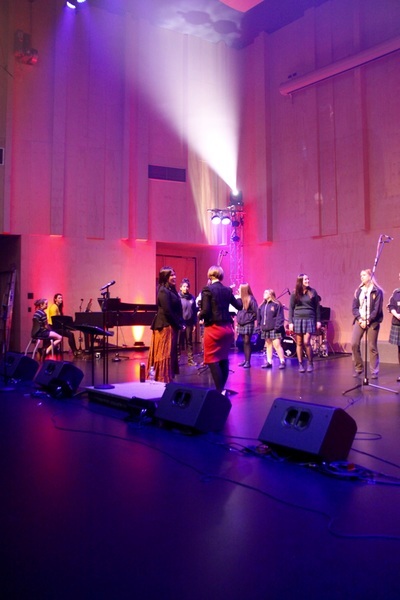 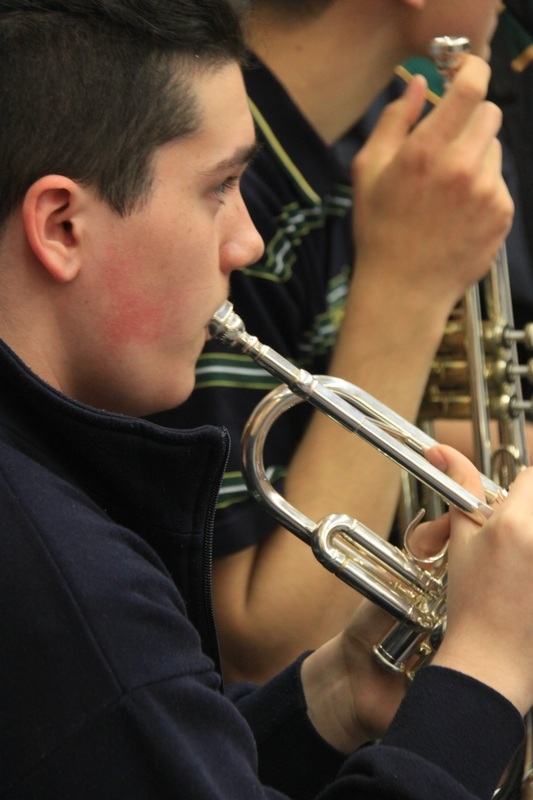 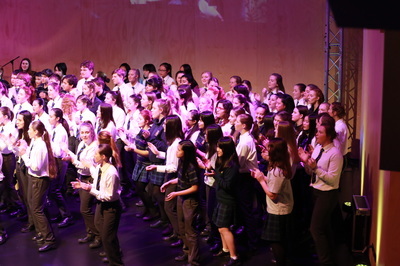 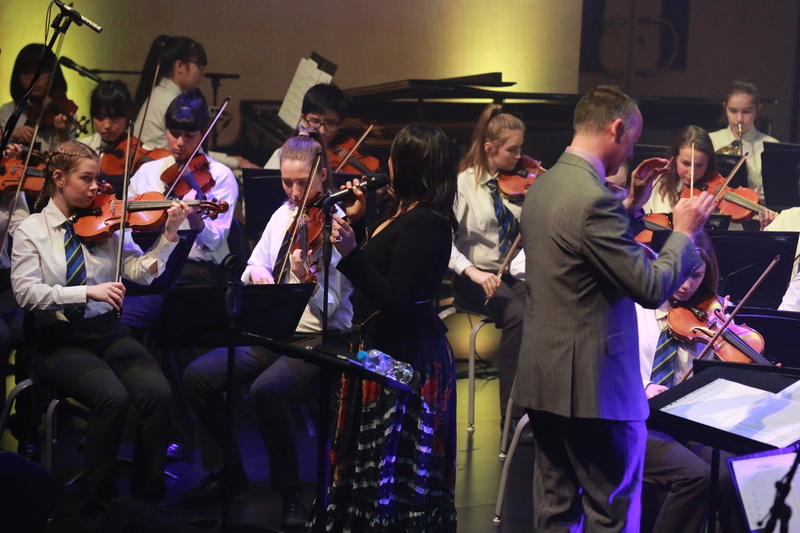 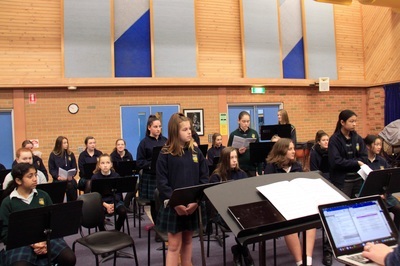 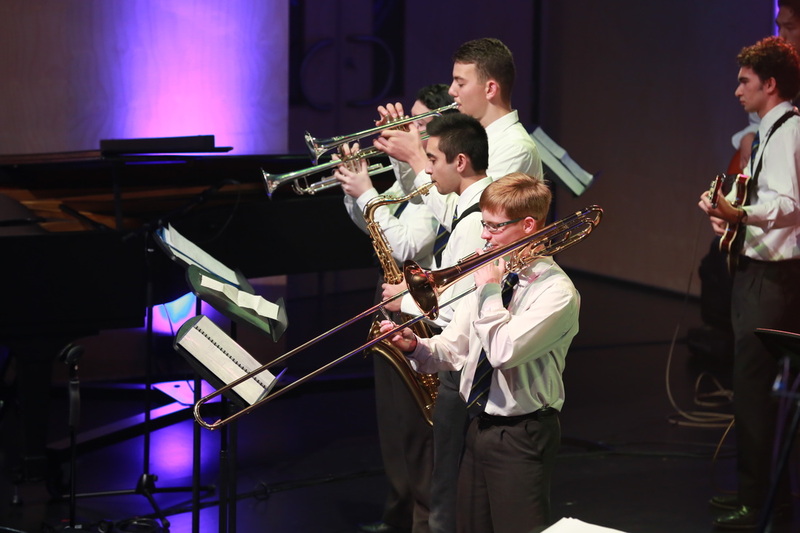 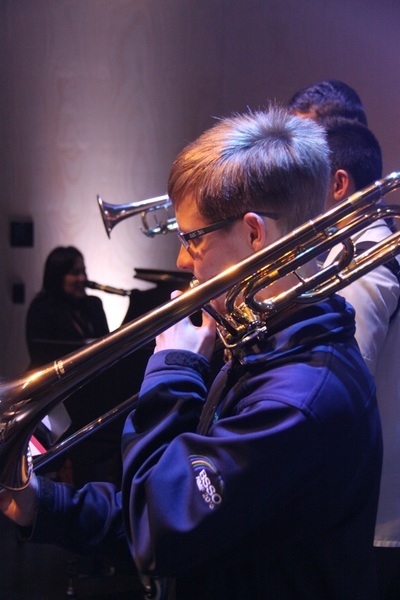 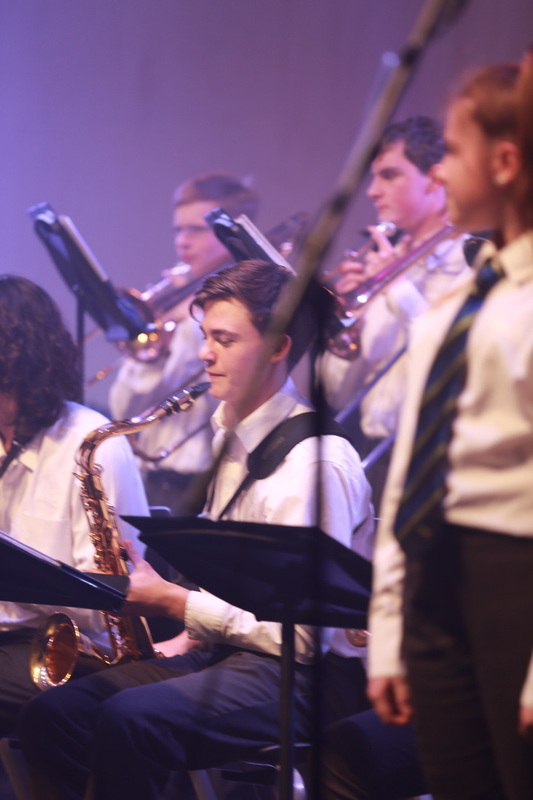 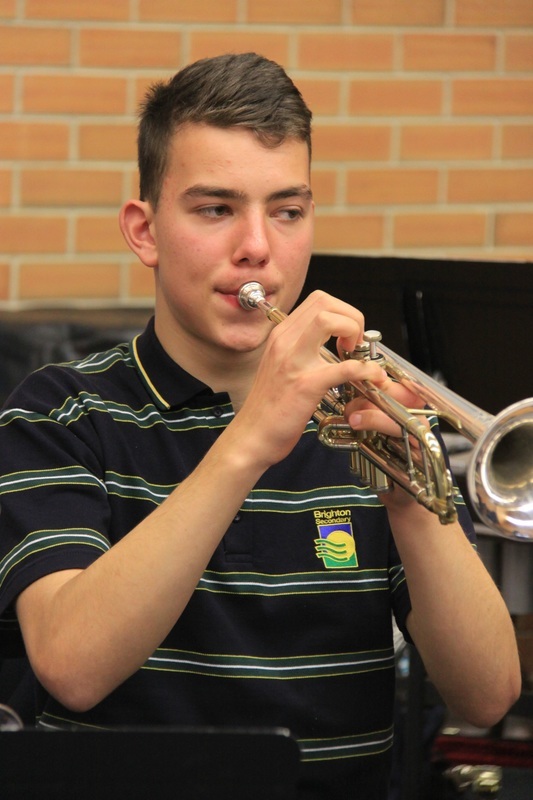 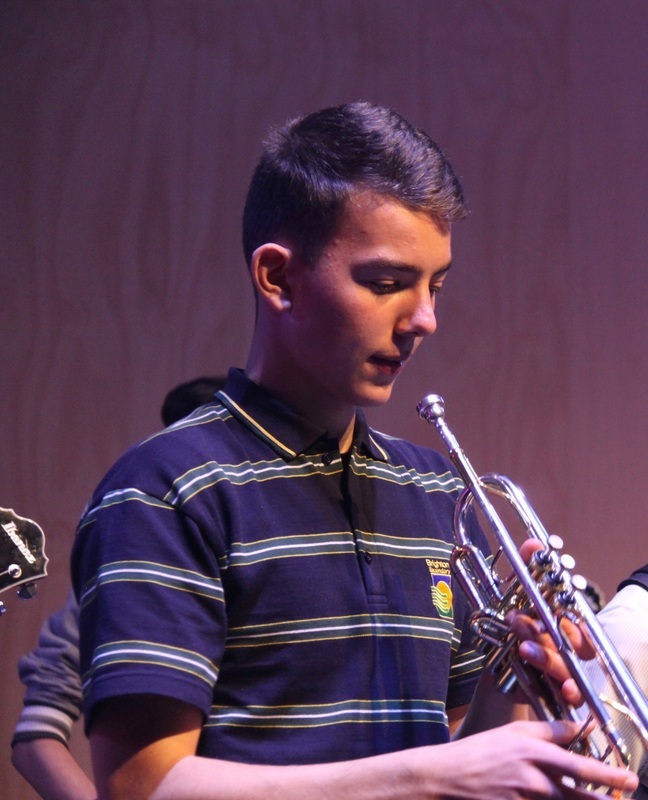 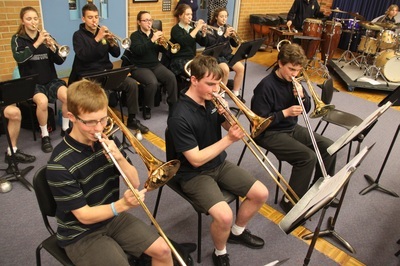 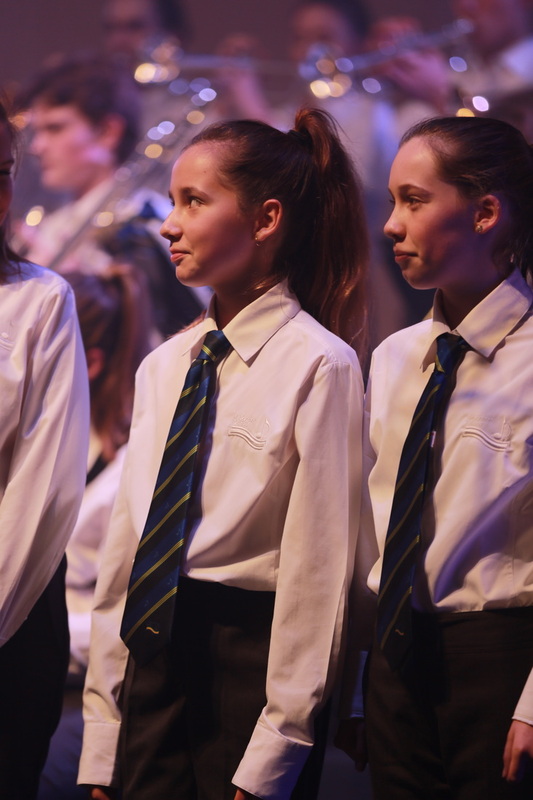 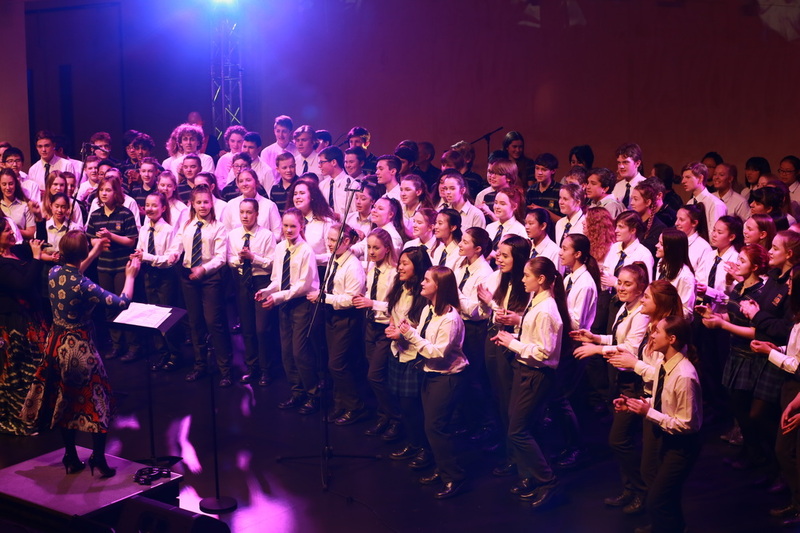 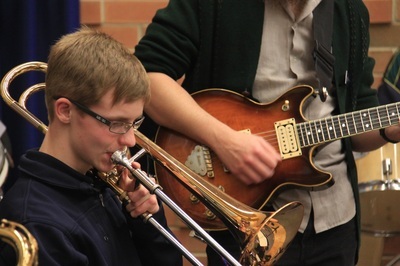 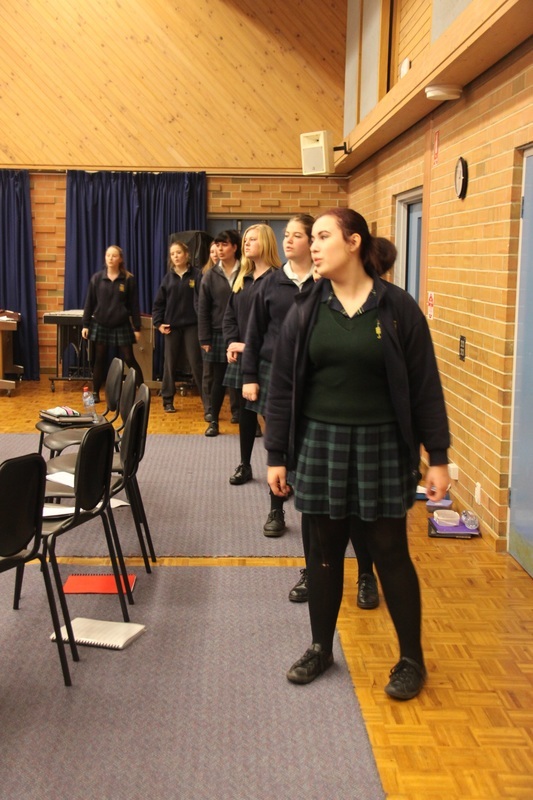 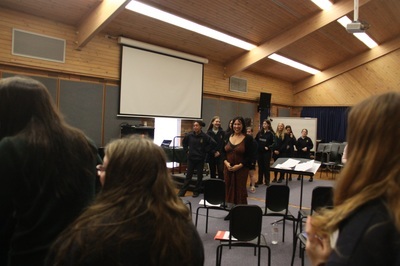 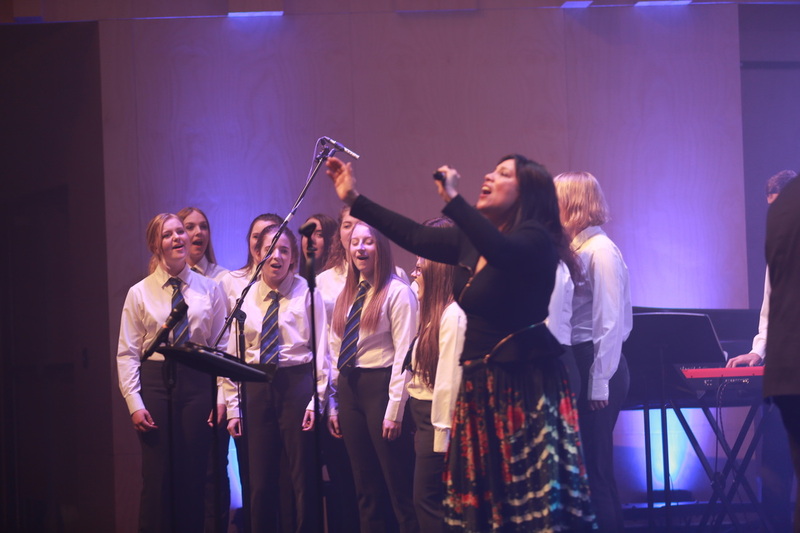 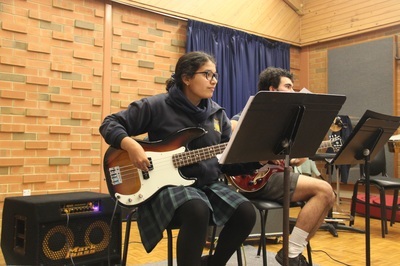 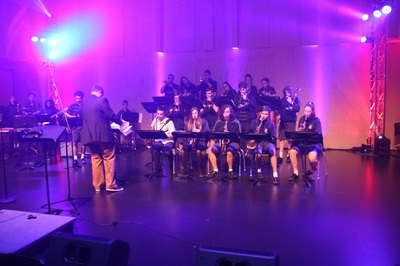 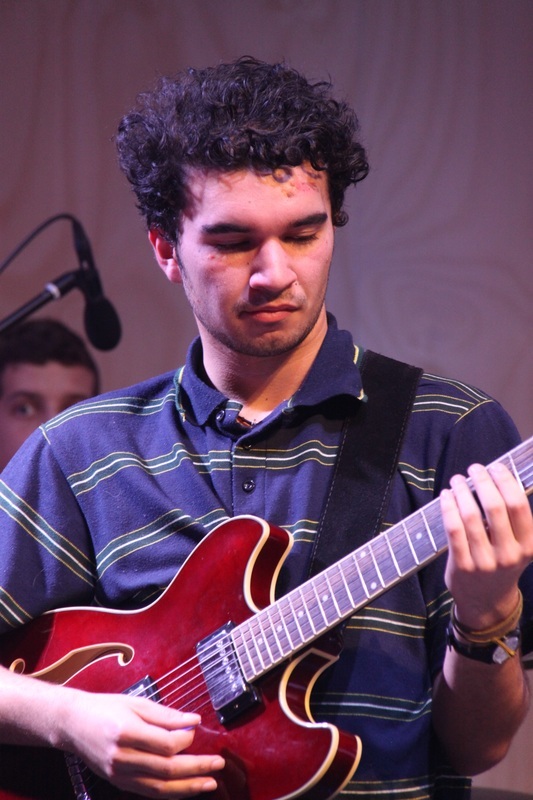 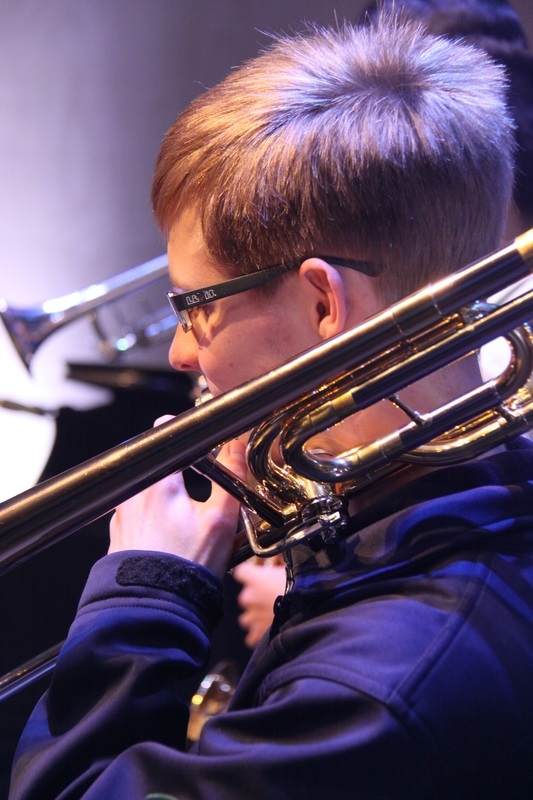 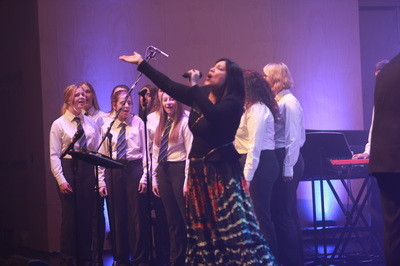 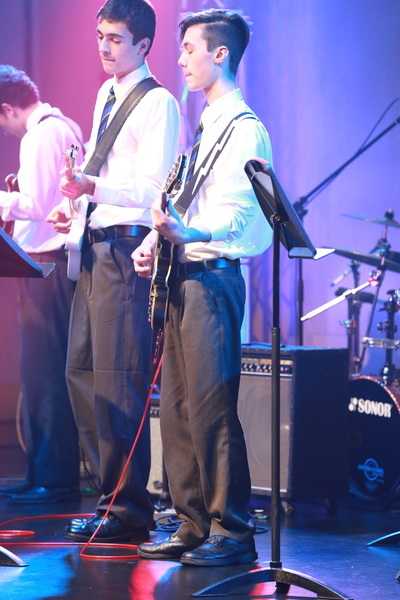 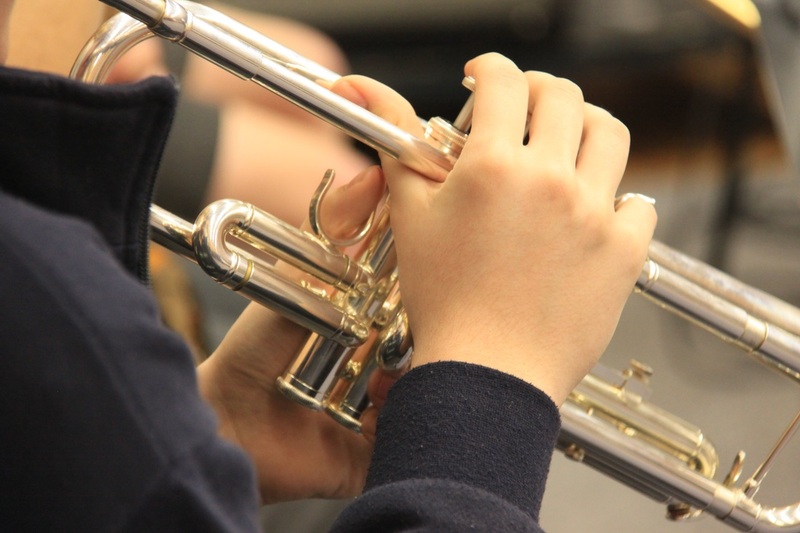 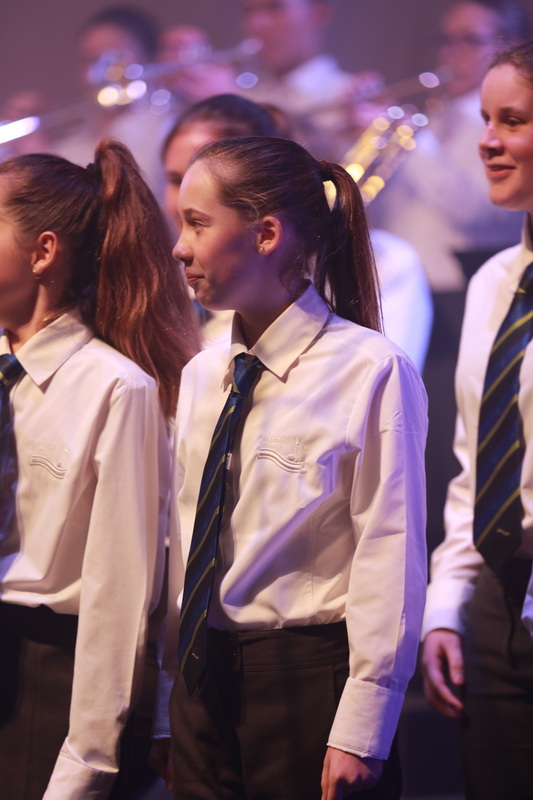 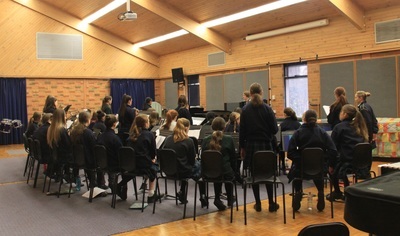 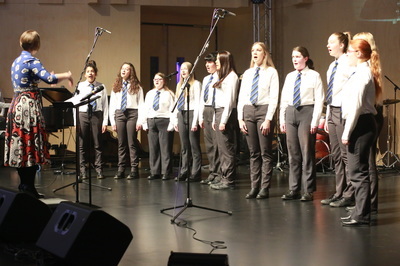 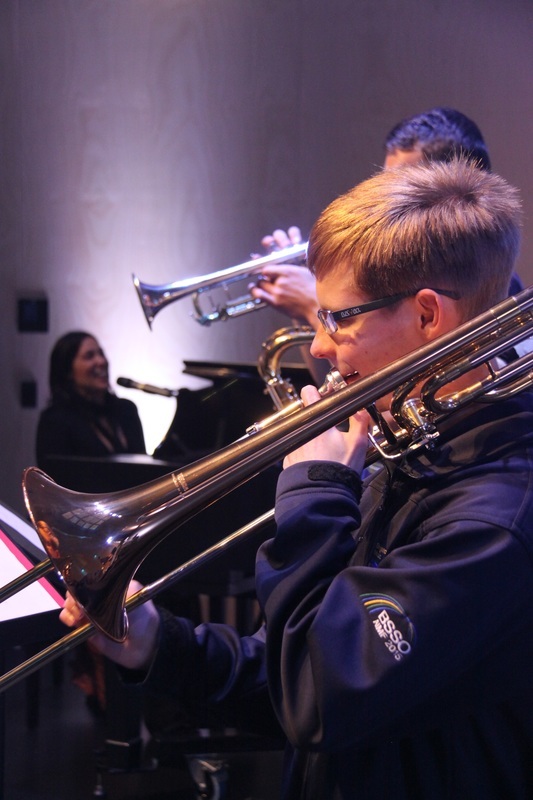 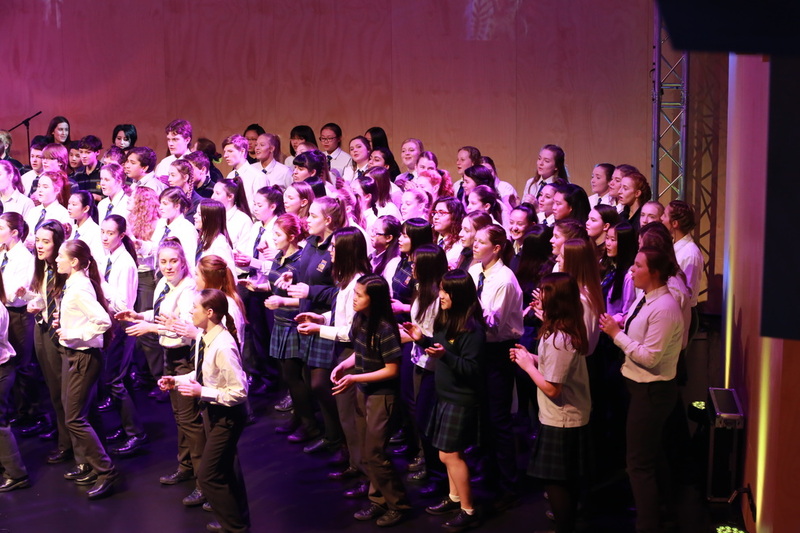 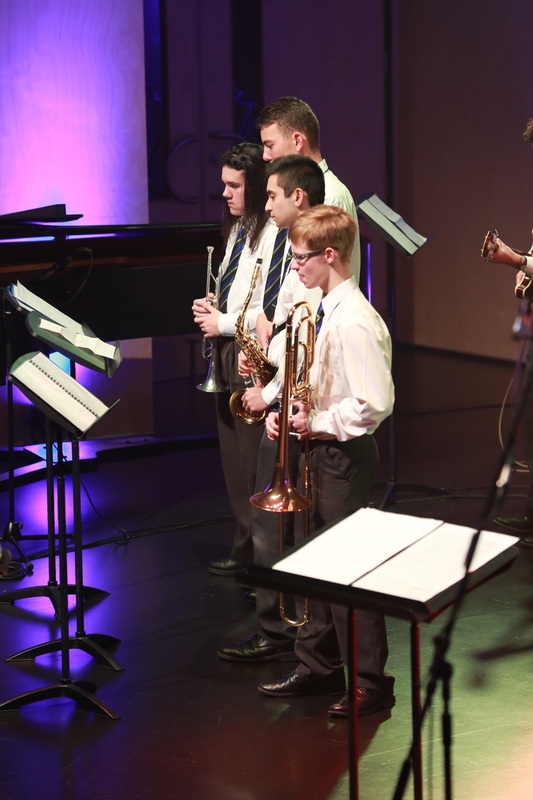 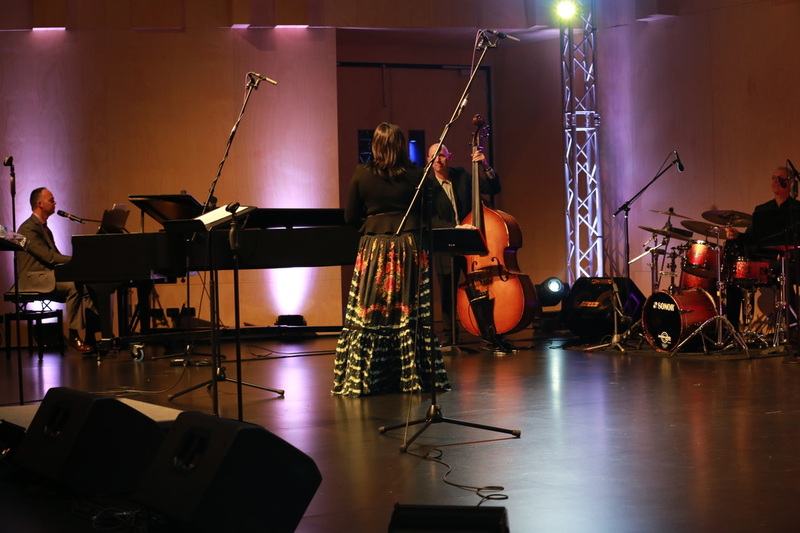 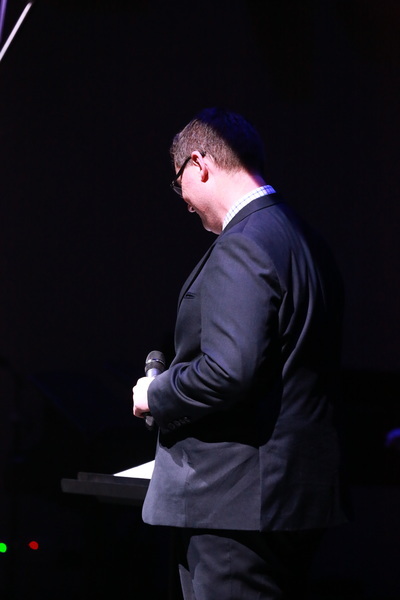 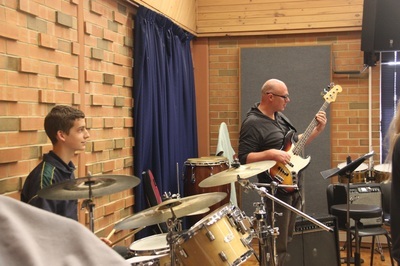 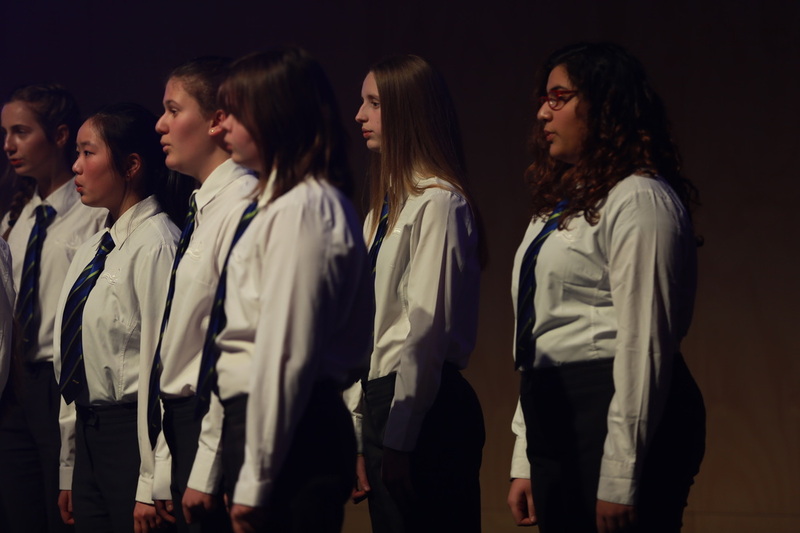 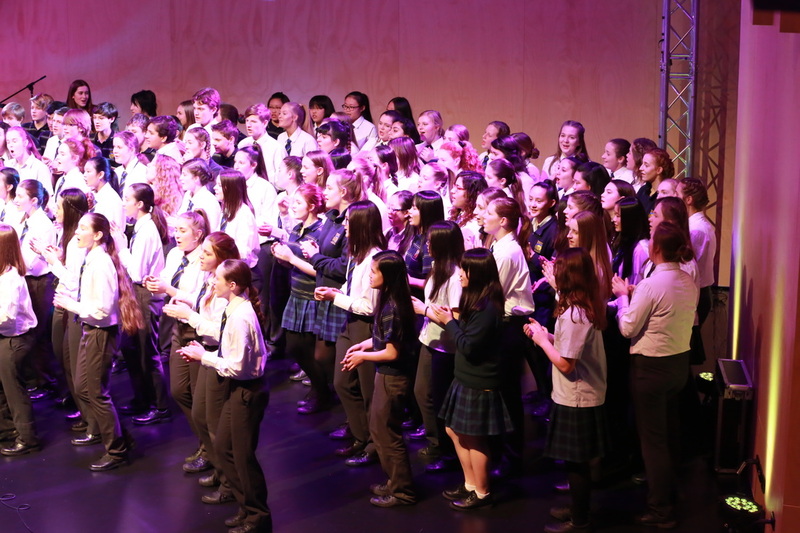 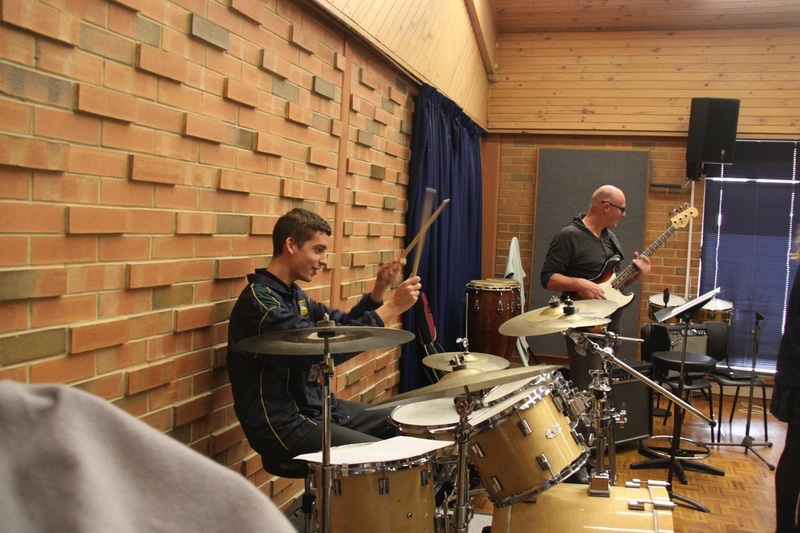 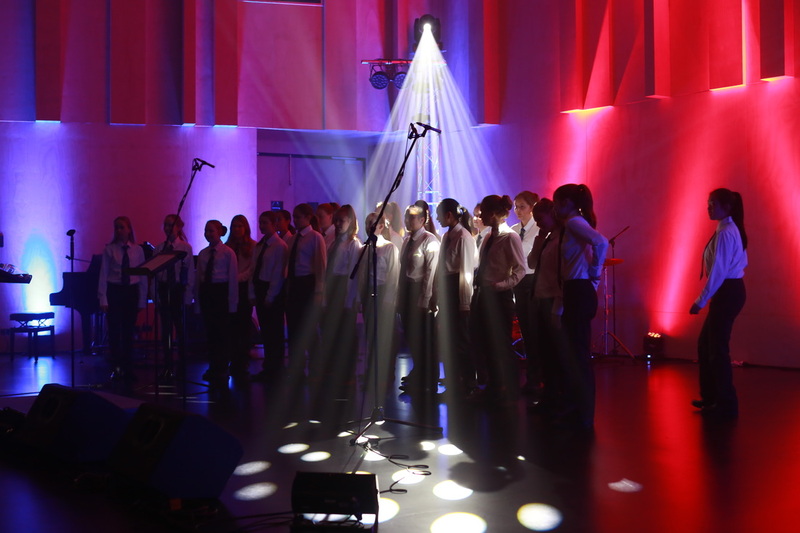 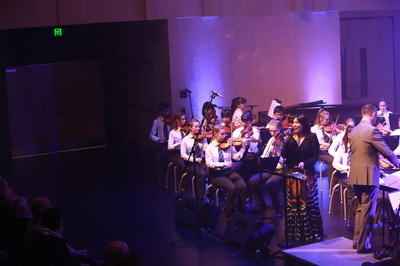 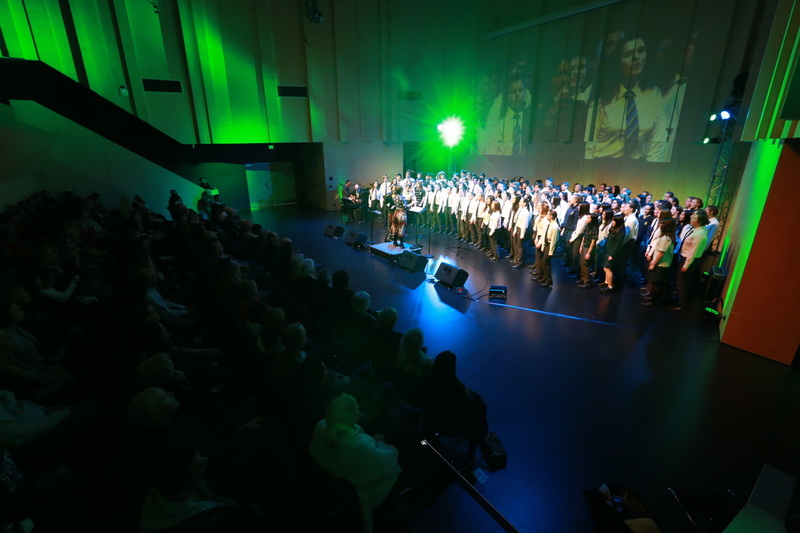 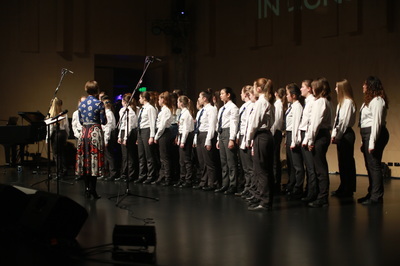 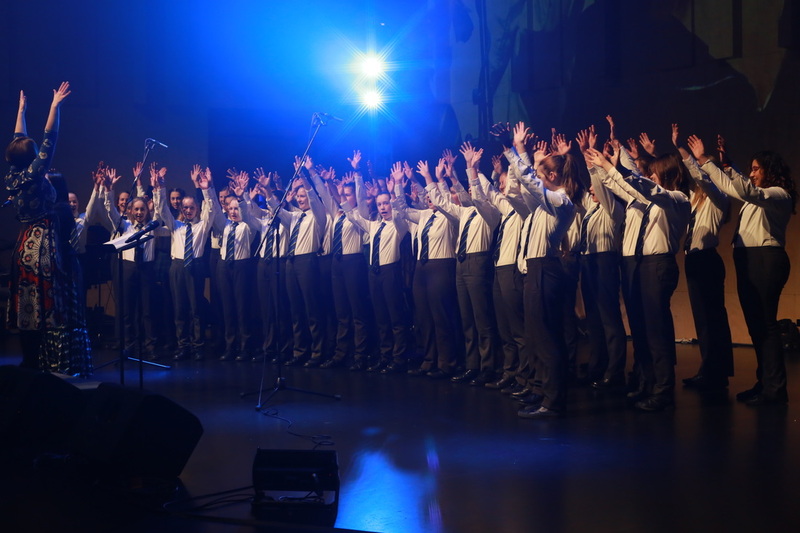 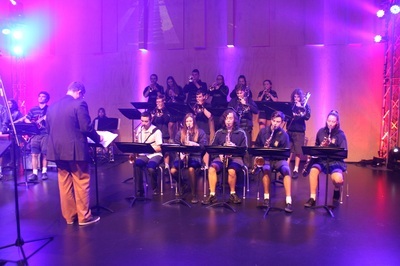 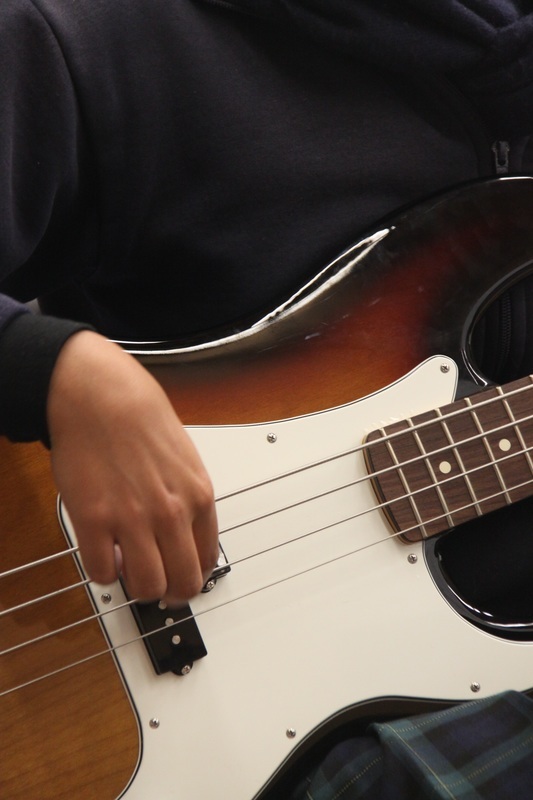 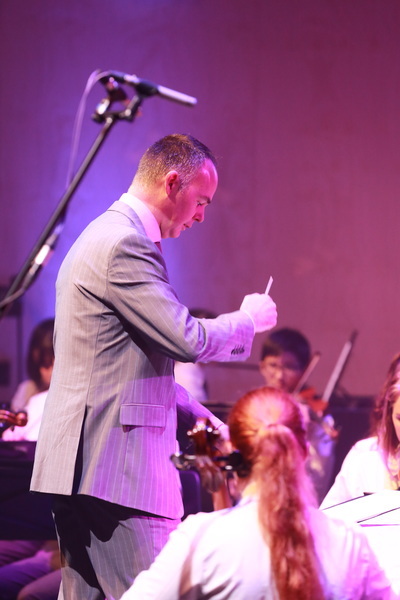 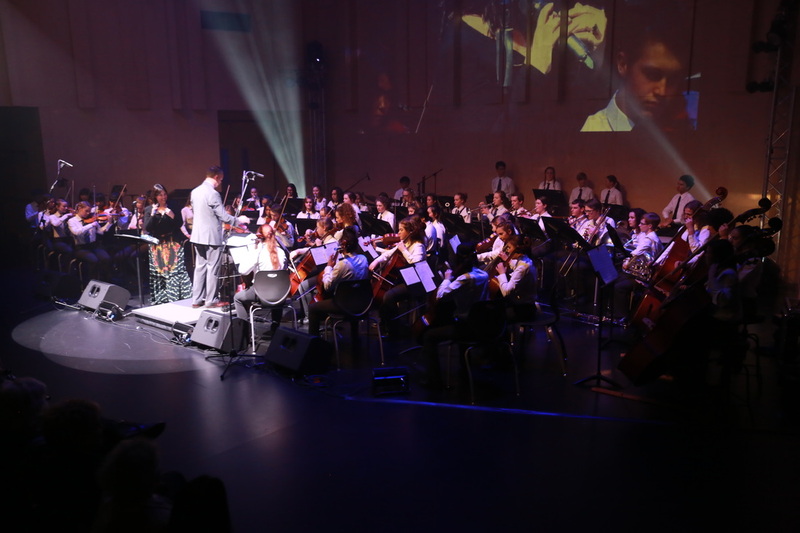 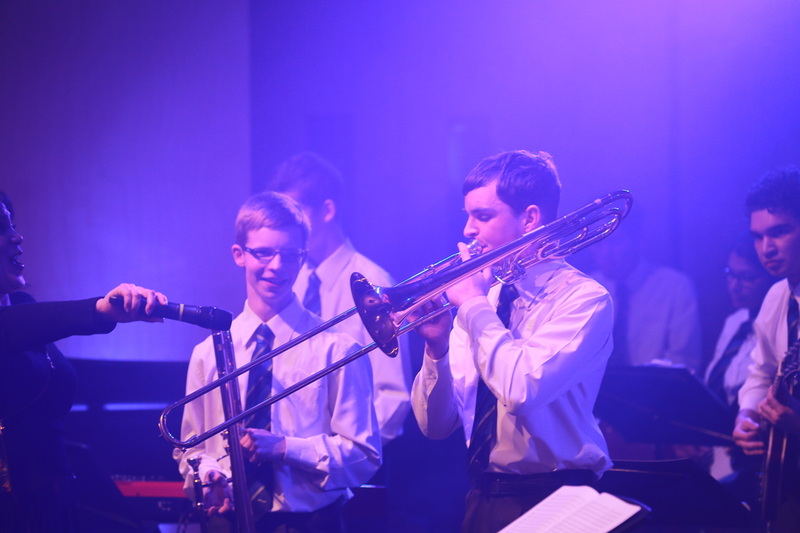 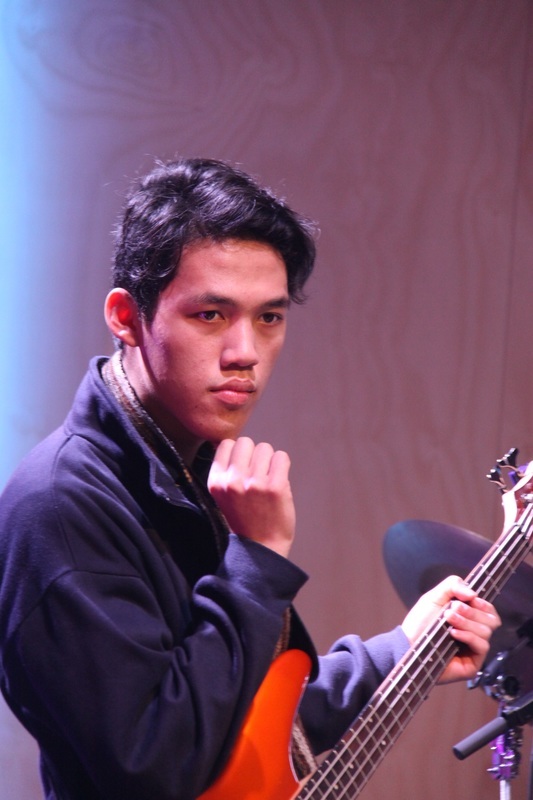 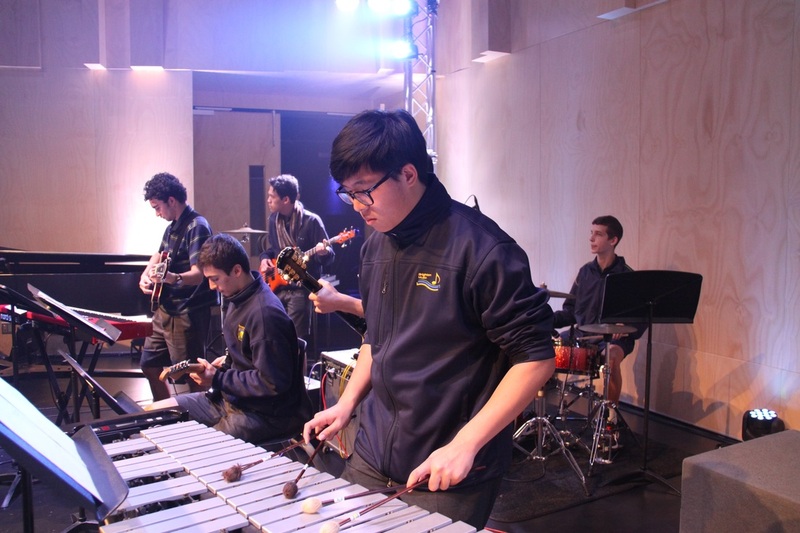 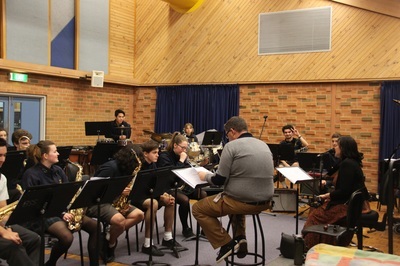 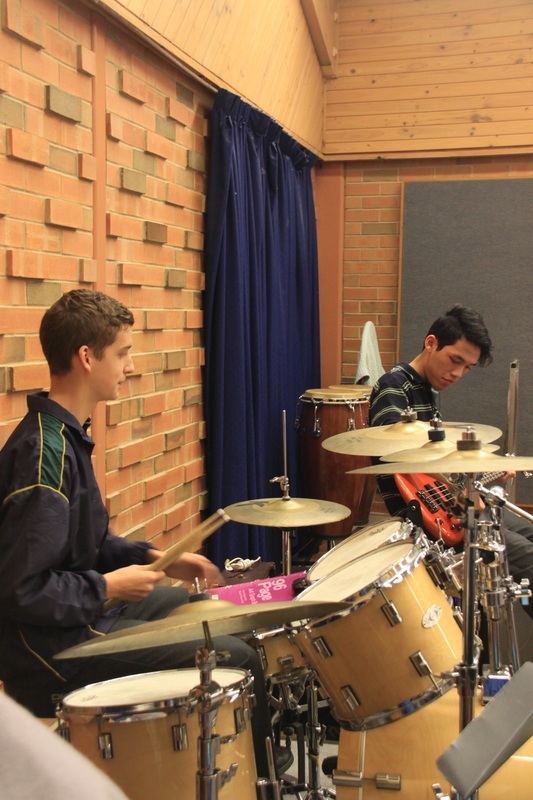 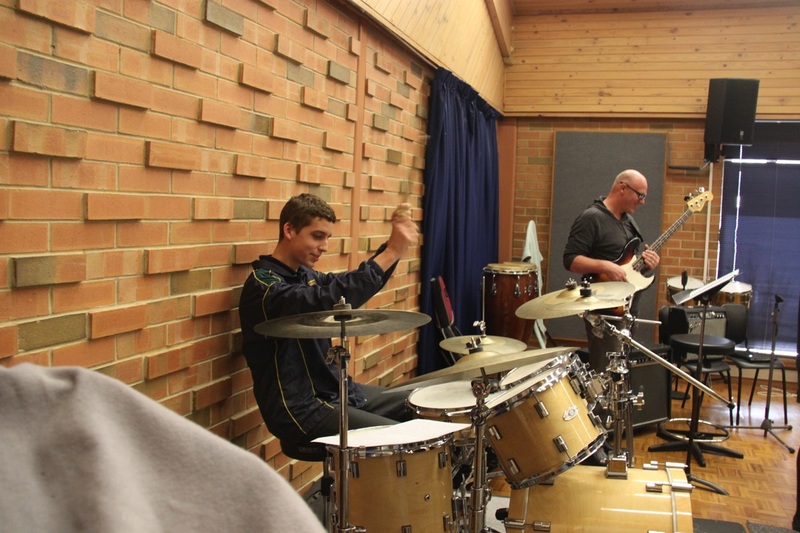 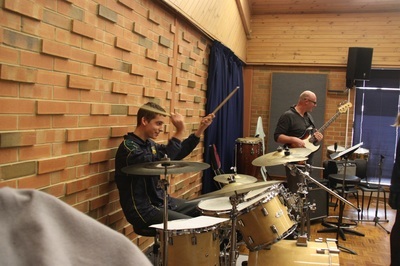 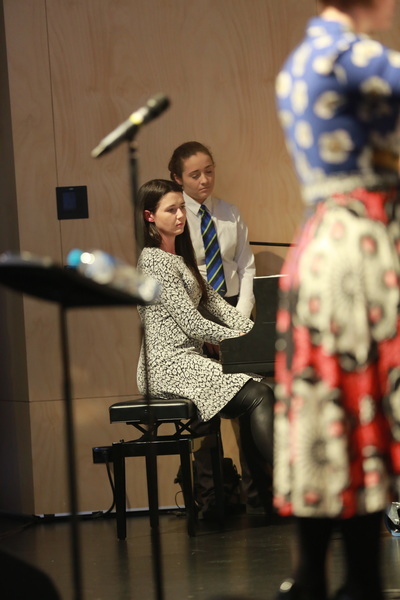 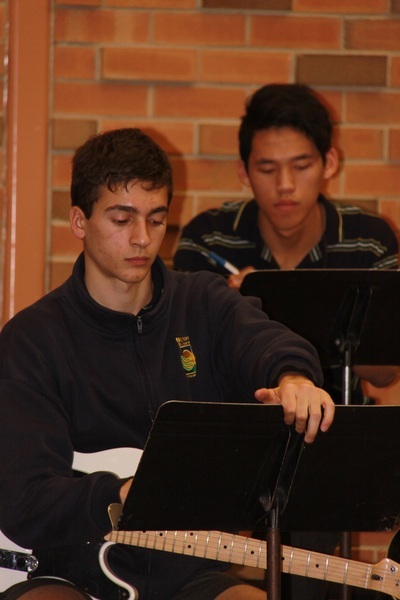 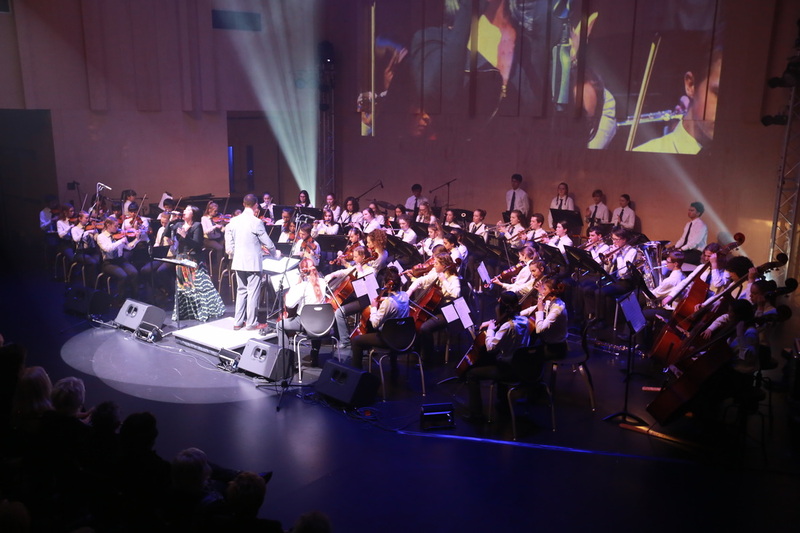 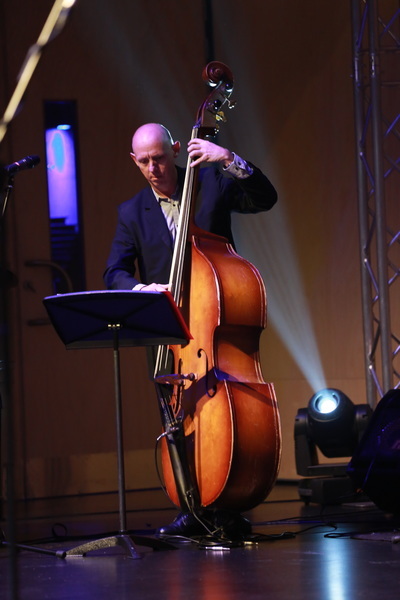 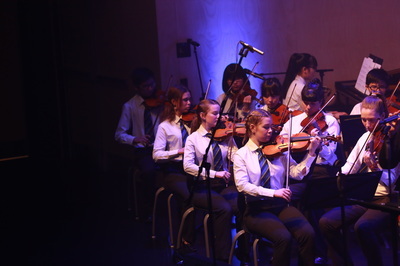 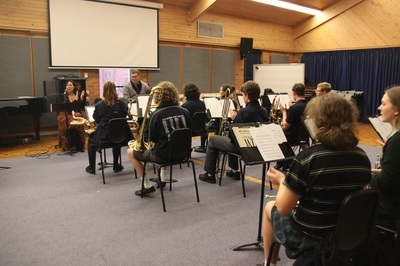 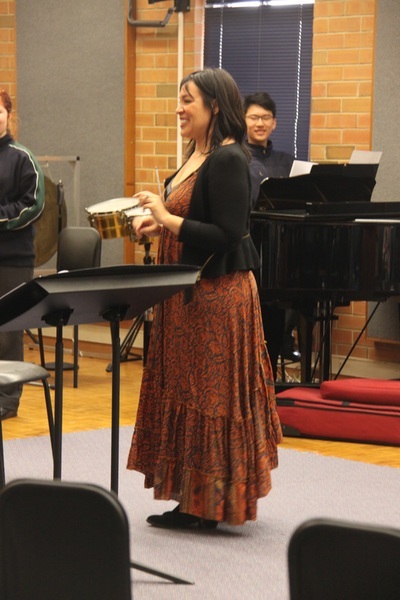 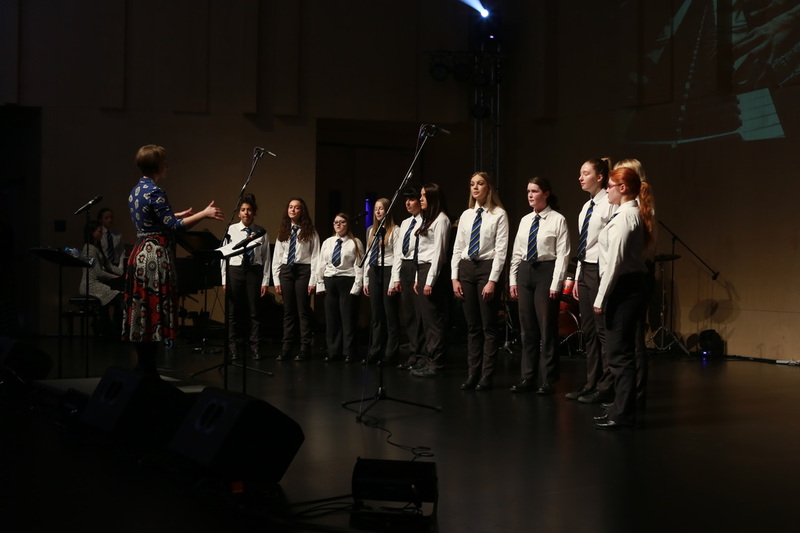 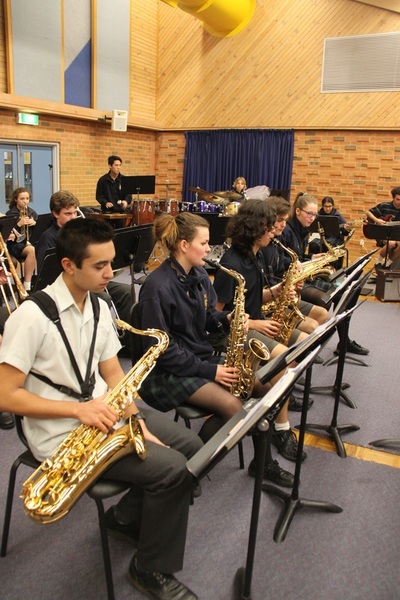 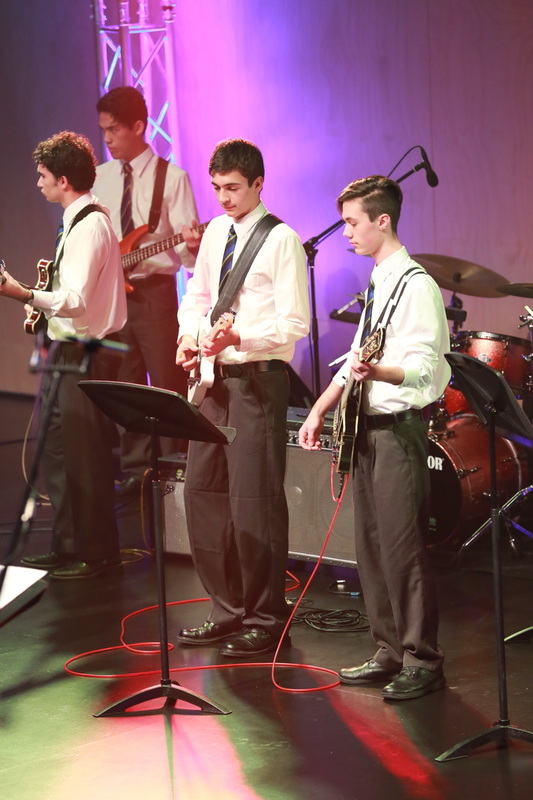 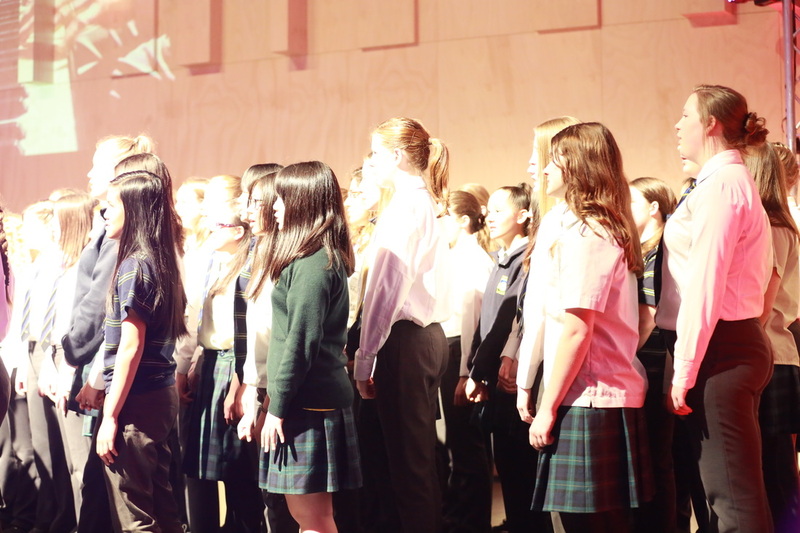 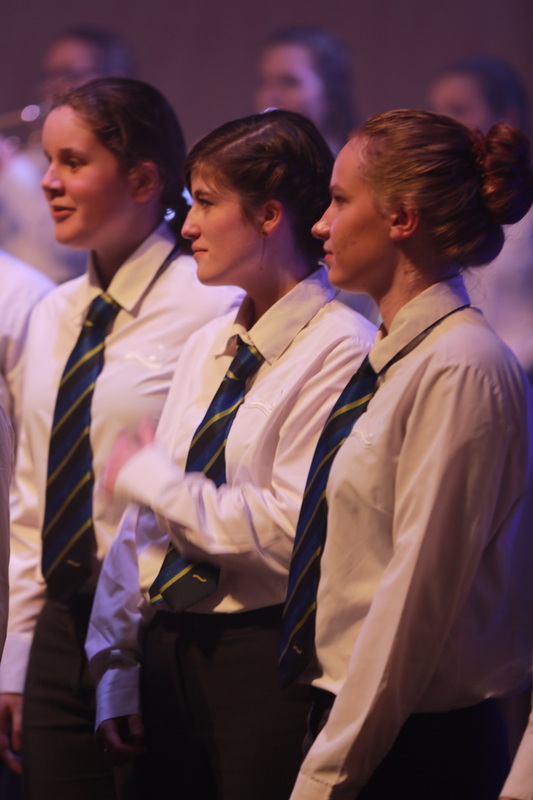 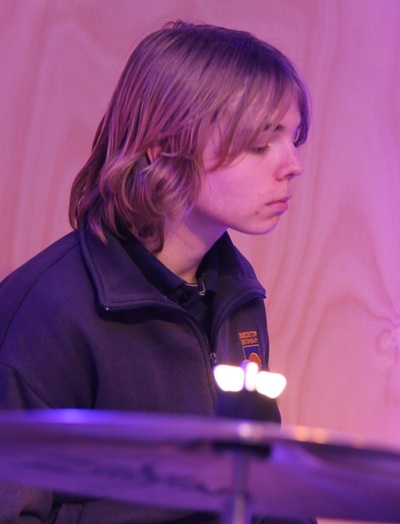 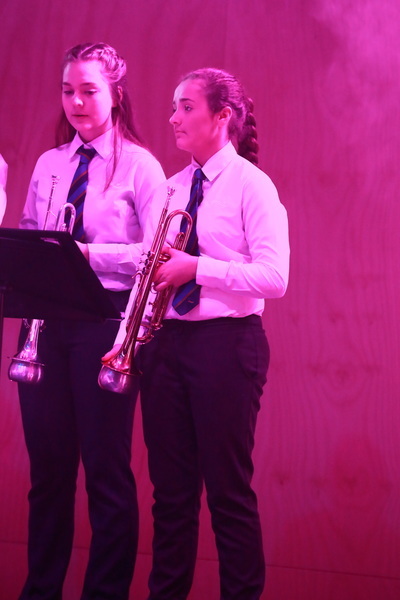 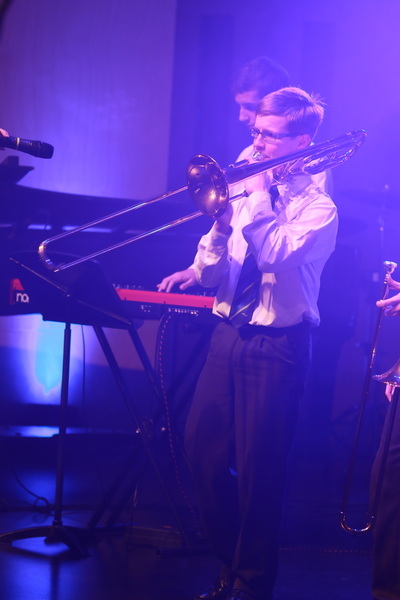 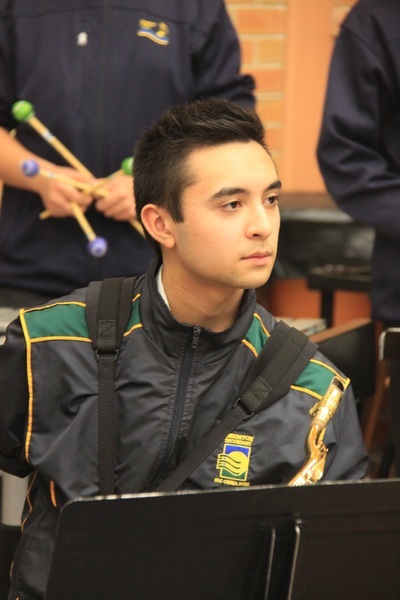 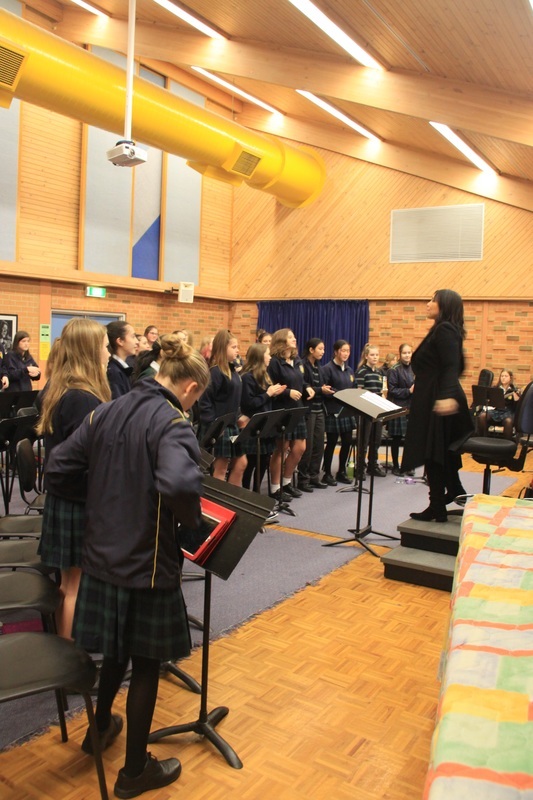 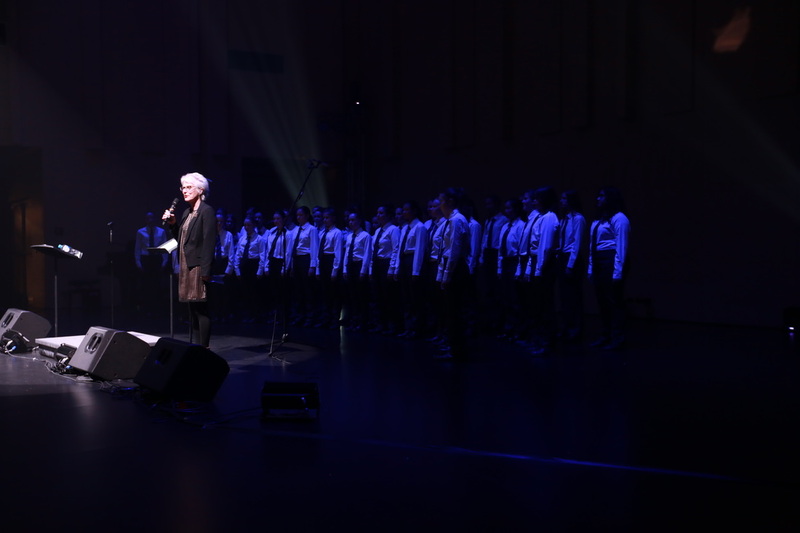 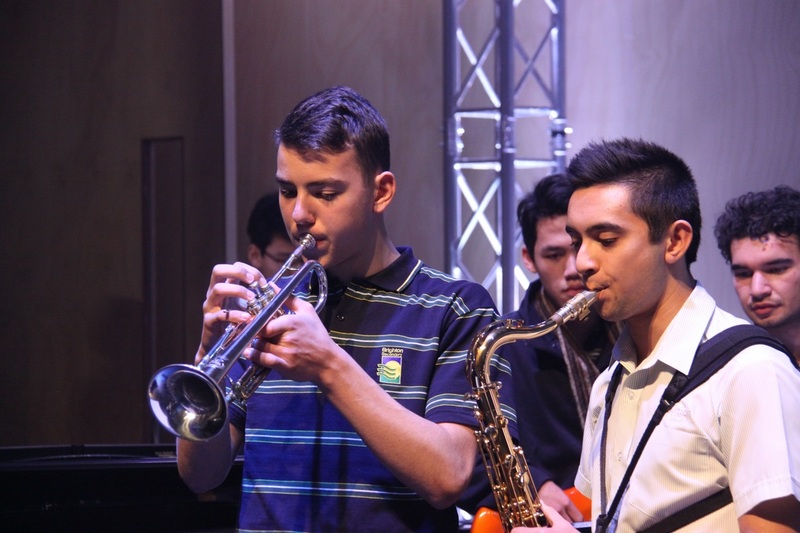 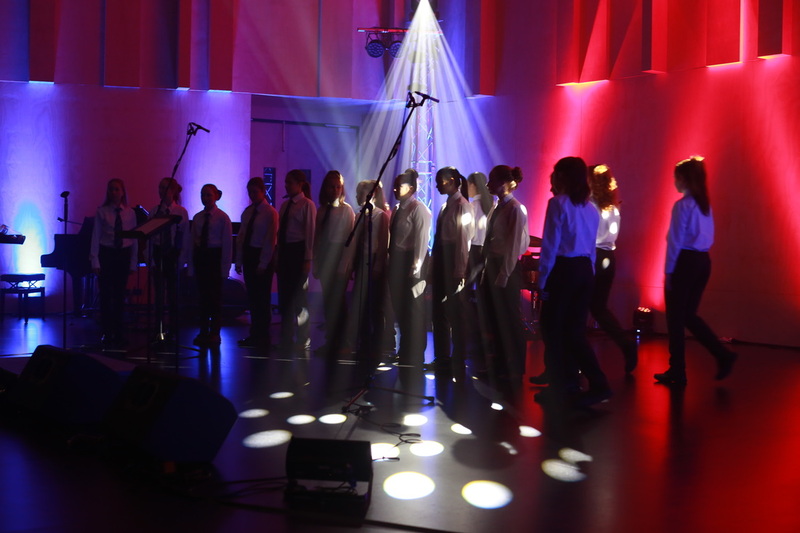 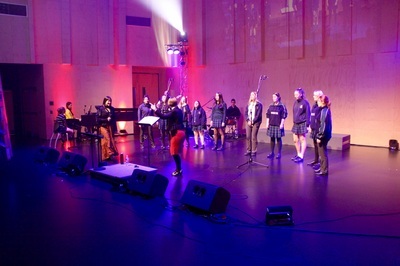 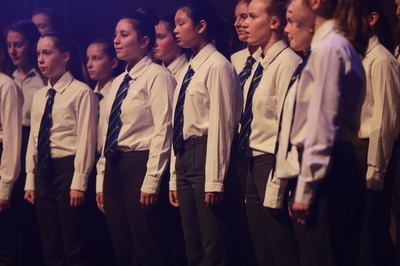 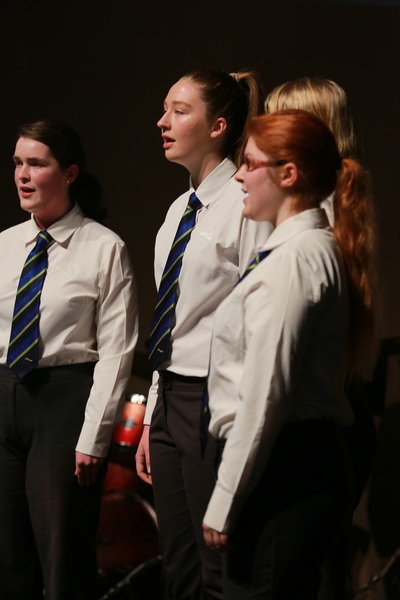 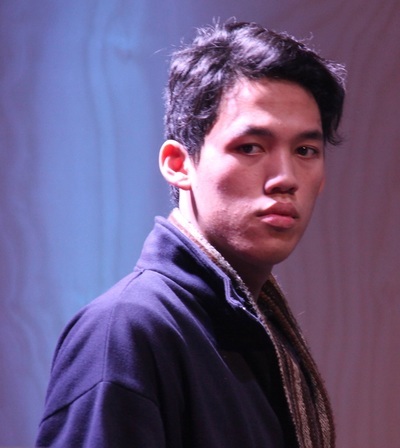 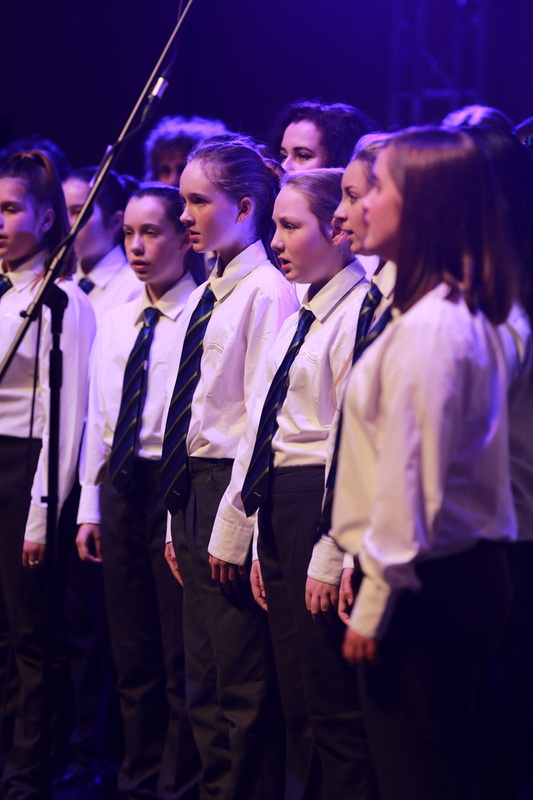 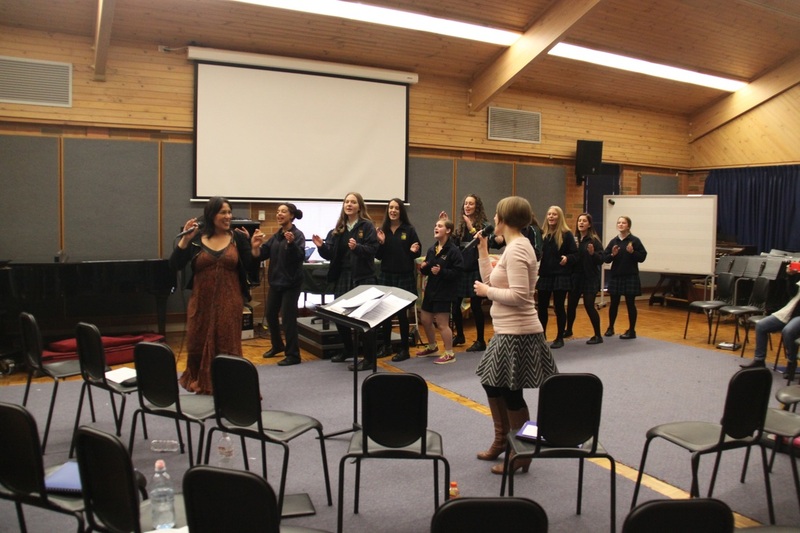 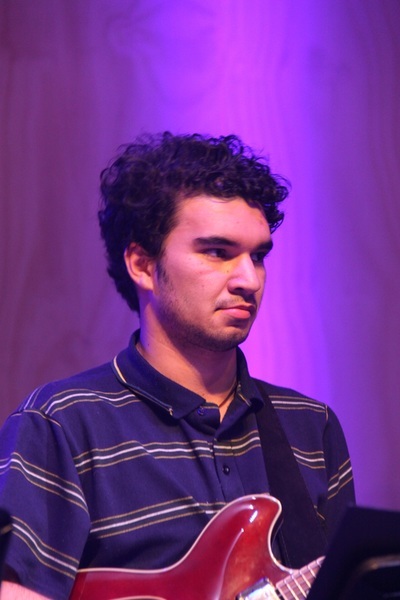 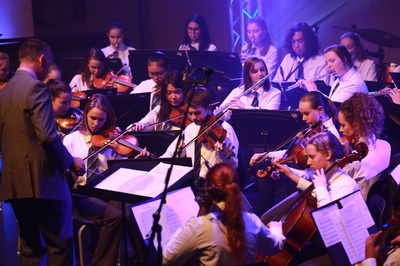 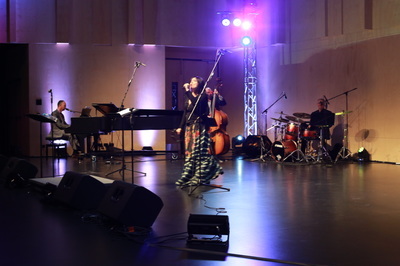 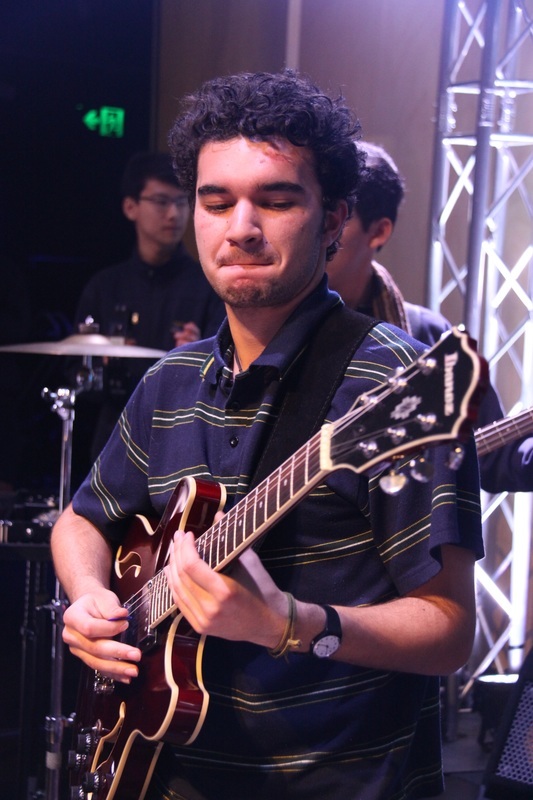 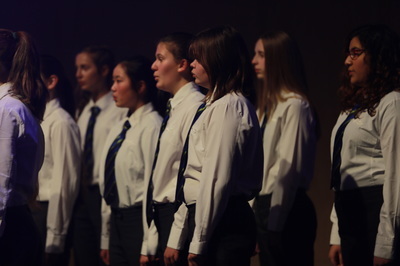 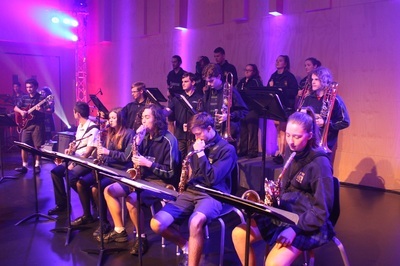 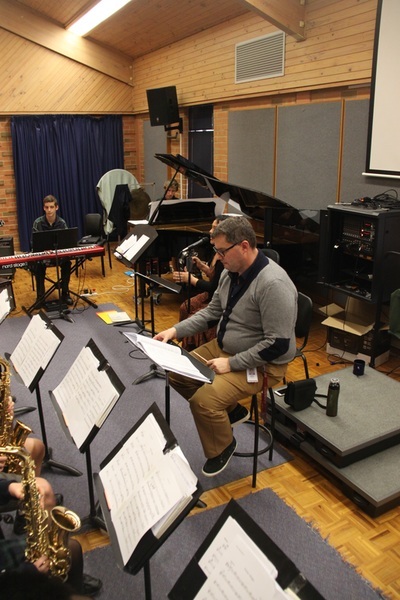 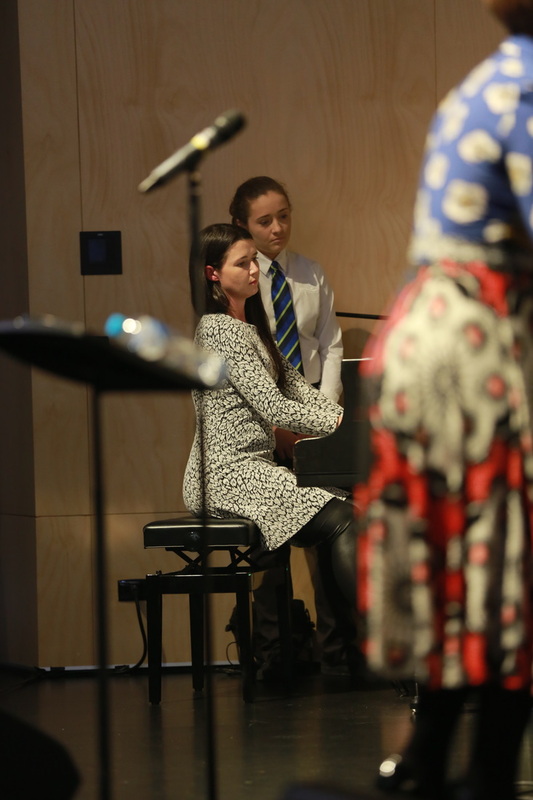 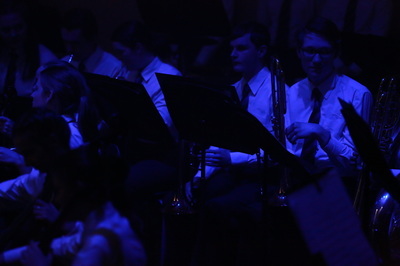 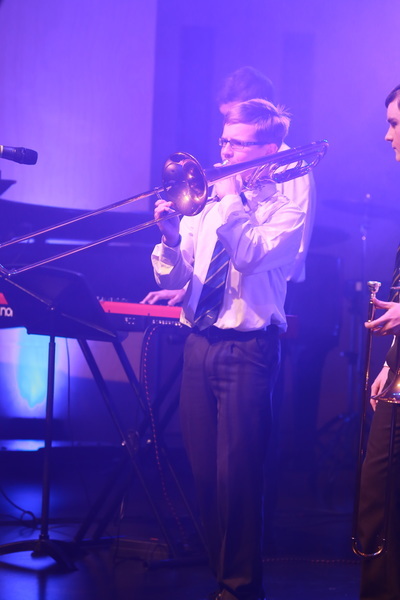 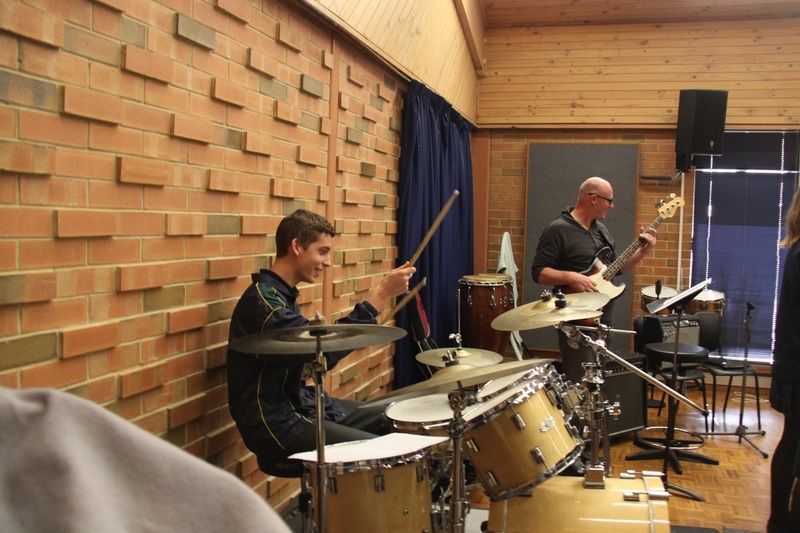 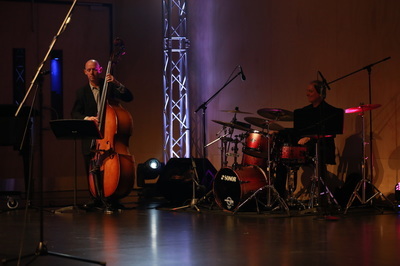 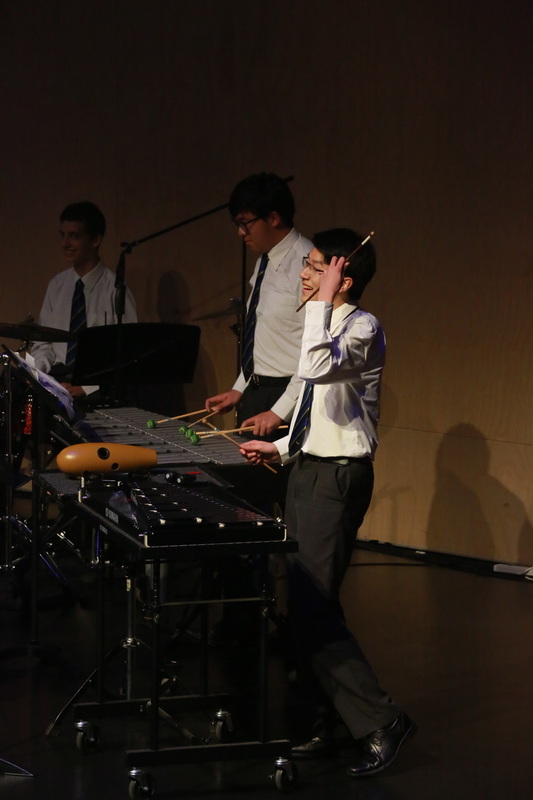 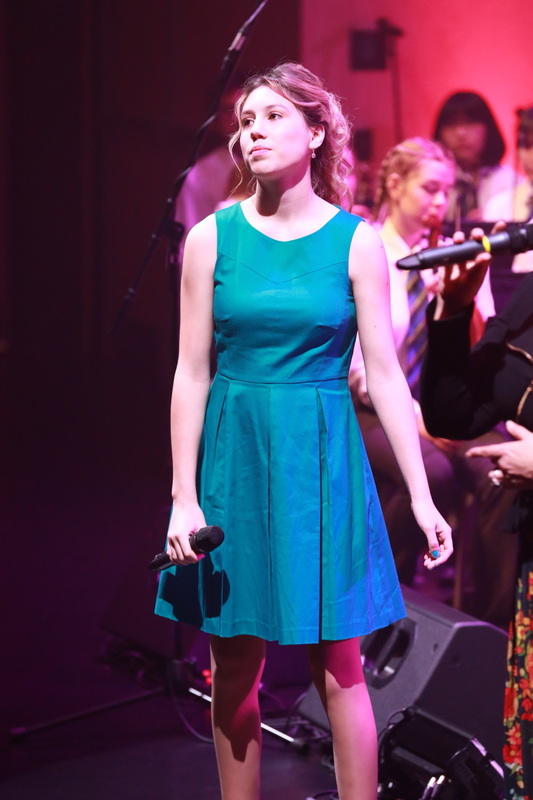 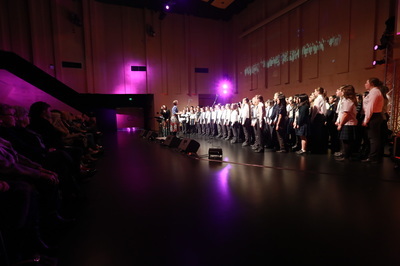 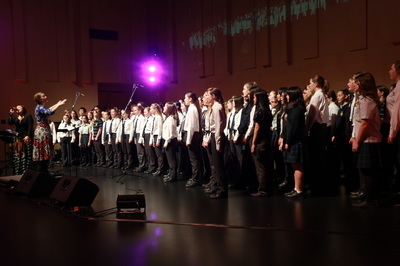 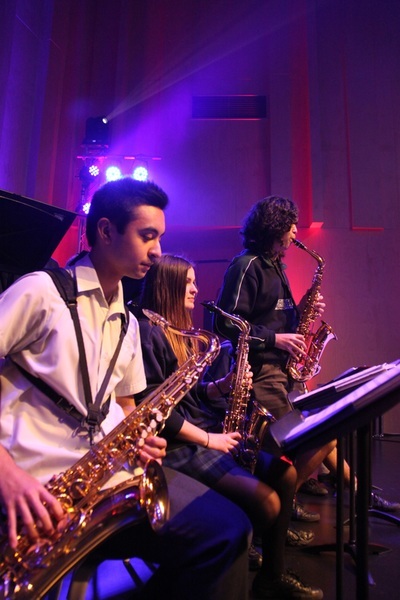 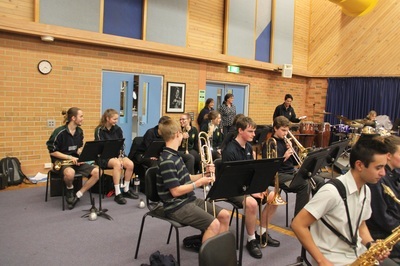 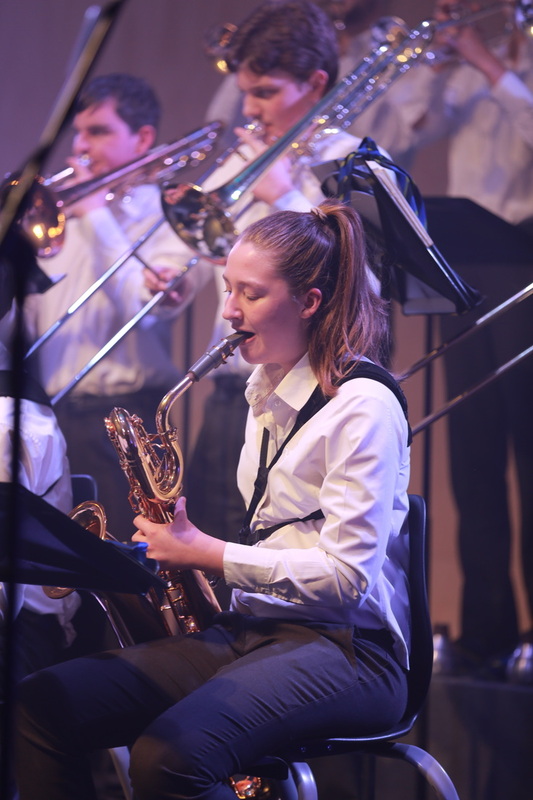 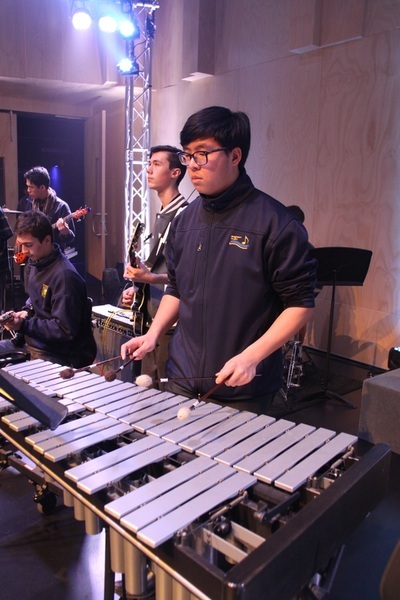 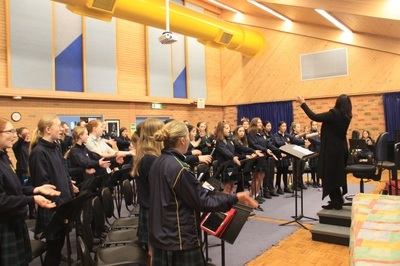 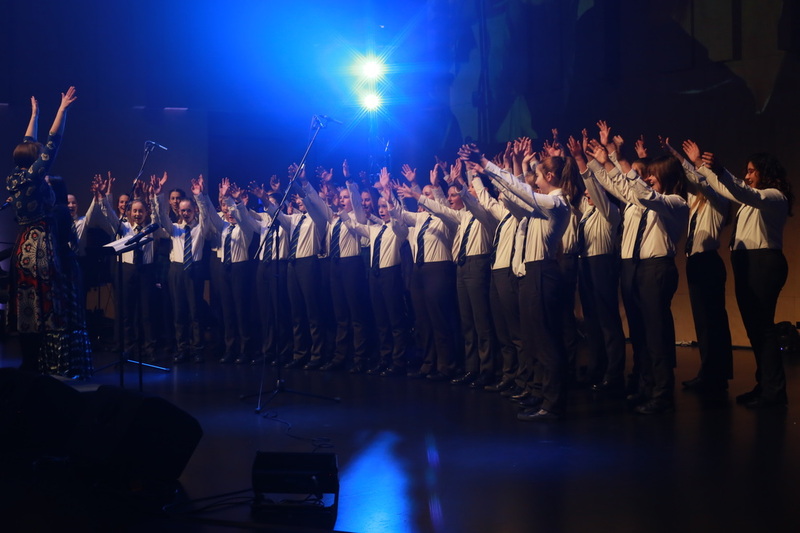 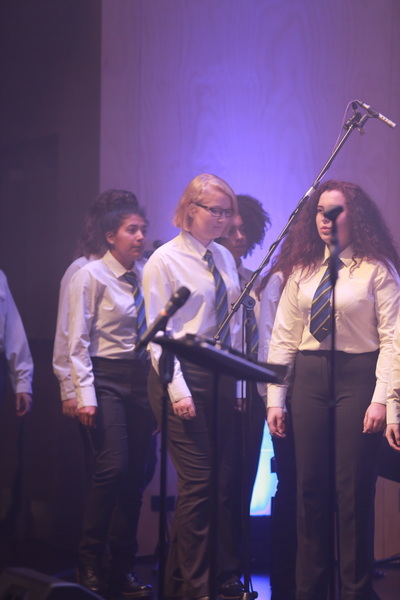 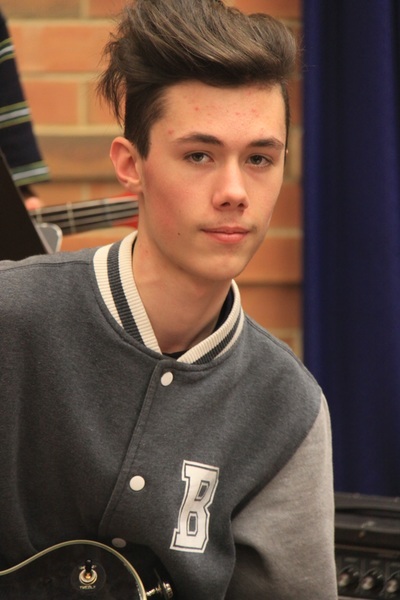 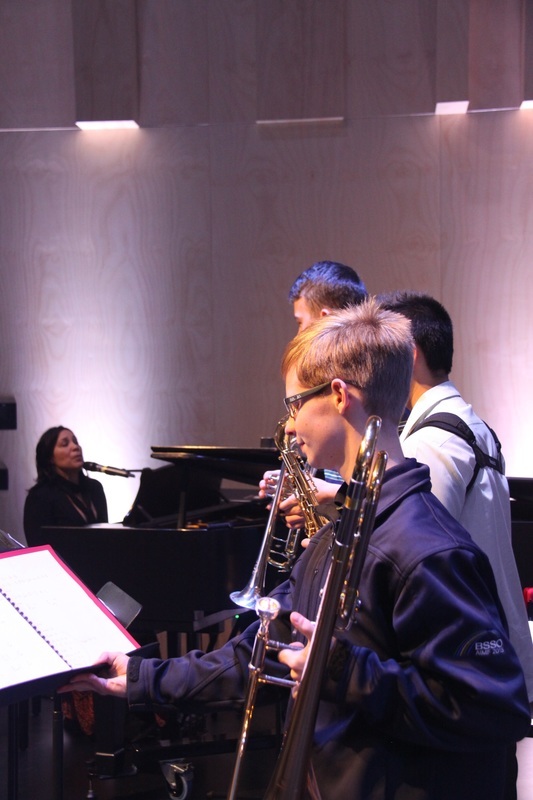 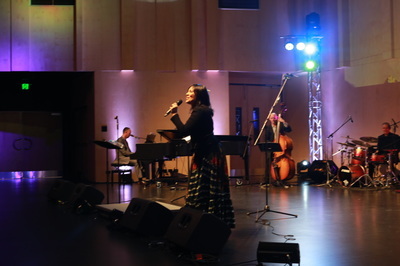 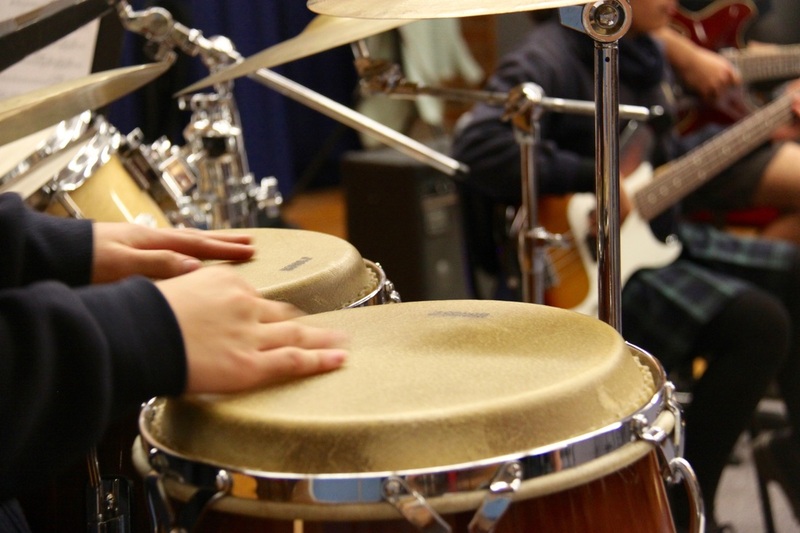 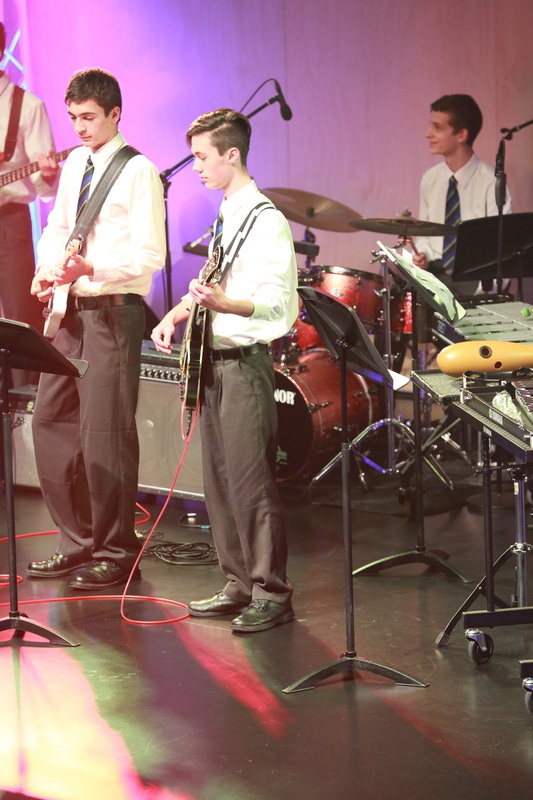 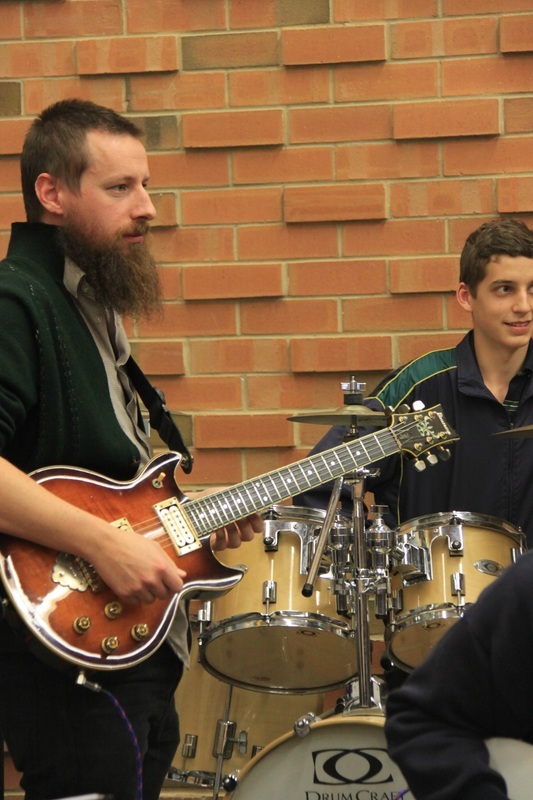 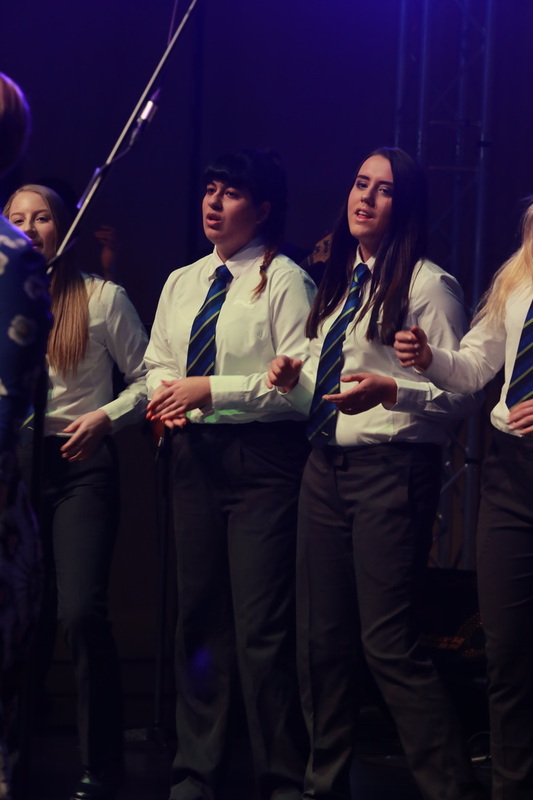 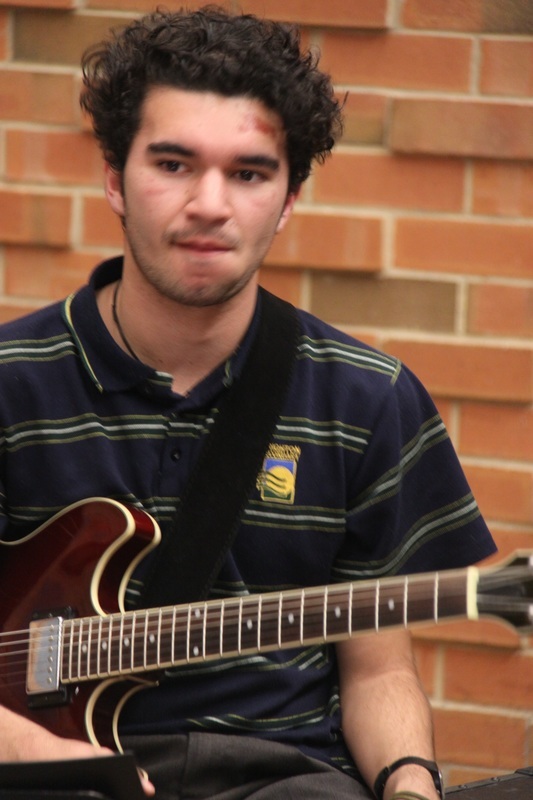 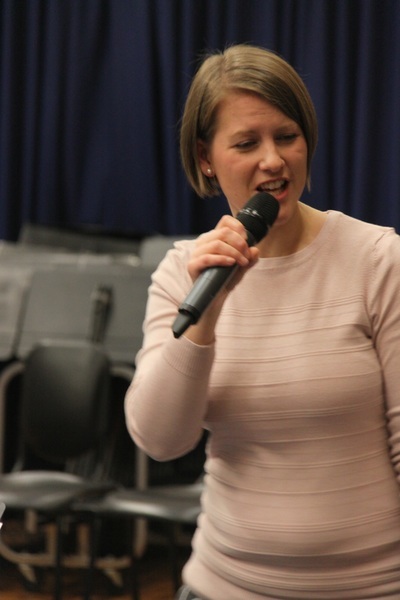 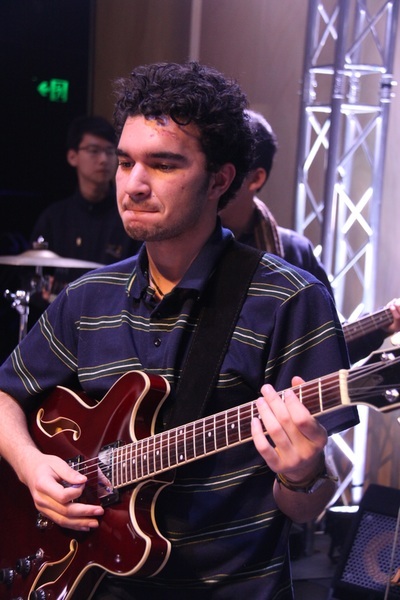 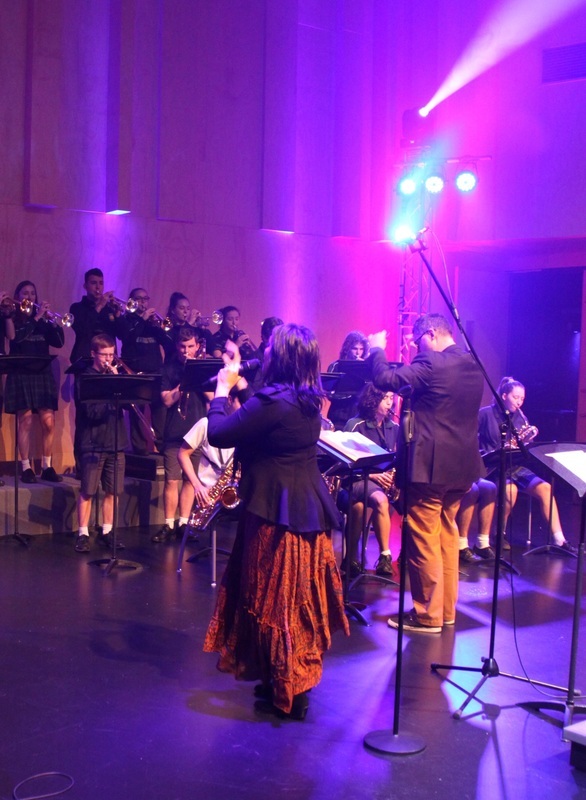 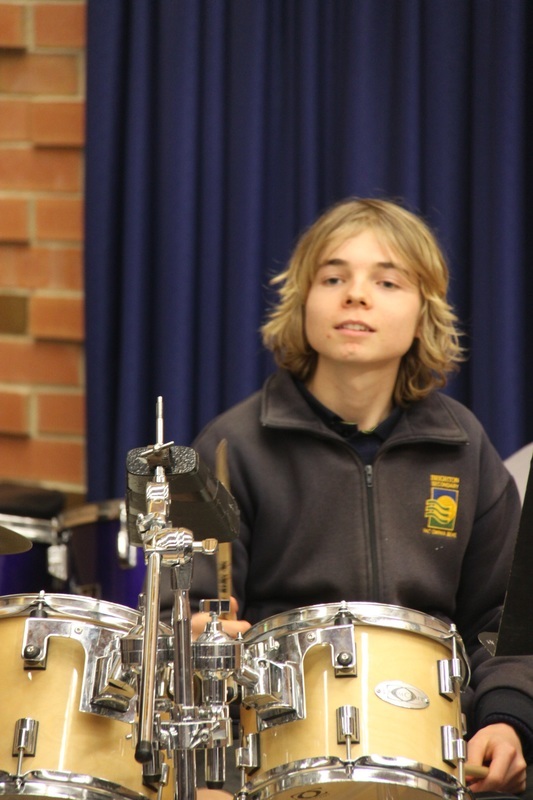 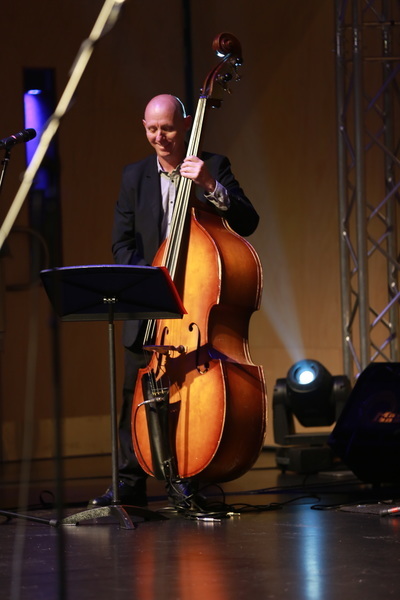 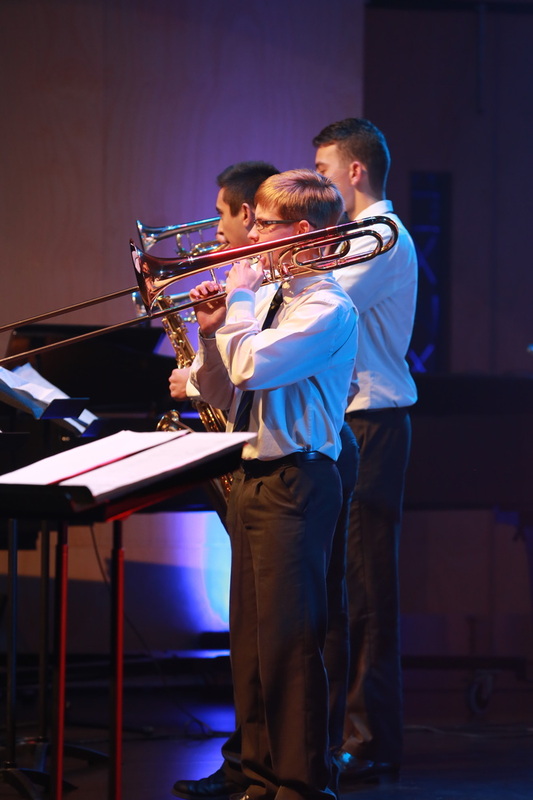 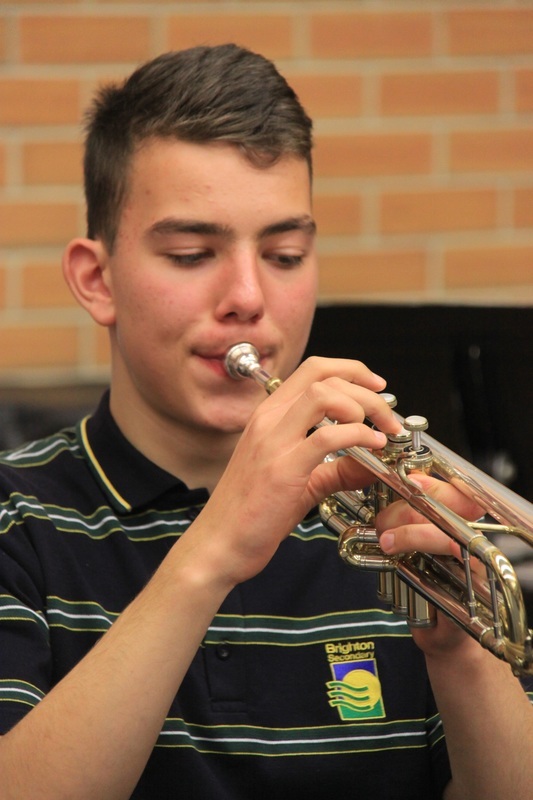 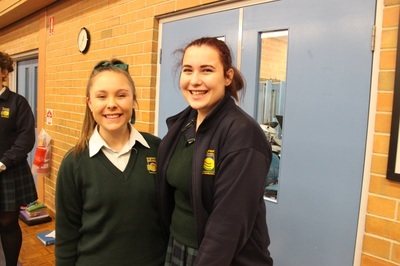 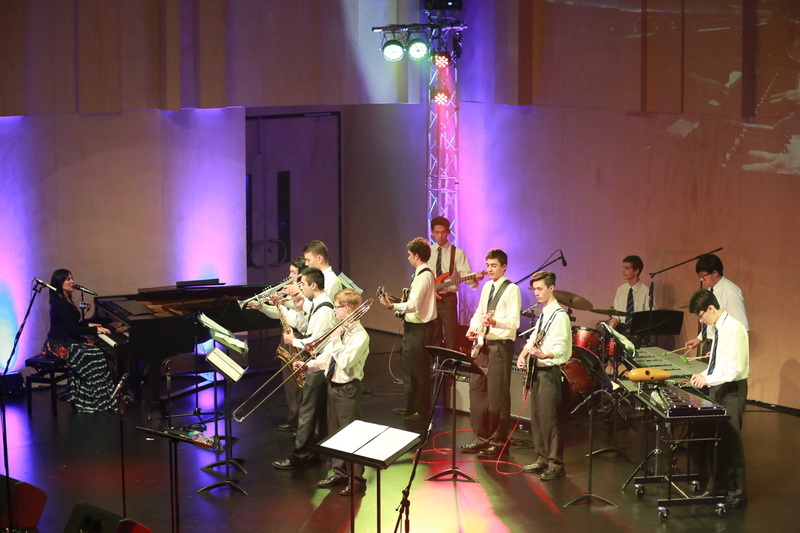 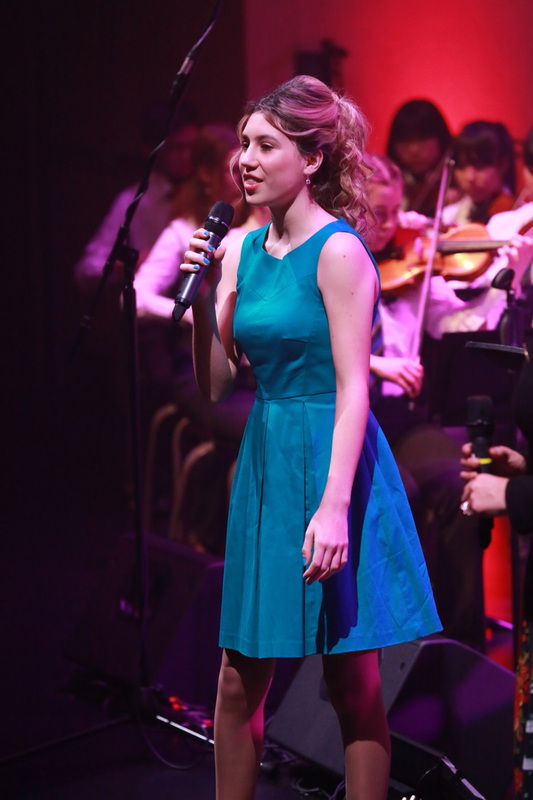 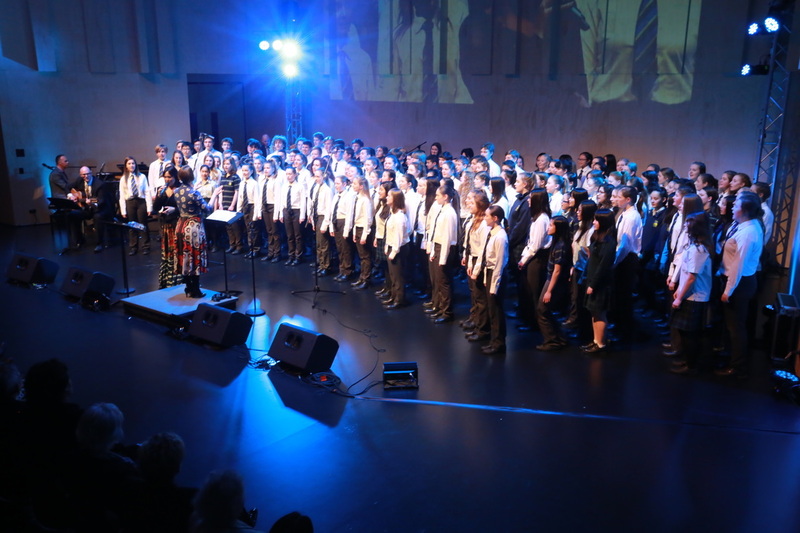 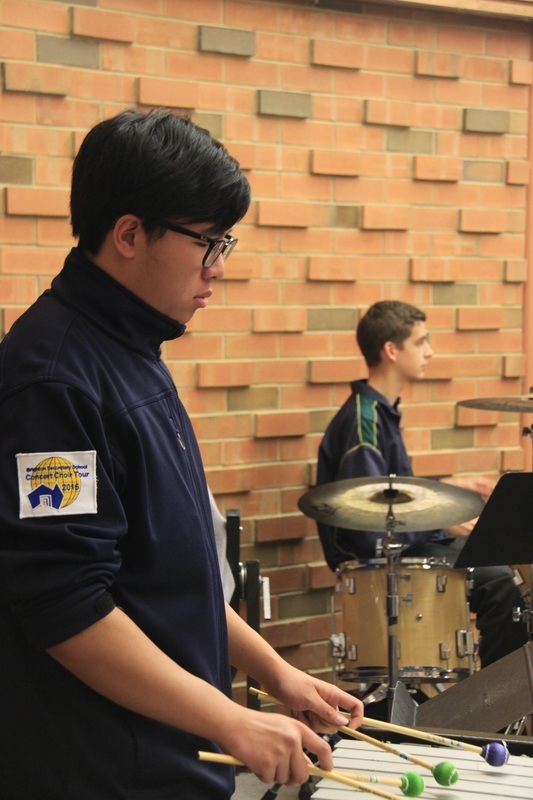 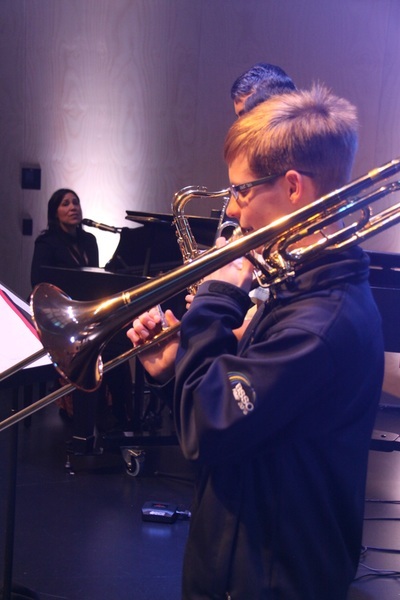 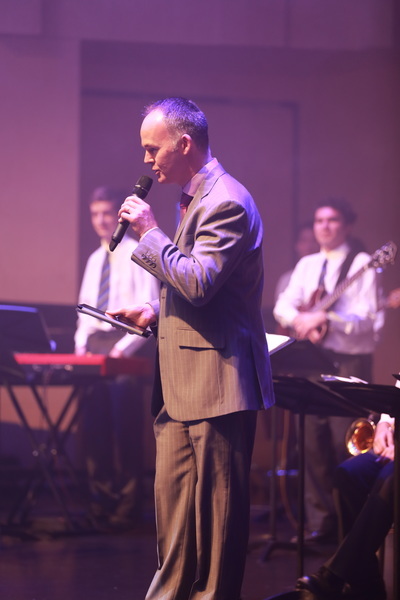 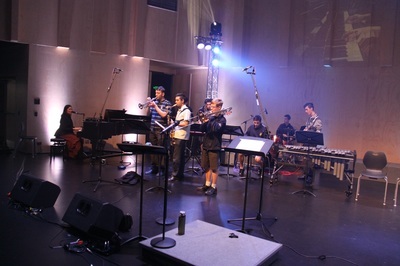 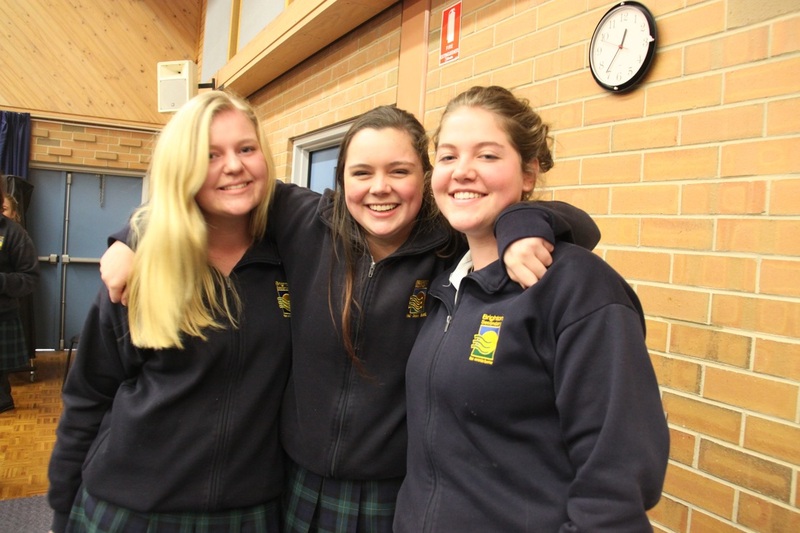 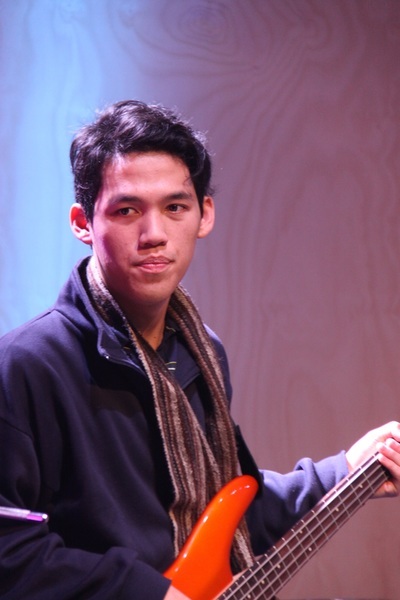 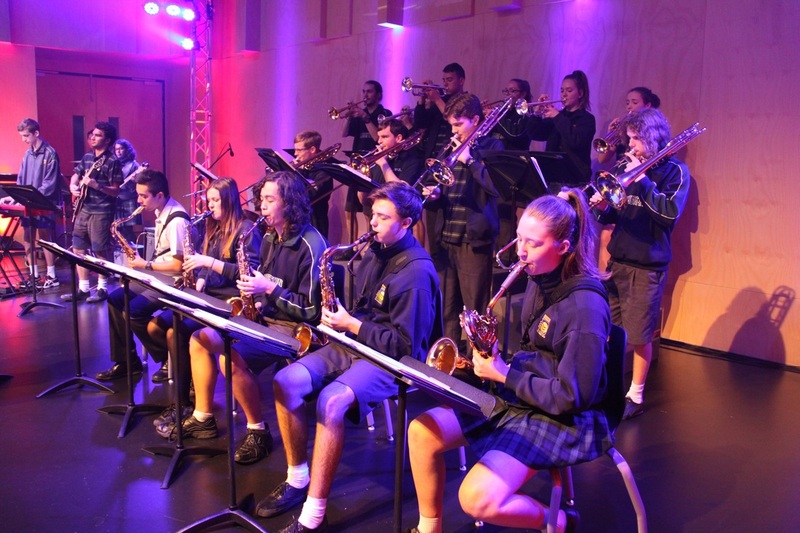 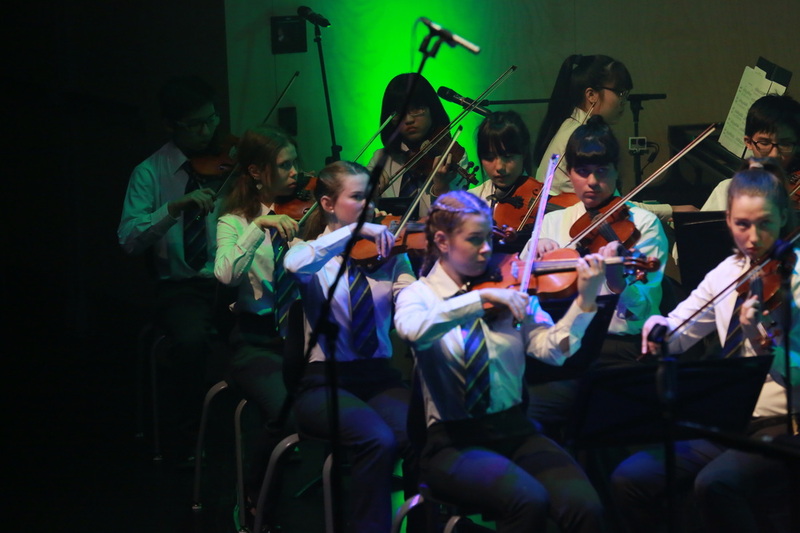 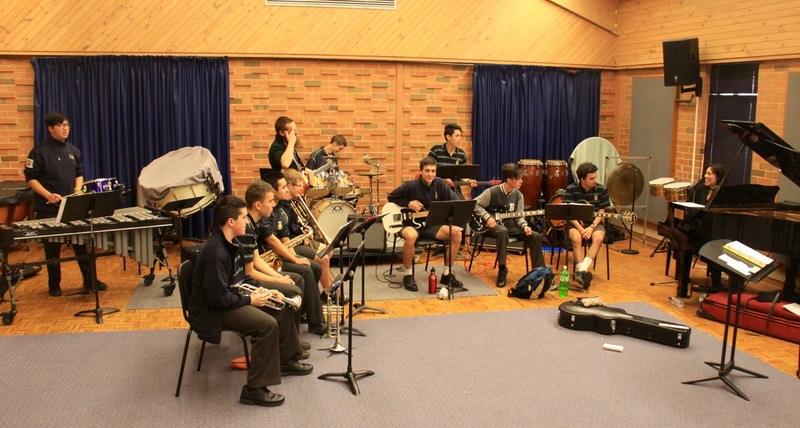 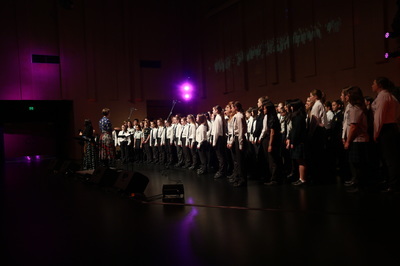 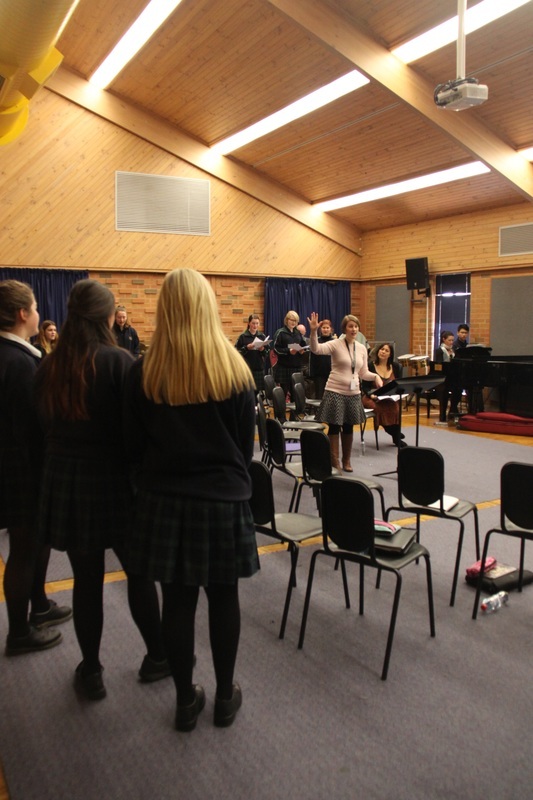 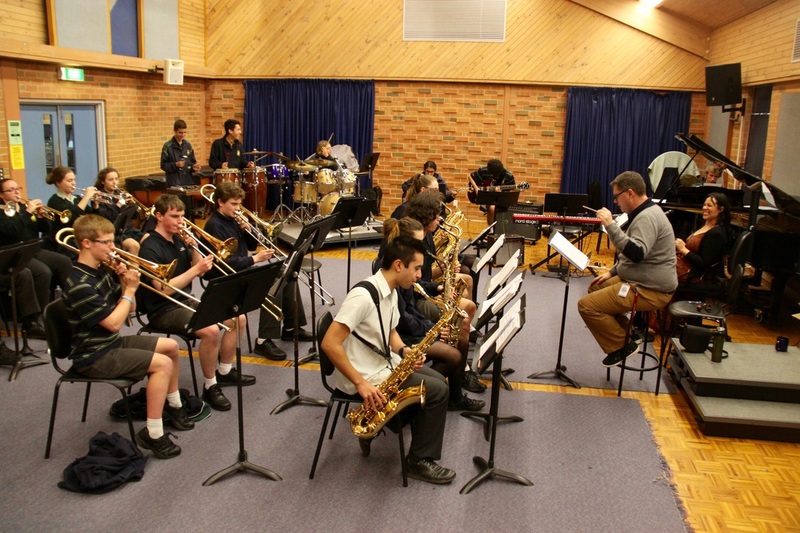 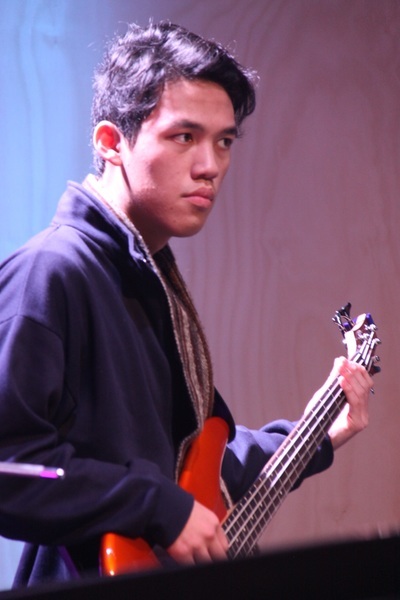 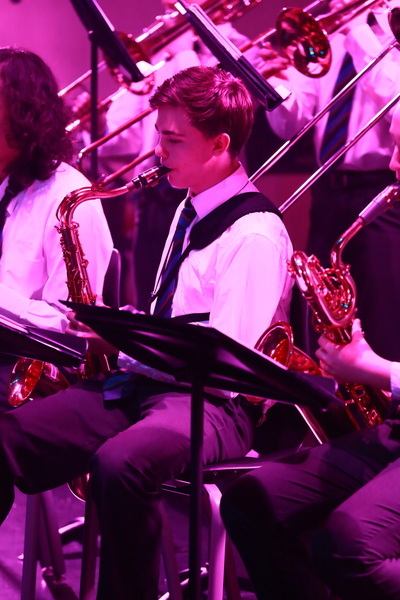 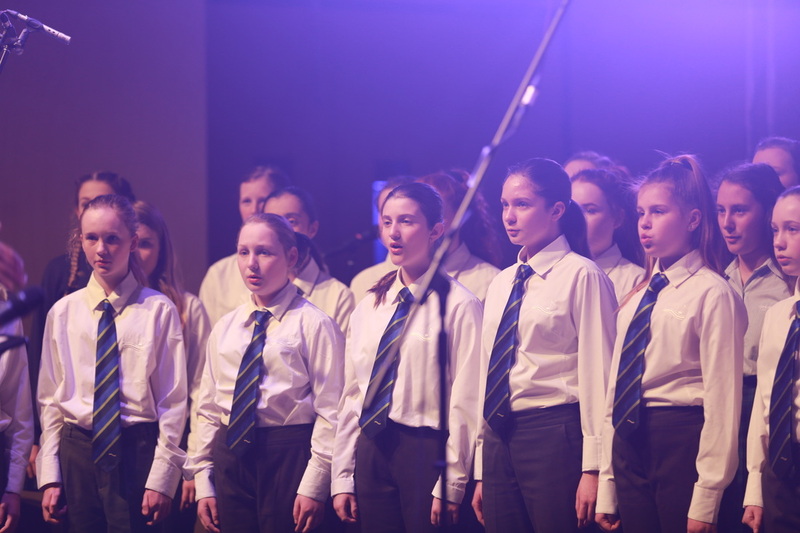 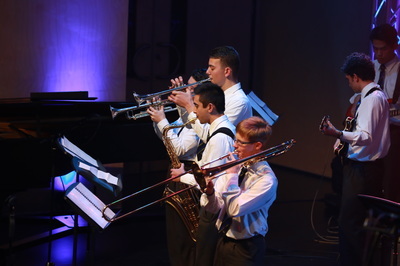 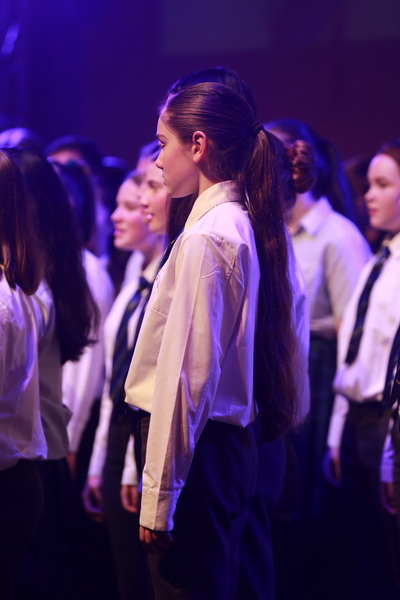 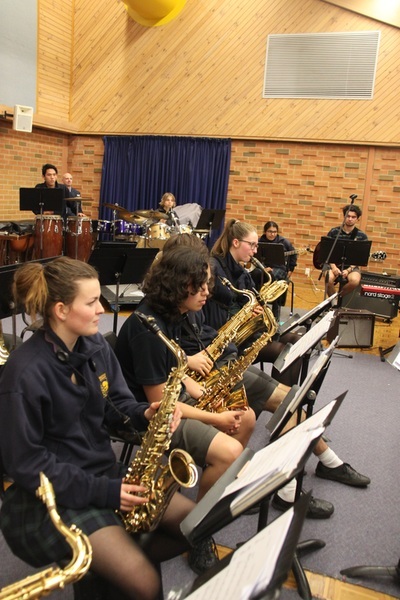 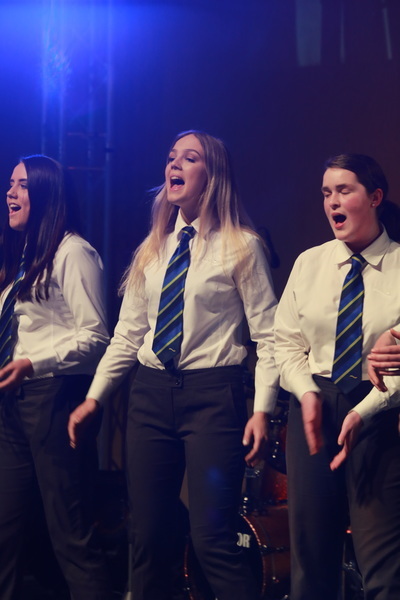 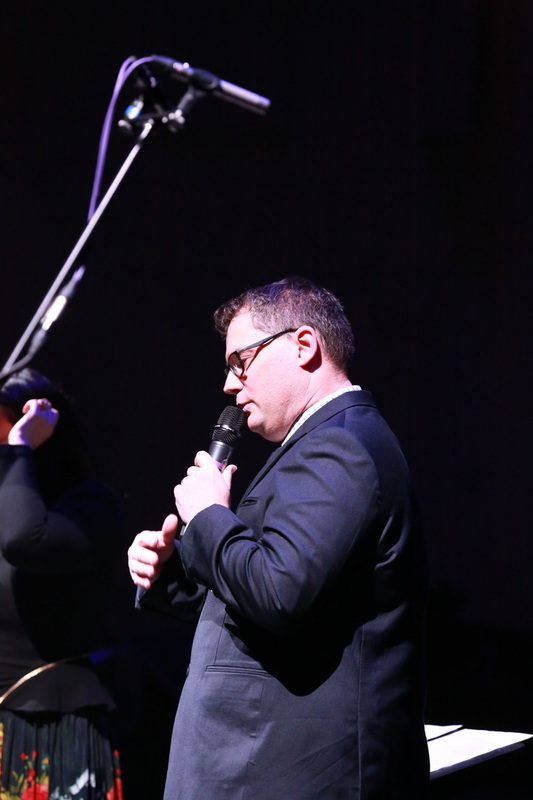 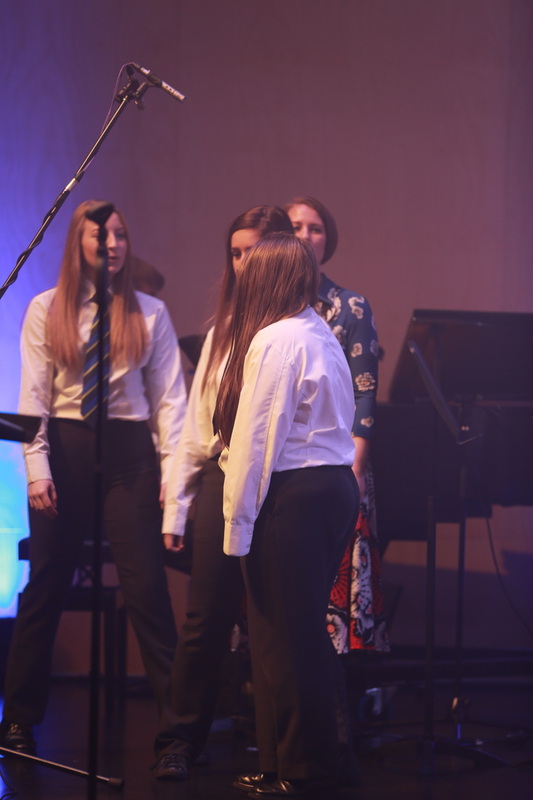 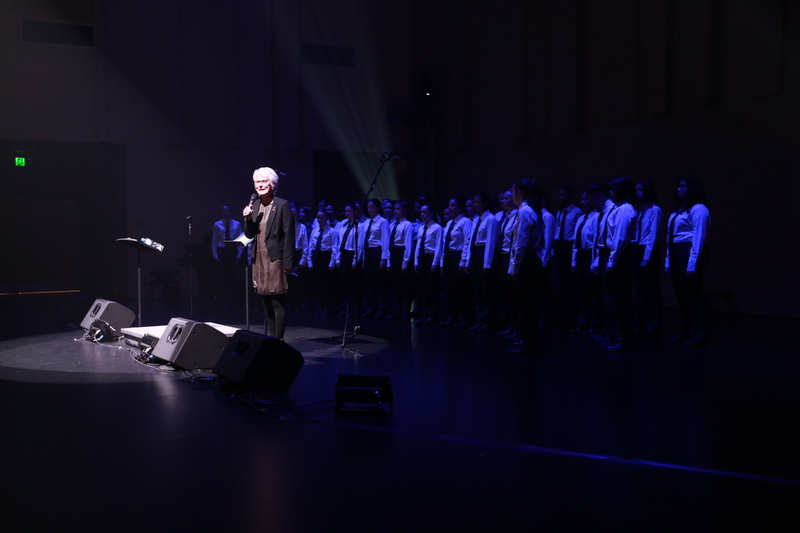 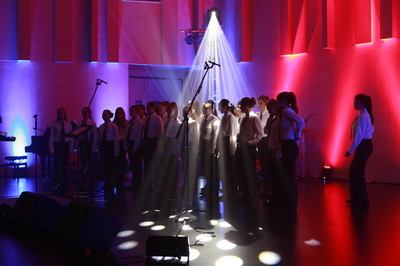 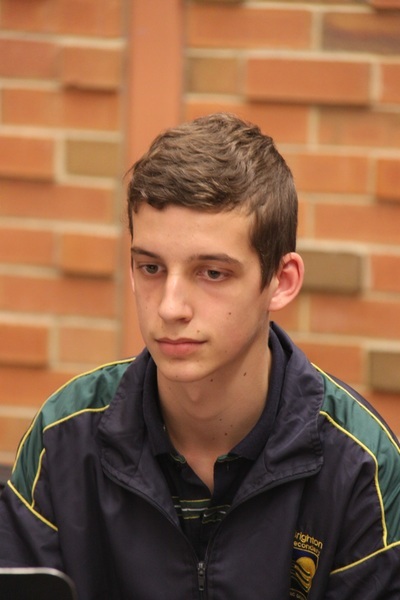 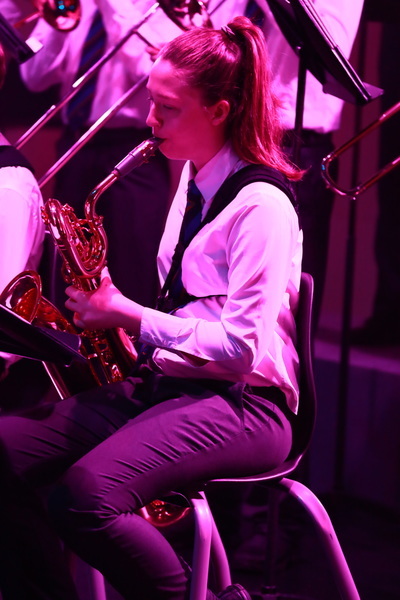 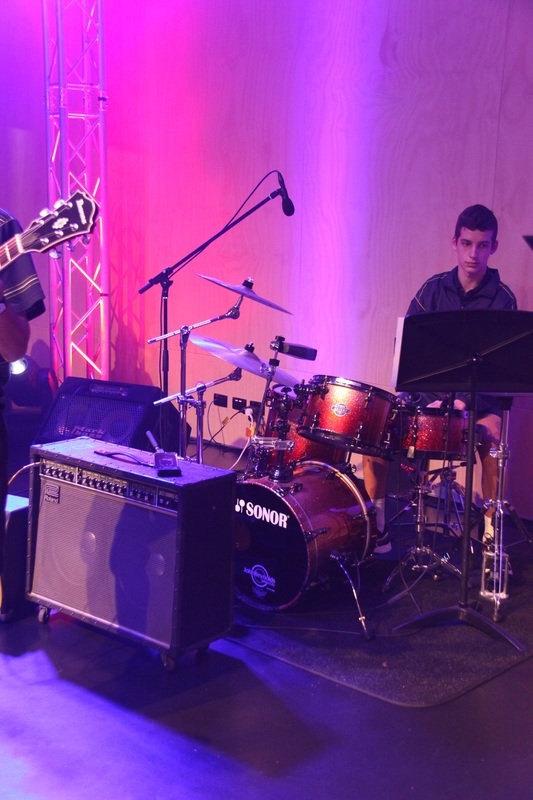 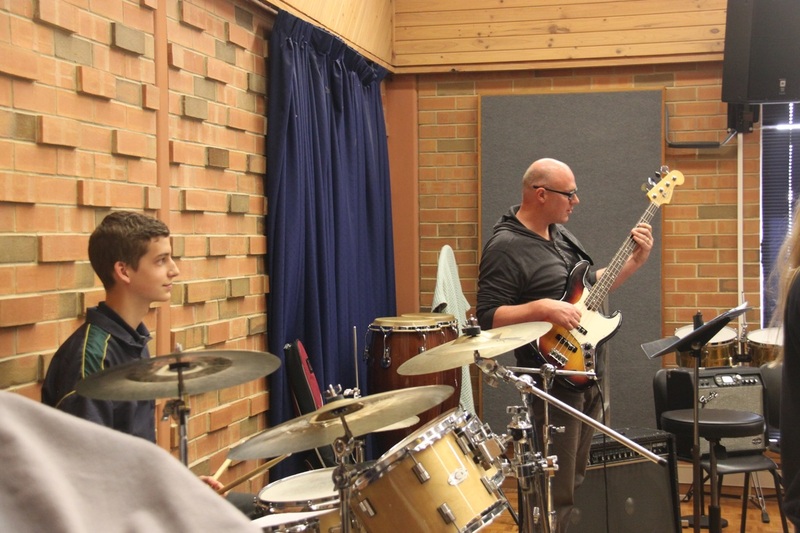 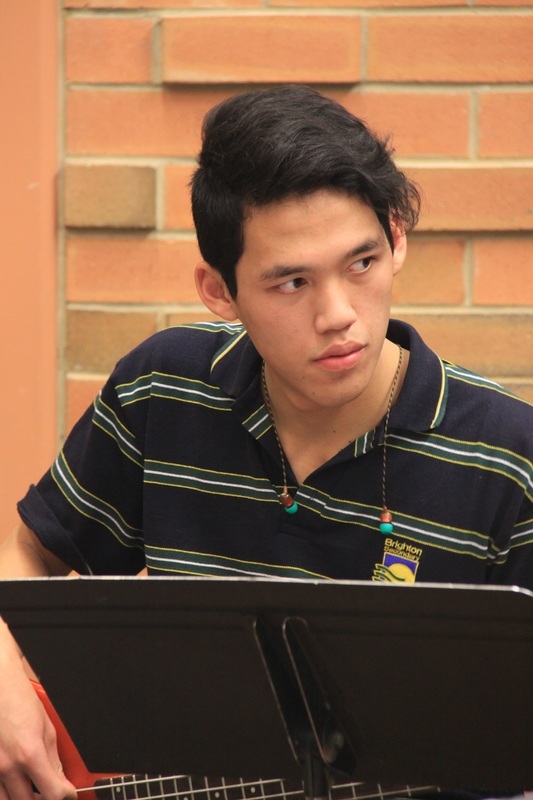 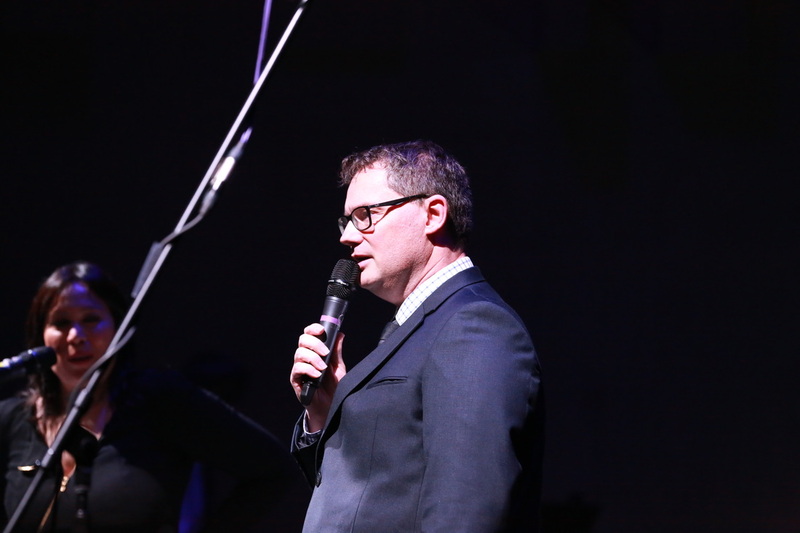 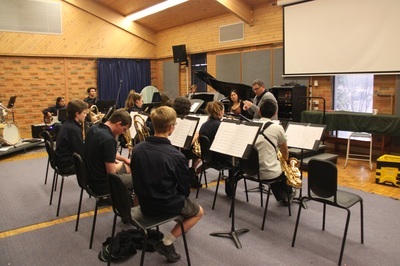 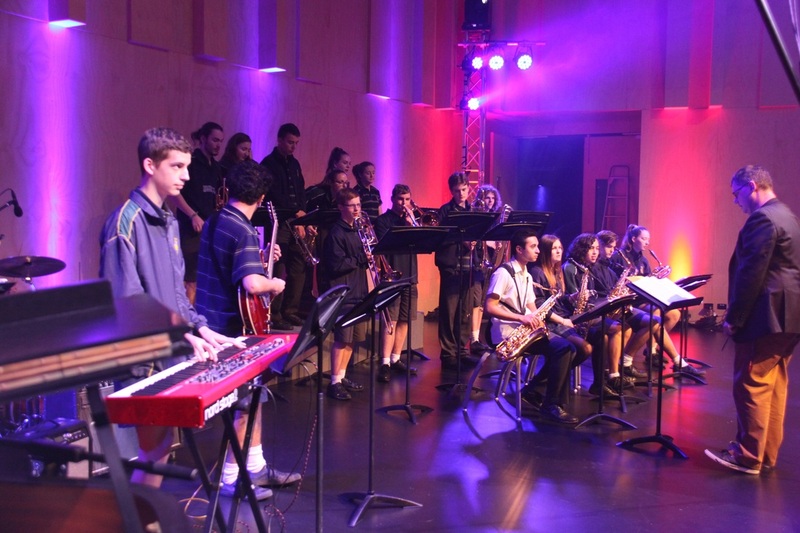 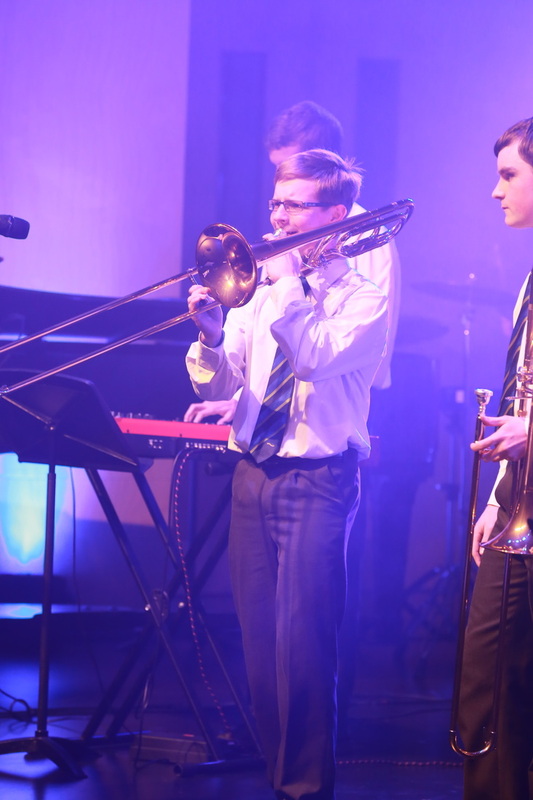 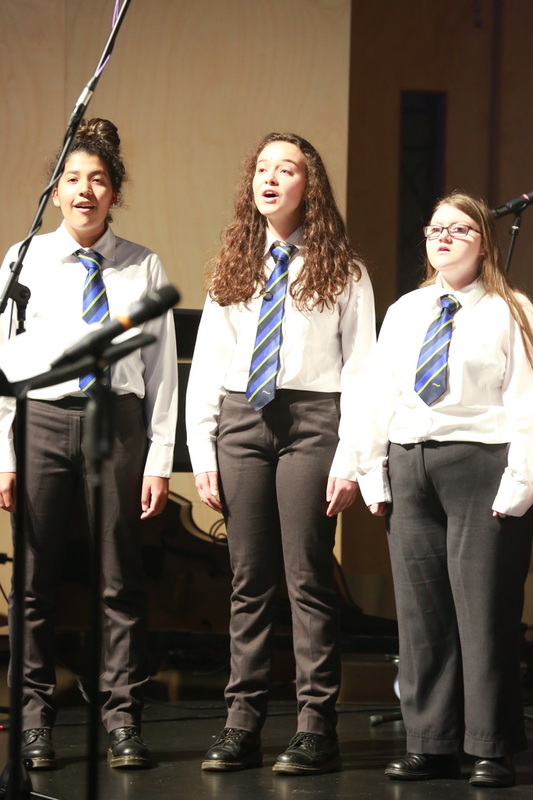 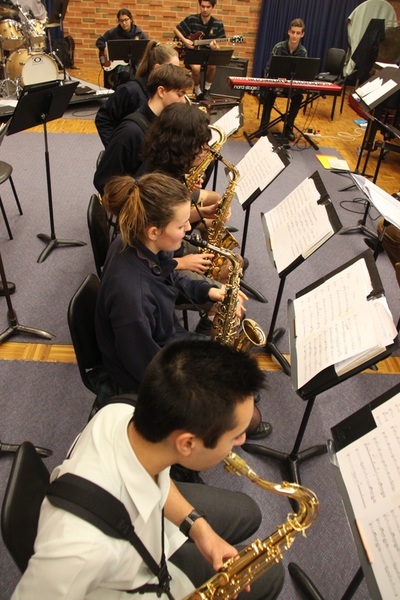 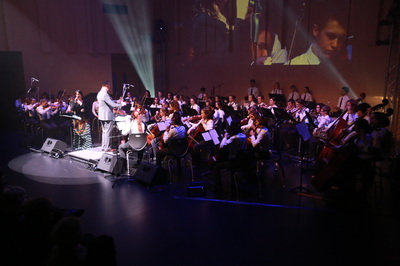 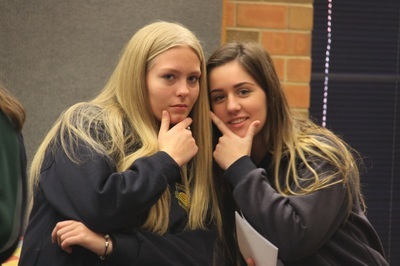 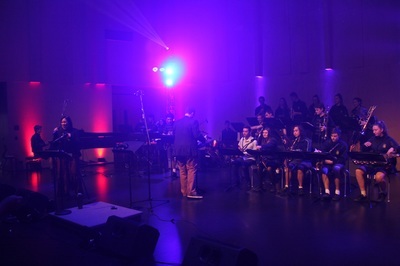 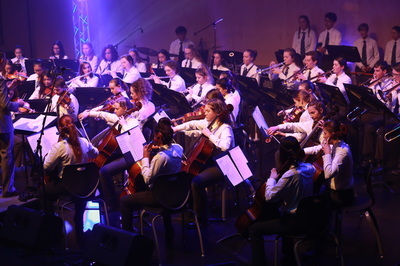 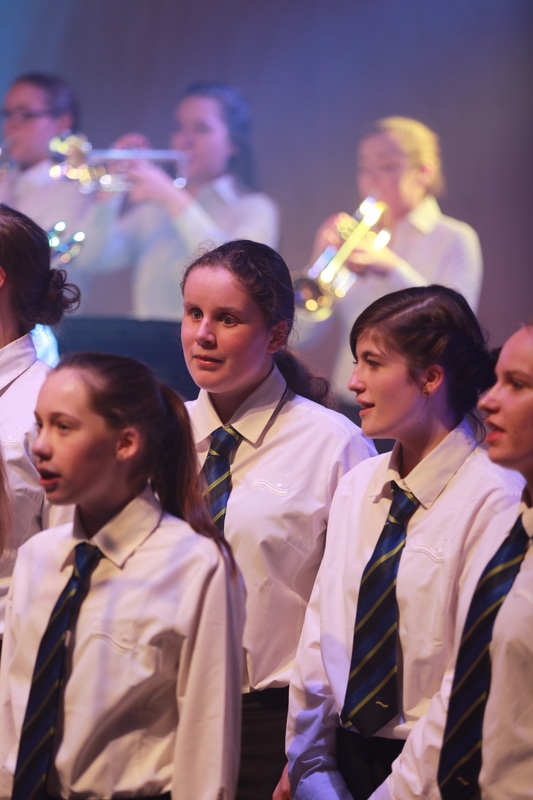 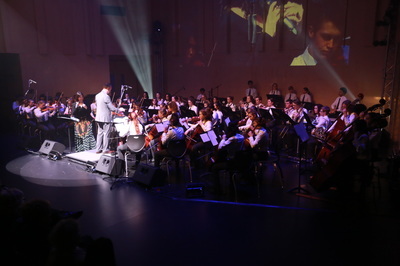 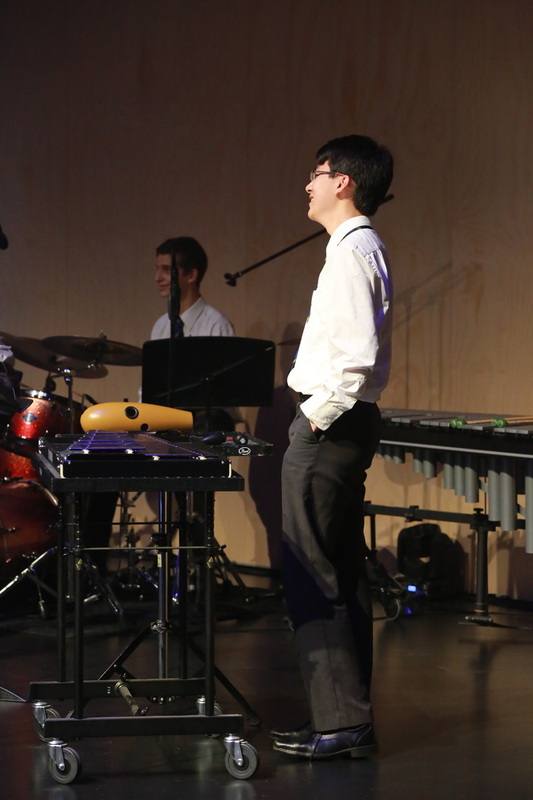 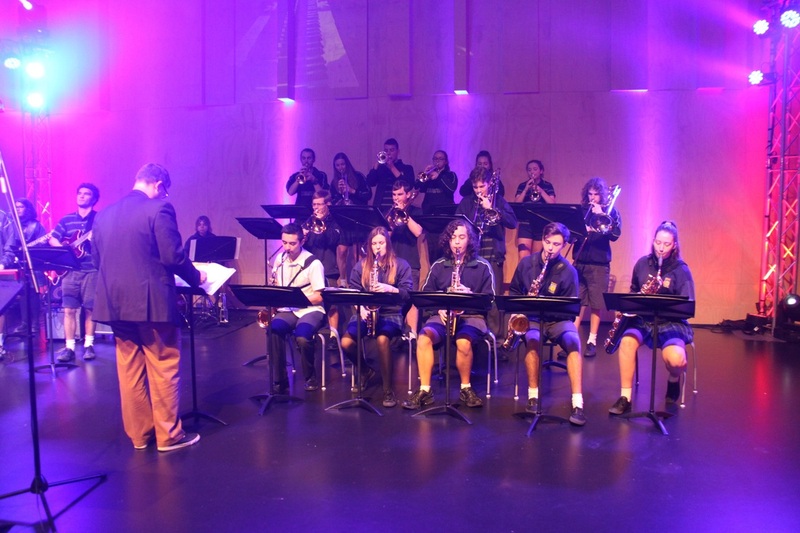 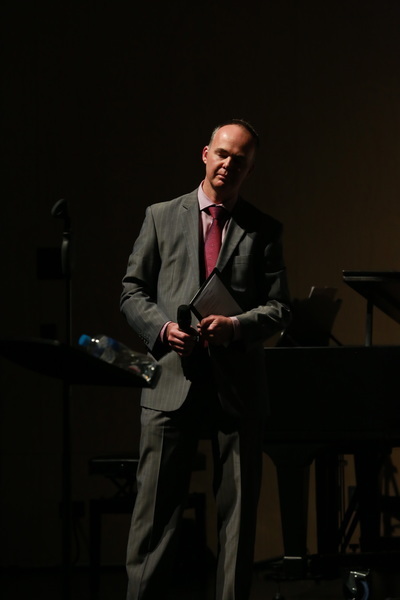 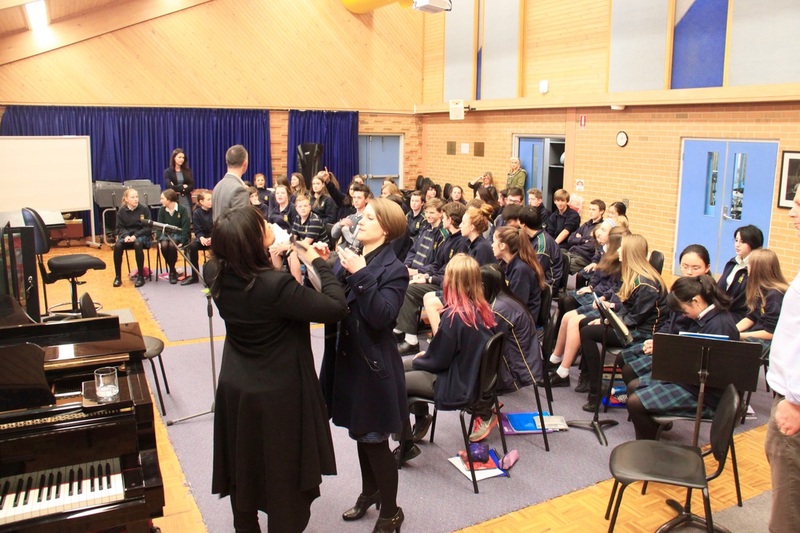 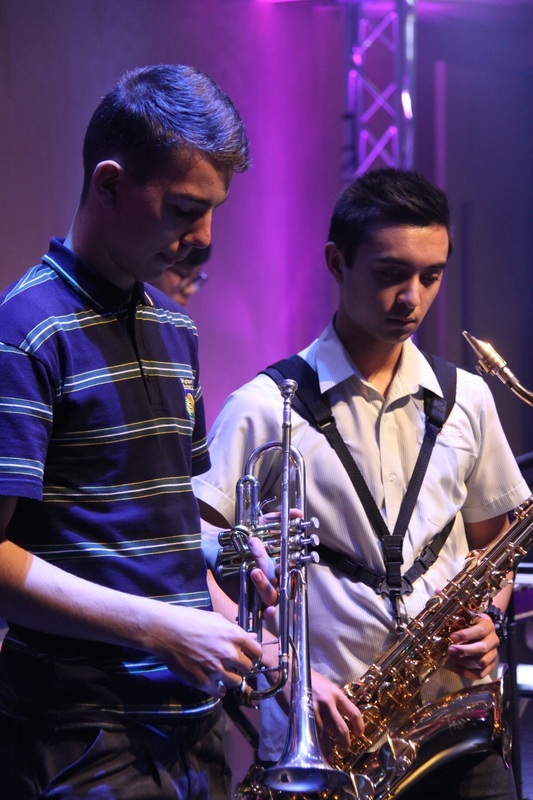 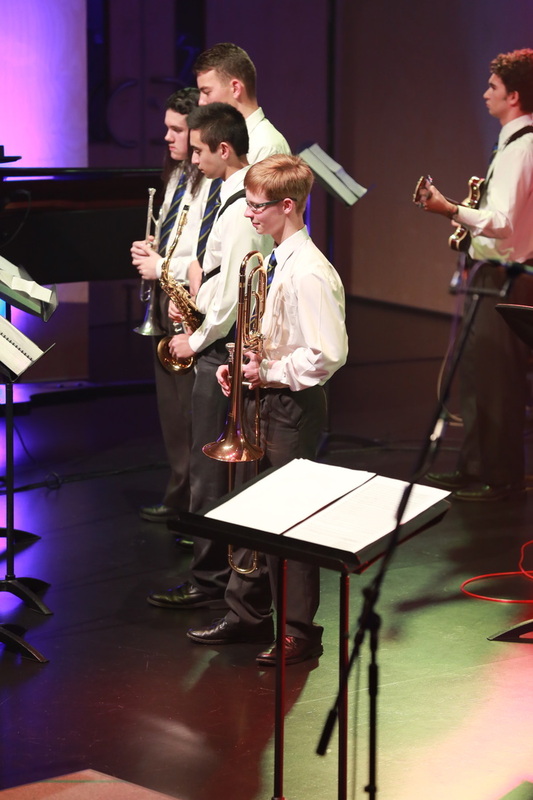 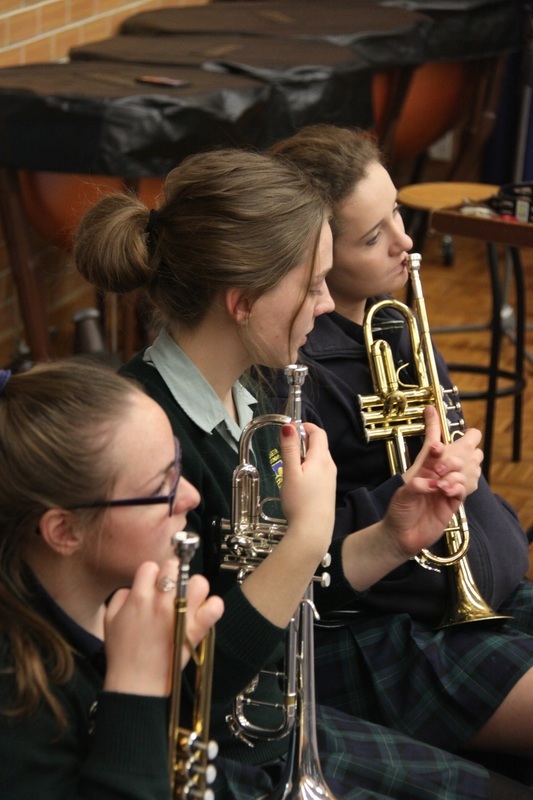 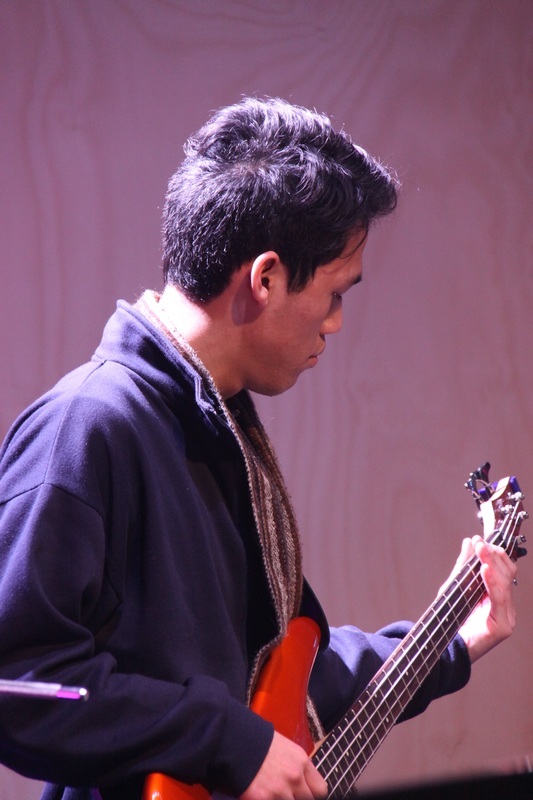 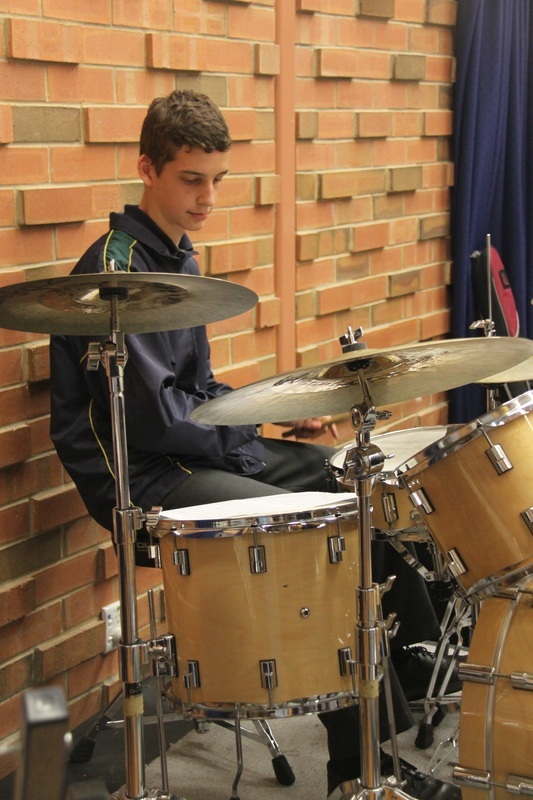 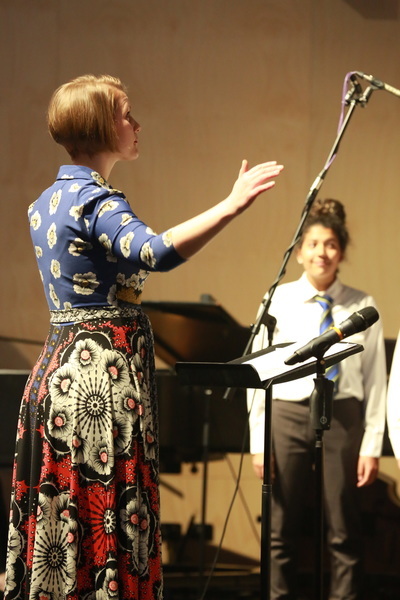 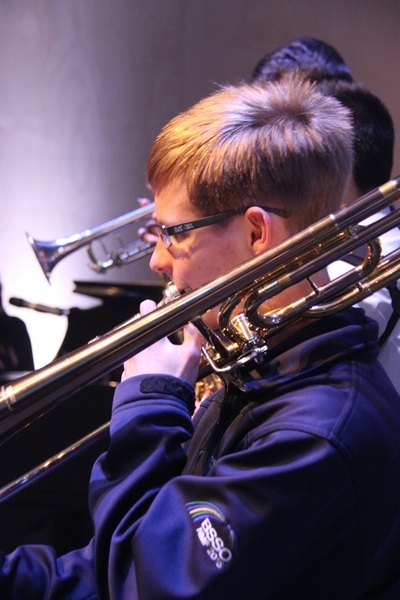 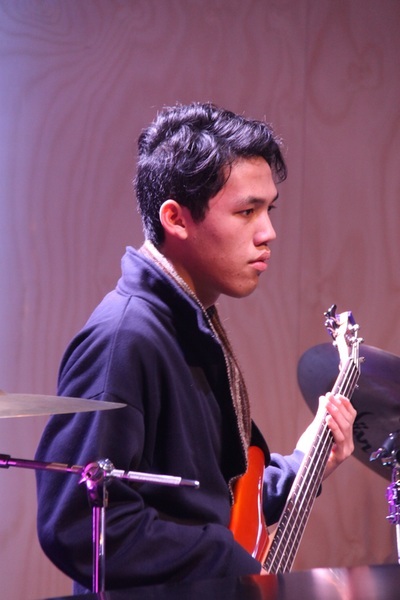 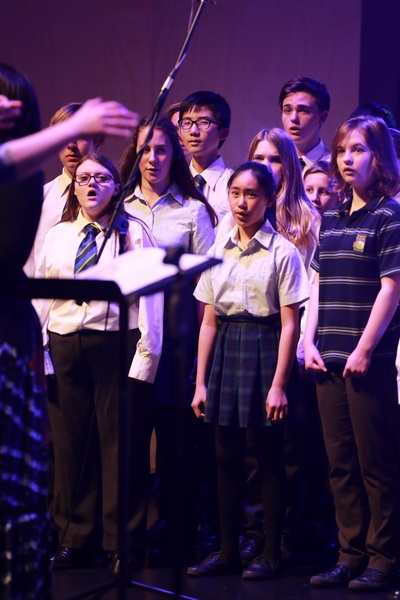 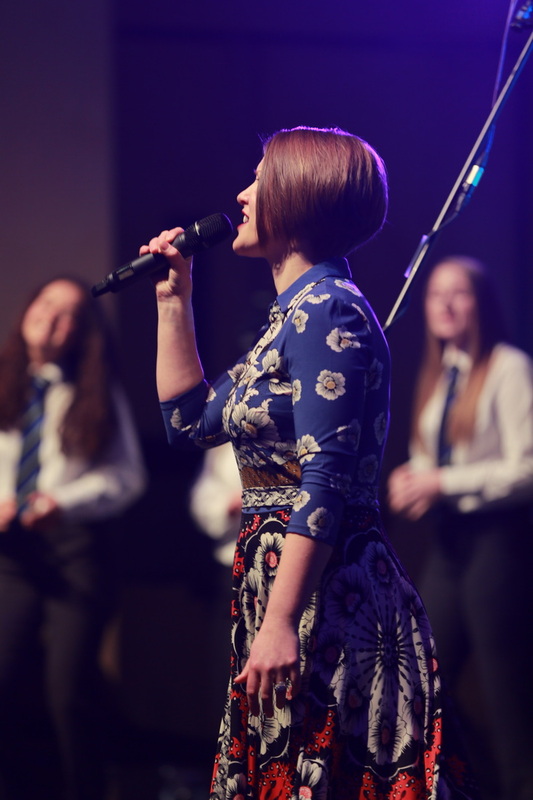 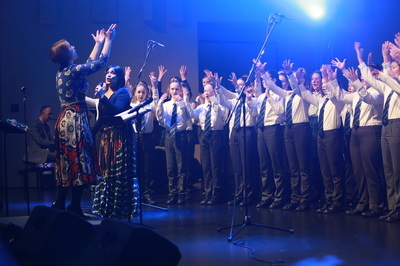 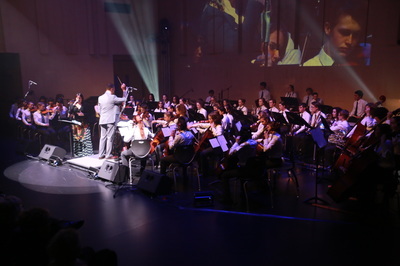 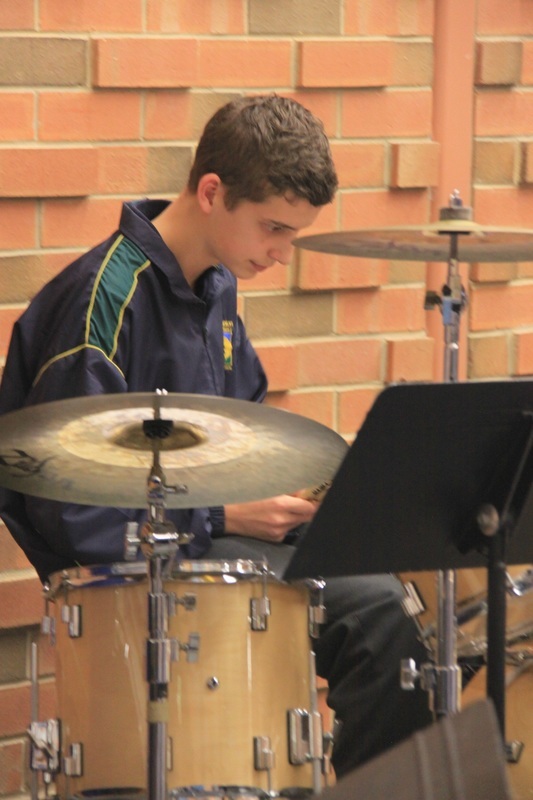 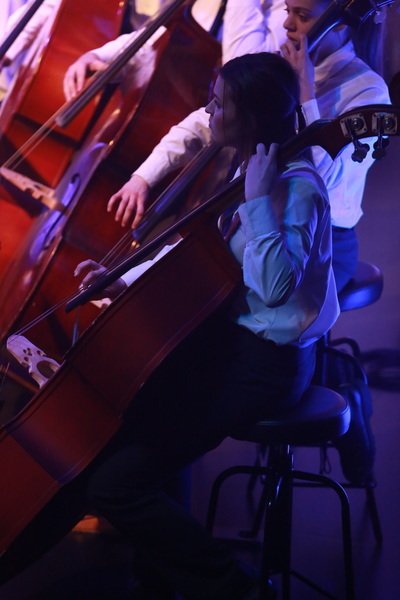 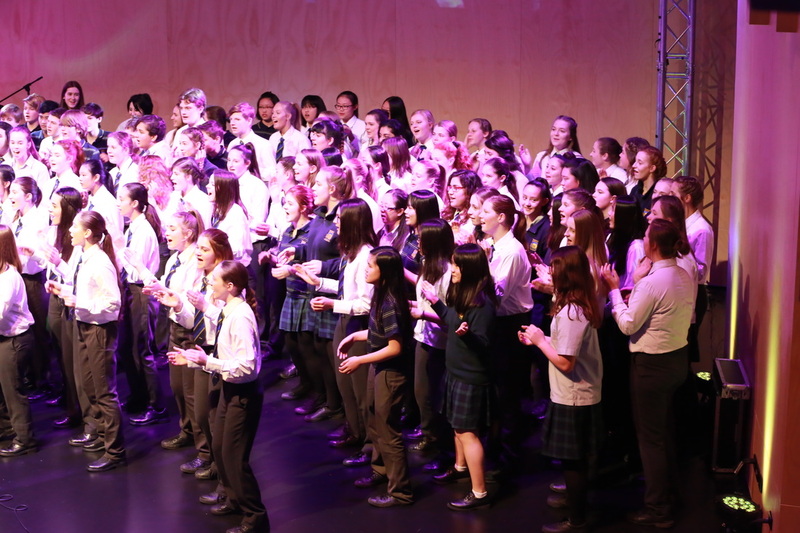 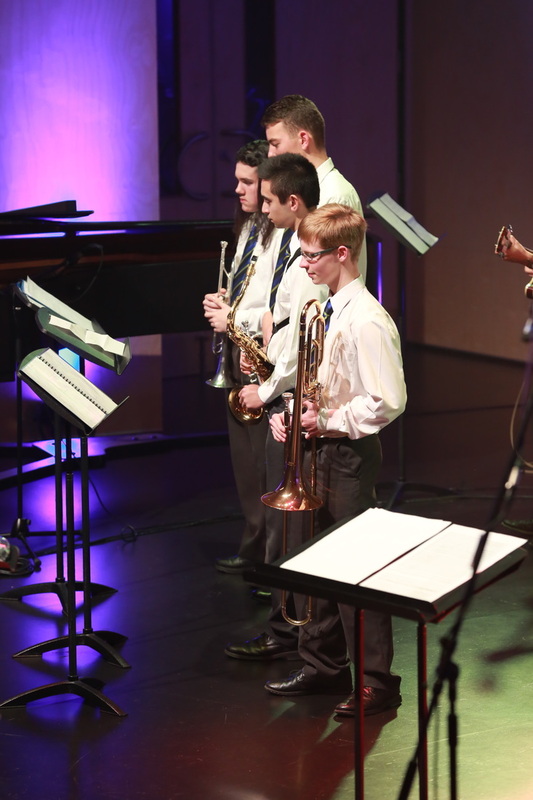 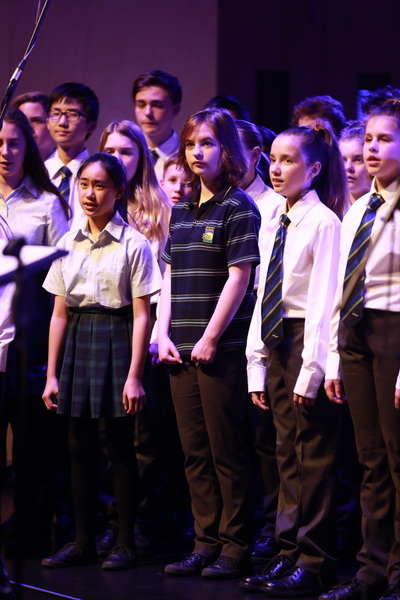 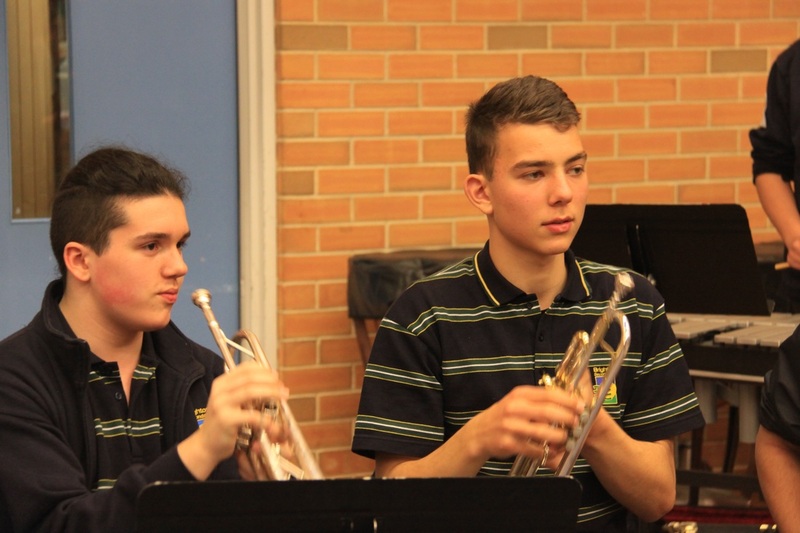 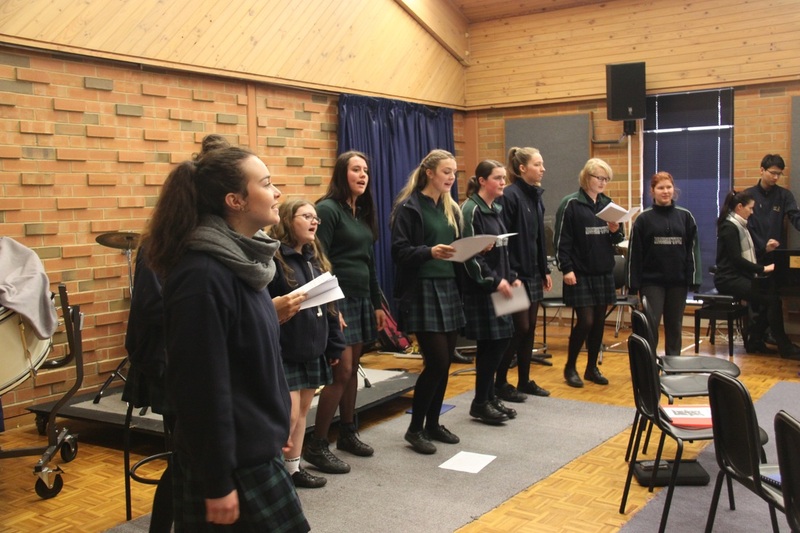 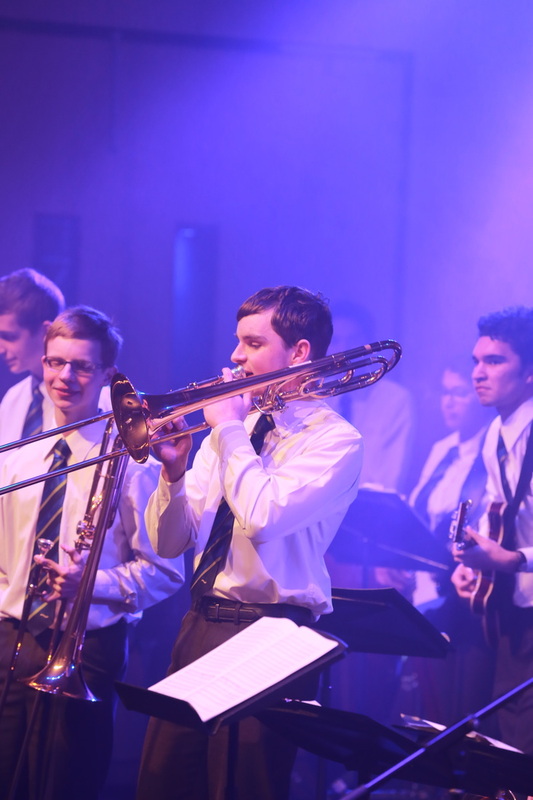 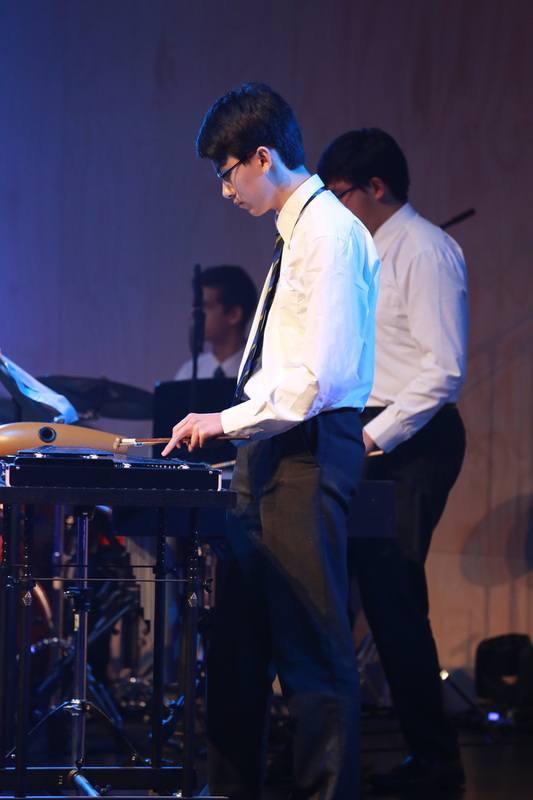 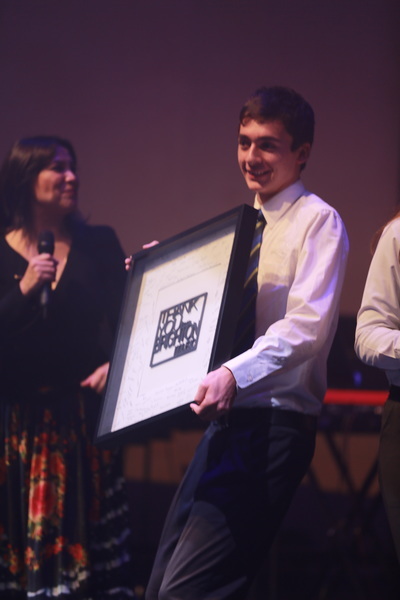 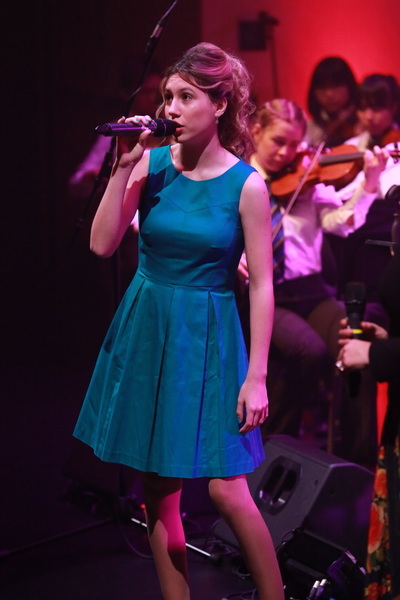 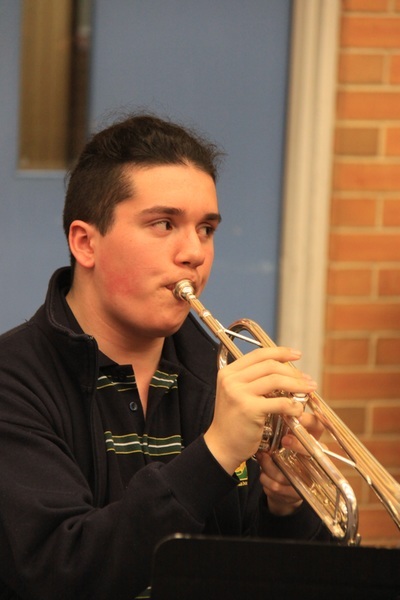 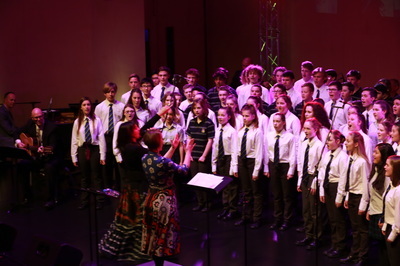 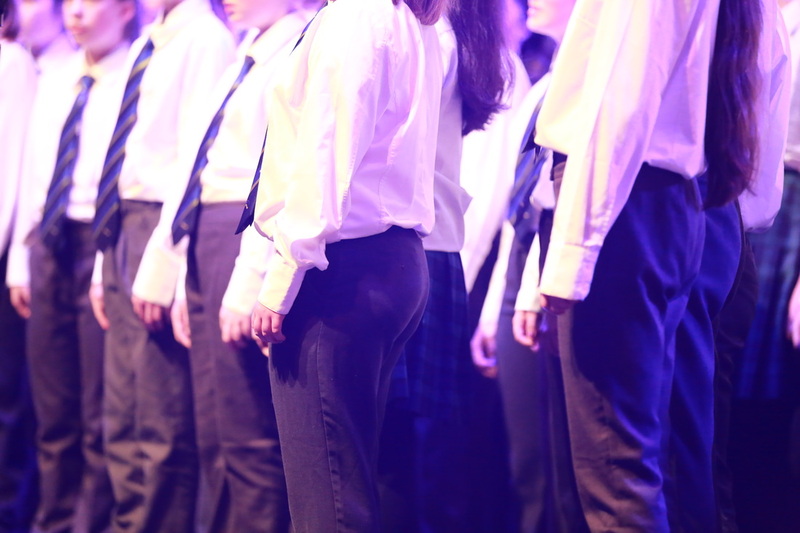 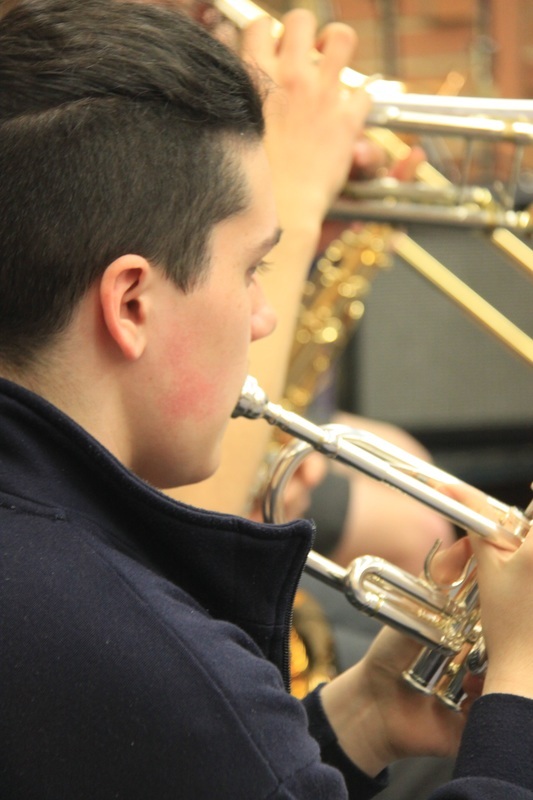 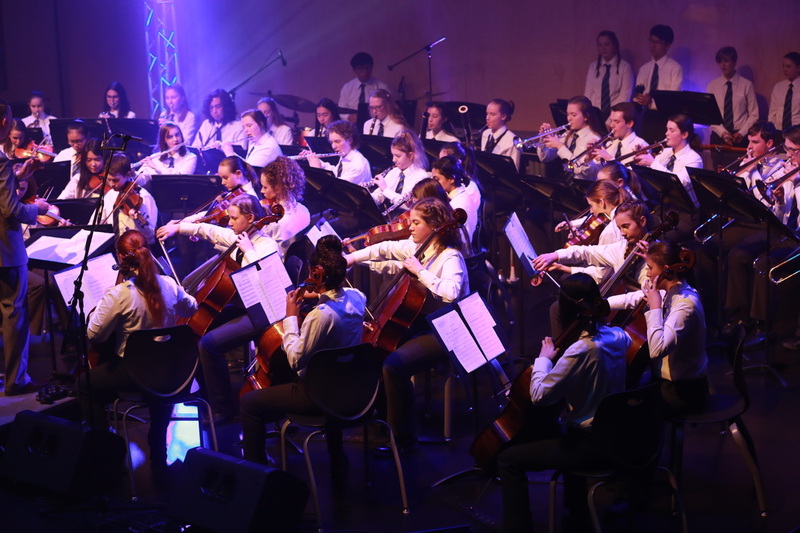 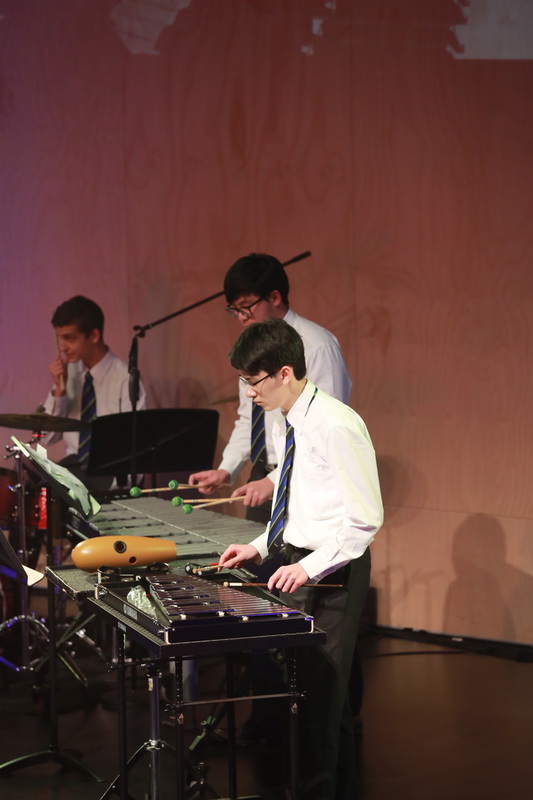 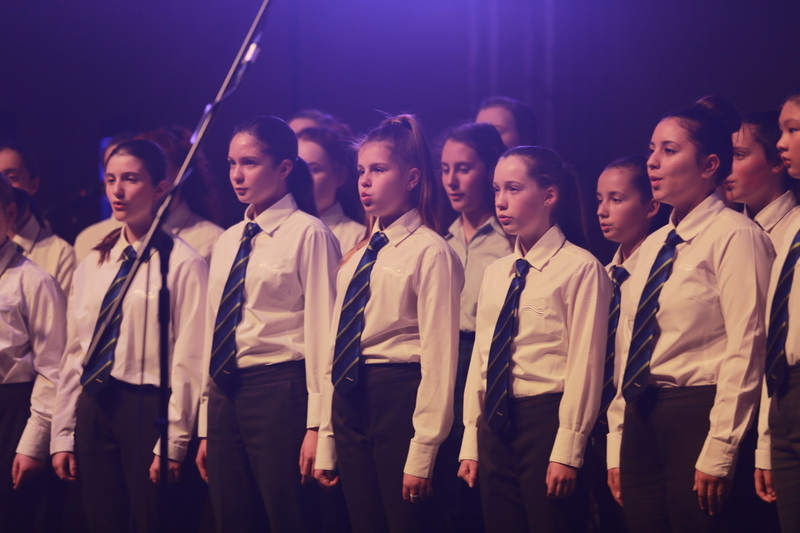 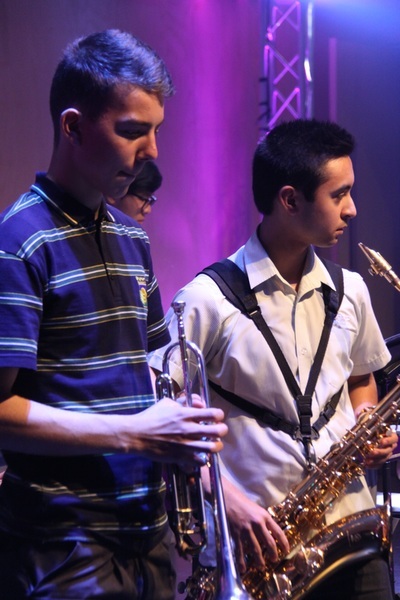 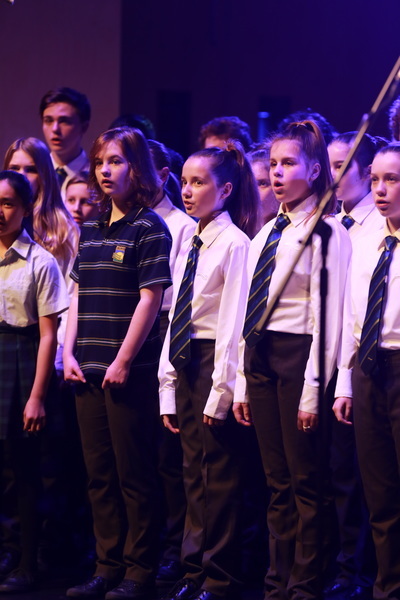 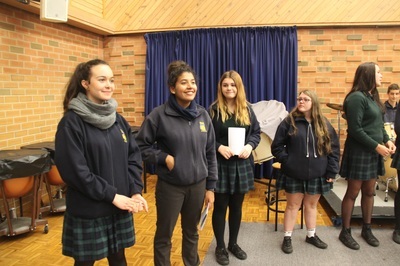 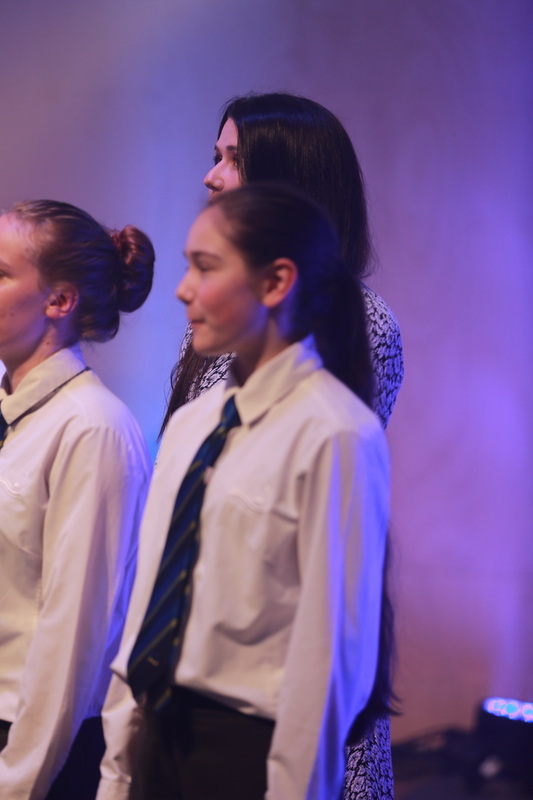 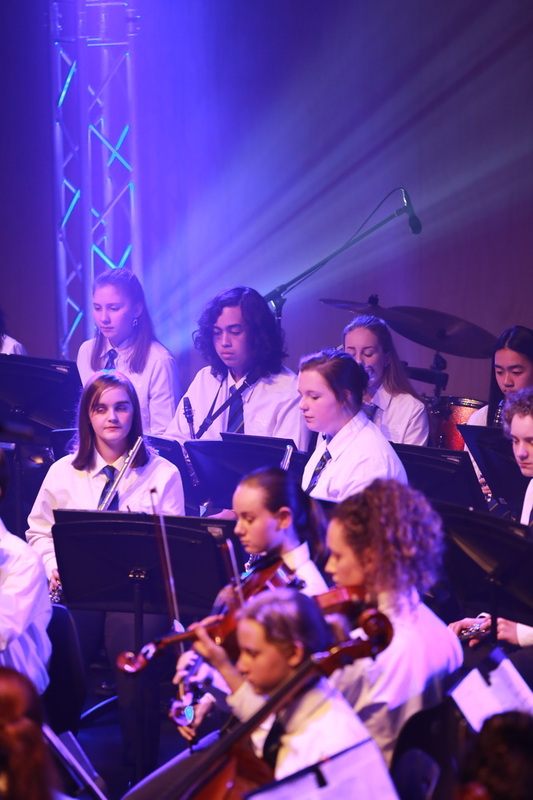 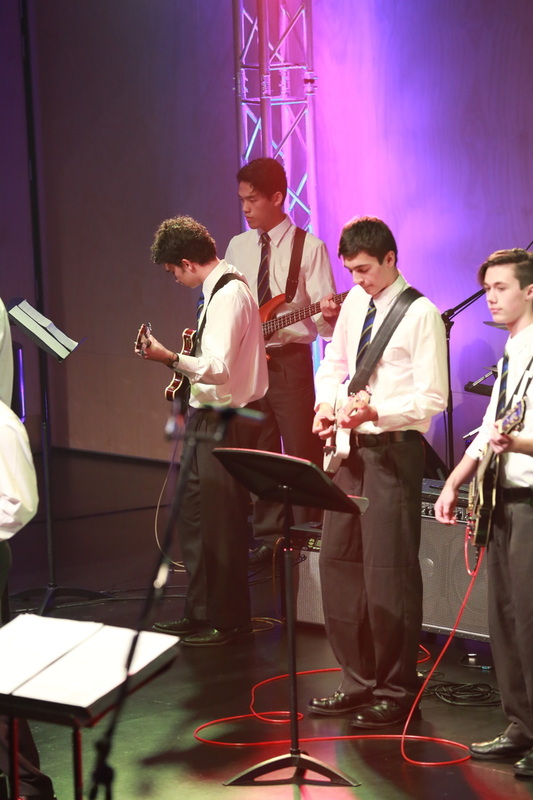 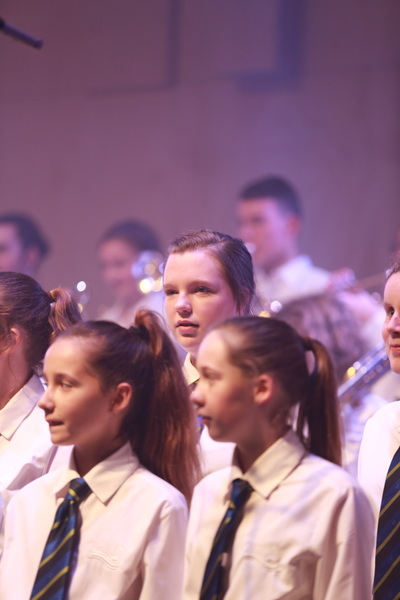 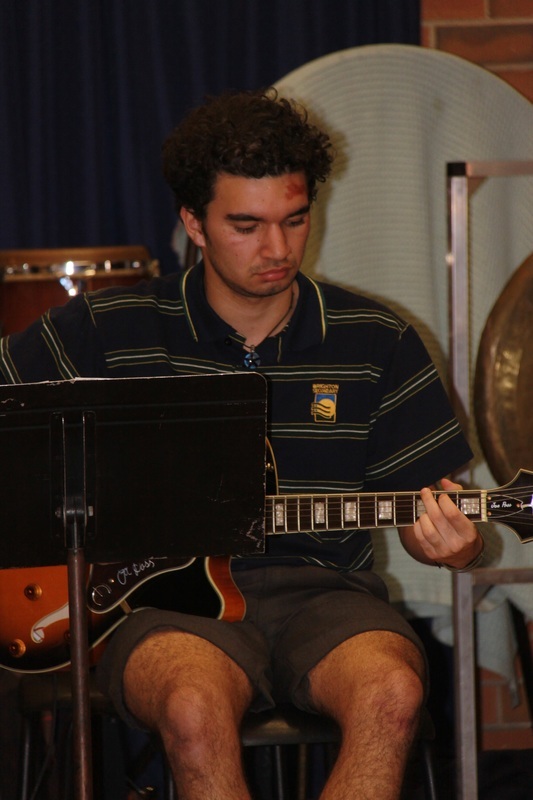 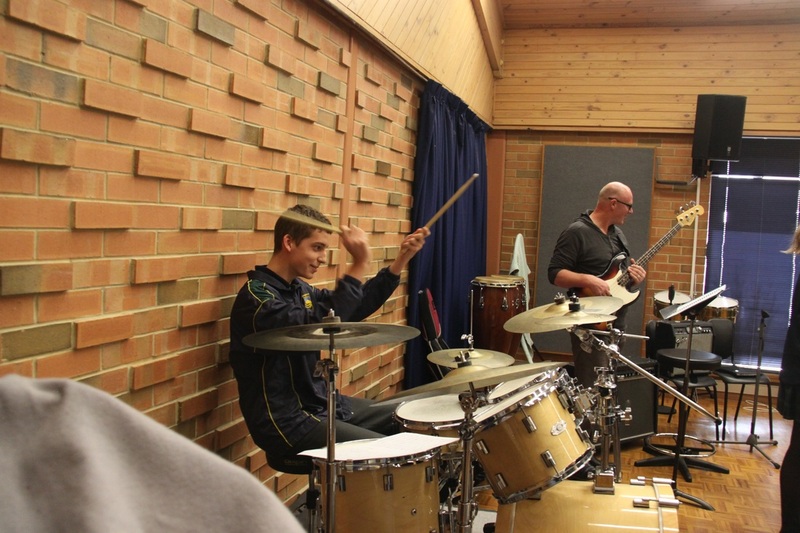 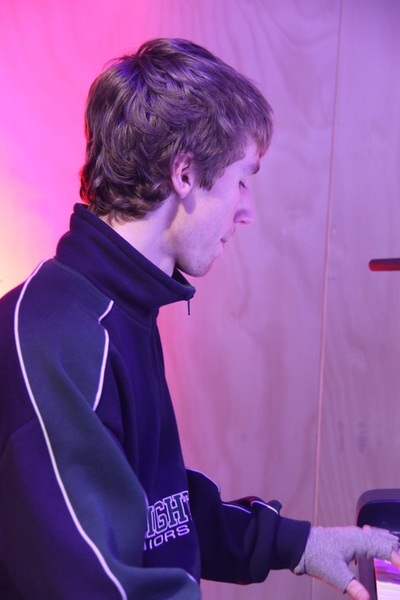 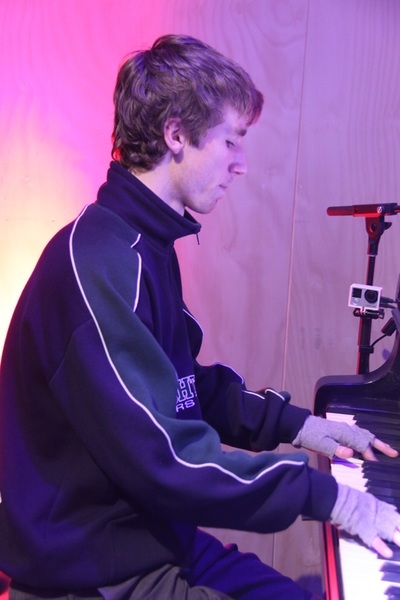 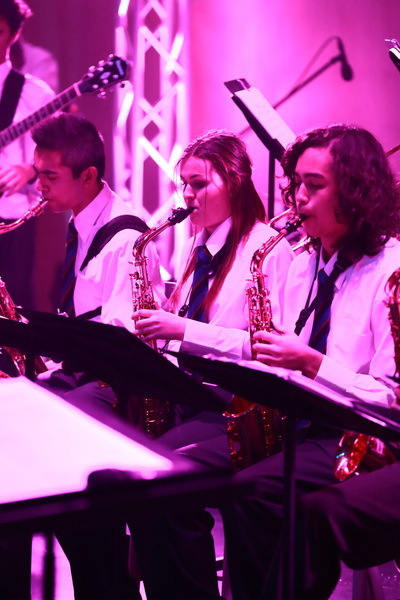 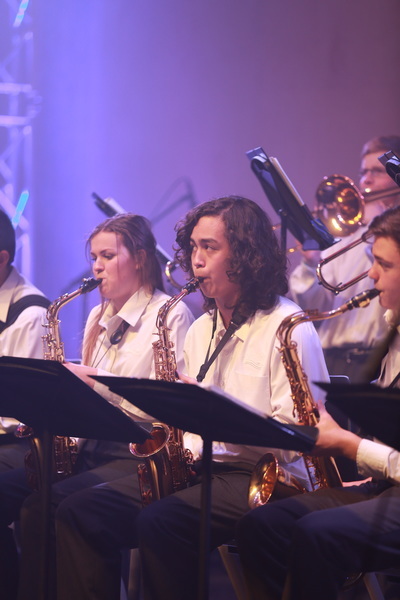 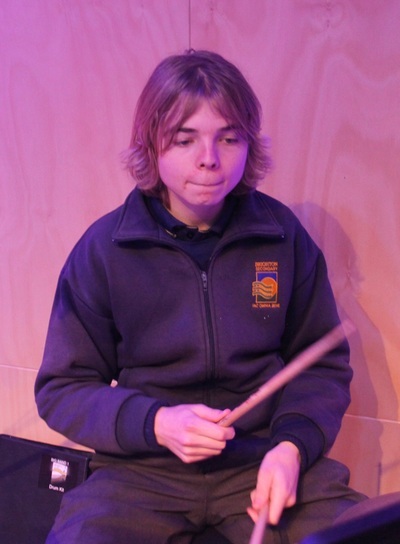 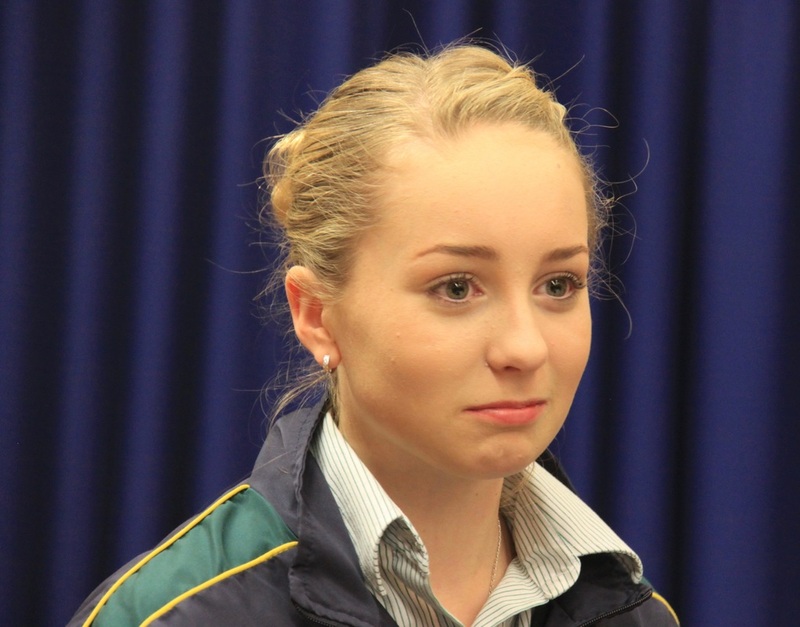 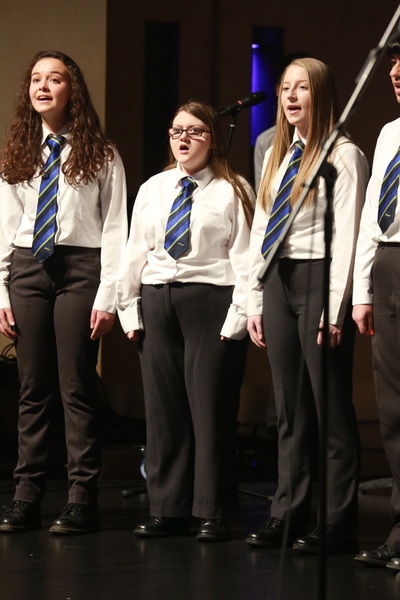 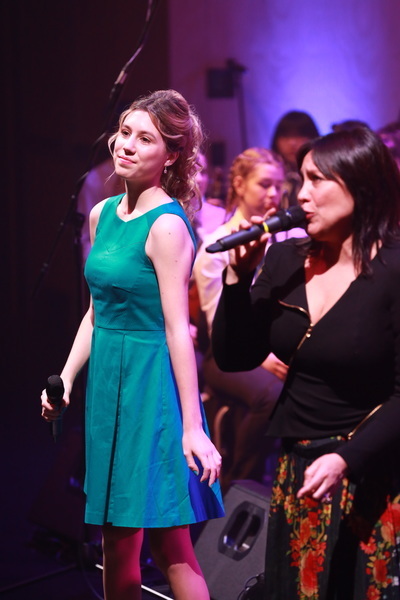 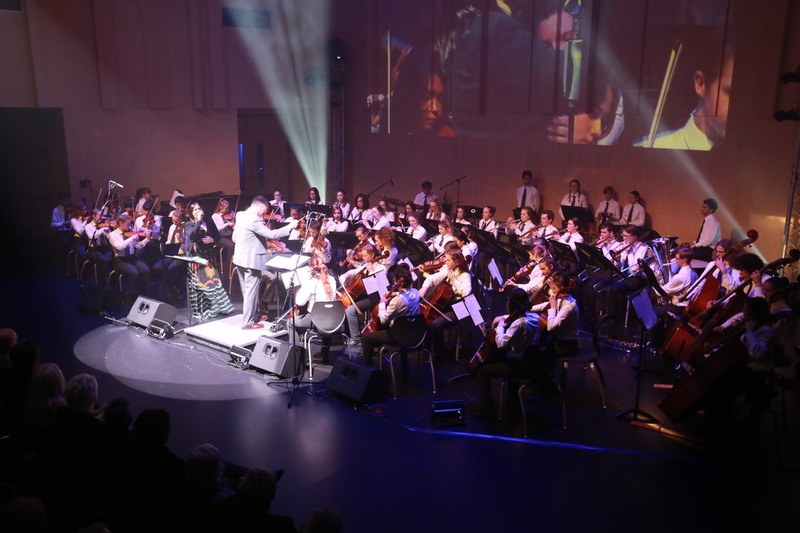 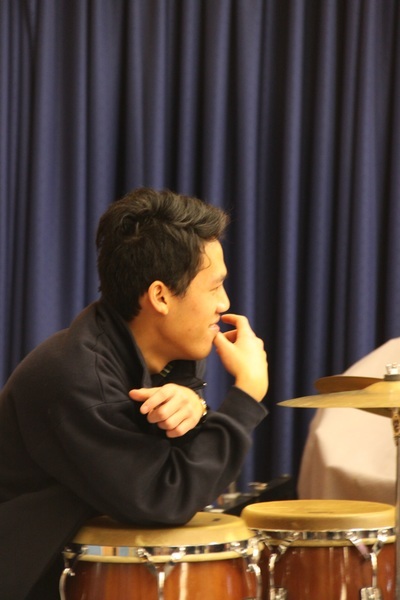 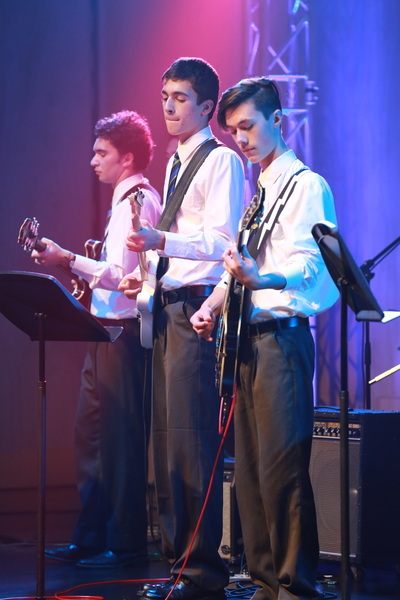 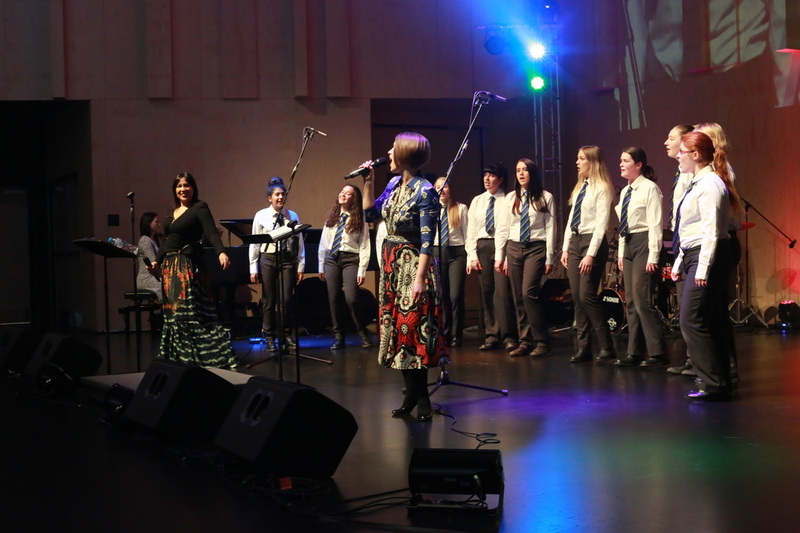 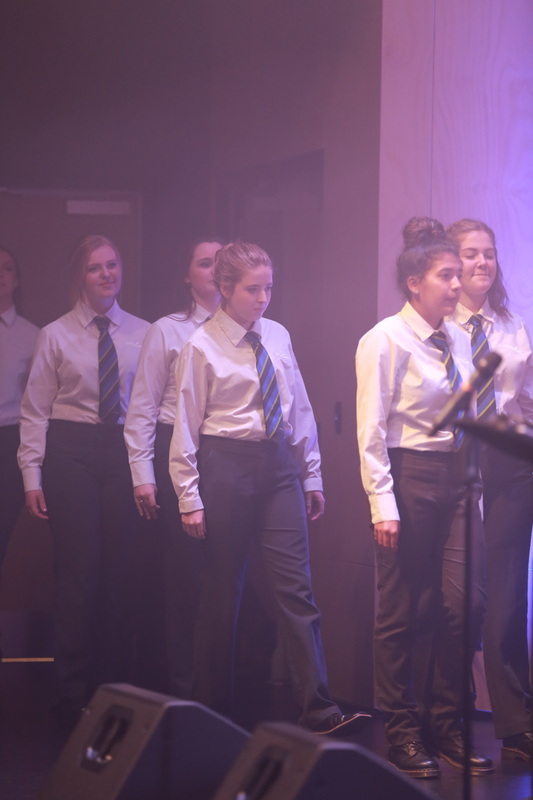 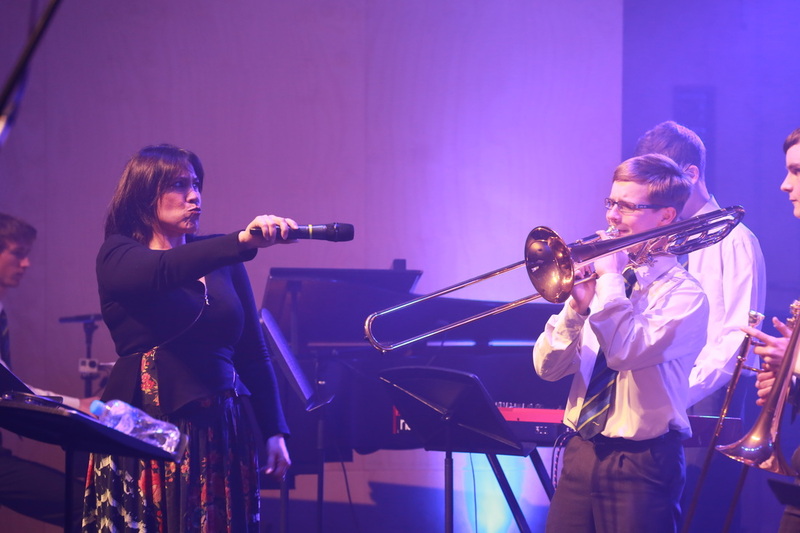 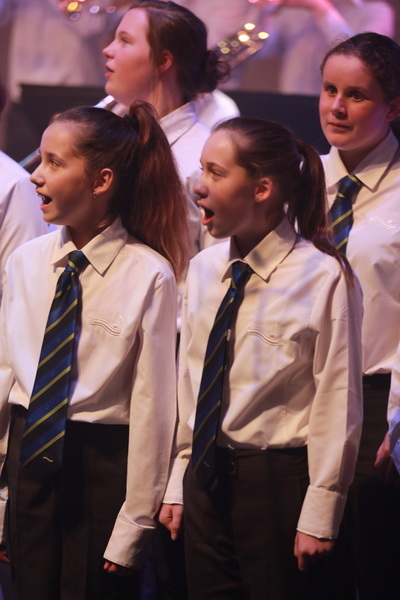 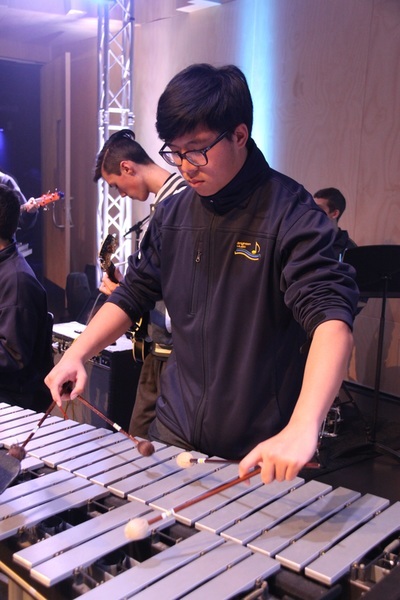 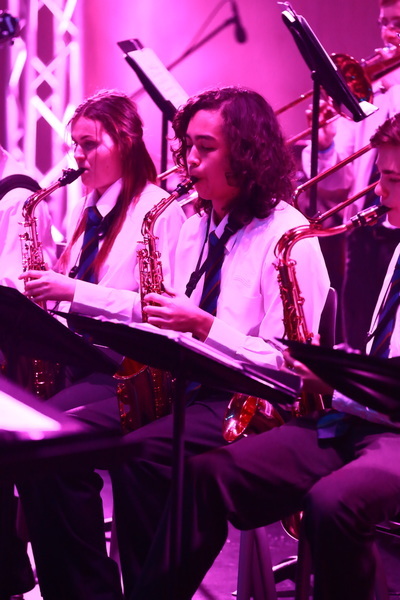 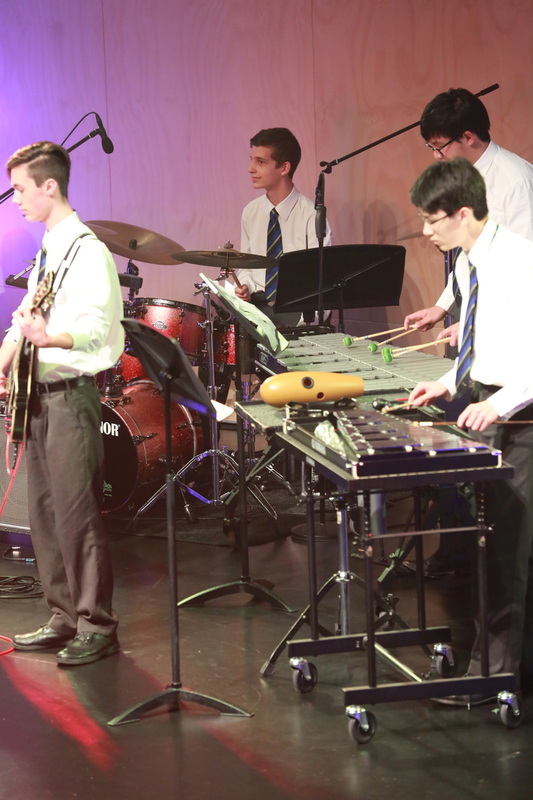 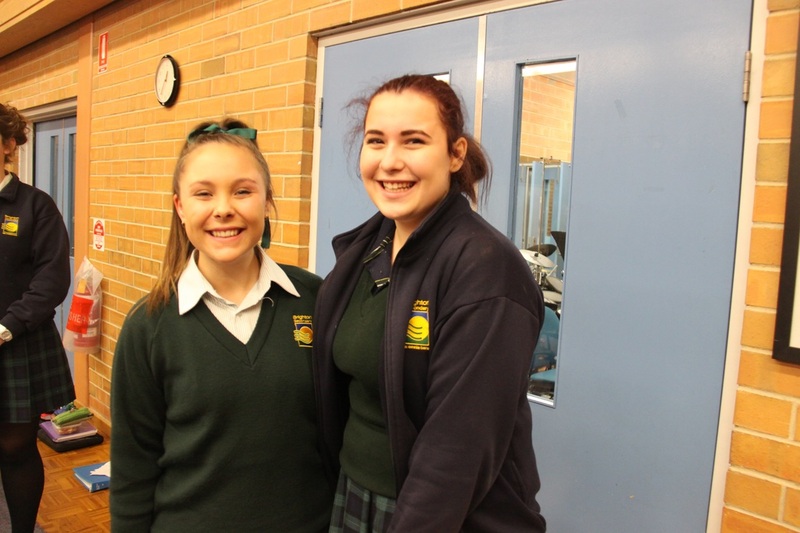 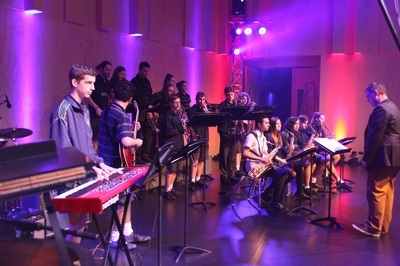 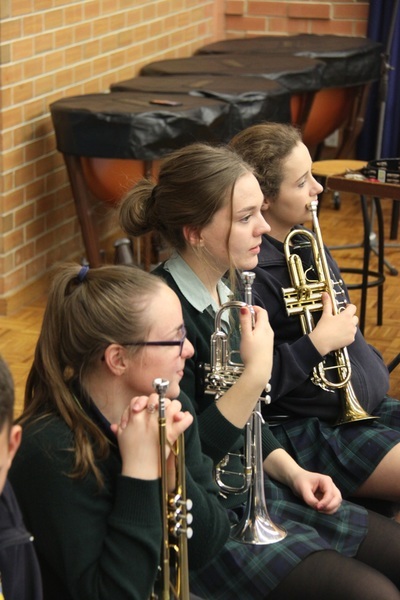 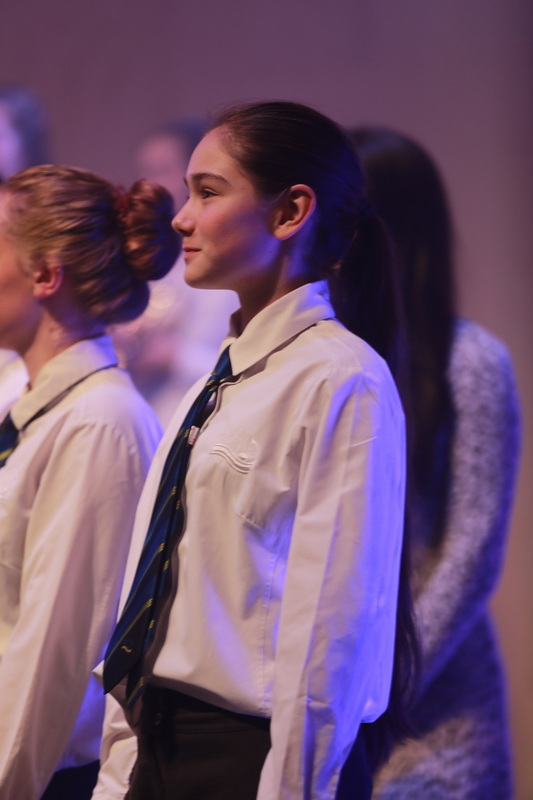 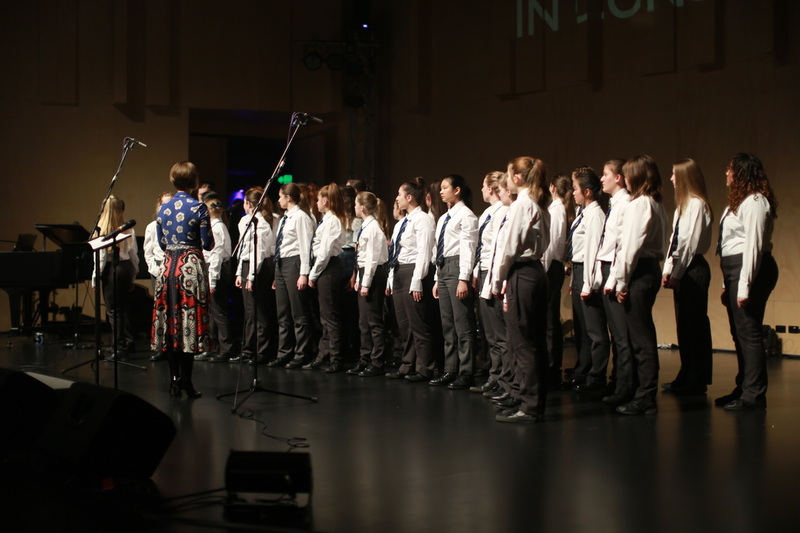 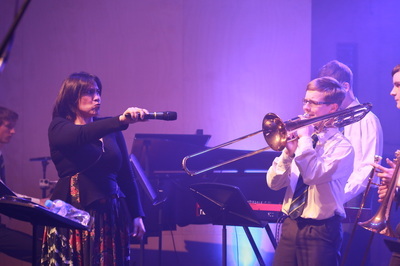 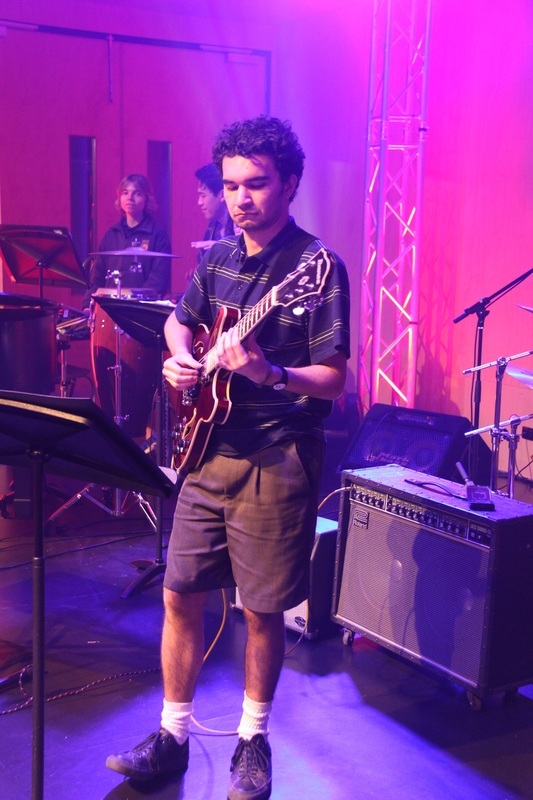 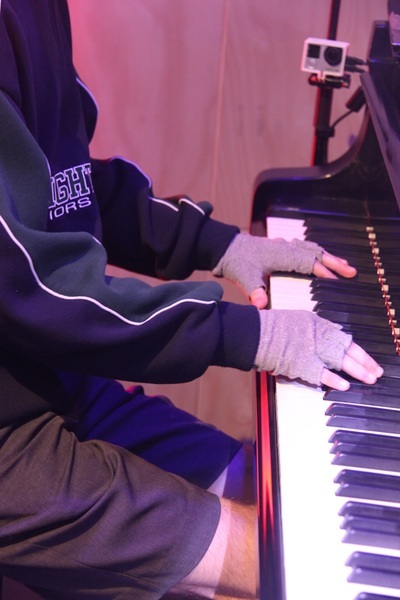 The photos below are from Thursday's concert and from the workshops across the 3 days. 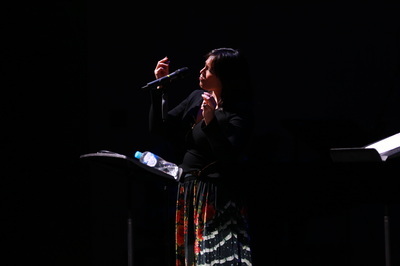 Videos from the concert will be uploaded in the near future once processing has been completed.